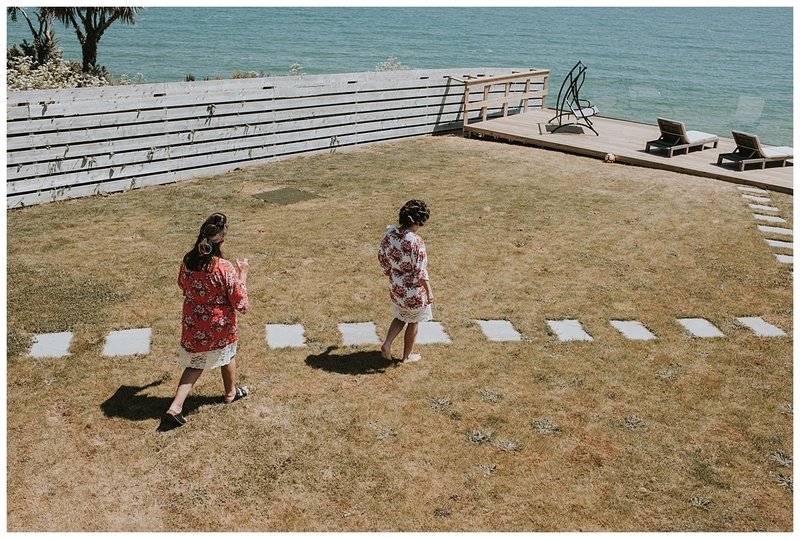 If every summer could be like last summer wouldn’t it just be amazing! 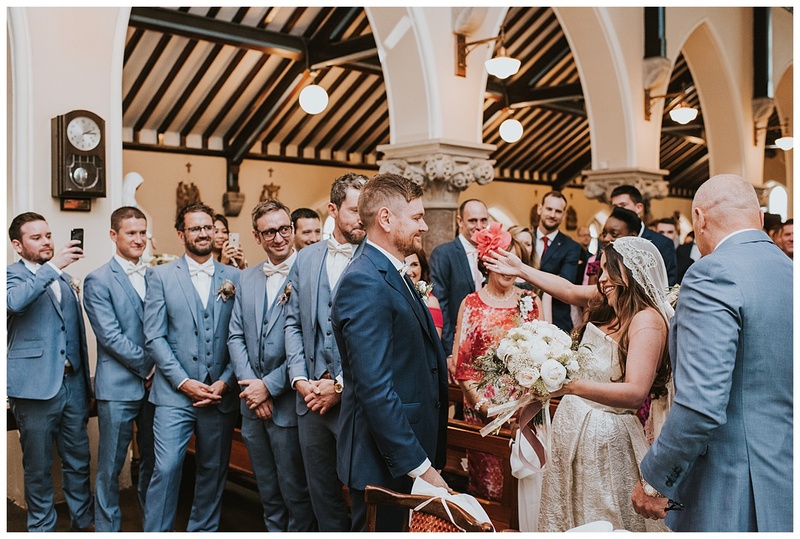 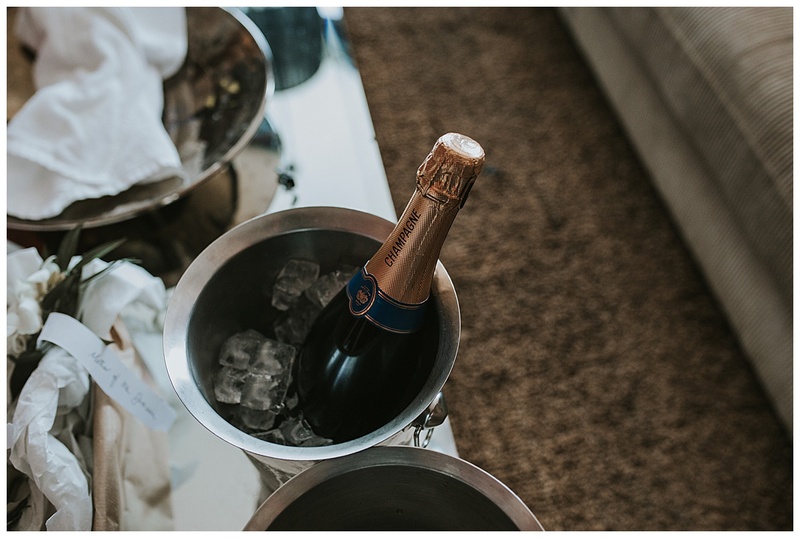 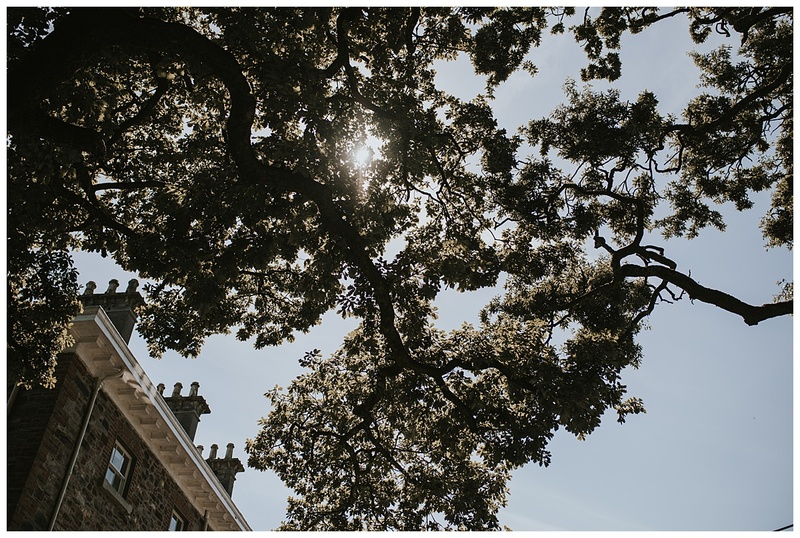 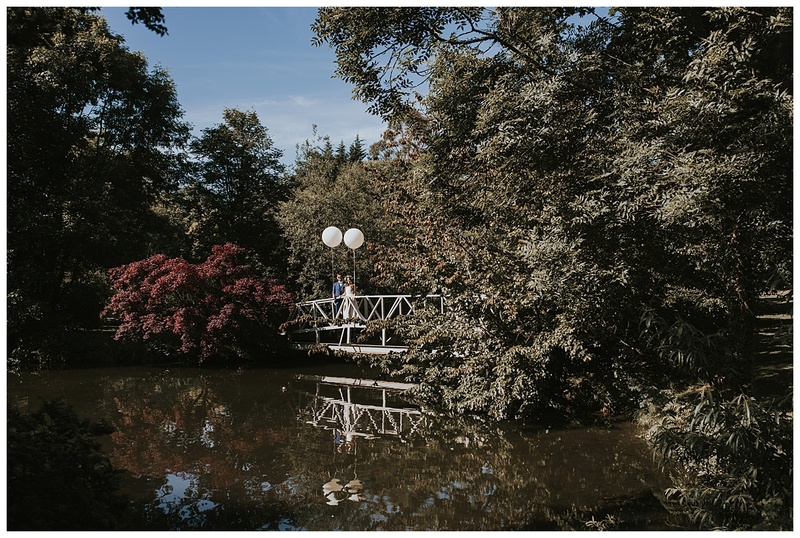 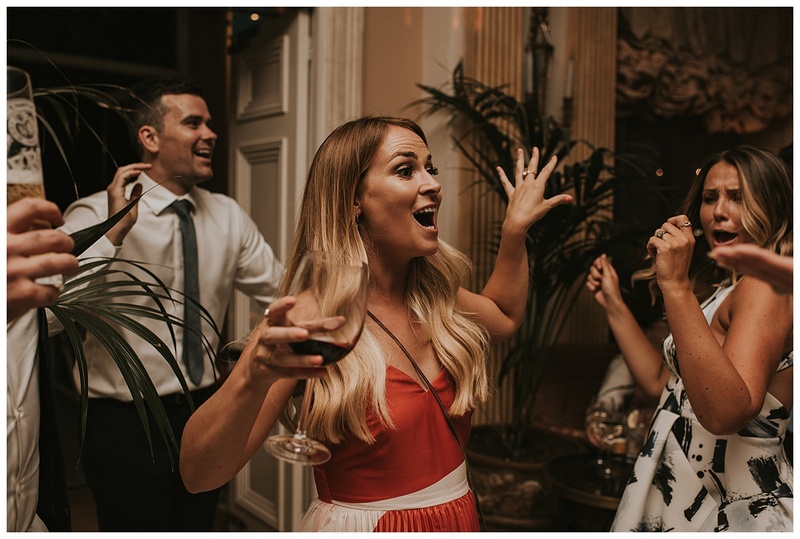 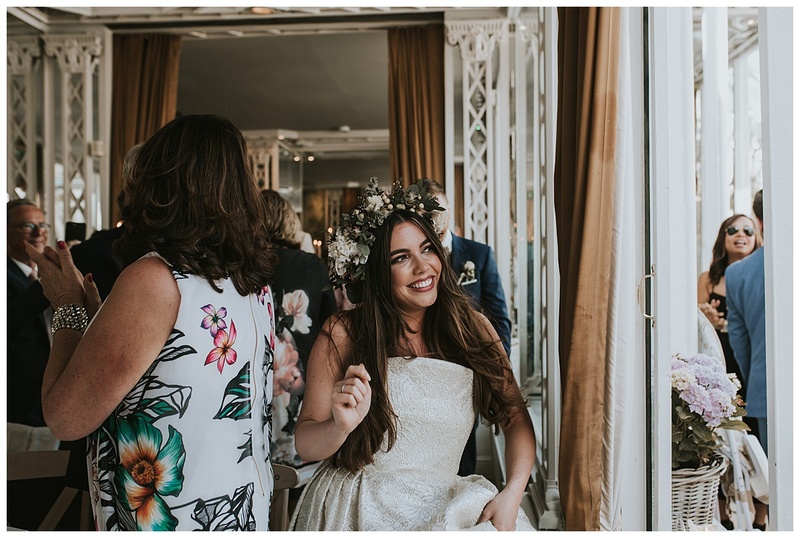 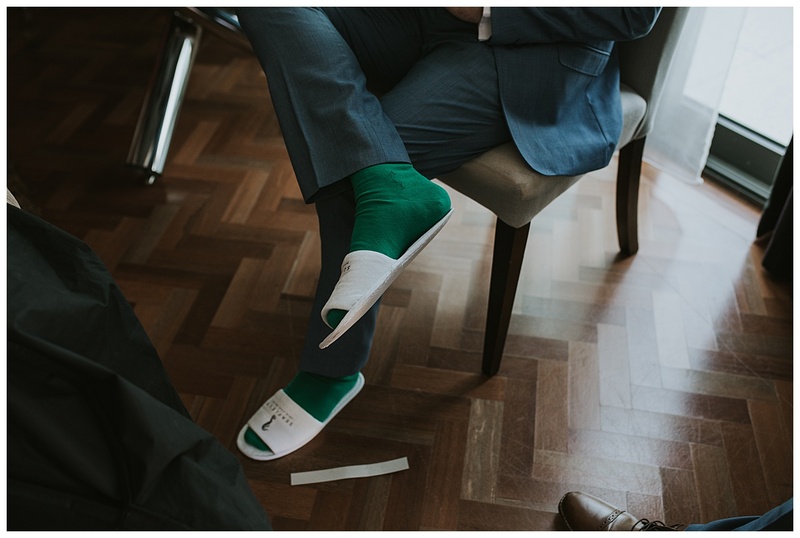 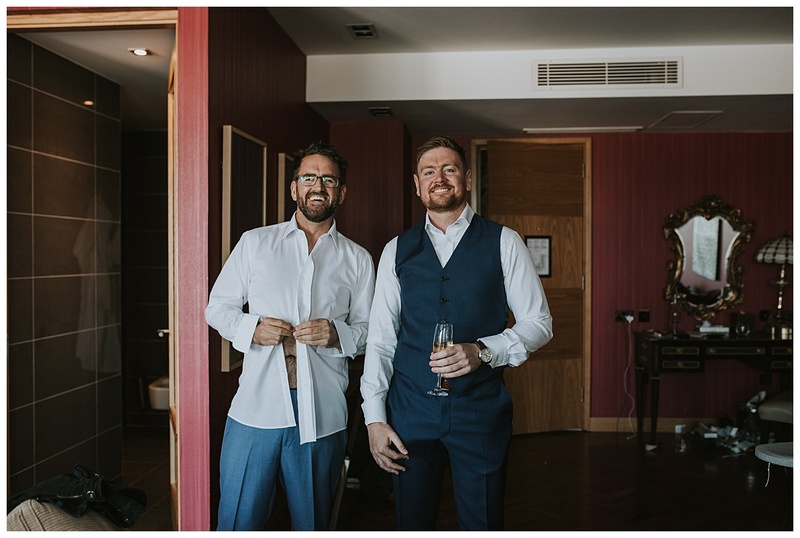 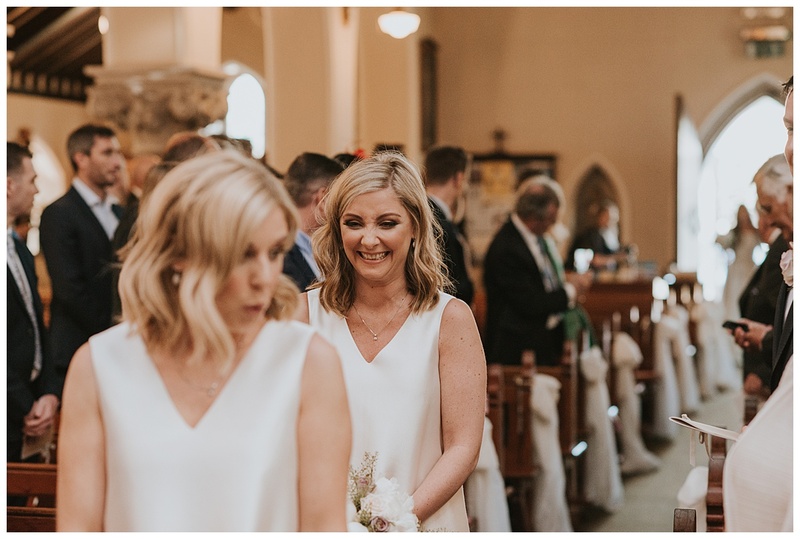 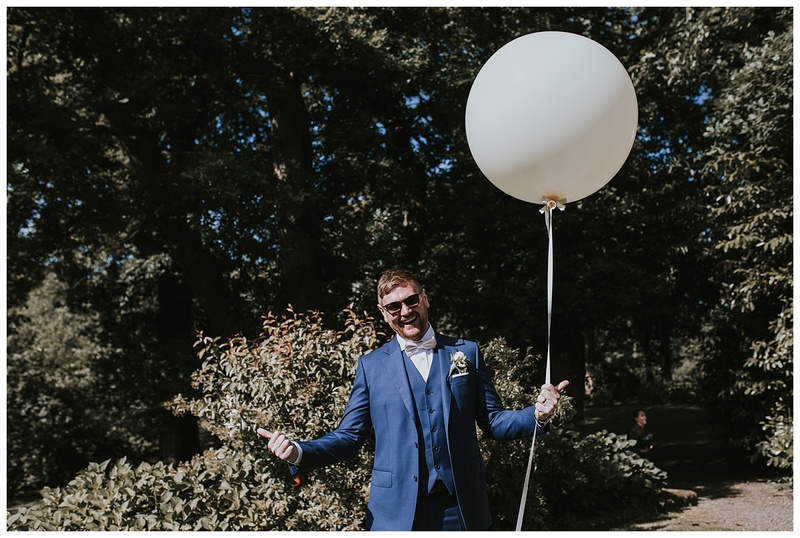 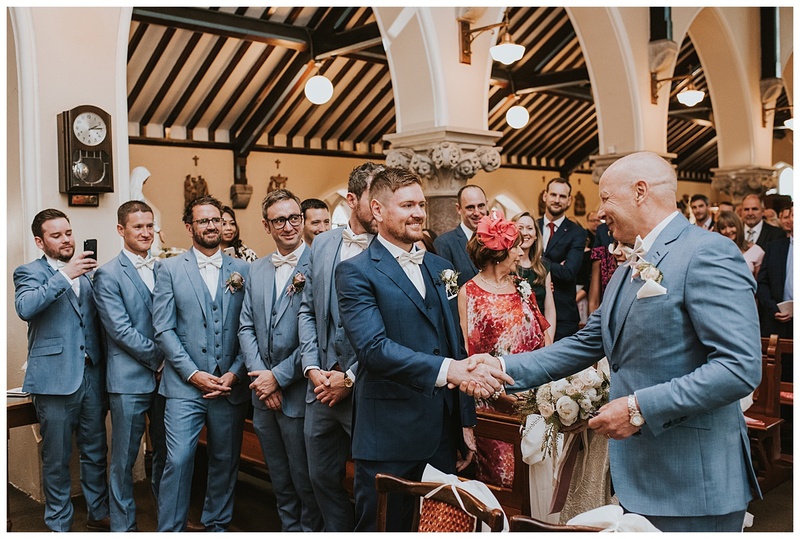 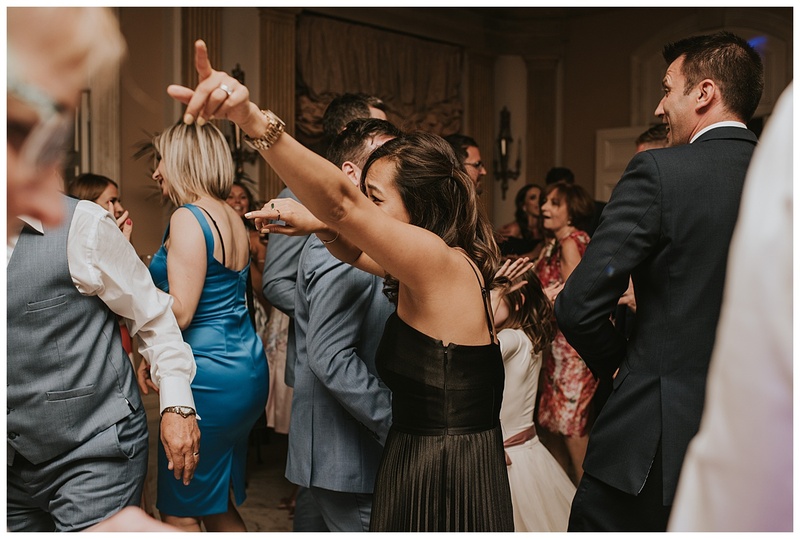 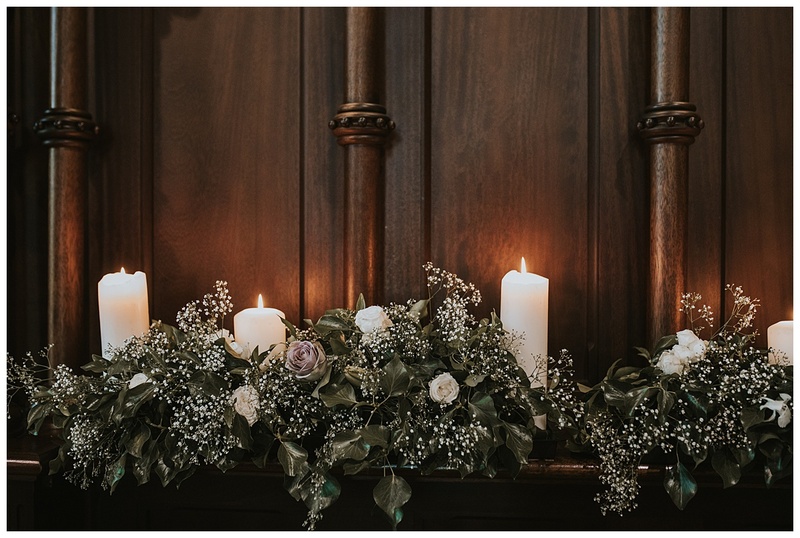 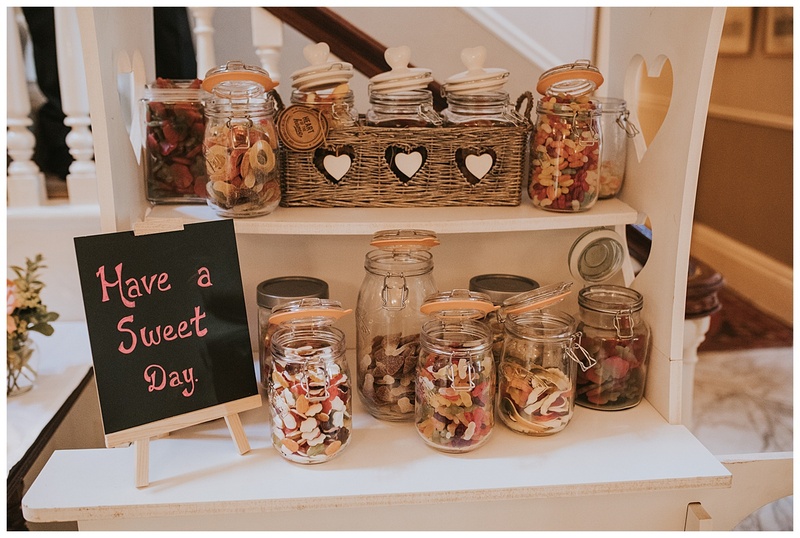 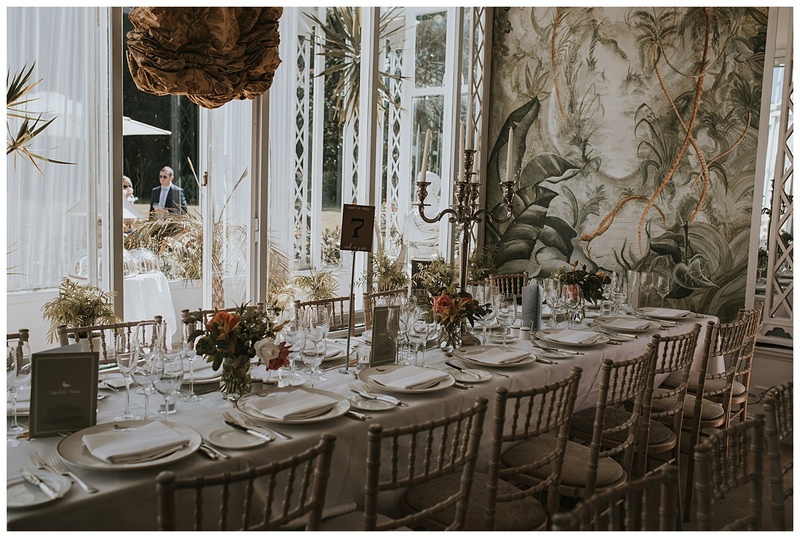 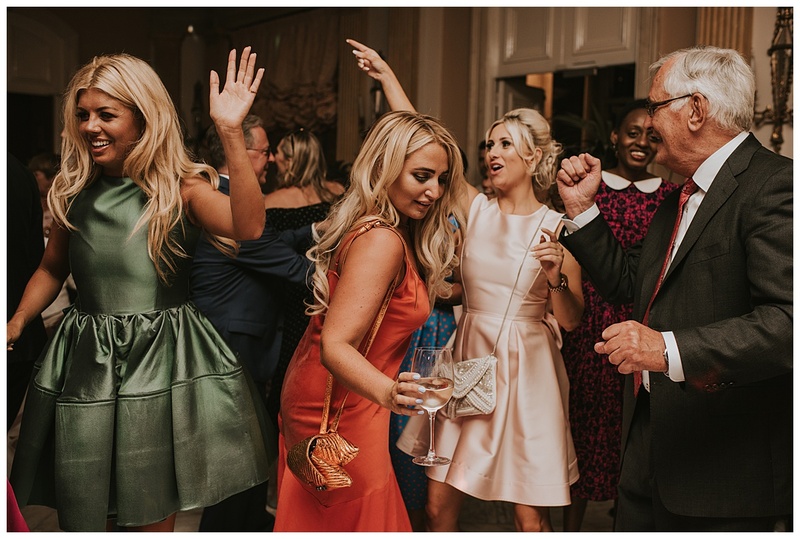 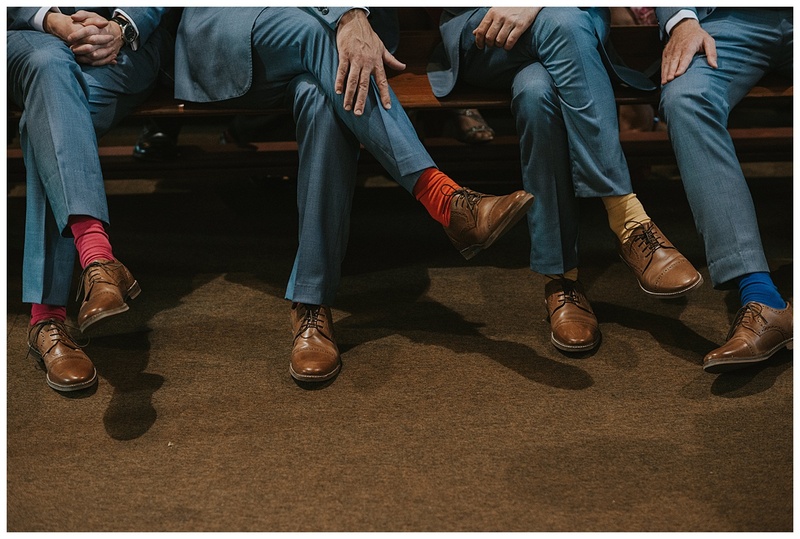 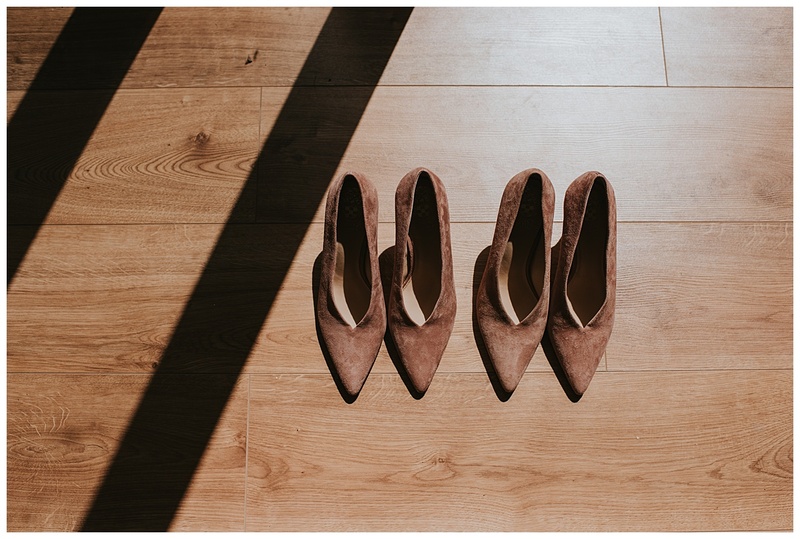 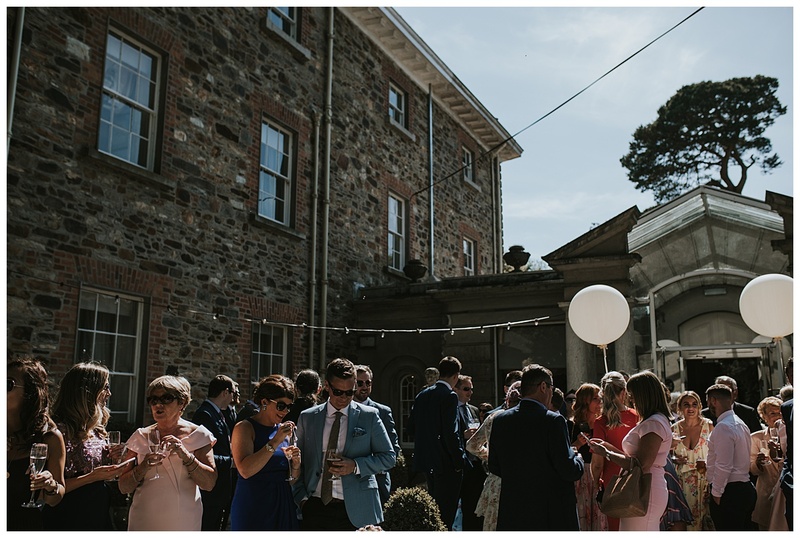 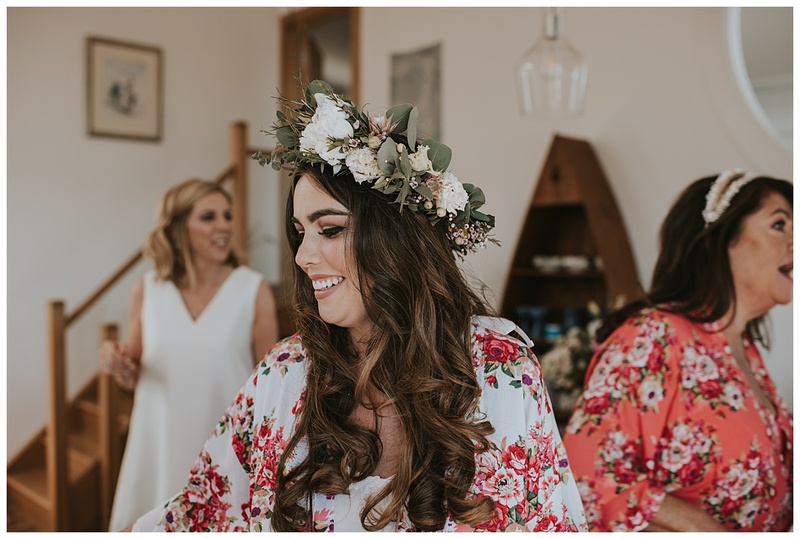 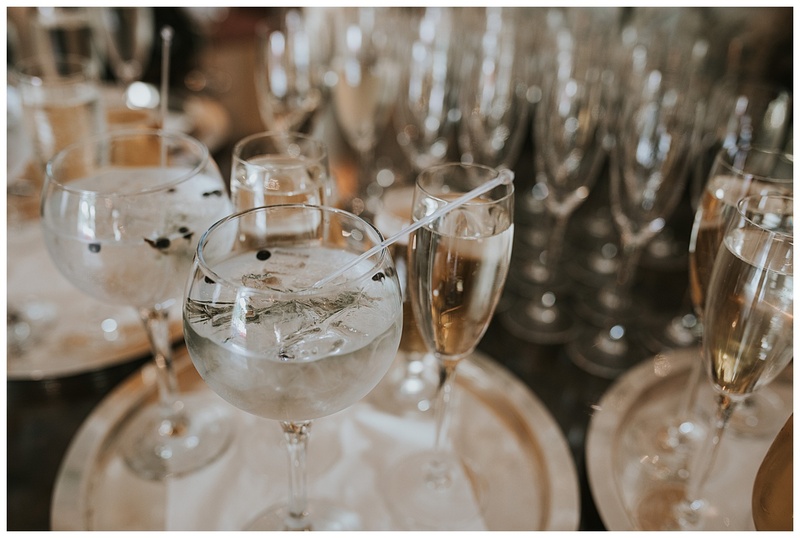 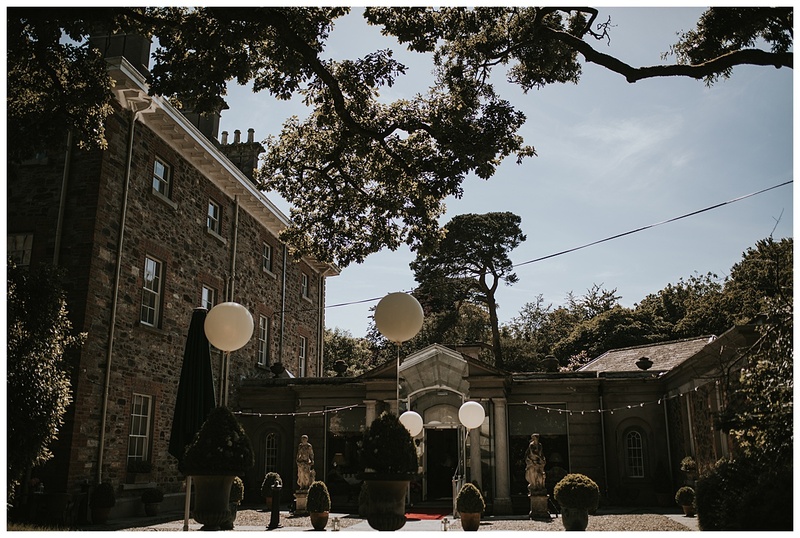 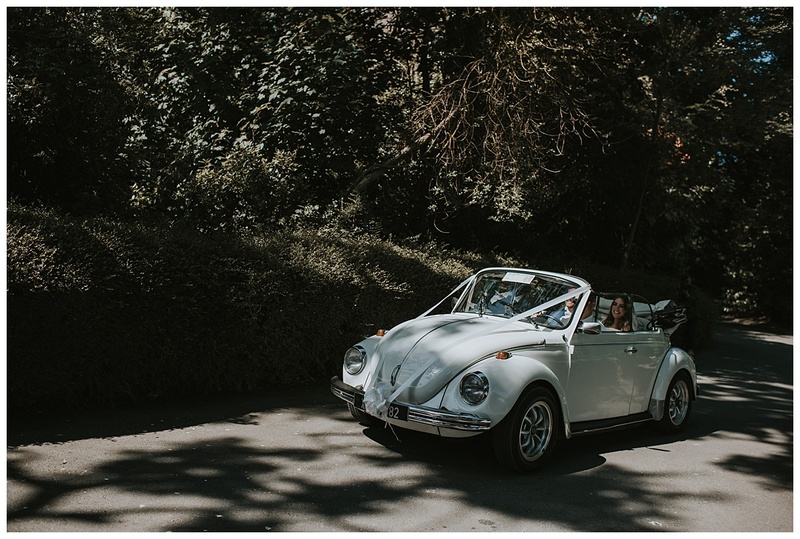 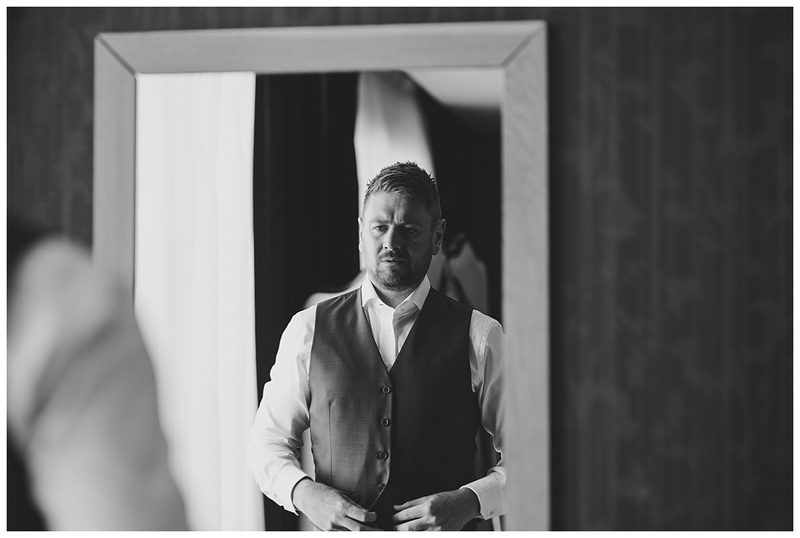 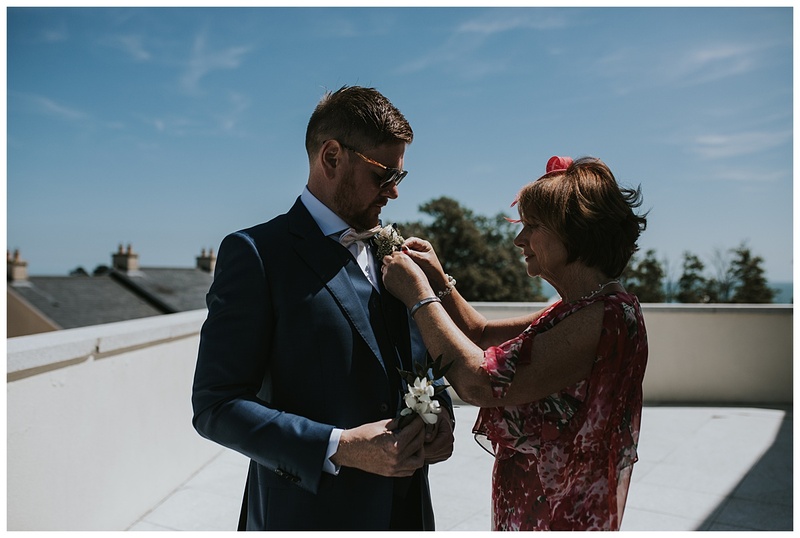 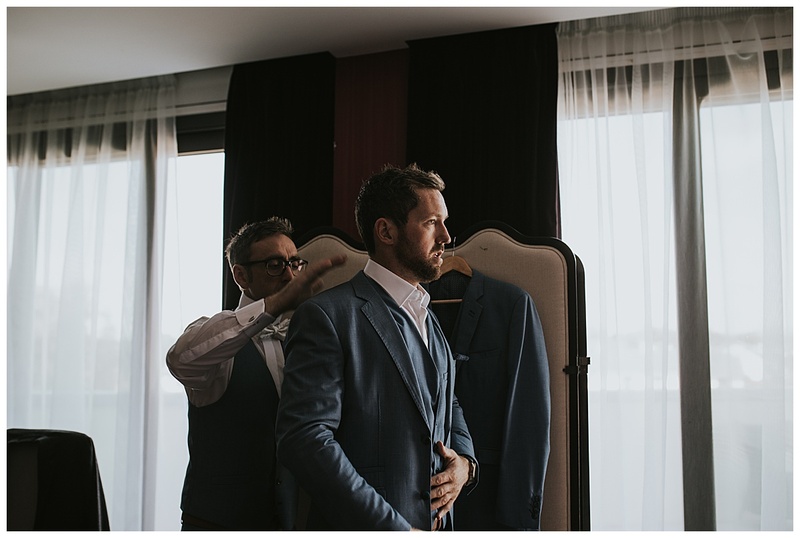 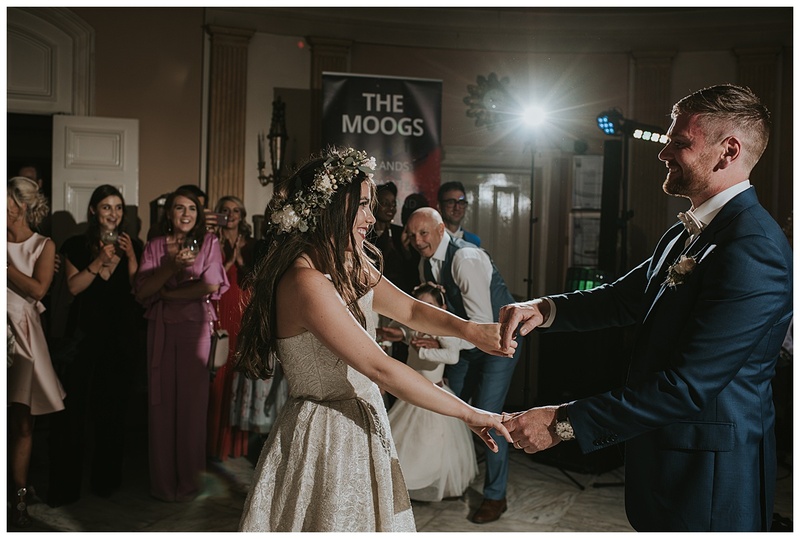 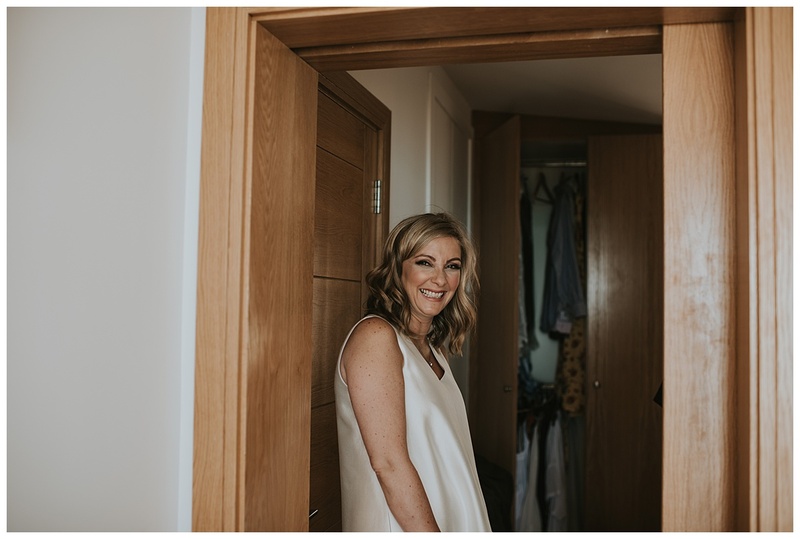 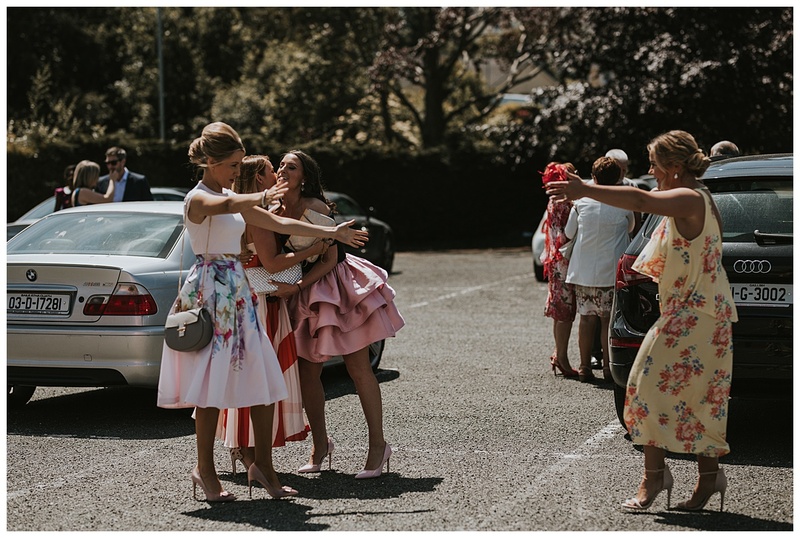 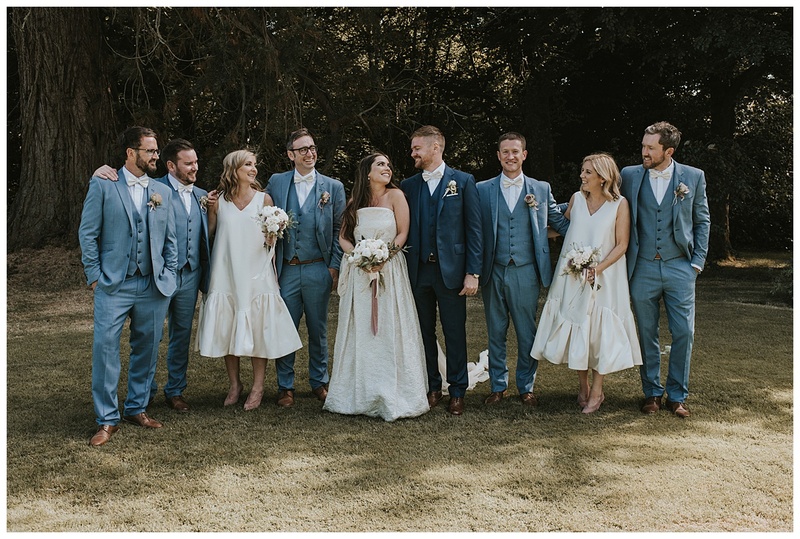 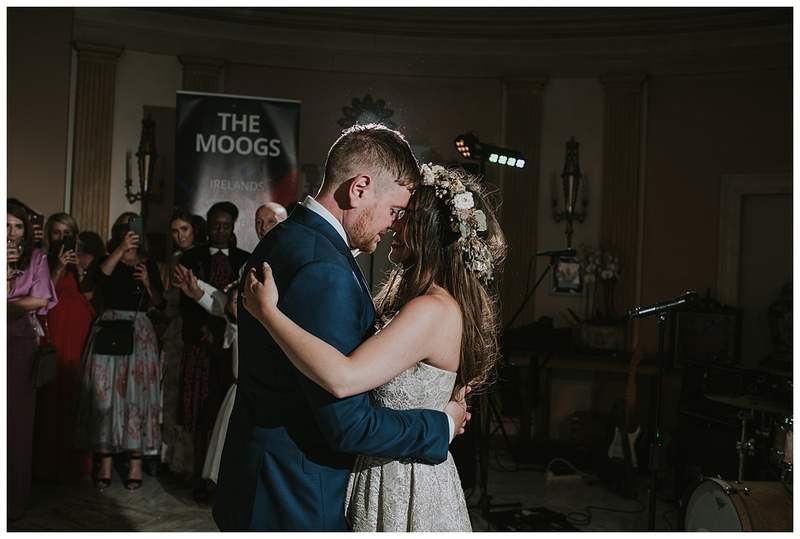 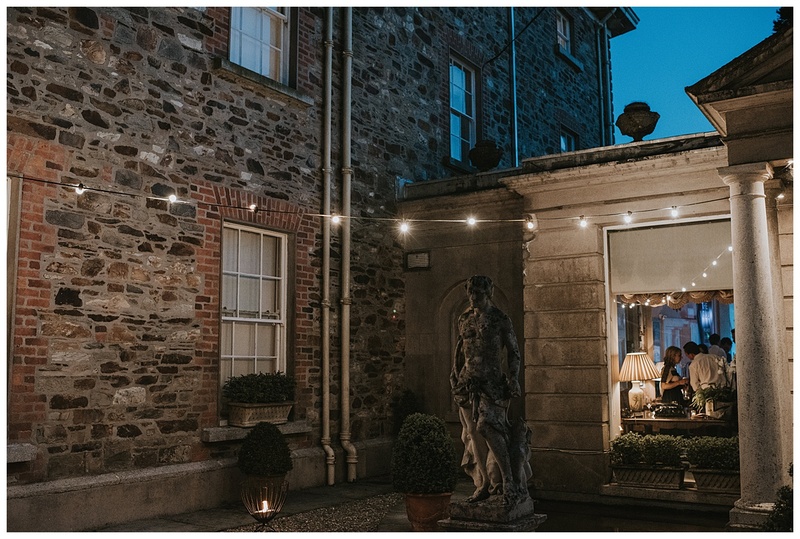 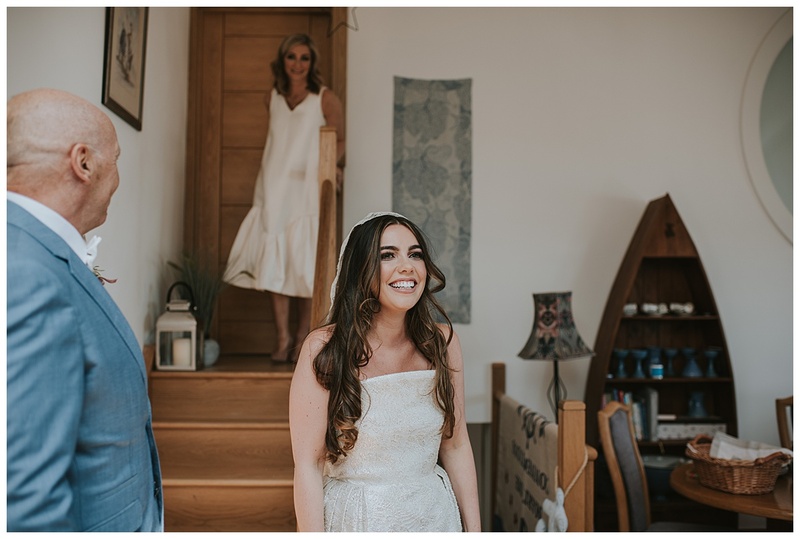 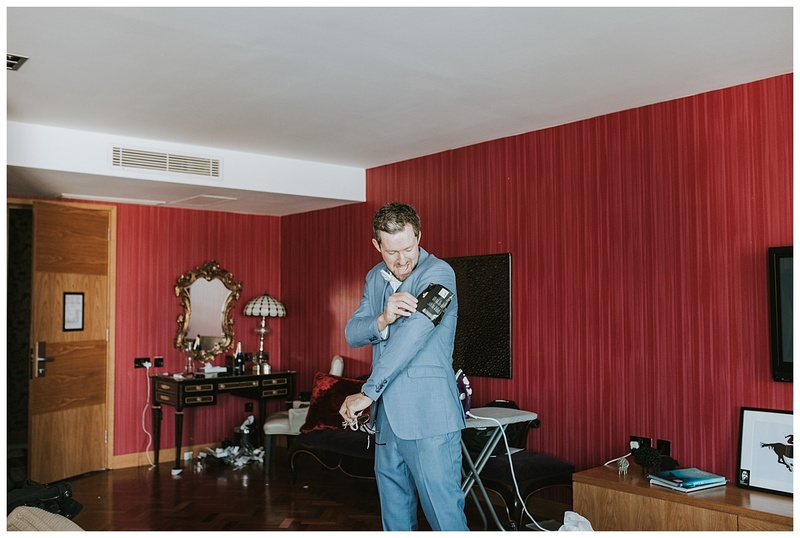 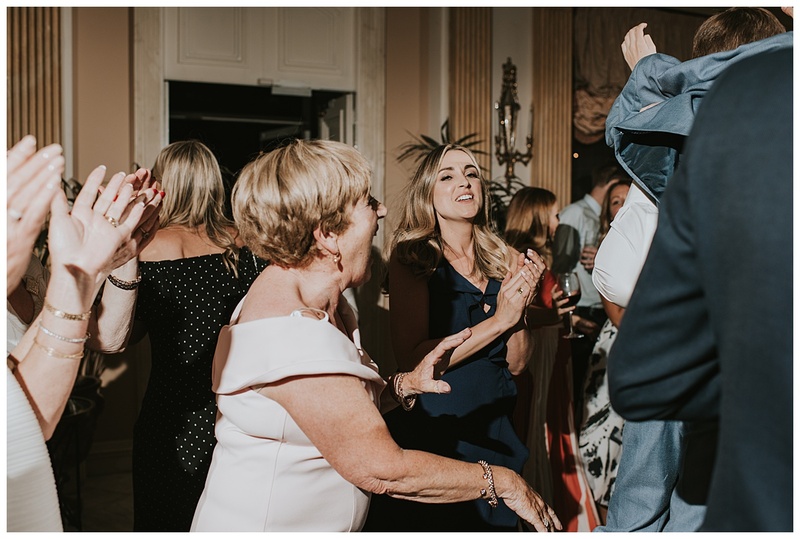 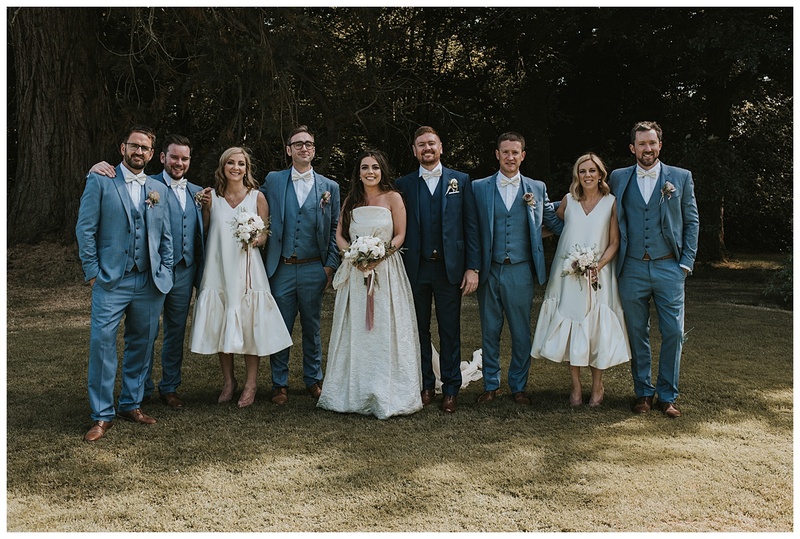 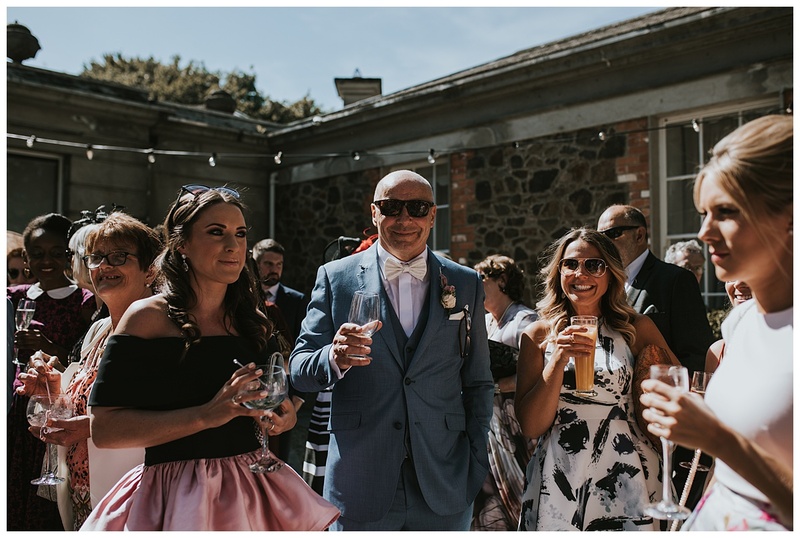 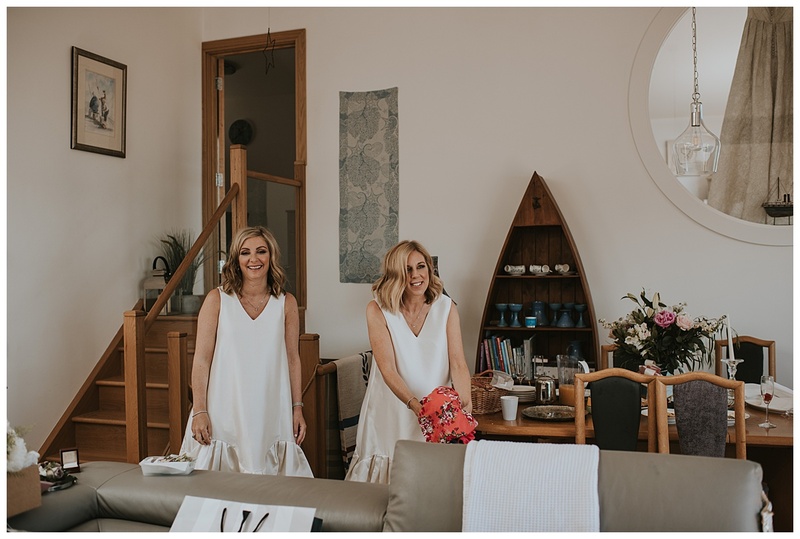 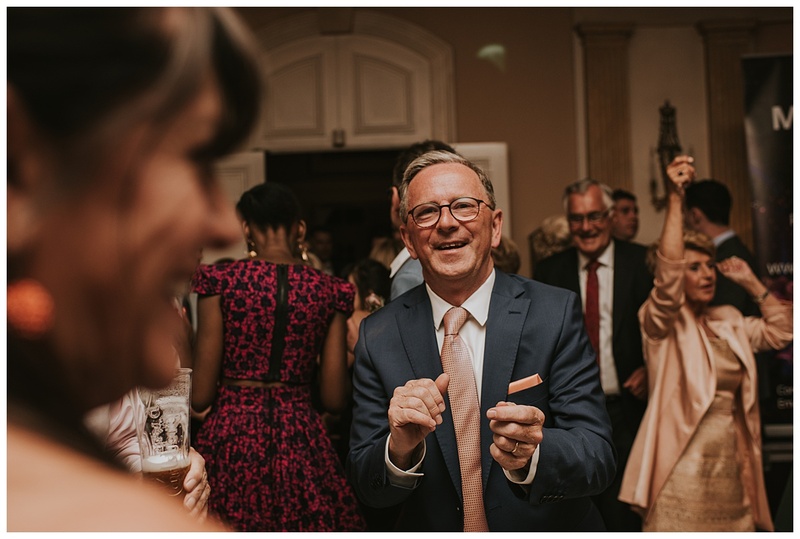 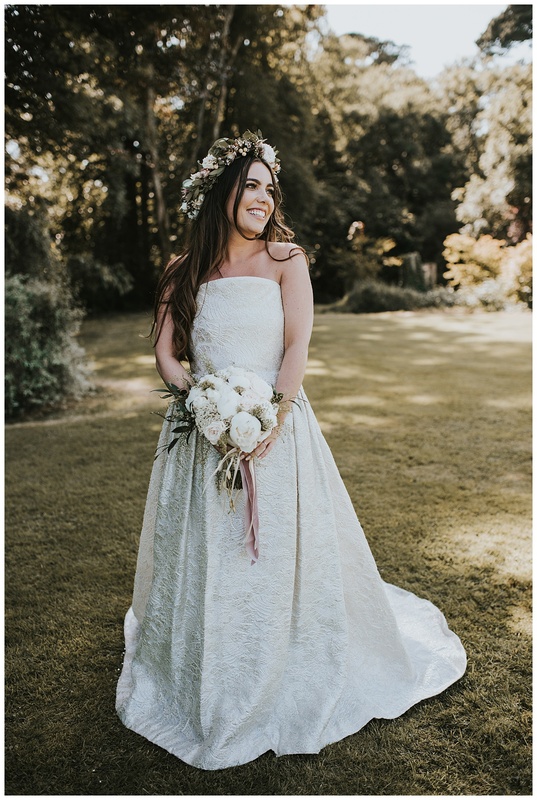 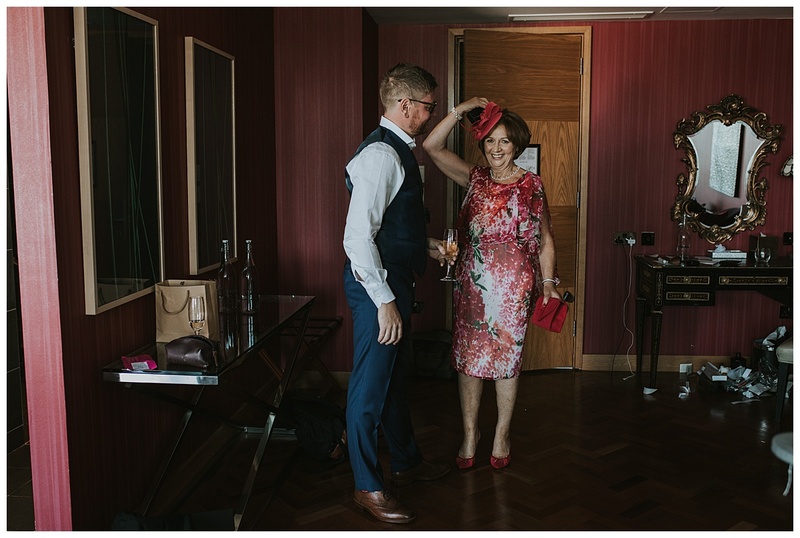 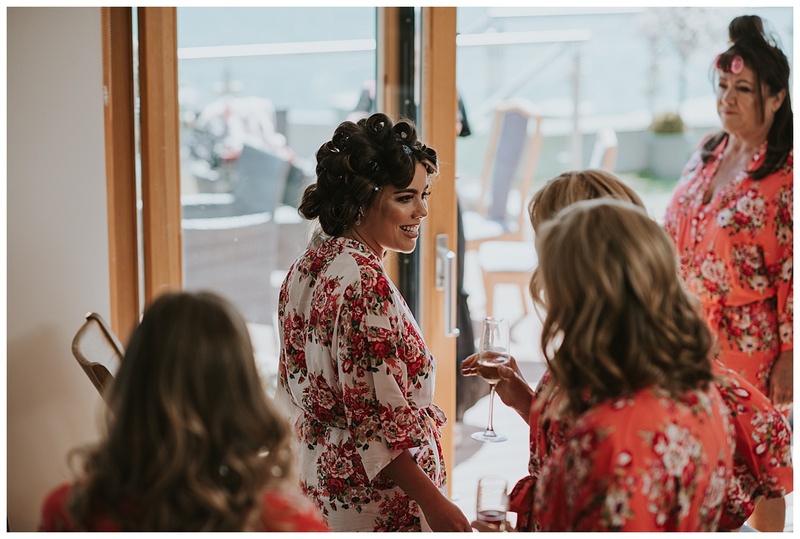 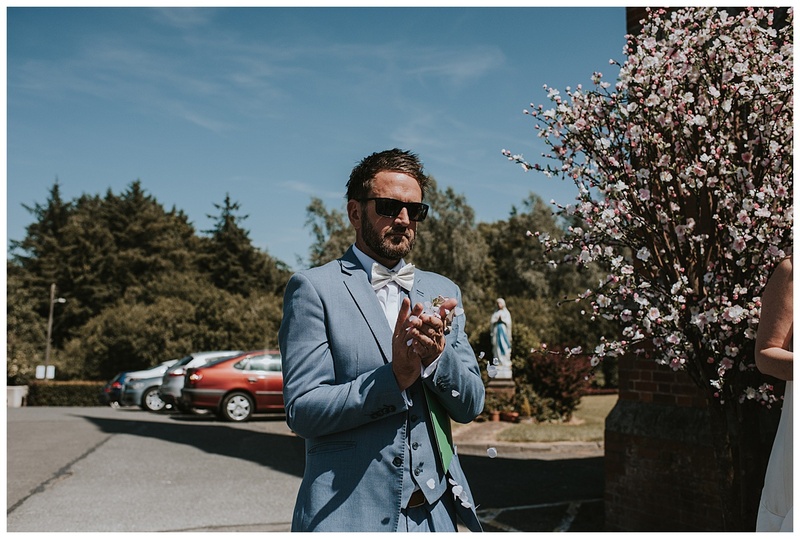 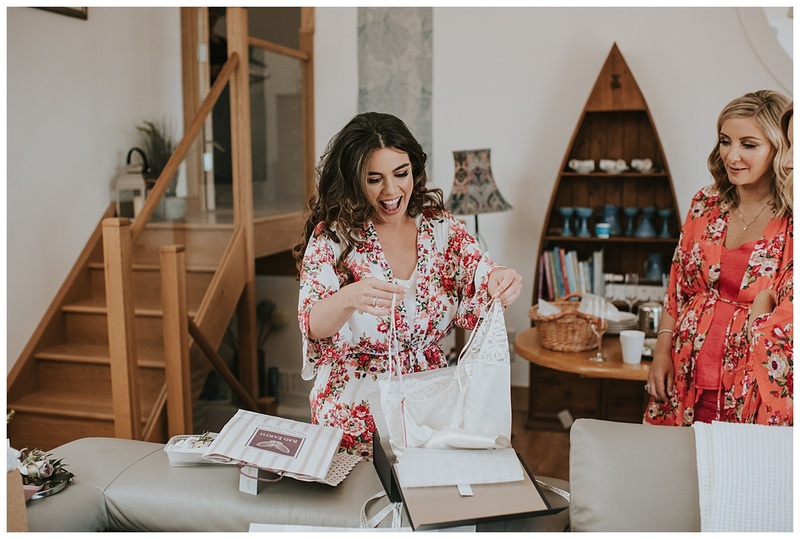 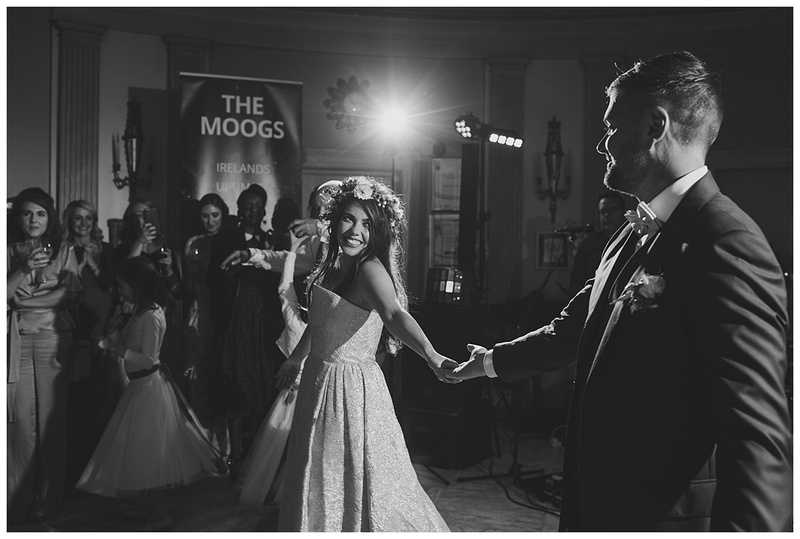 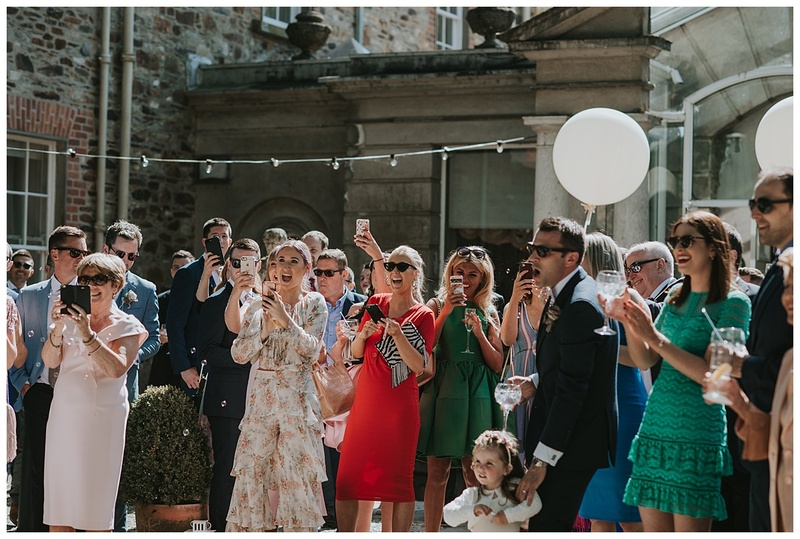 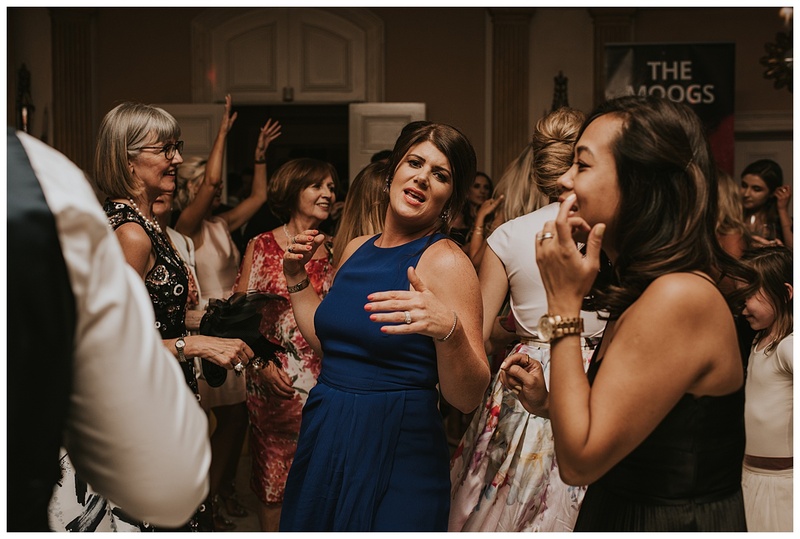 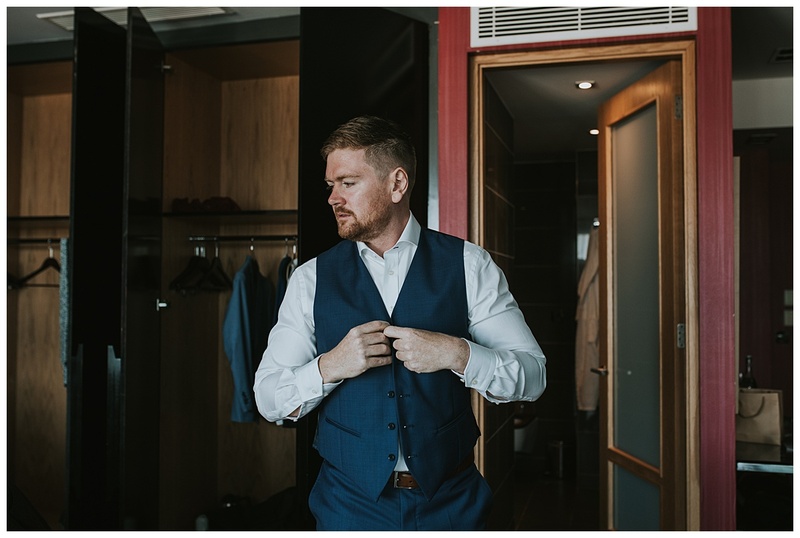 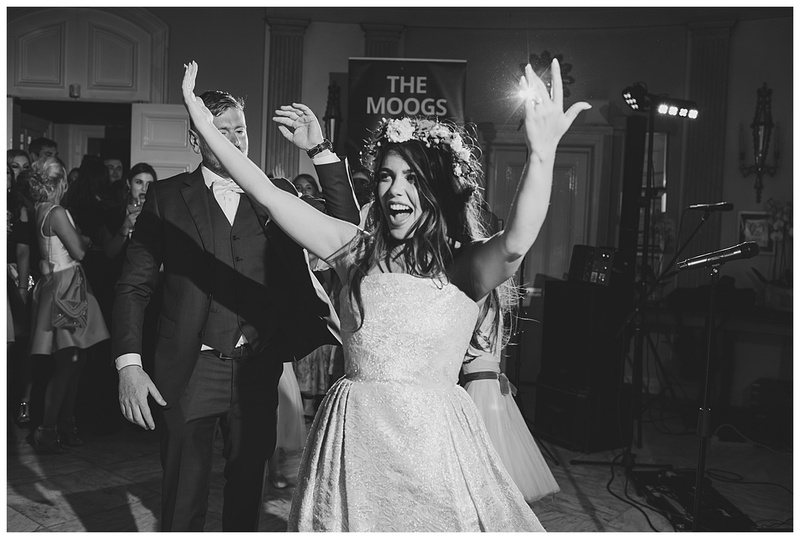 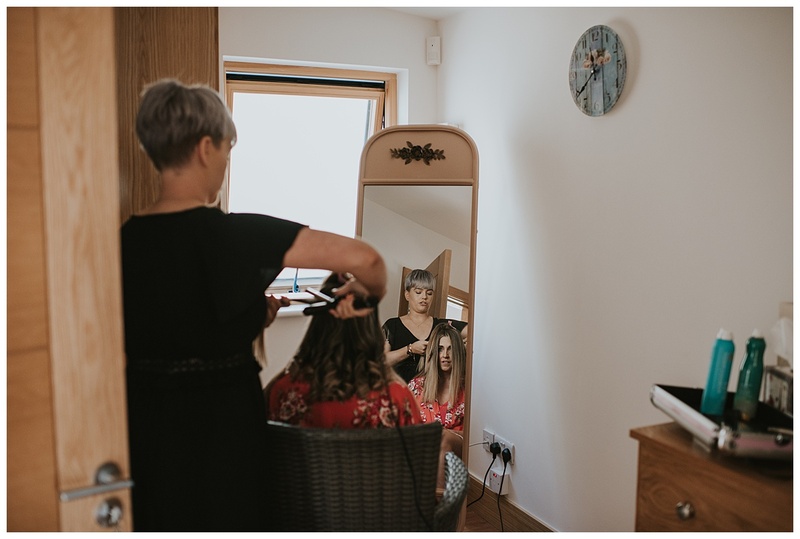 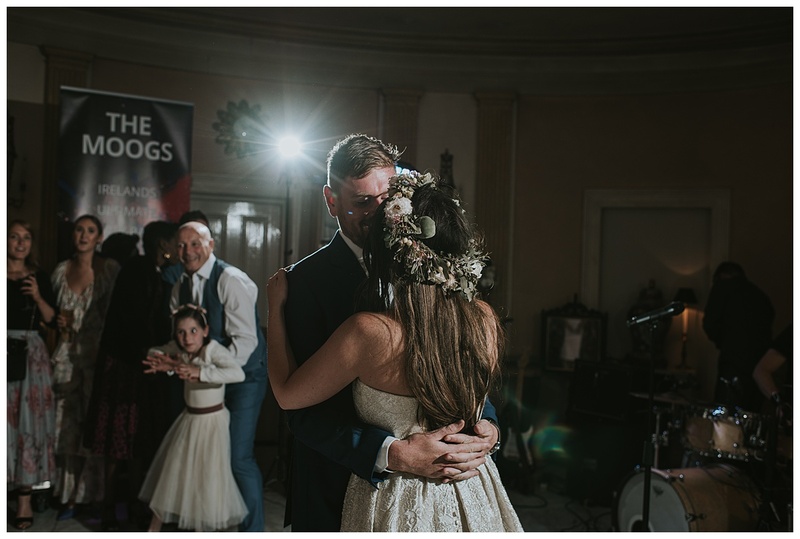 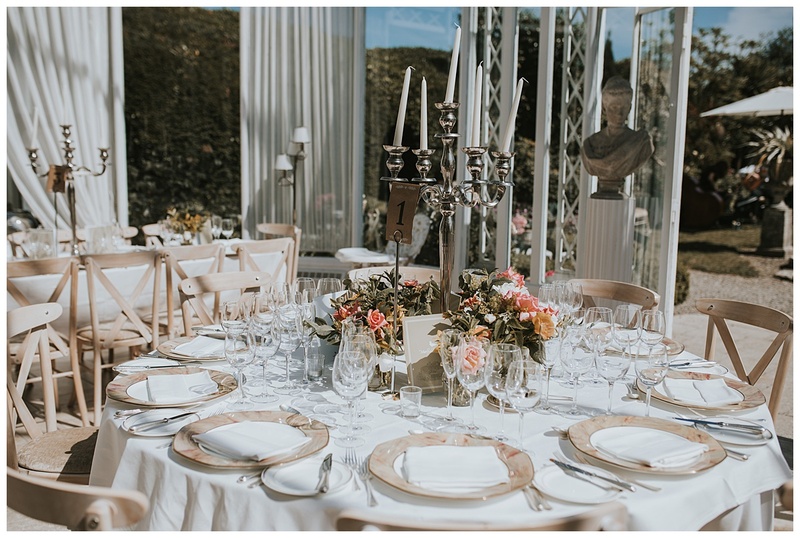 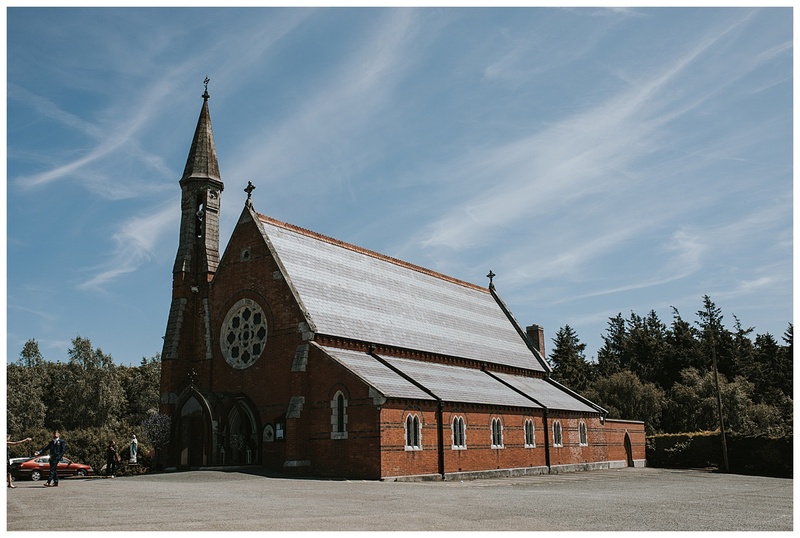 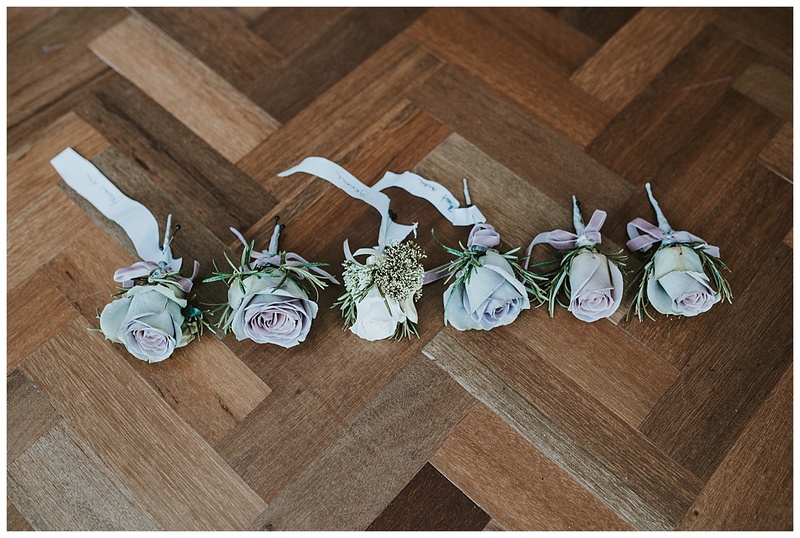 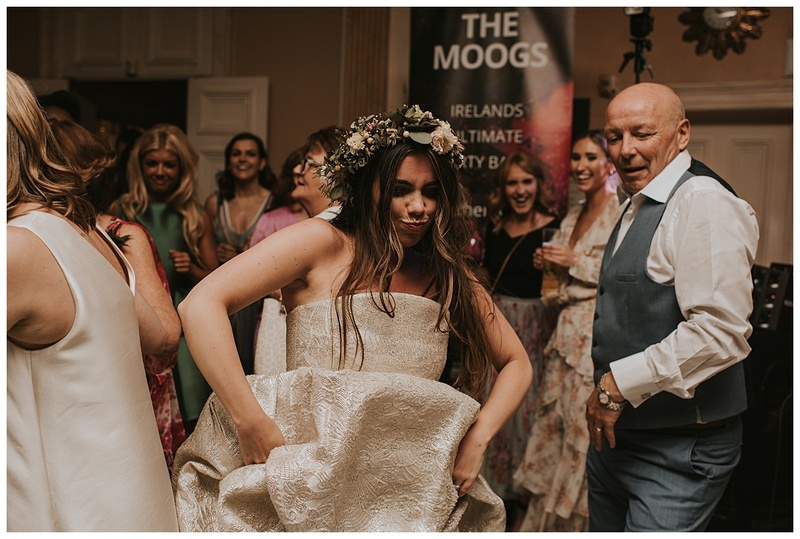 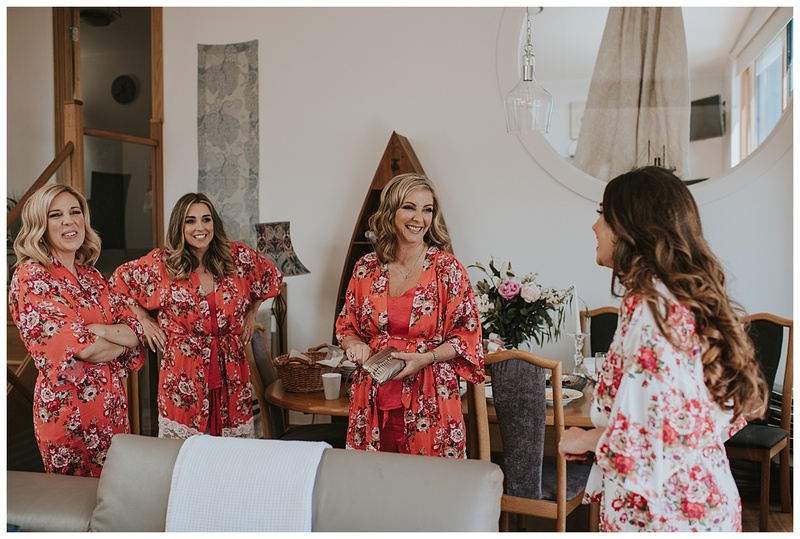 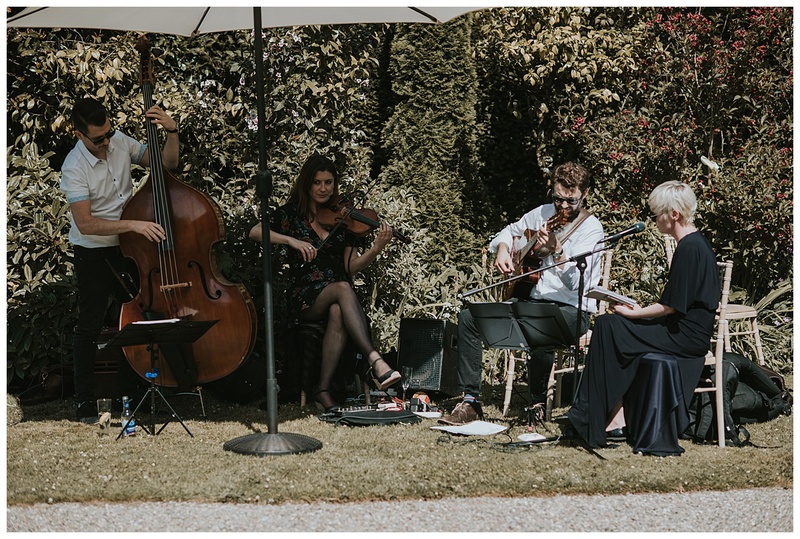 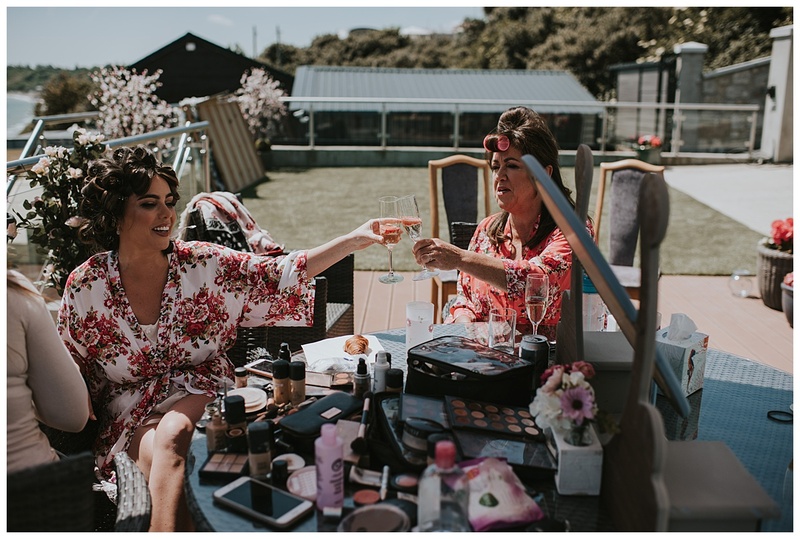 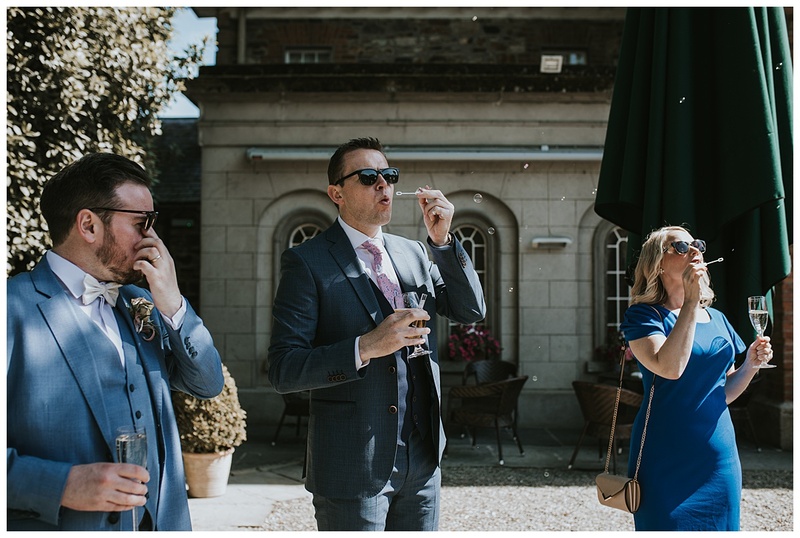 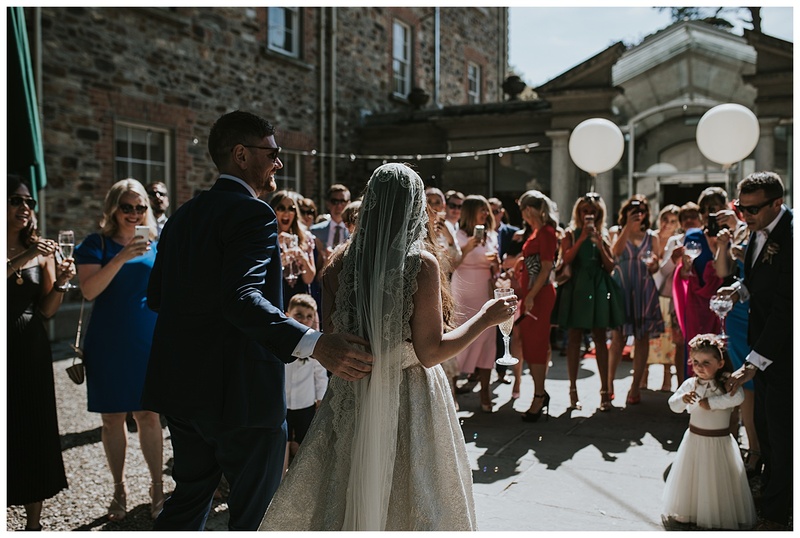 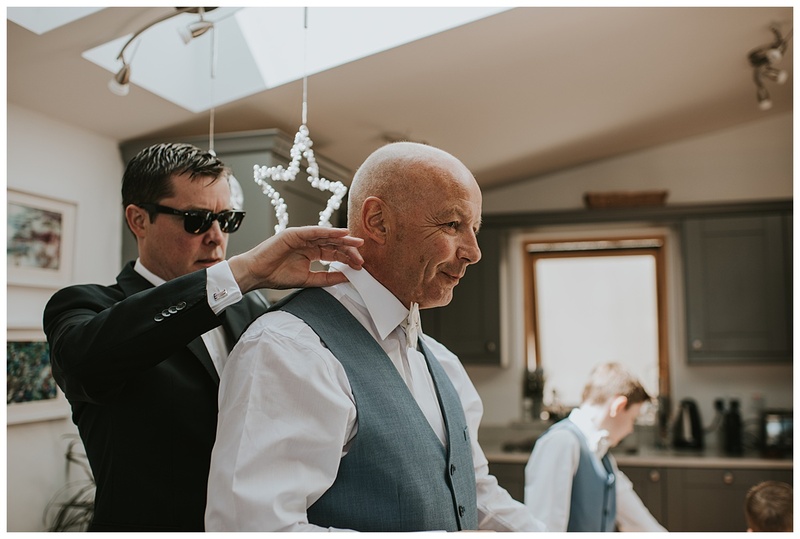 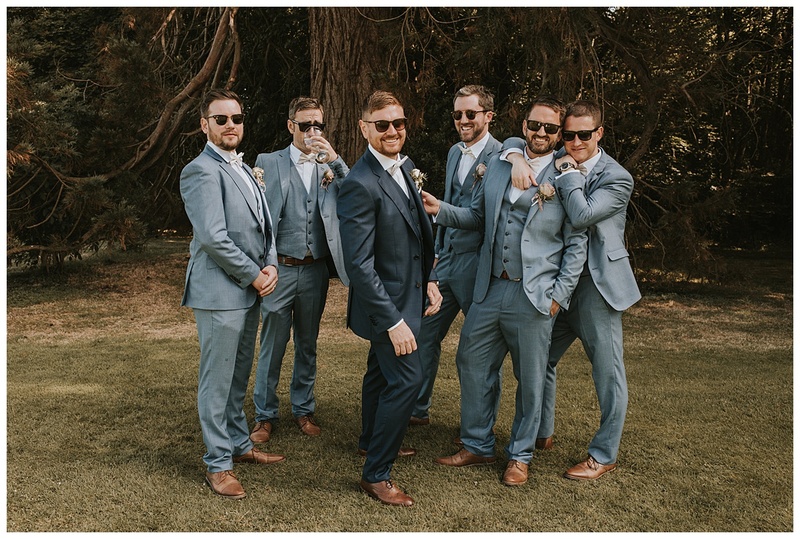 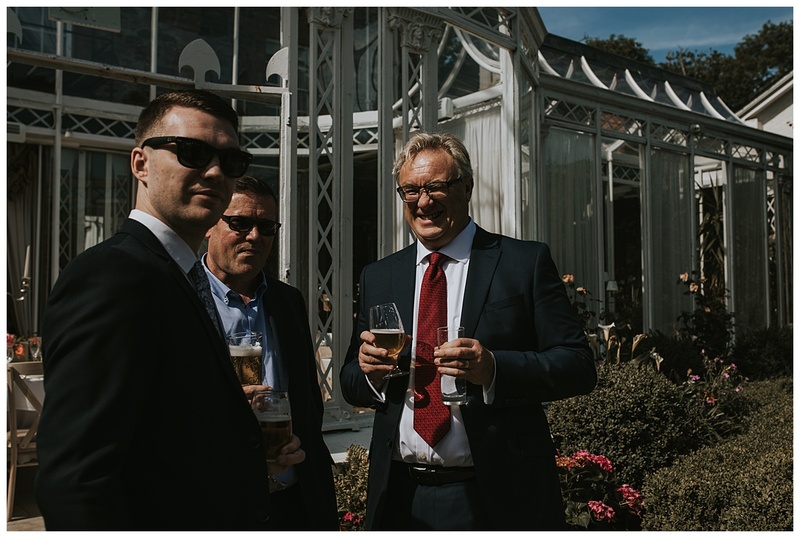 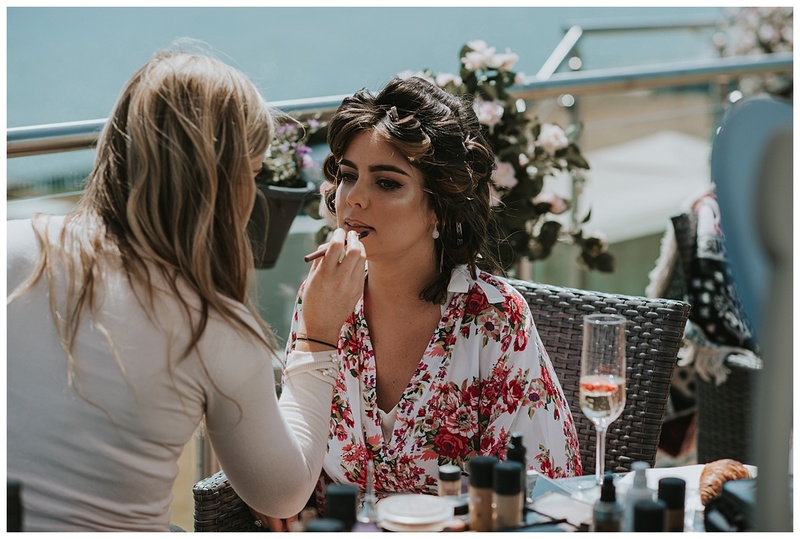 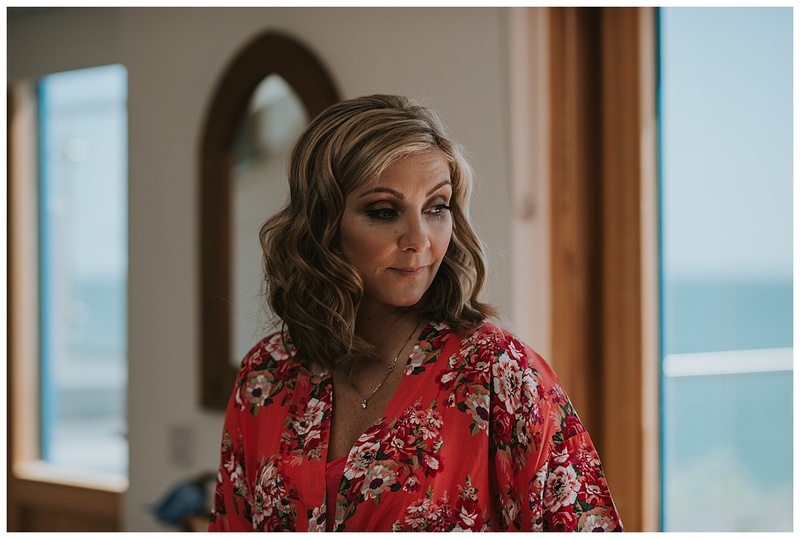 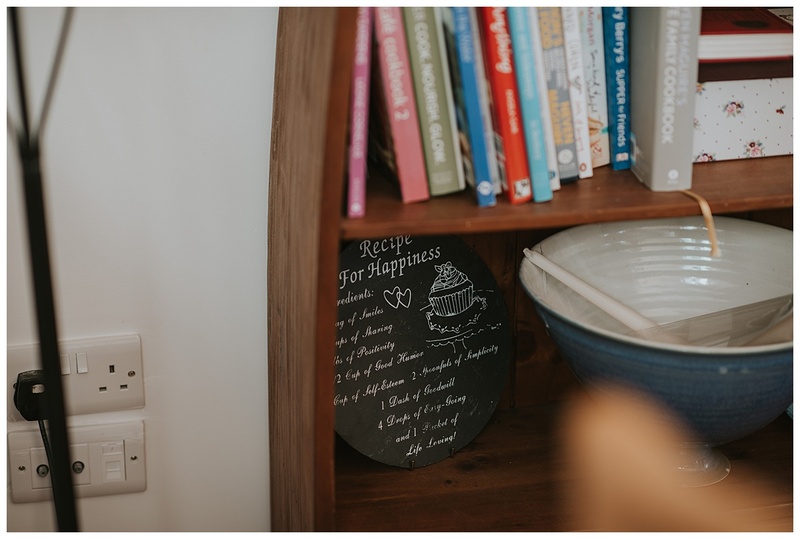 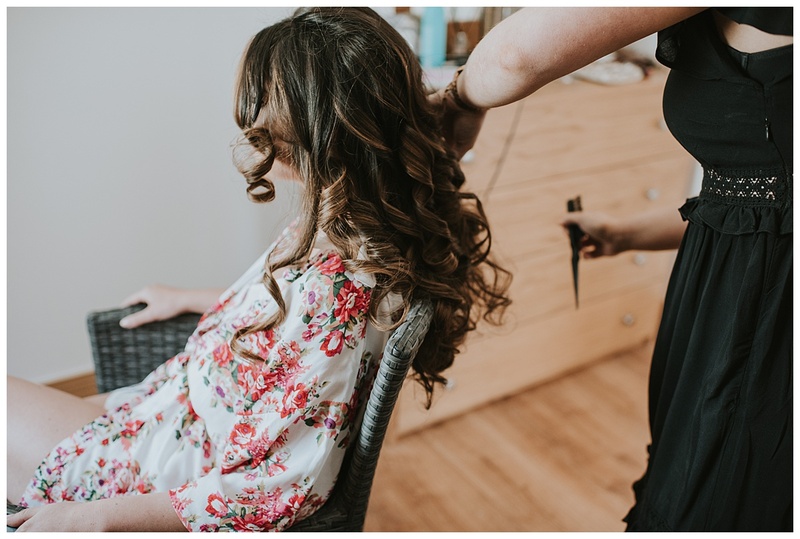 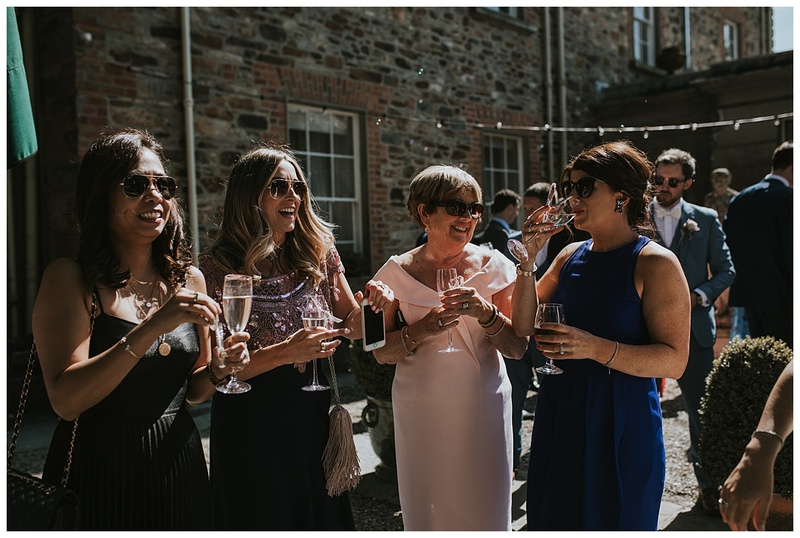 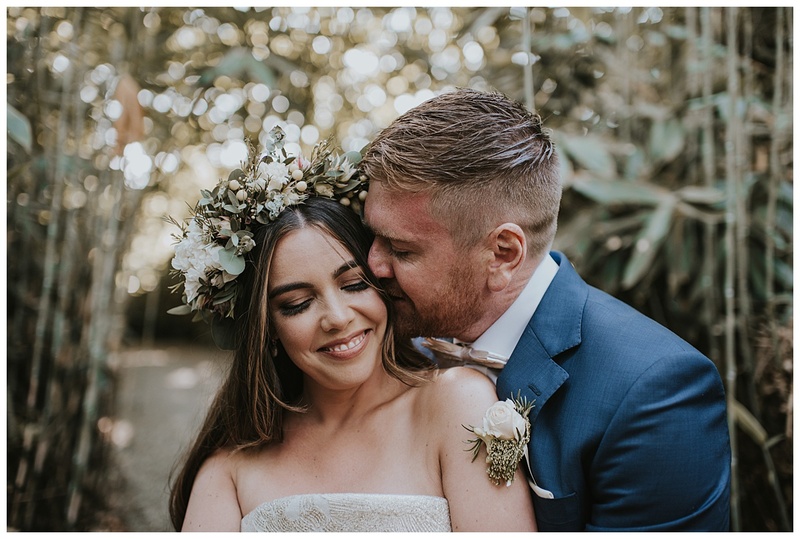 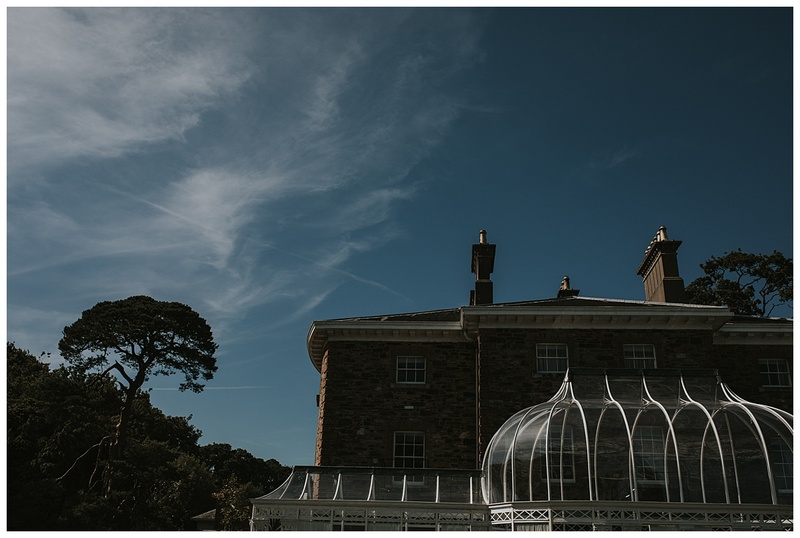 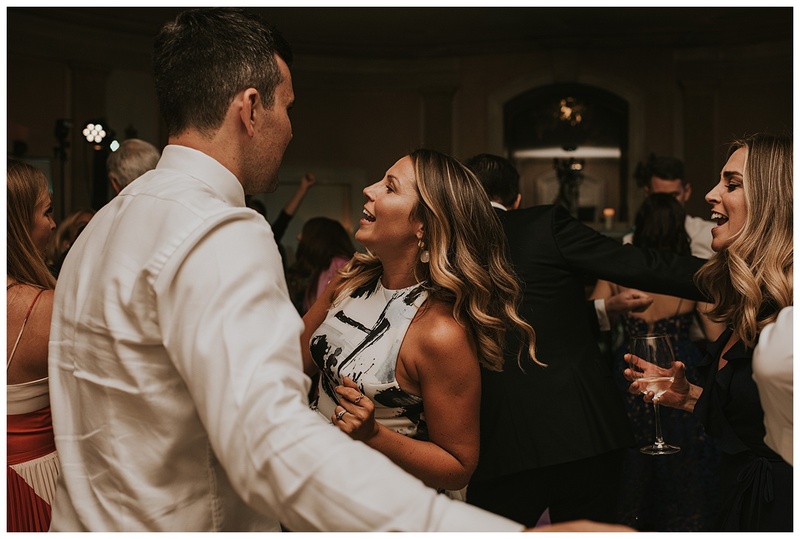 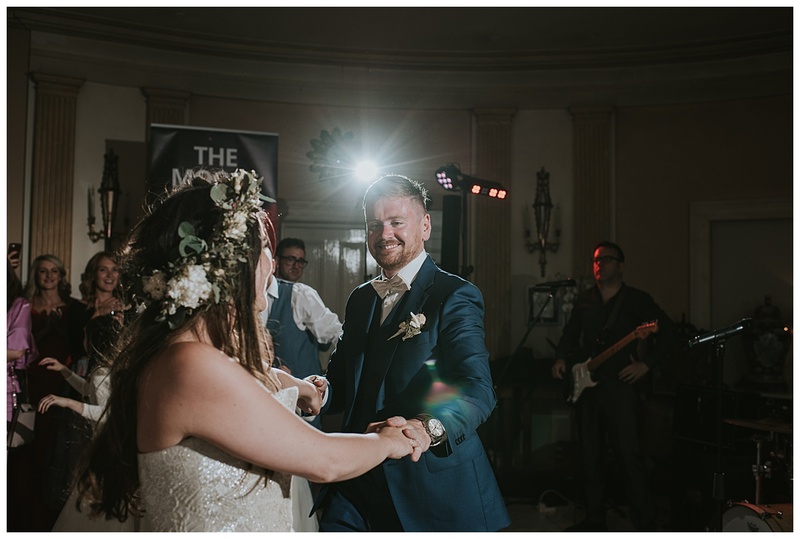 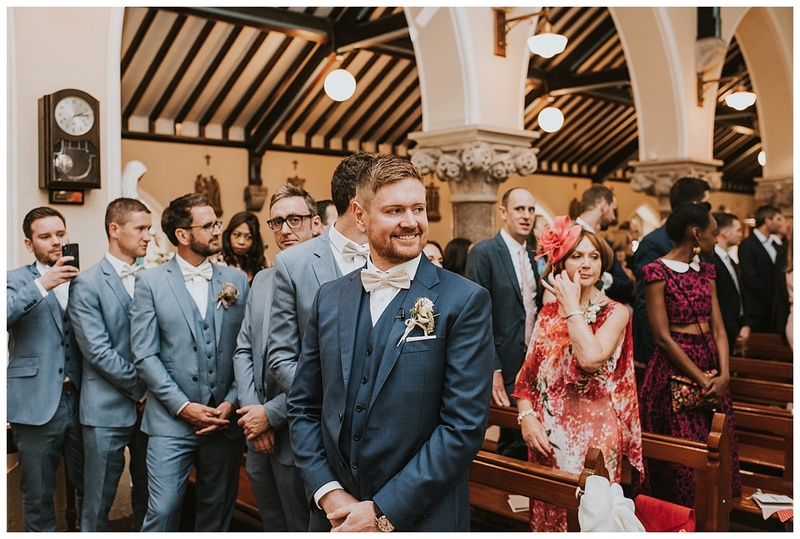 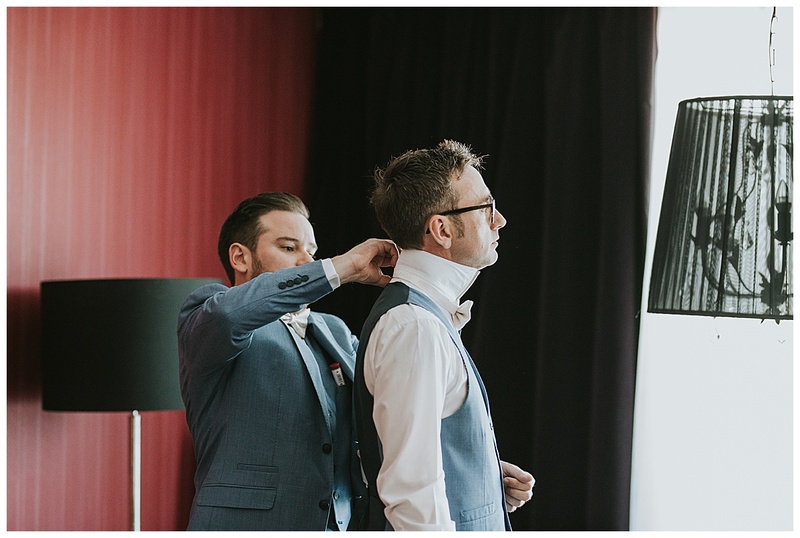 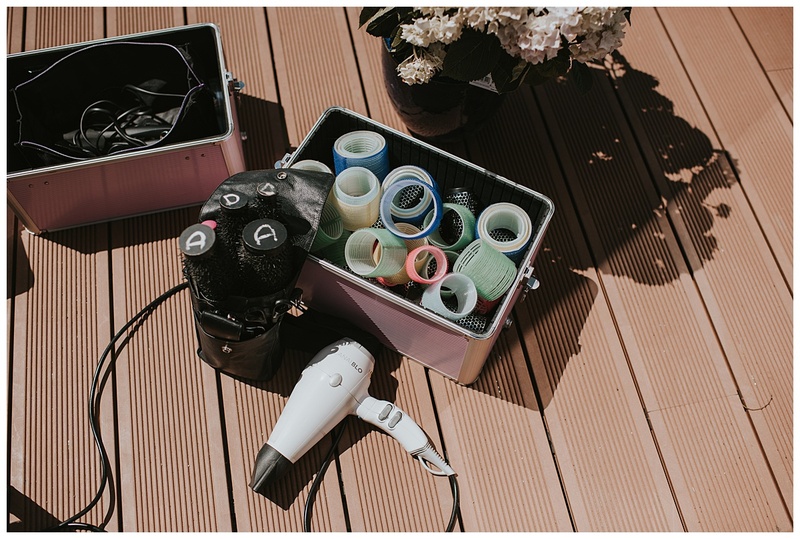 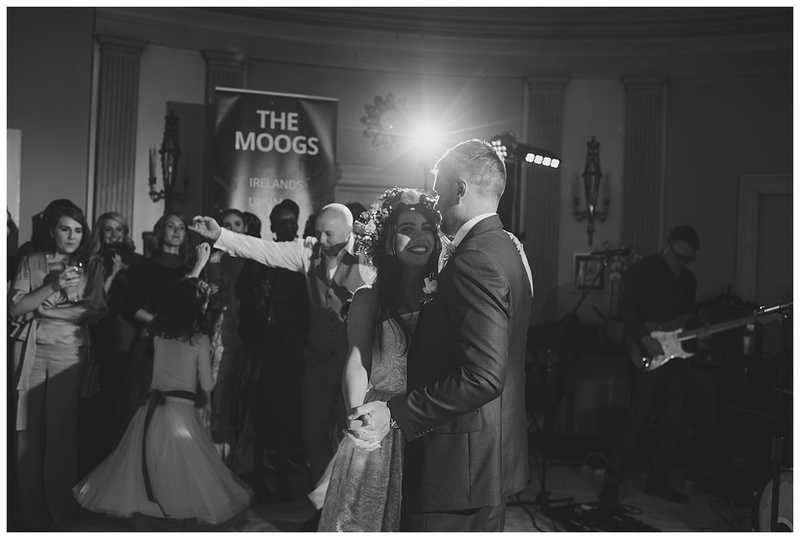 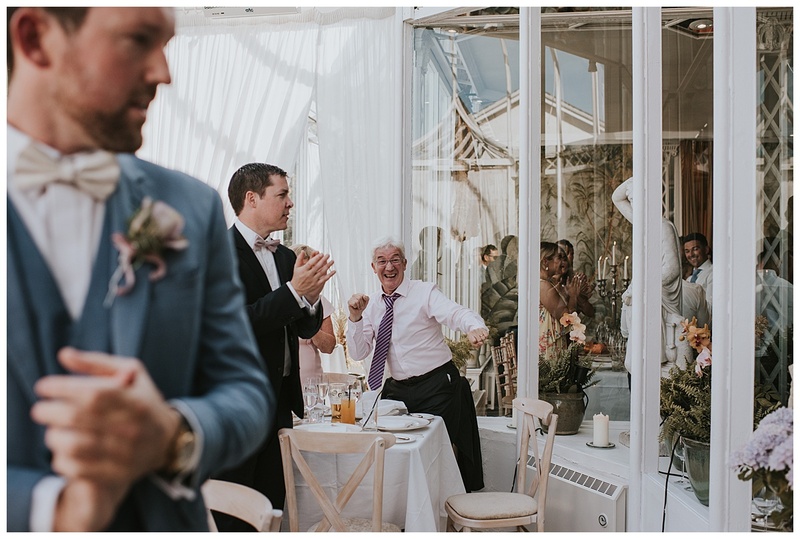 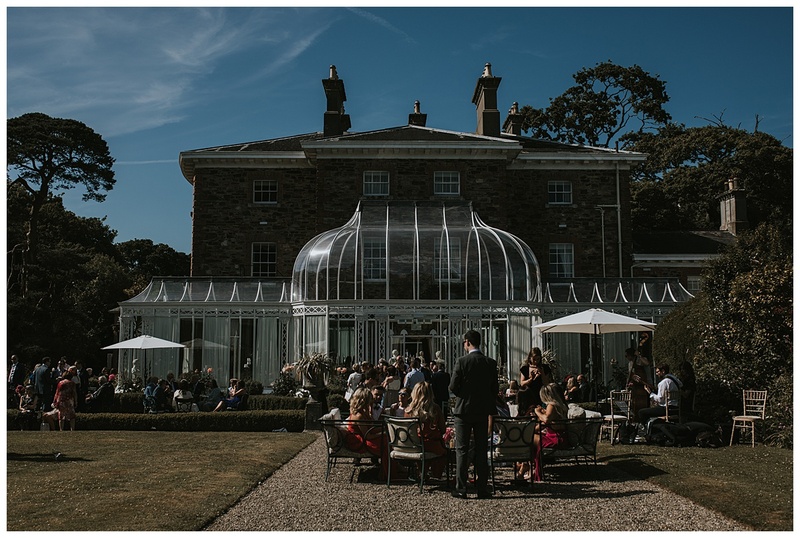 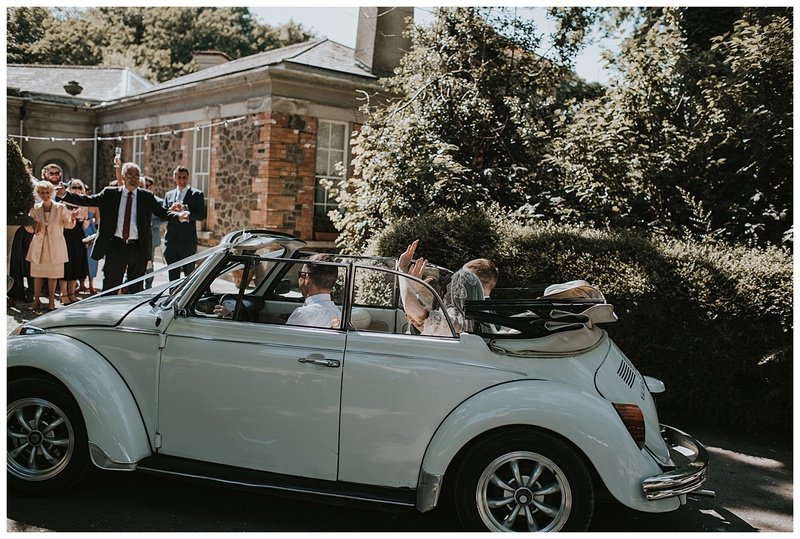 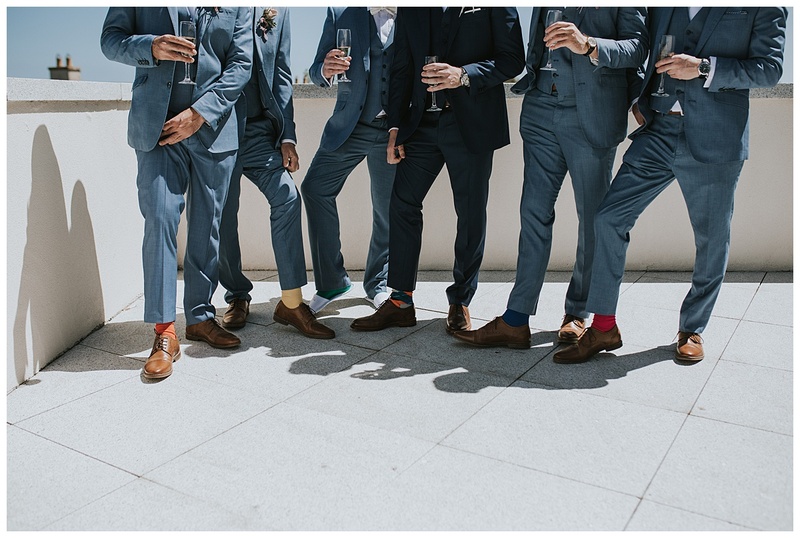 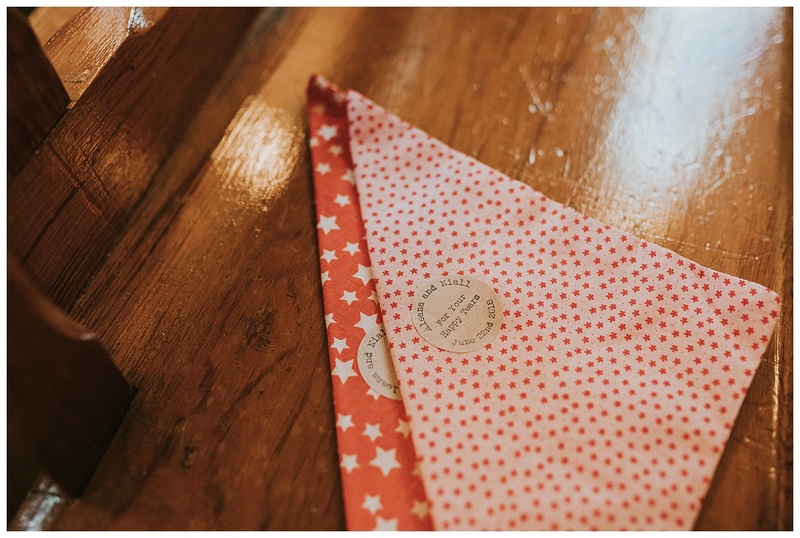 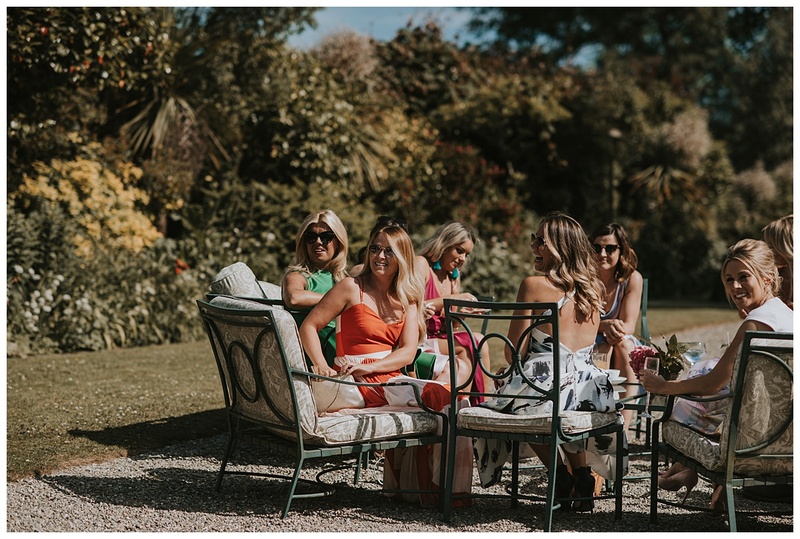 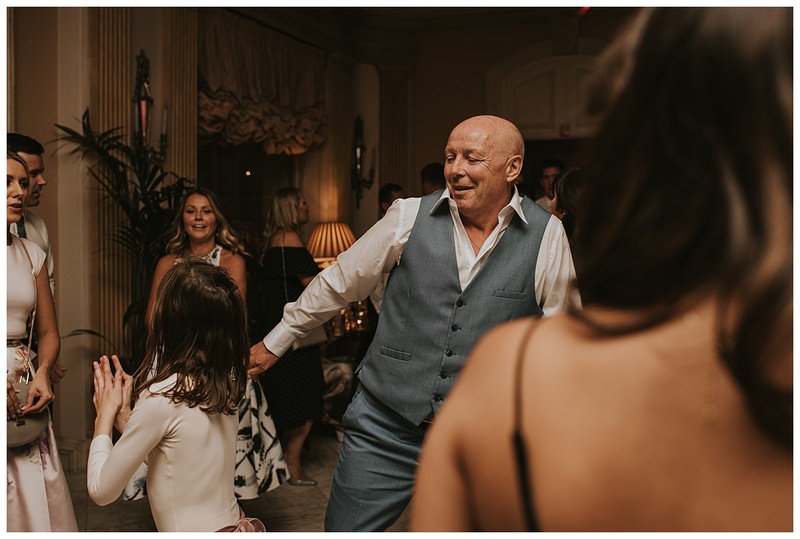 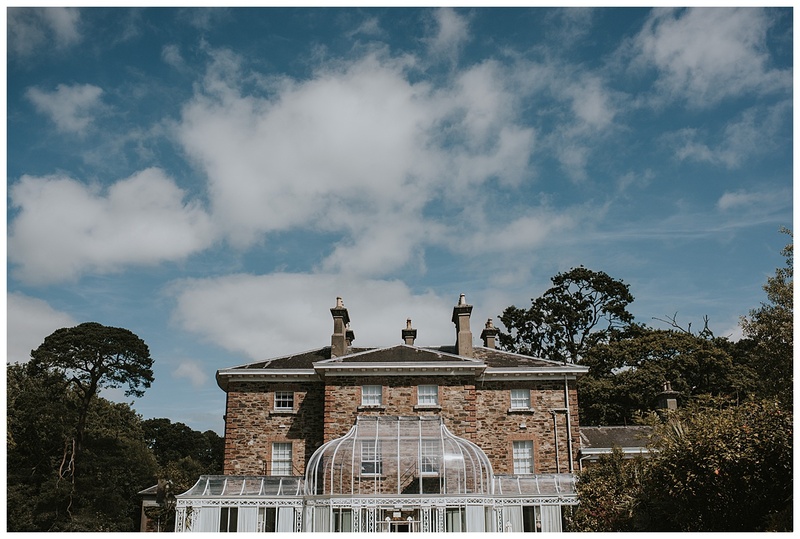 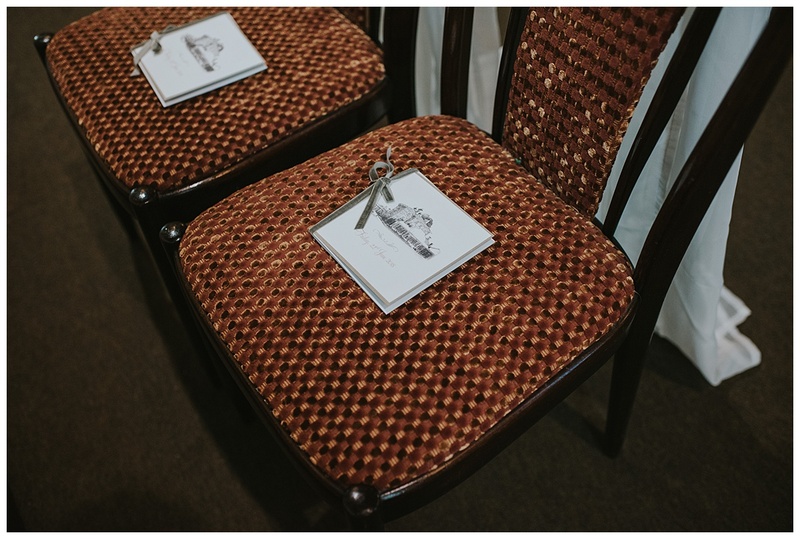 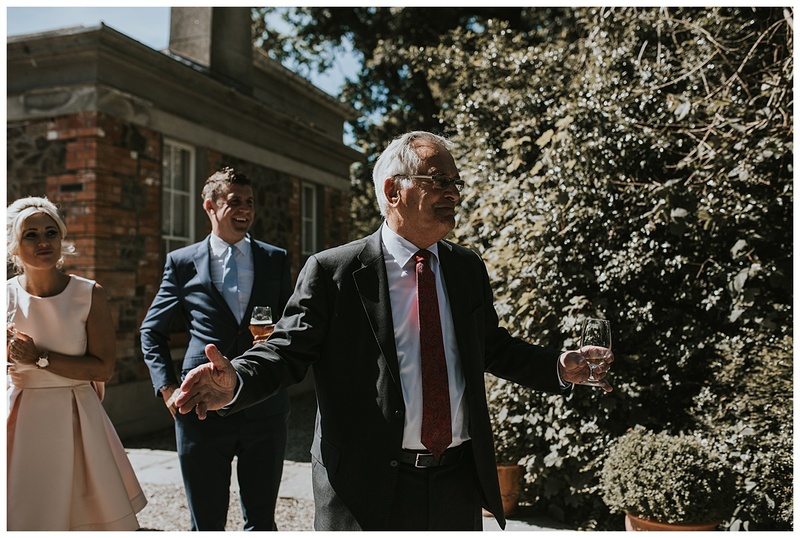 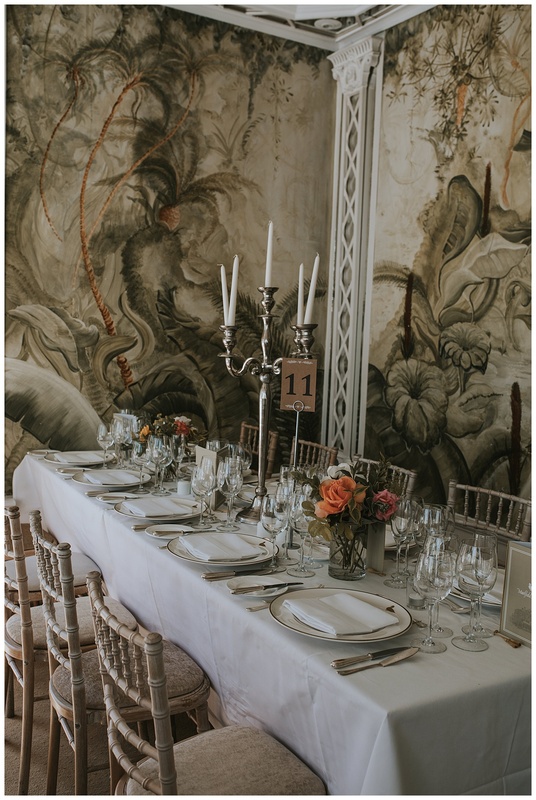 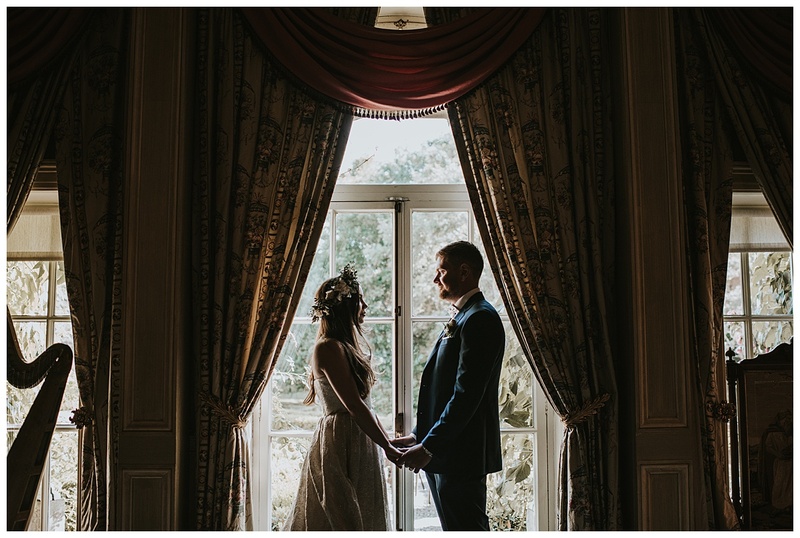 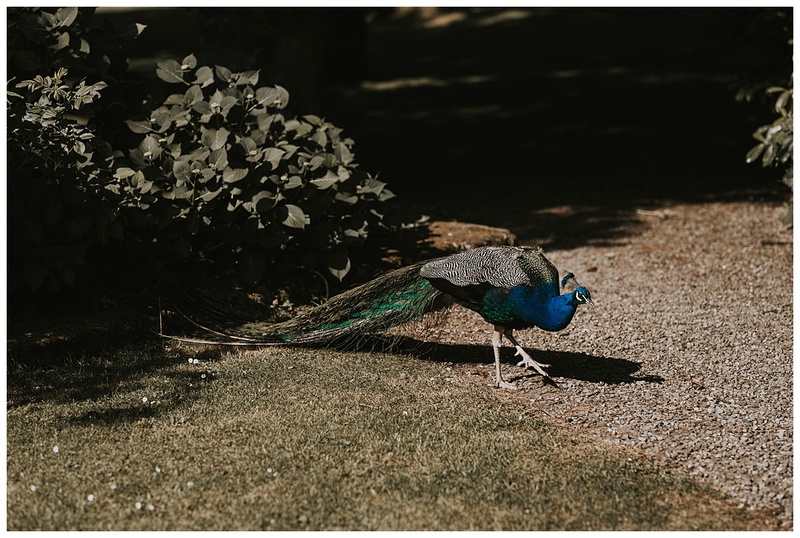 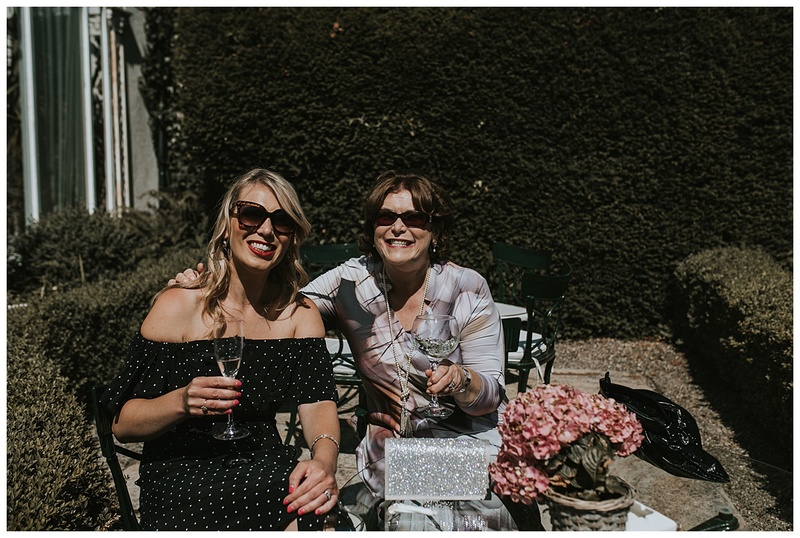 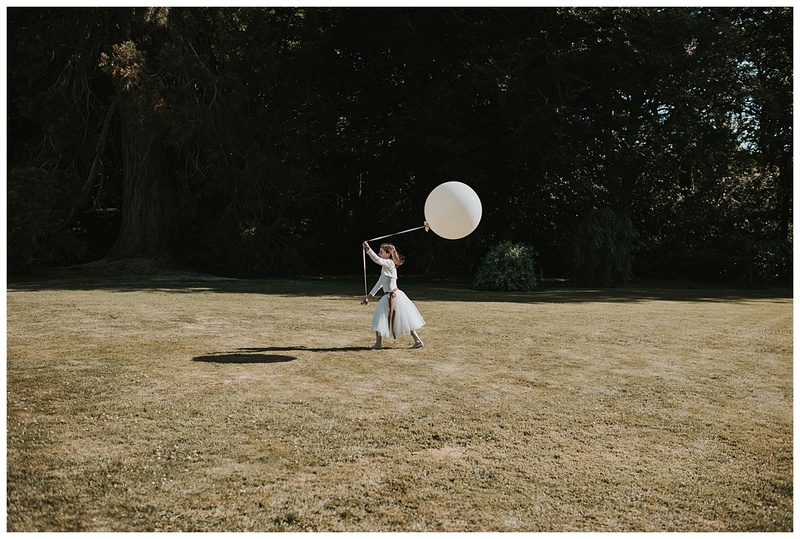 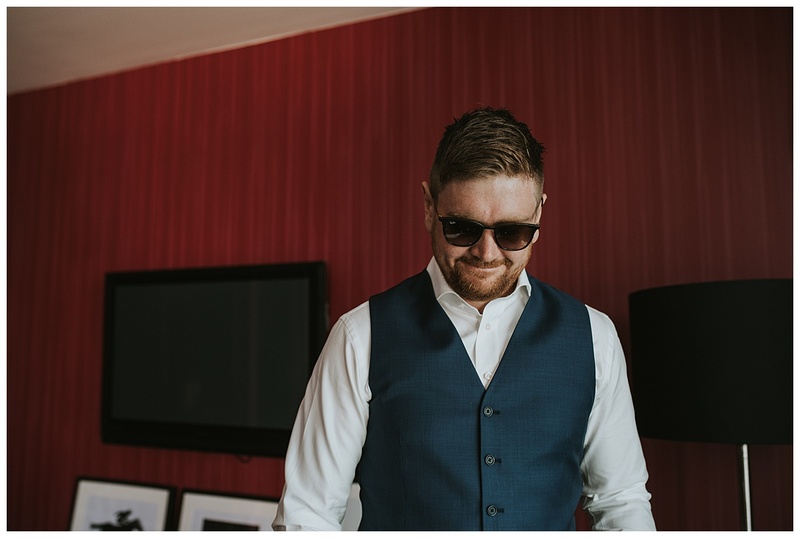 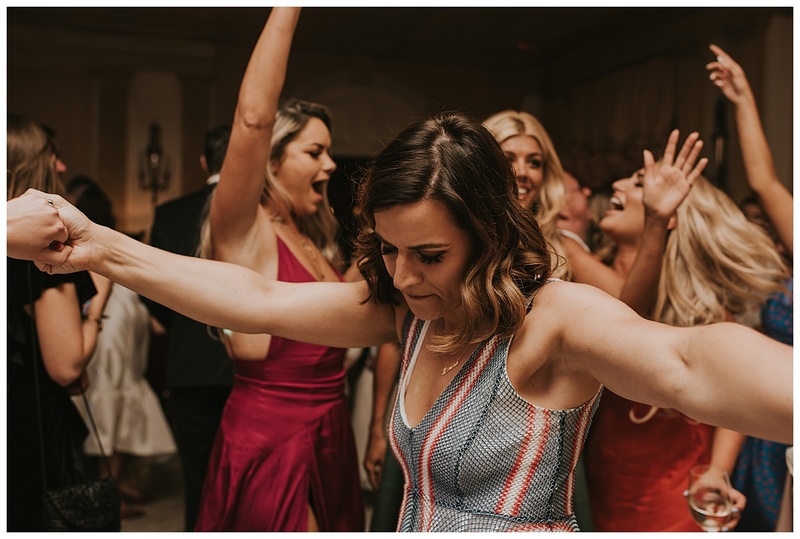 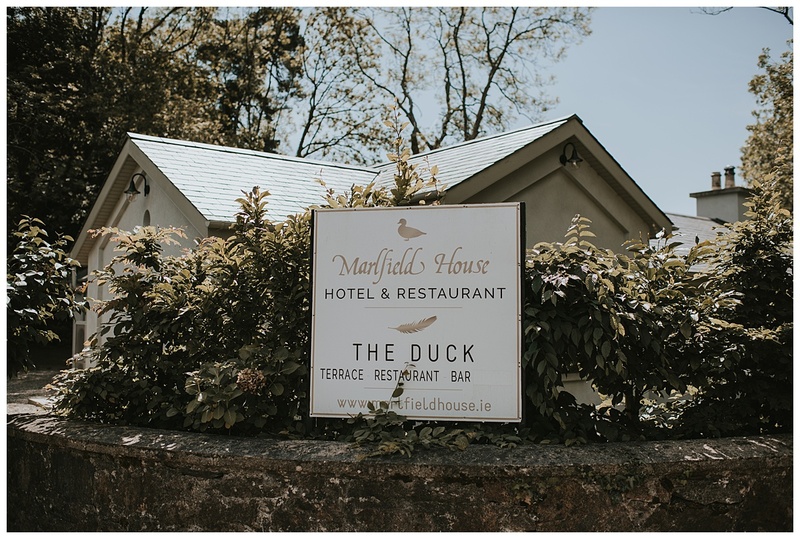 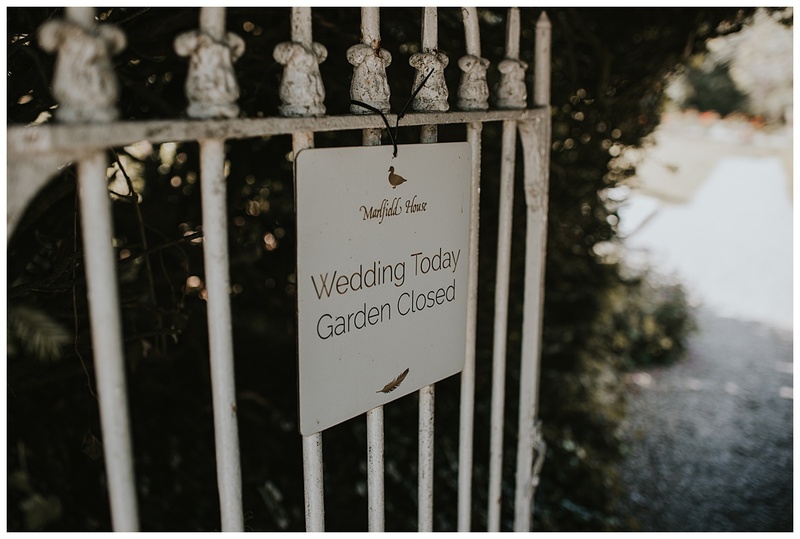 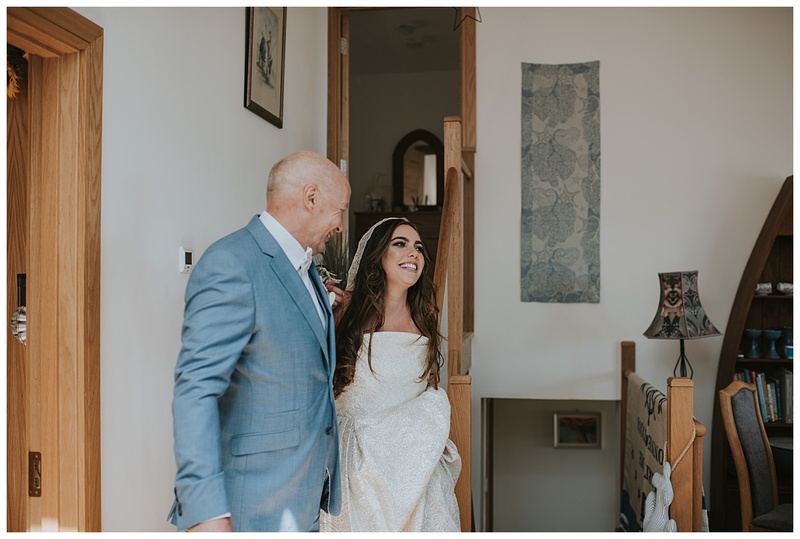 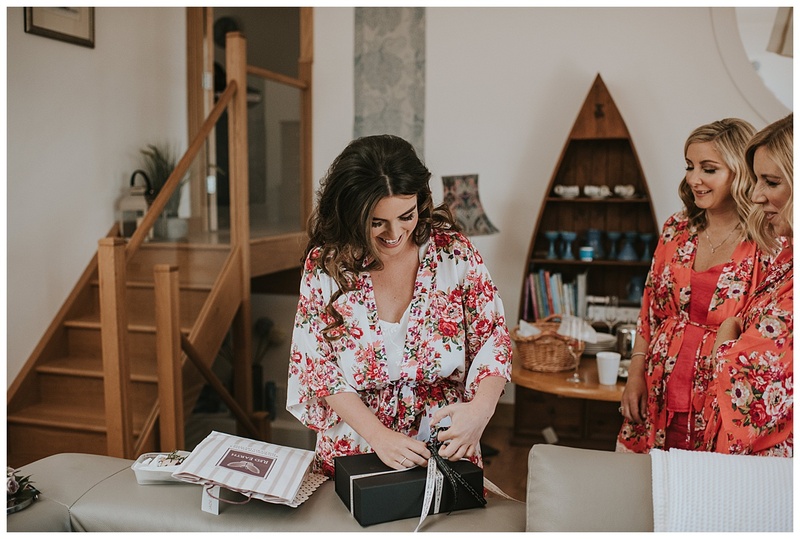 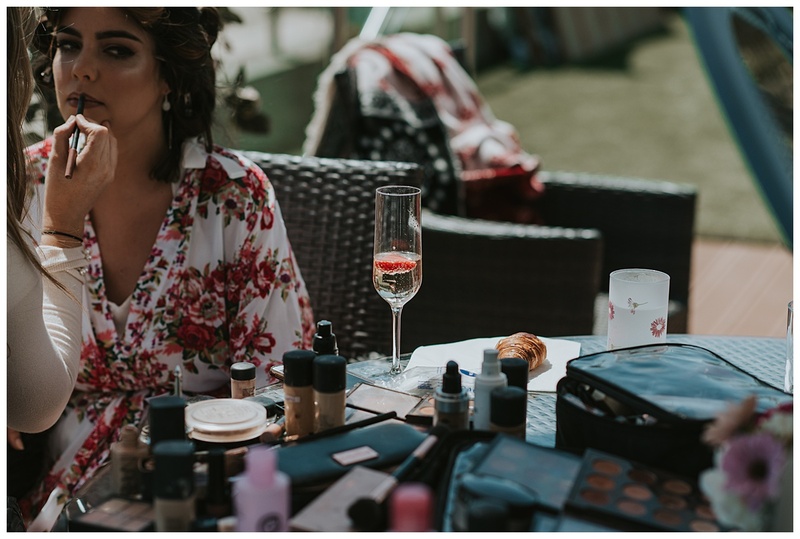 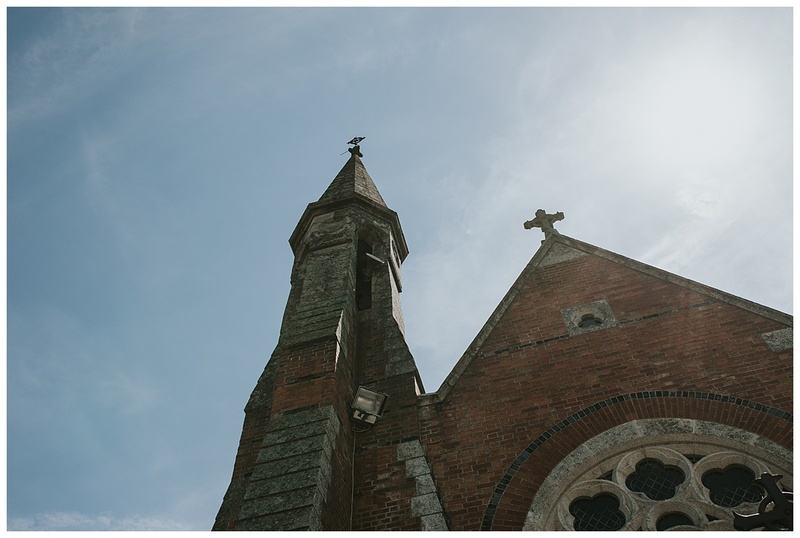 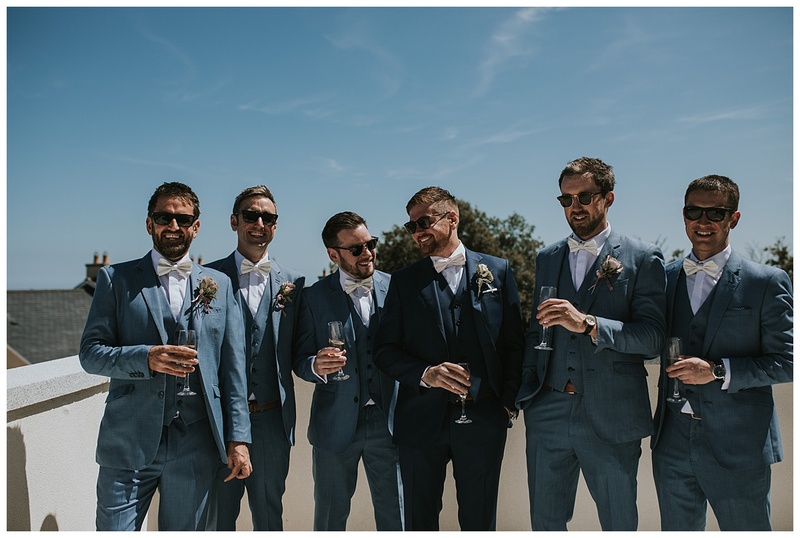 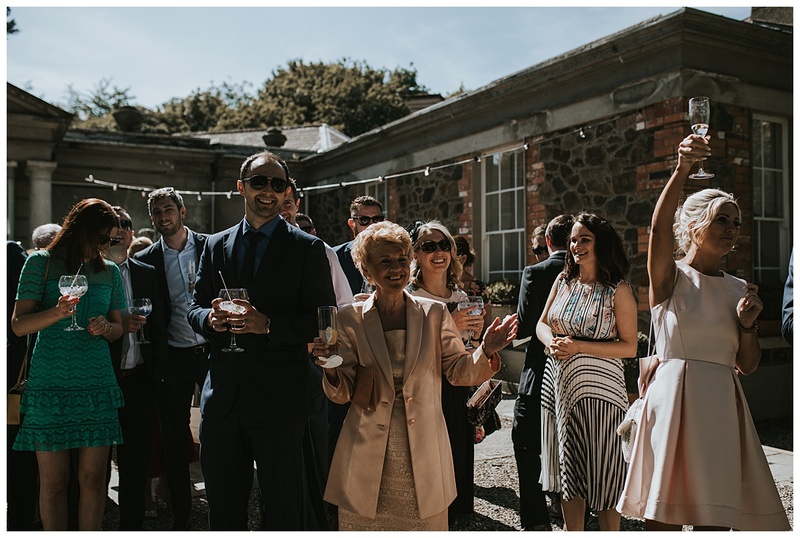 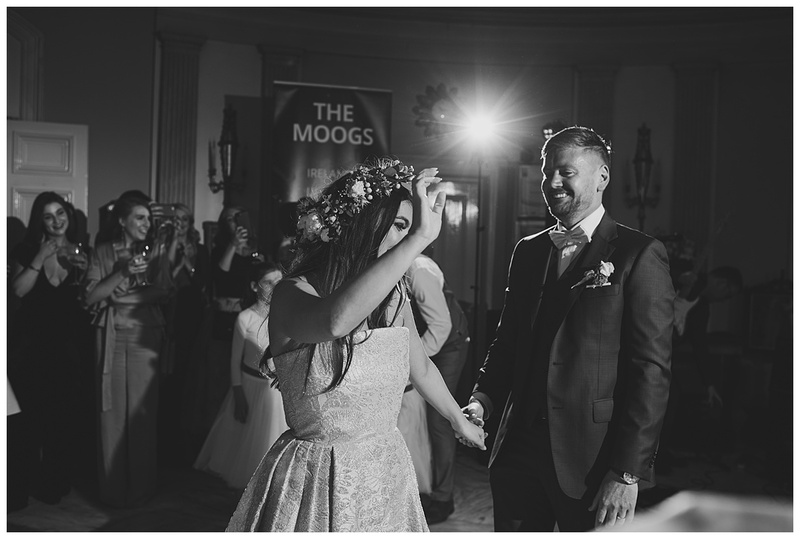 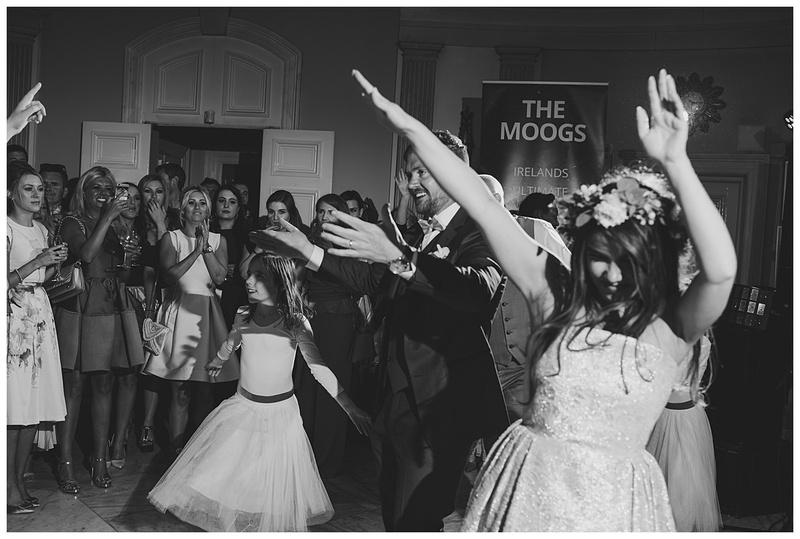 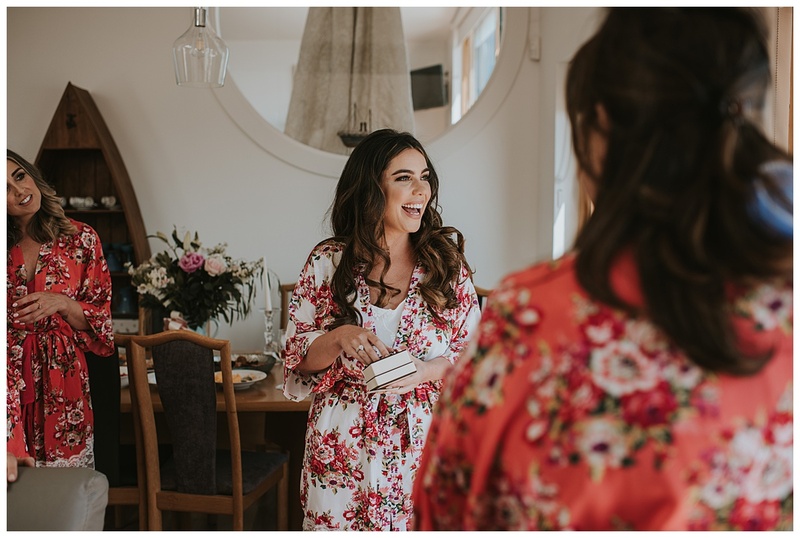 Back at the start of the heatwave was Aleana and Niall’s seriously stylish and fun Marlfield house wedding! 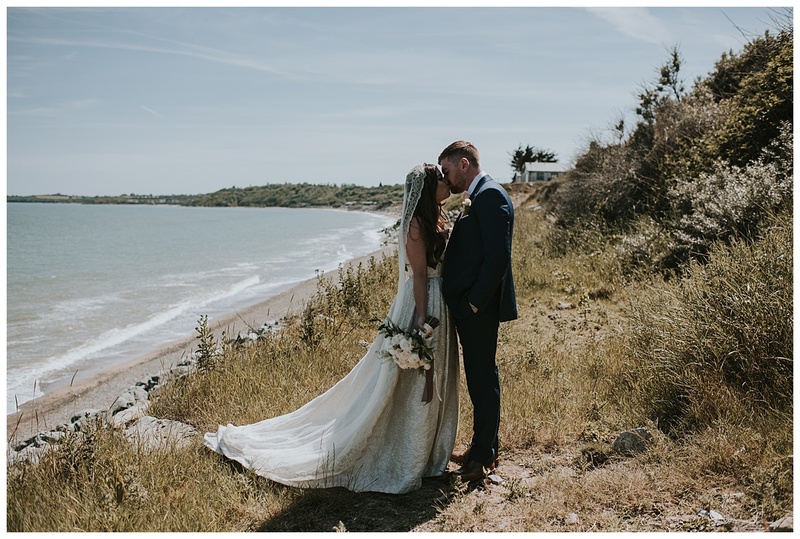 Gorey has a special place for both of them as this was where they got engaged at the bottom of the garden of Aleana’s parents holiday home in Courttown, so from the very start she wanted to be able to get some photos there and as you will see the view looks like something from the Mediterranean and not Wexford! 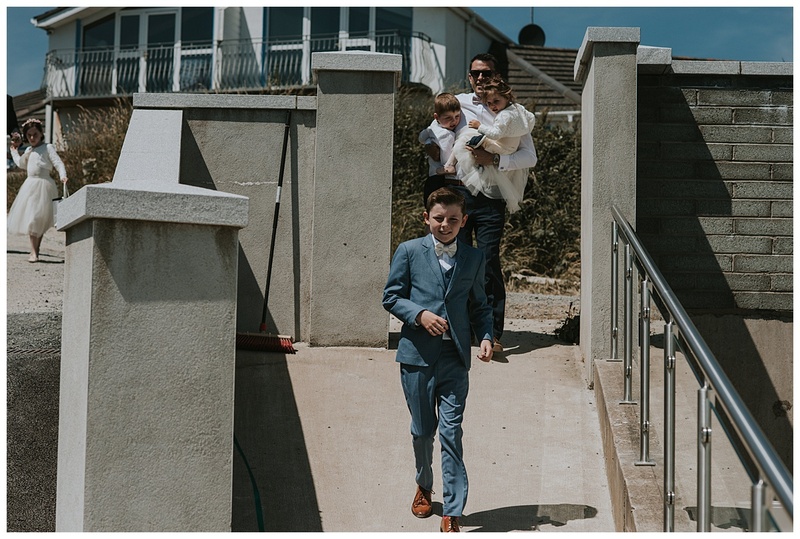 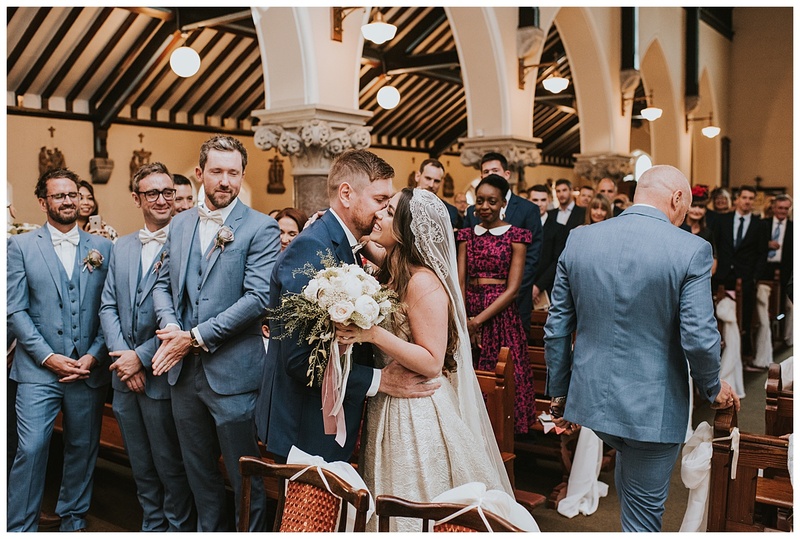 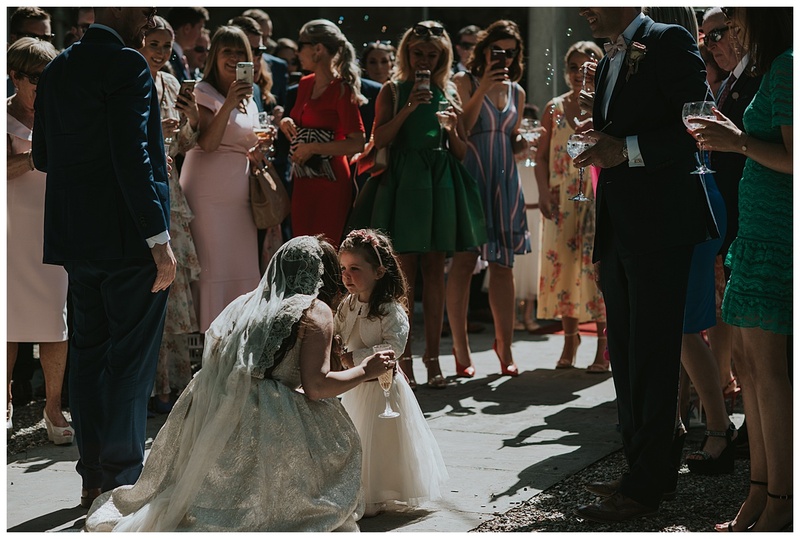 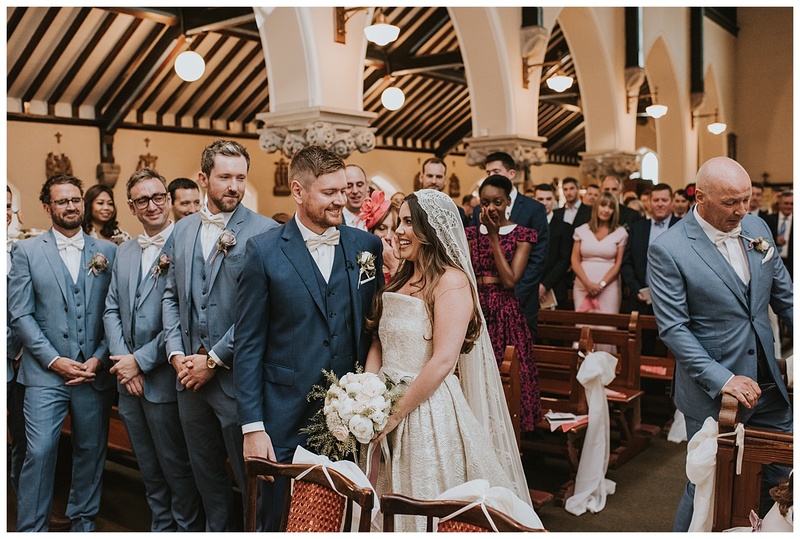 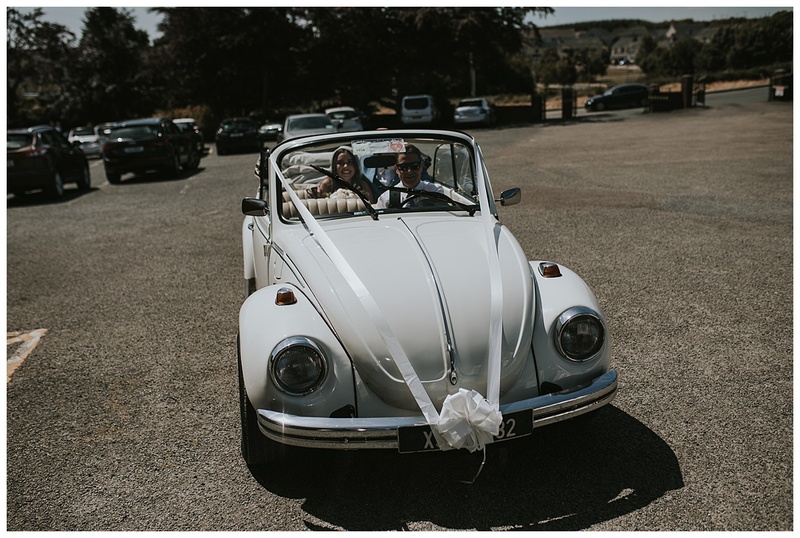 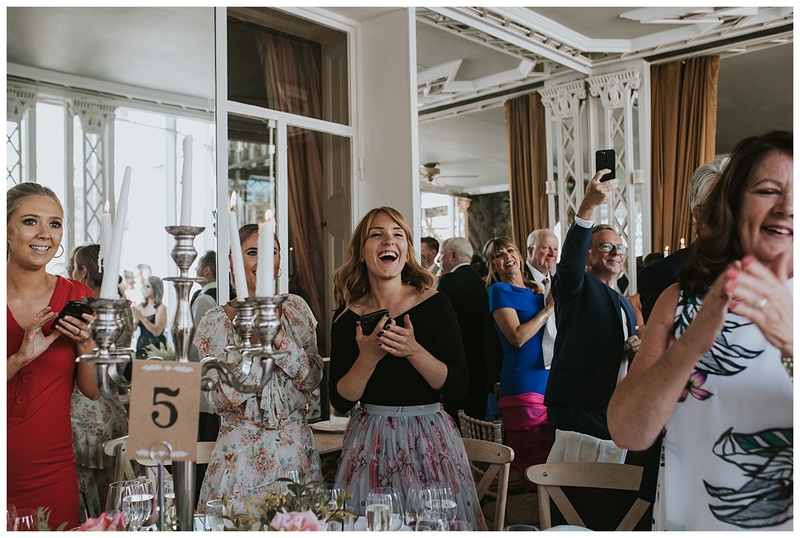 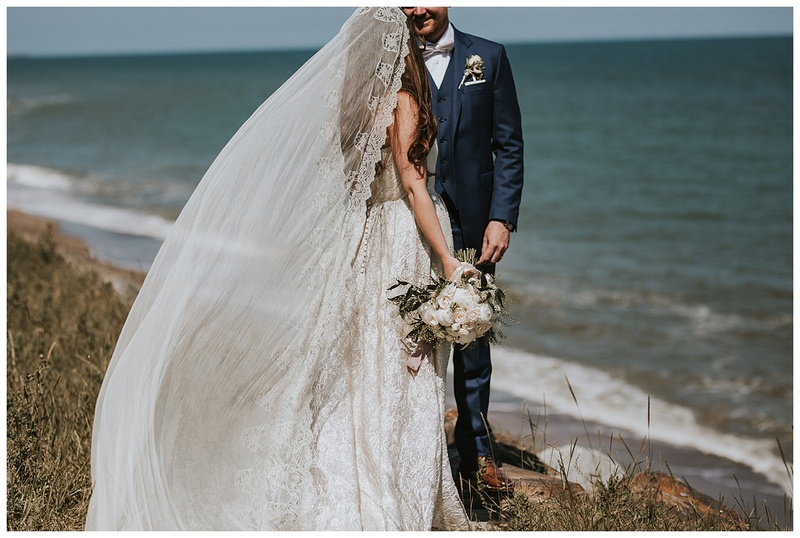 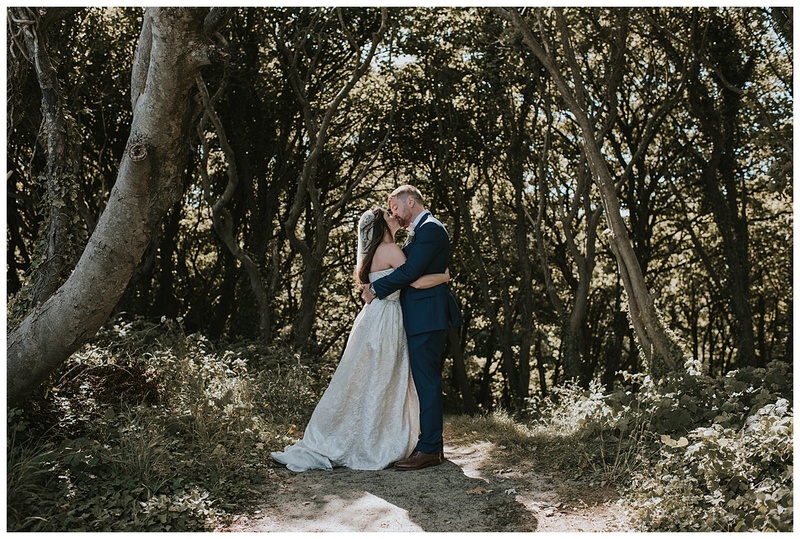 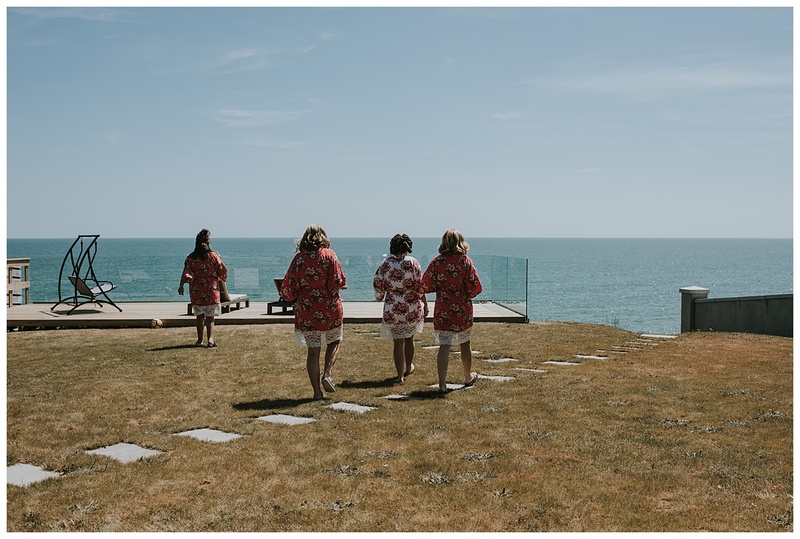 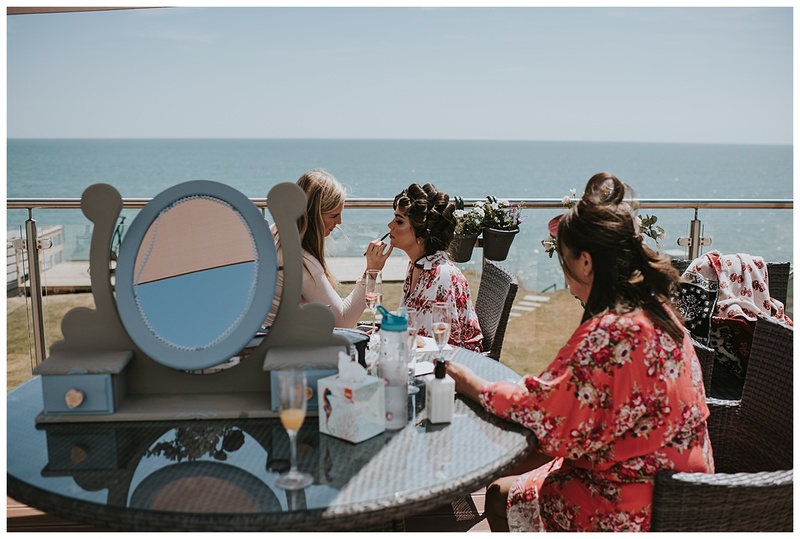 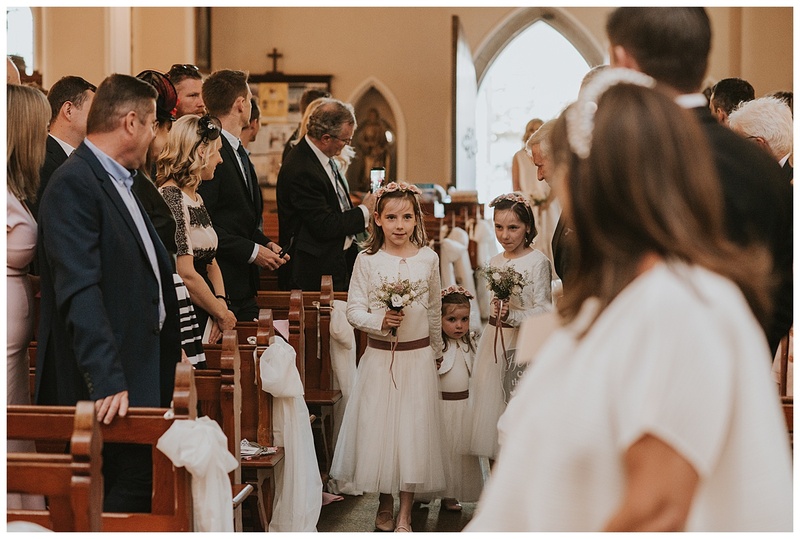 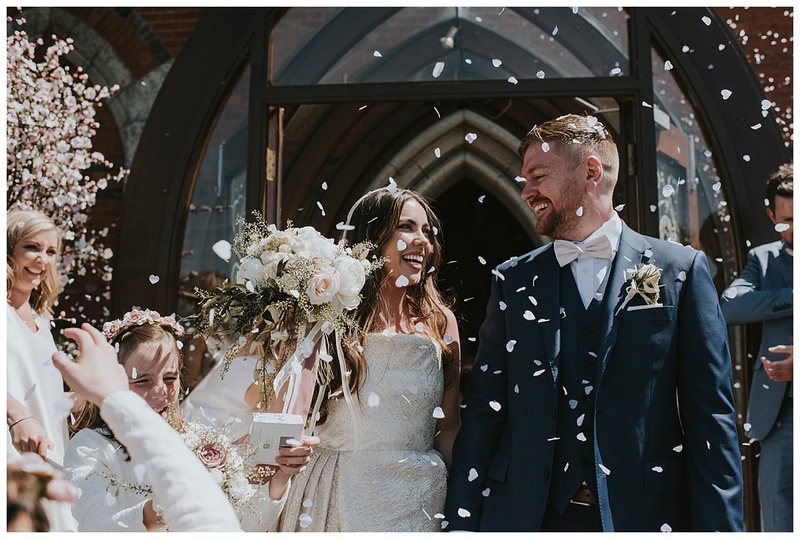 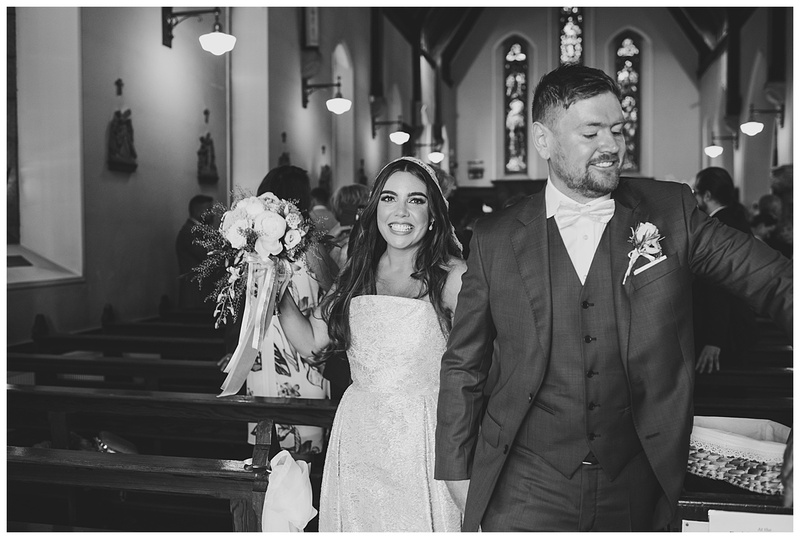 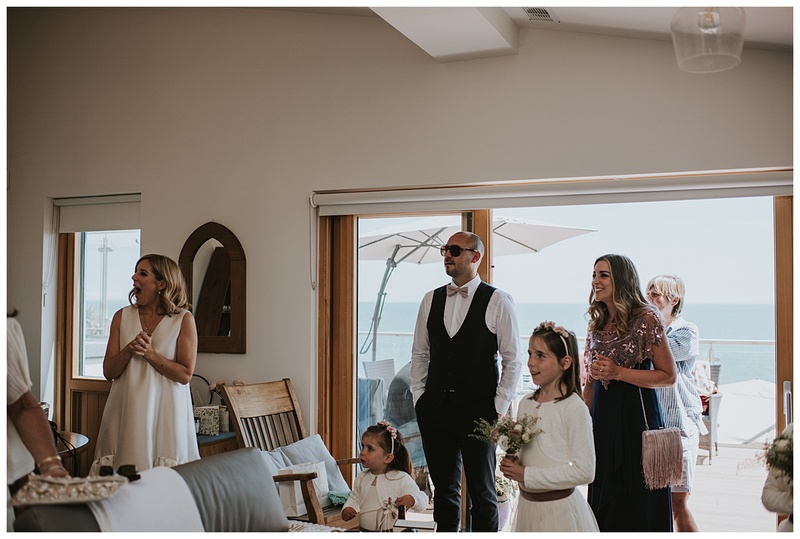 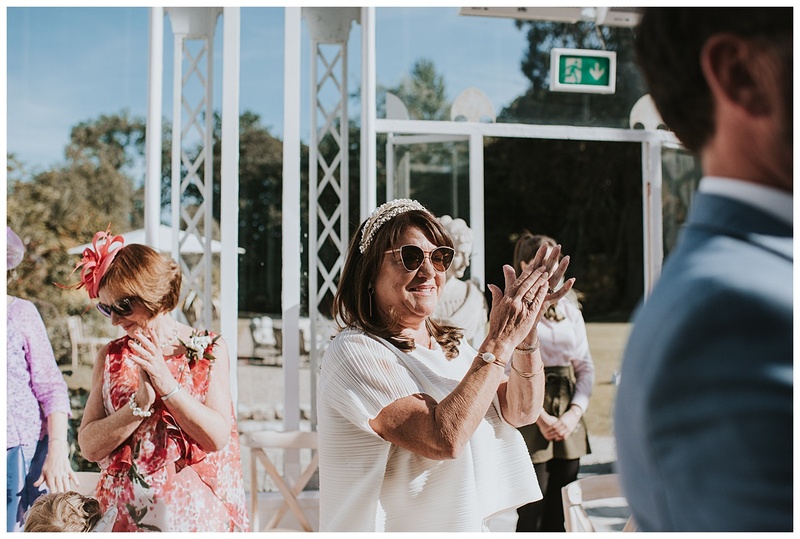 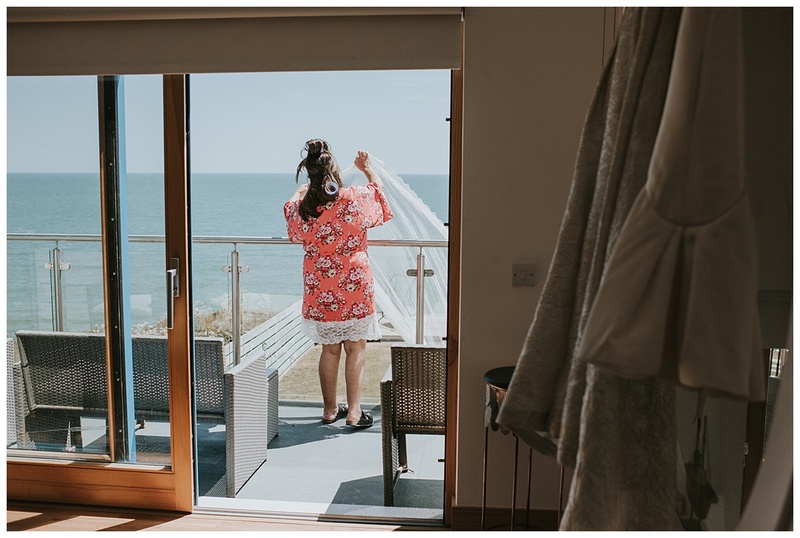 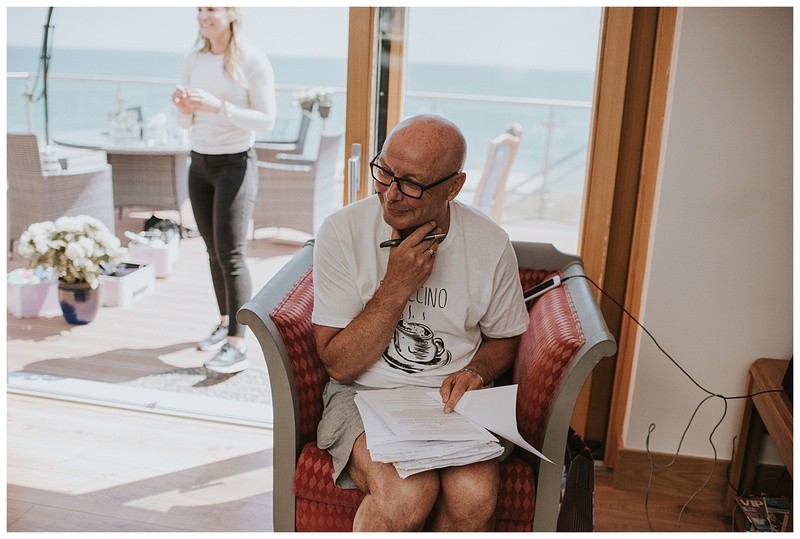 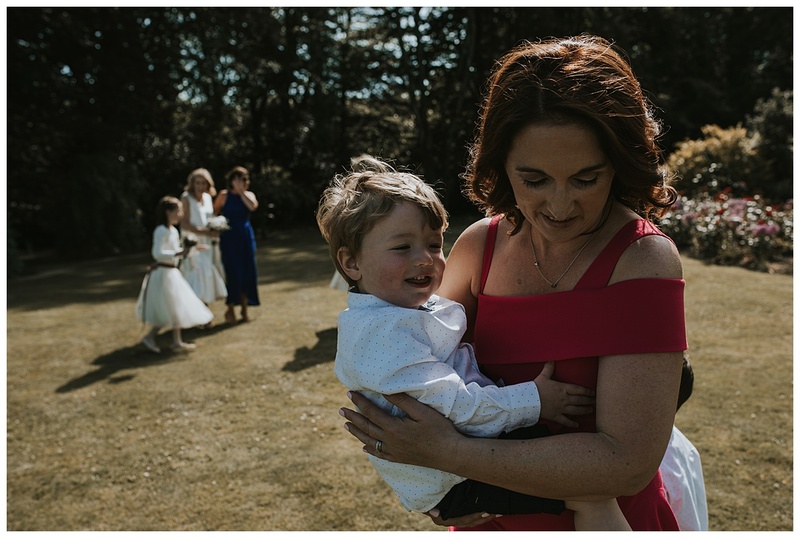 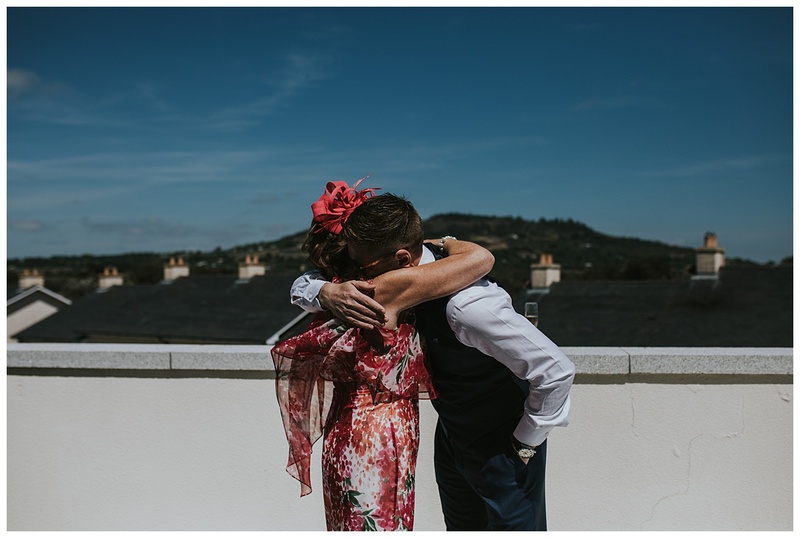 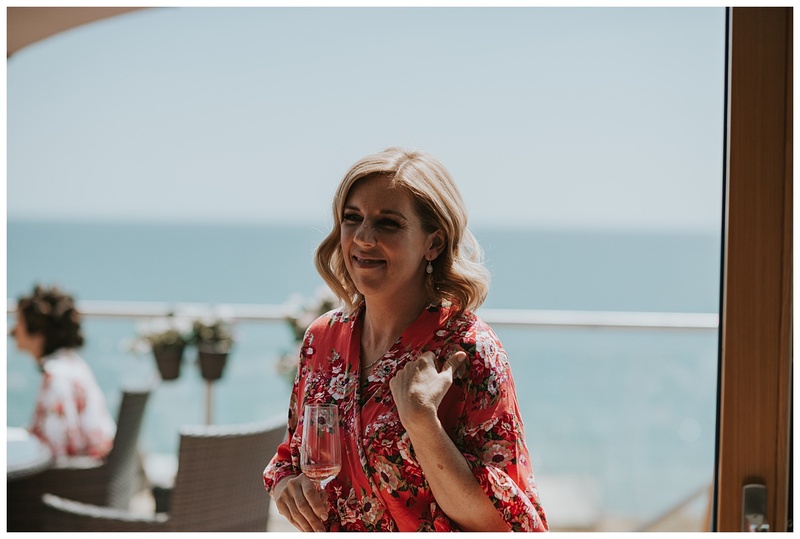 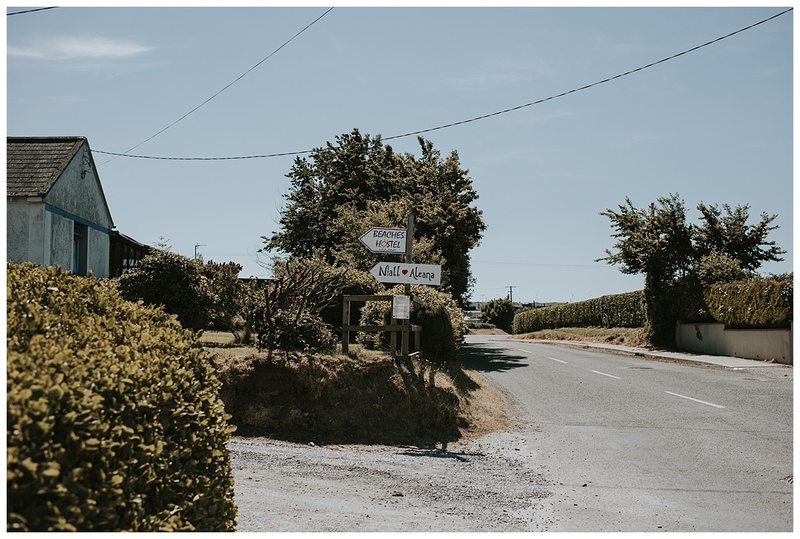 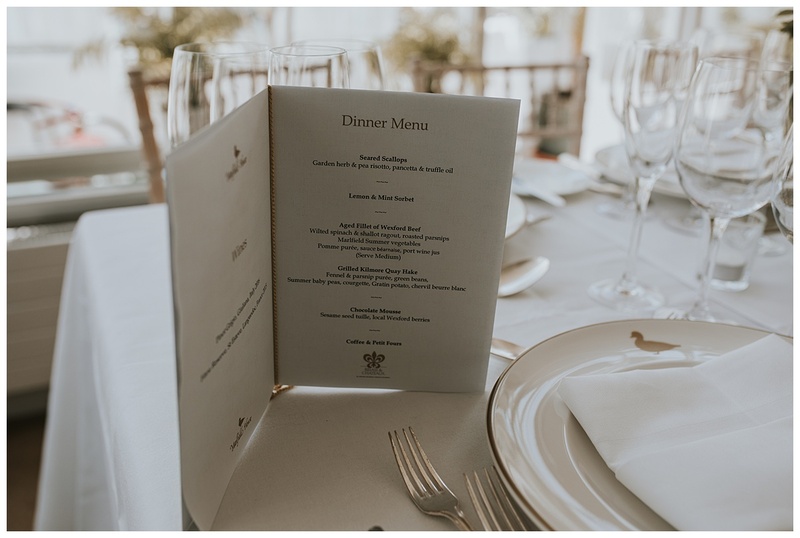 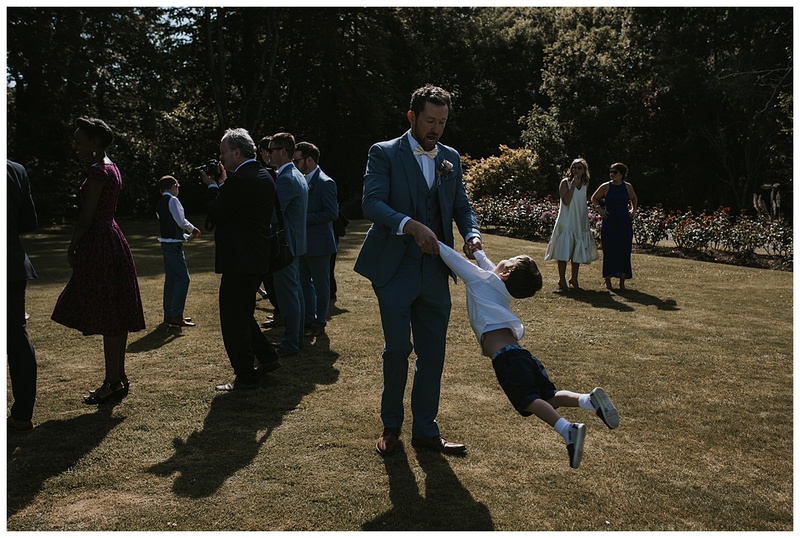 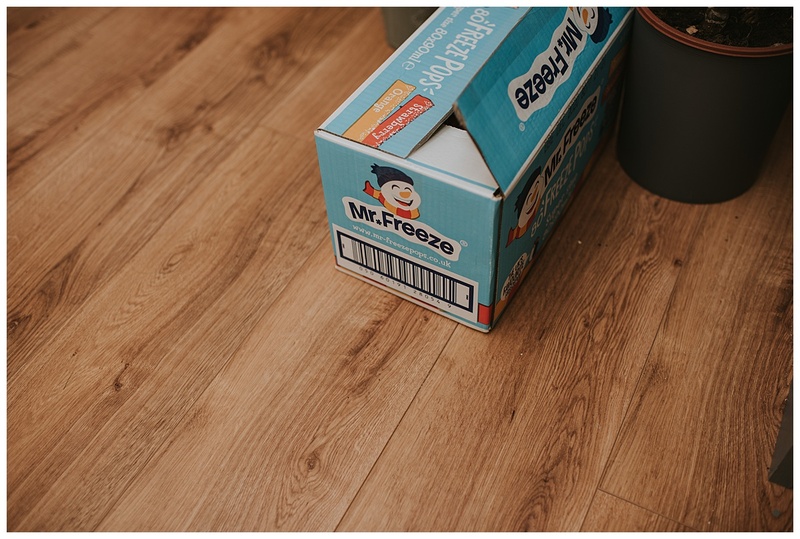 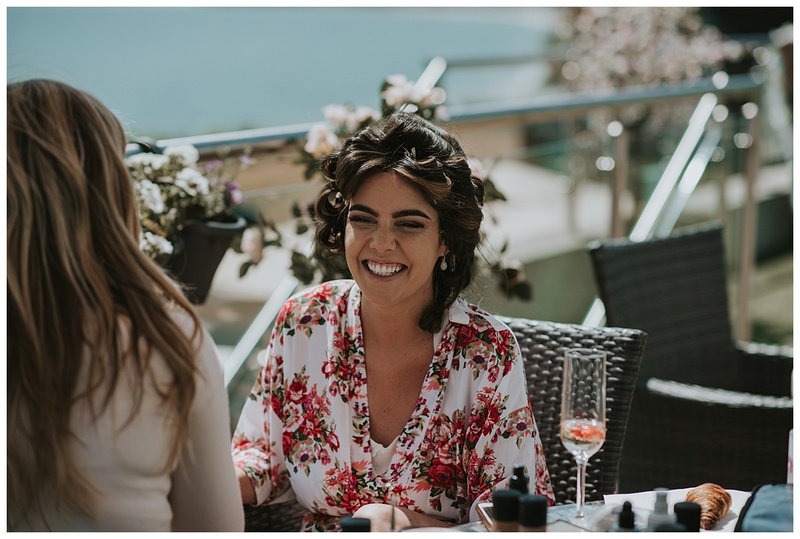 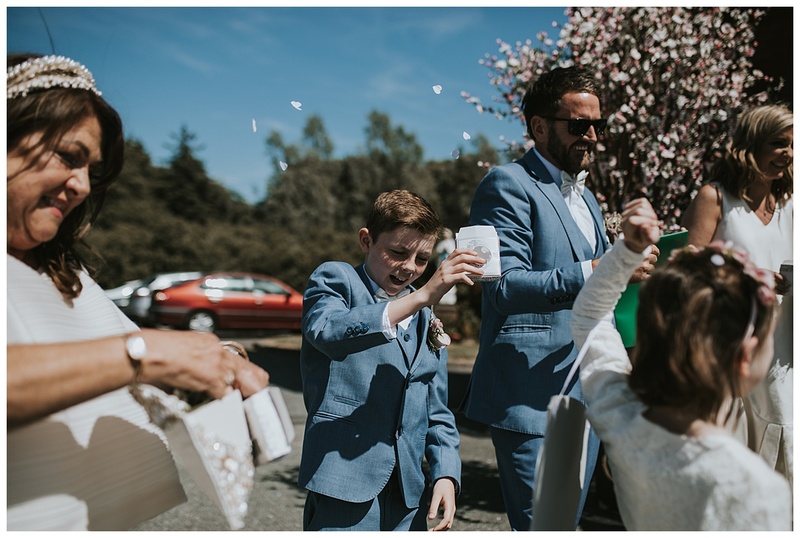 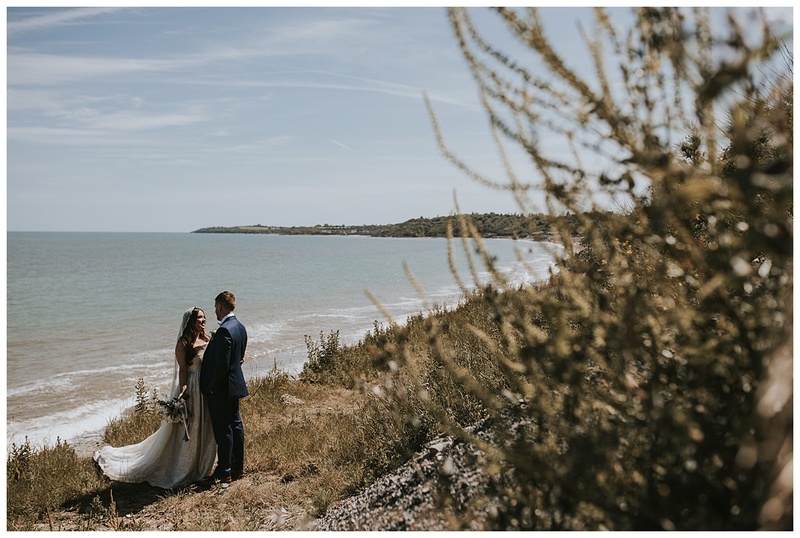 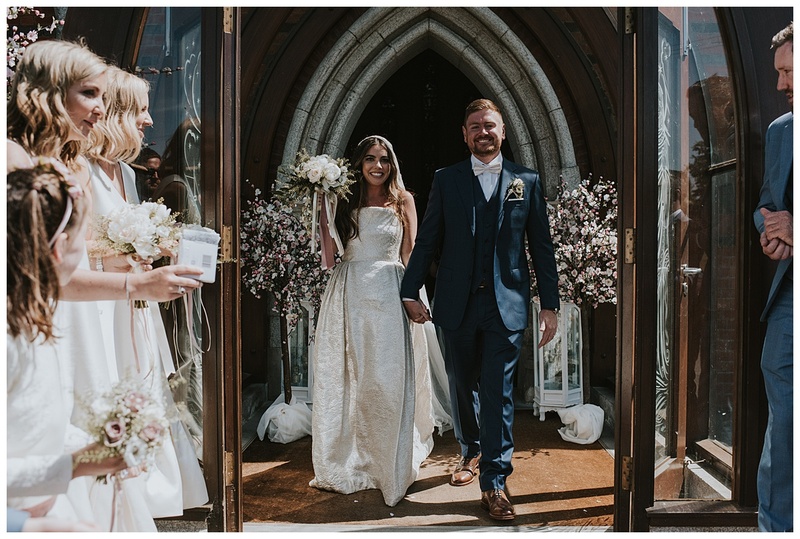 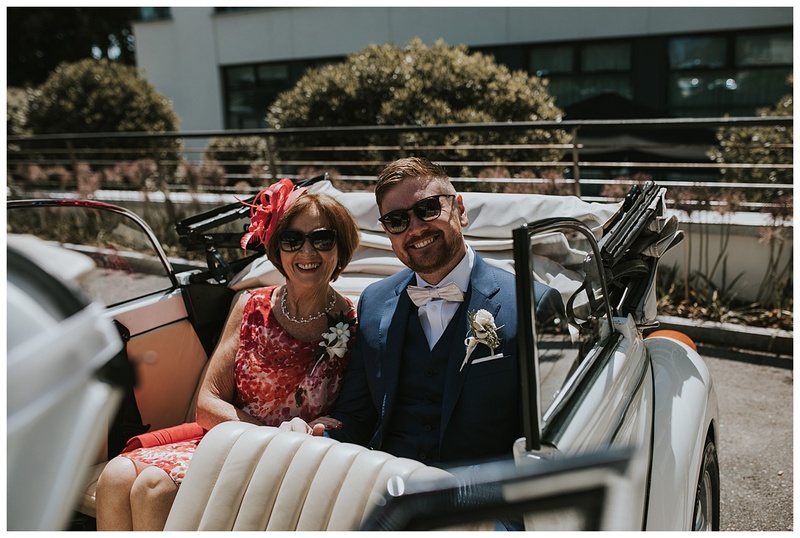 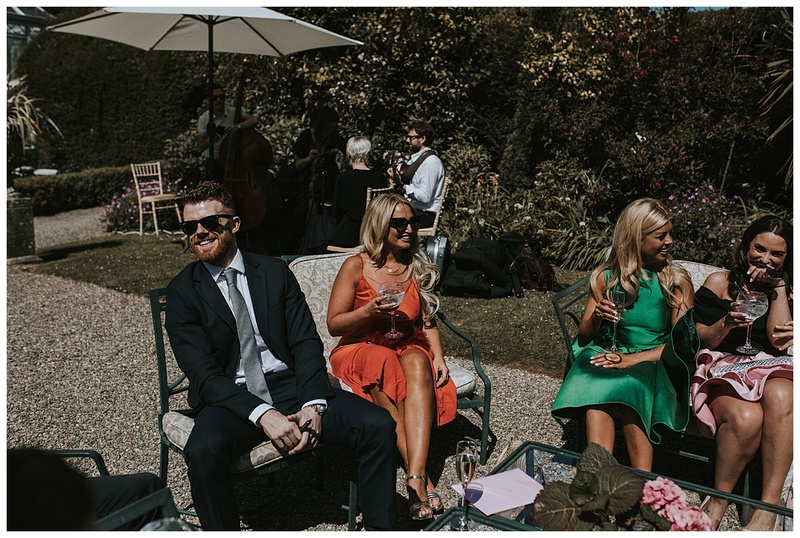 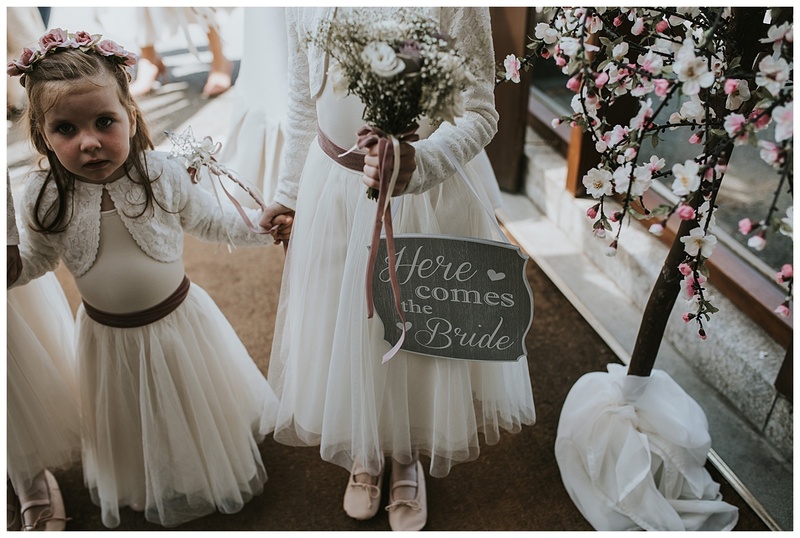 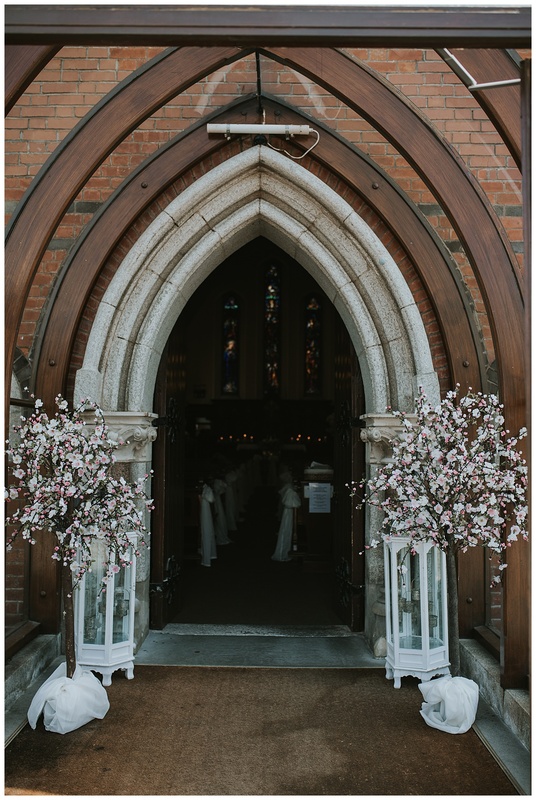 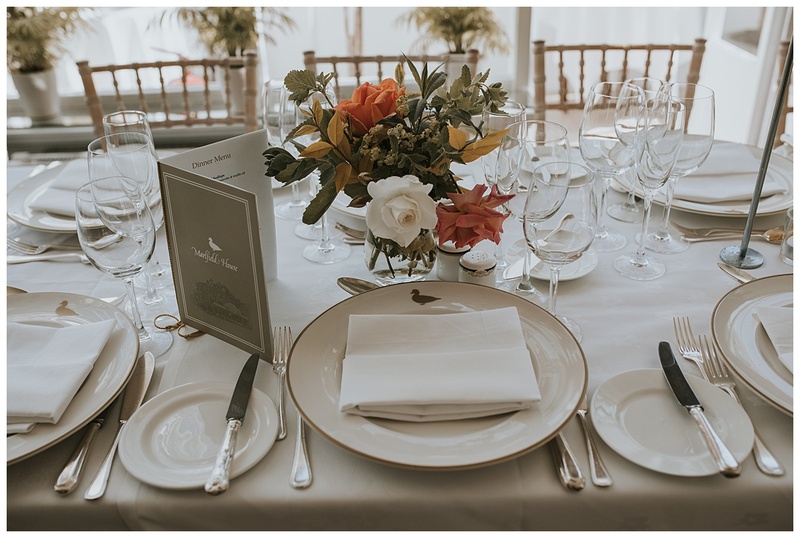 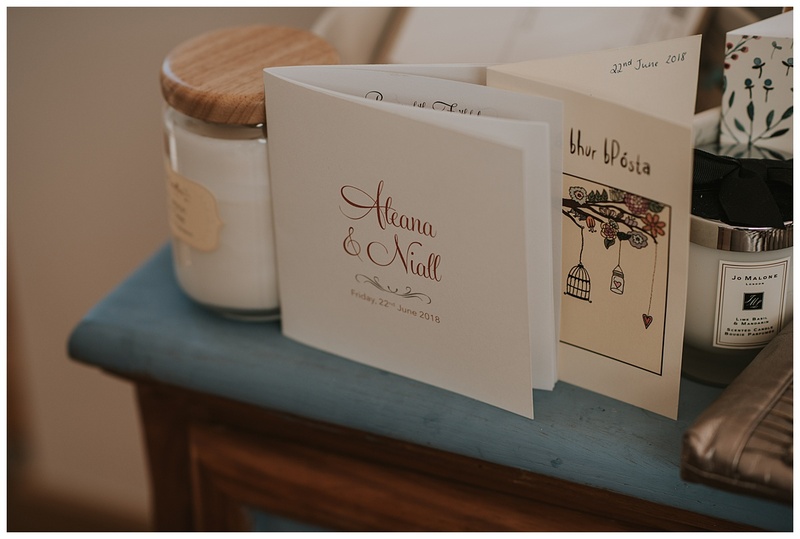 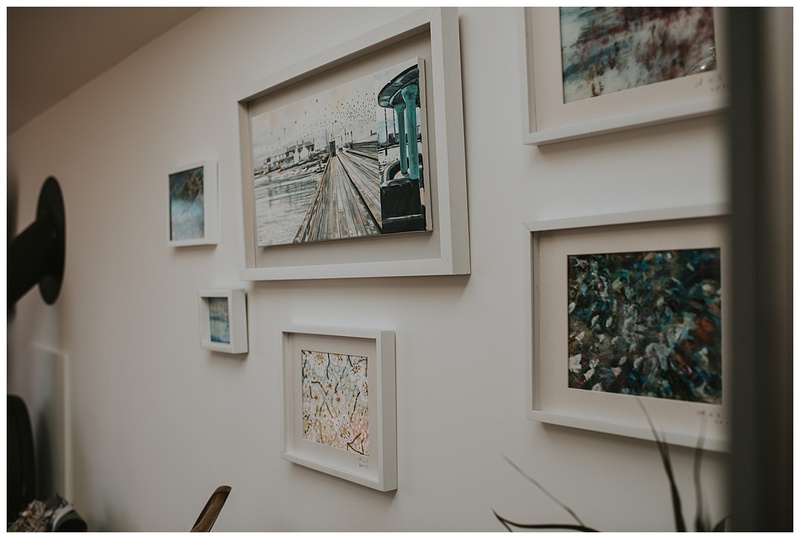 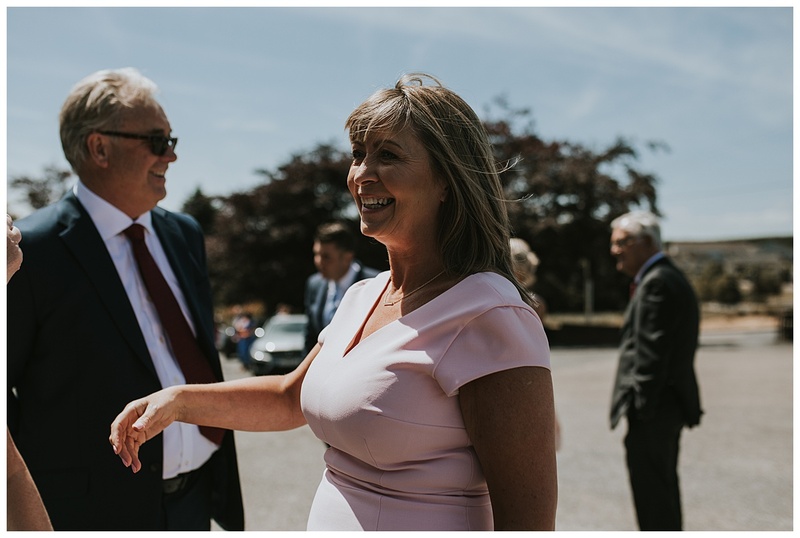 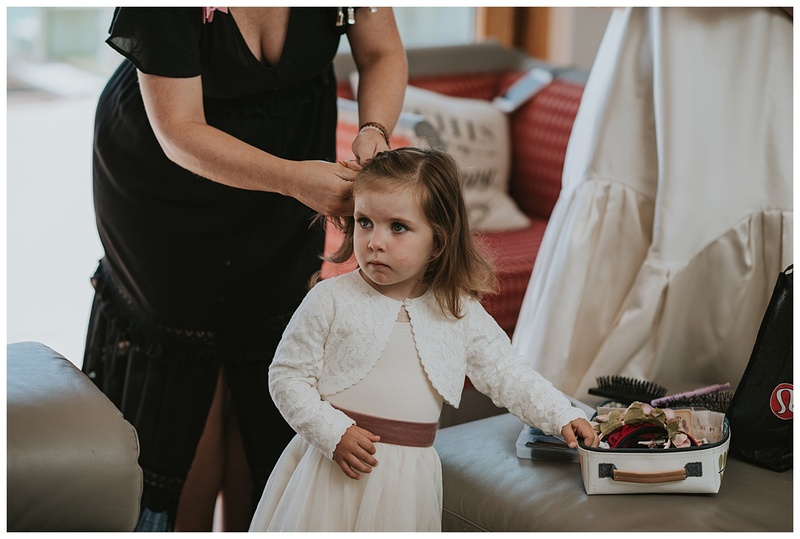 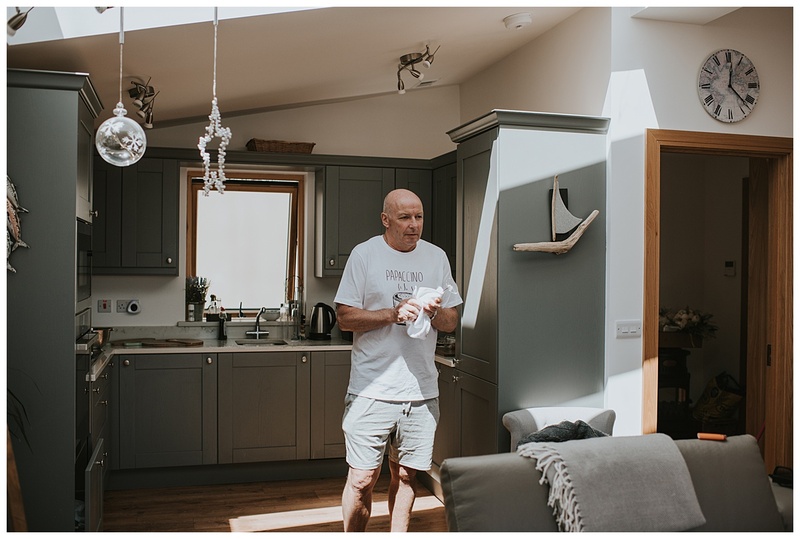 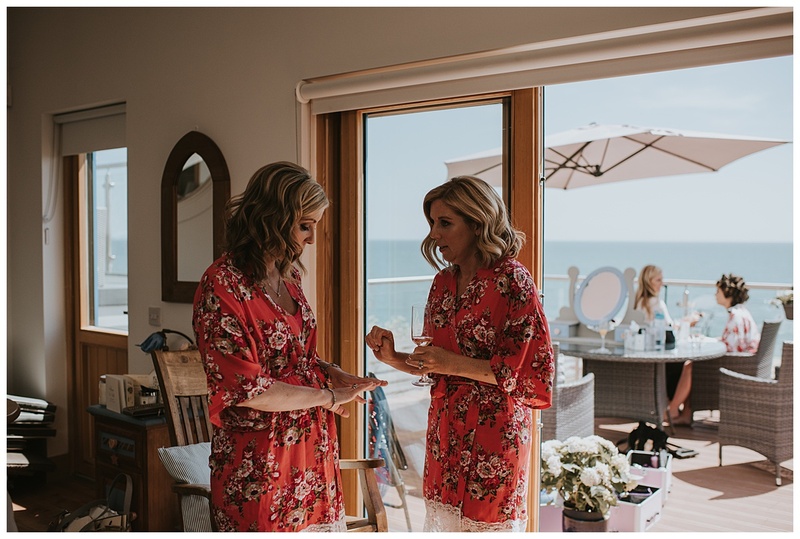 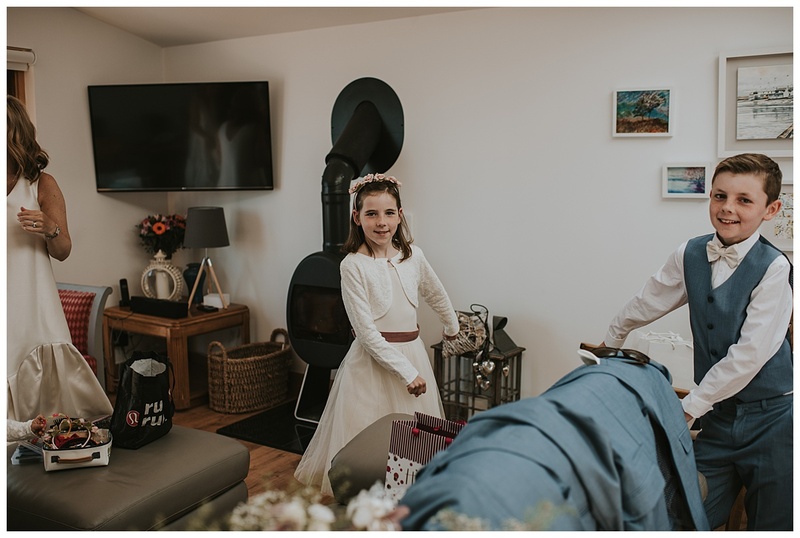 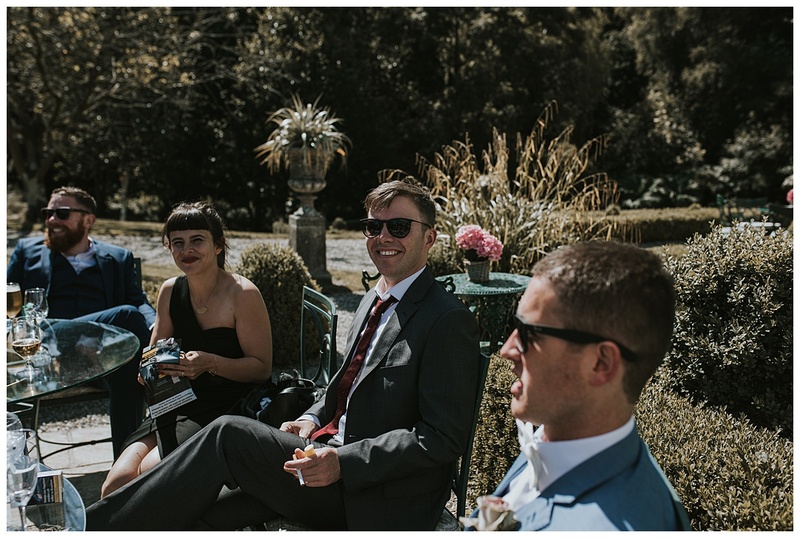 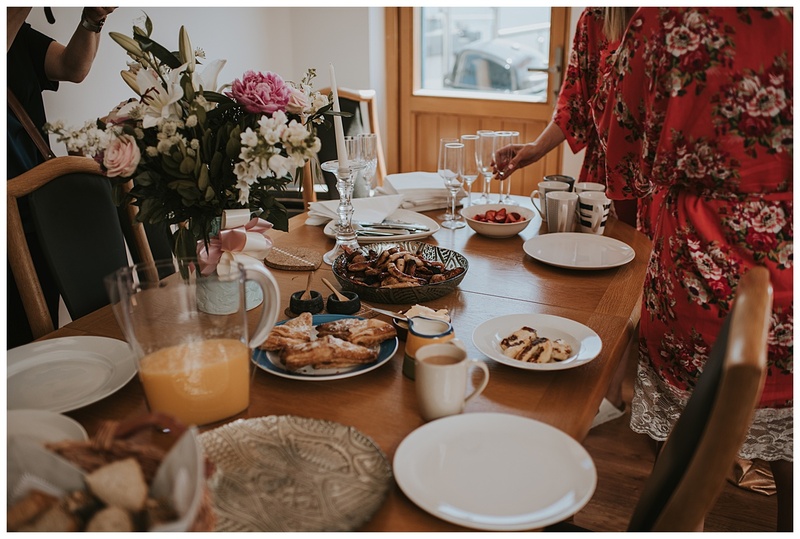 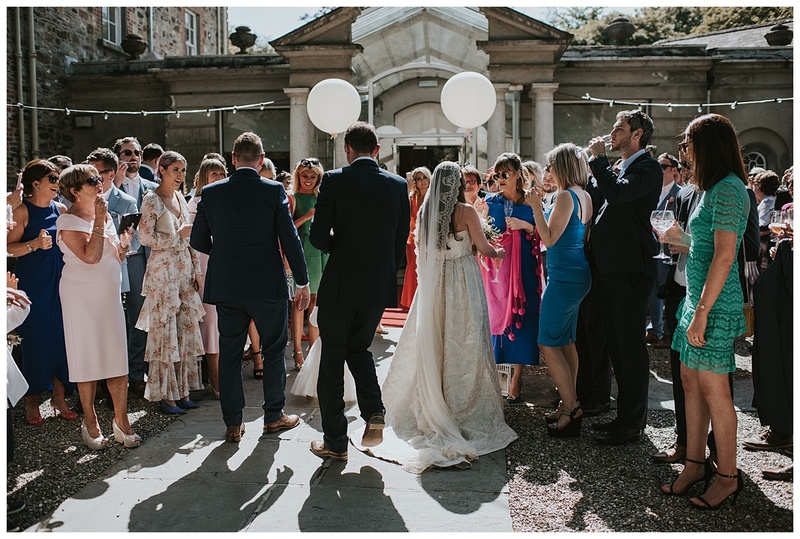 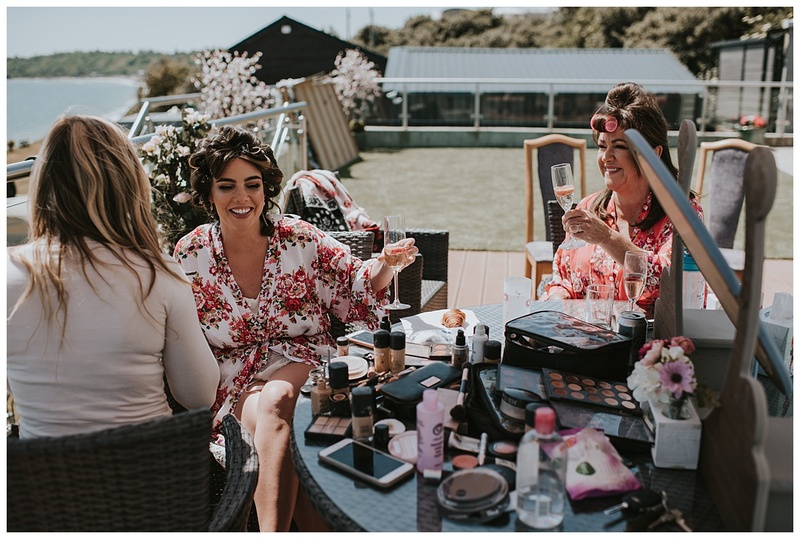 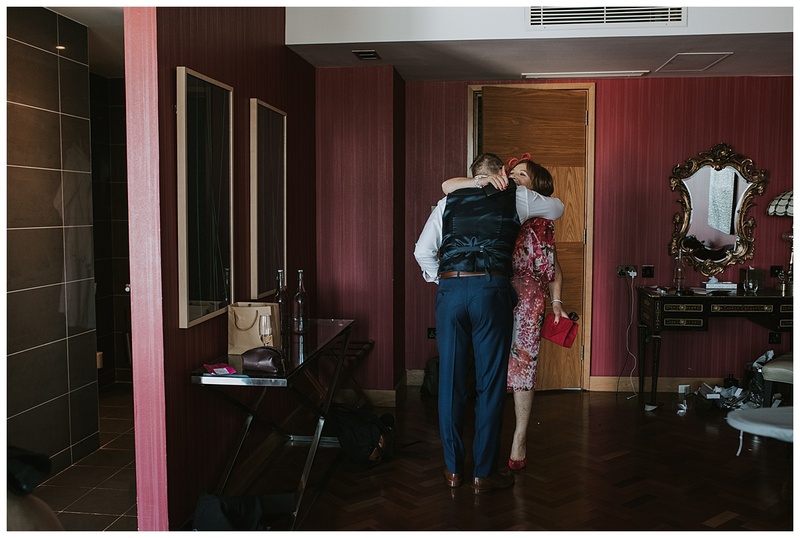 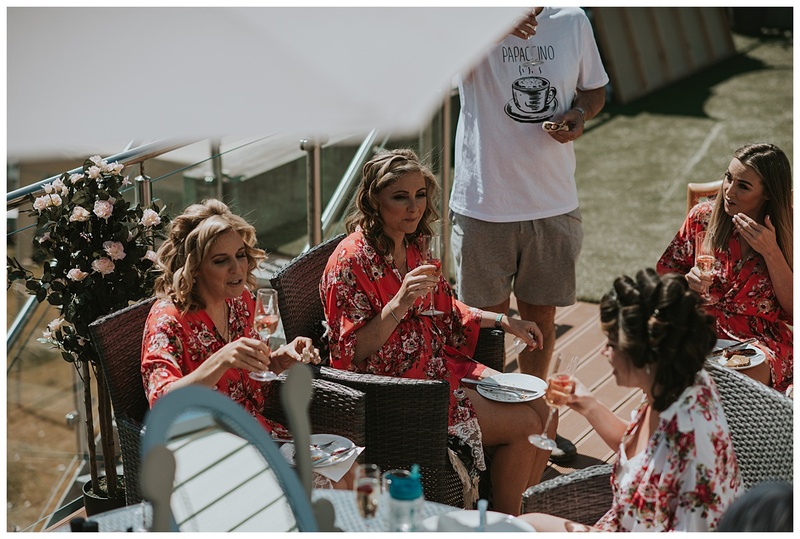 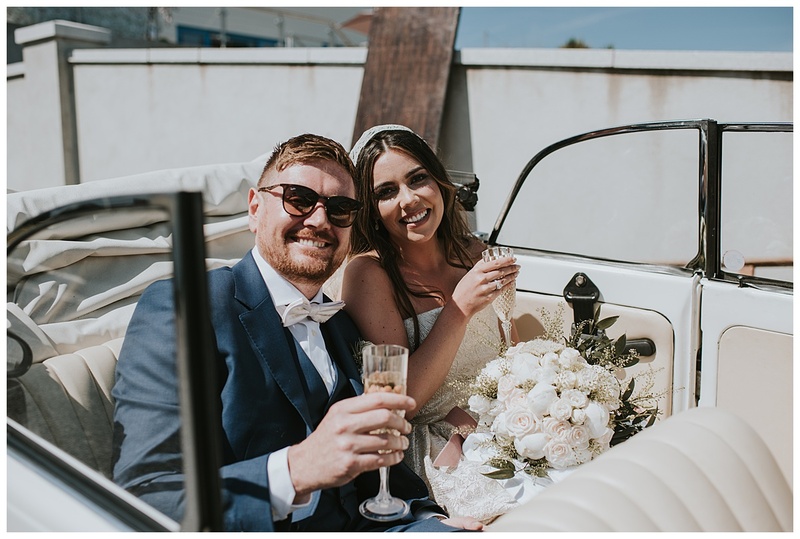 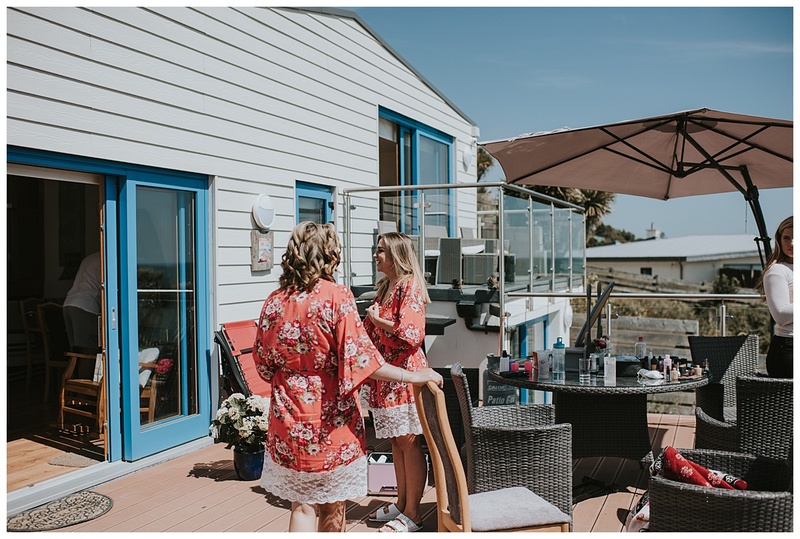 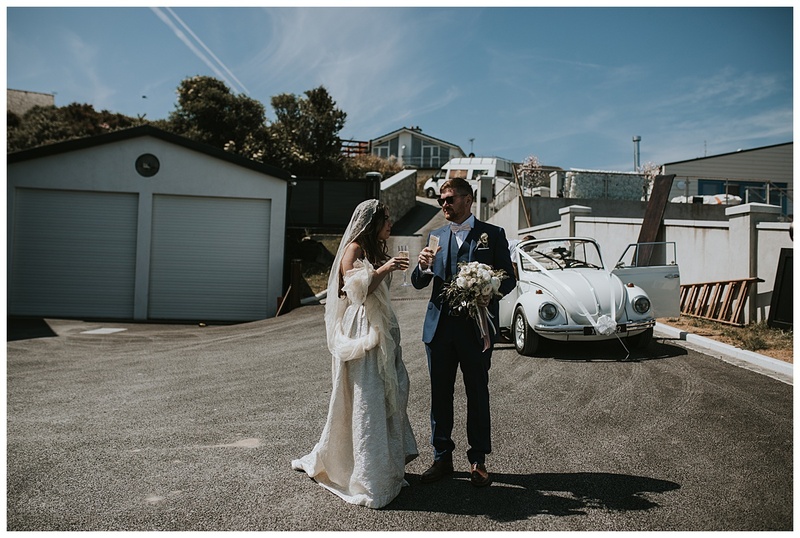 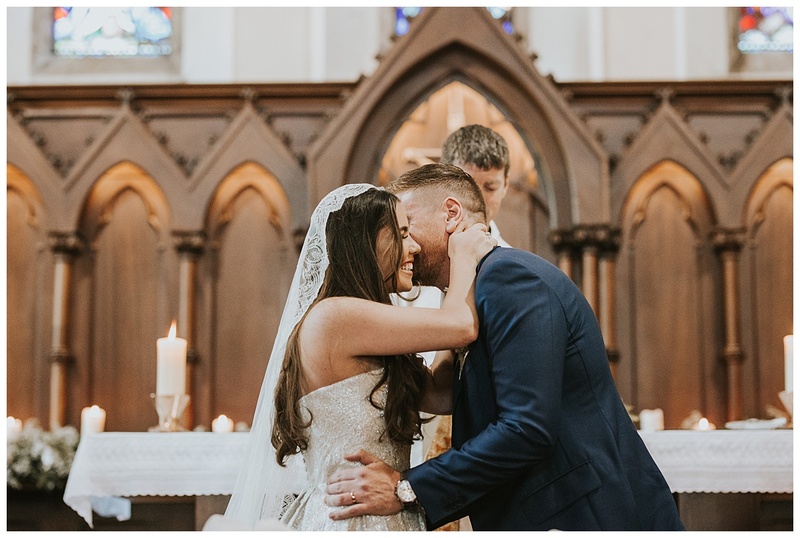 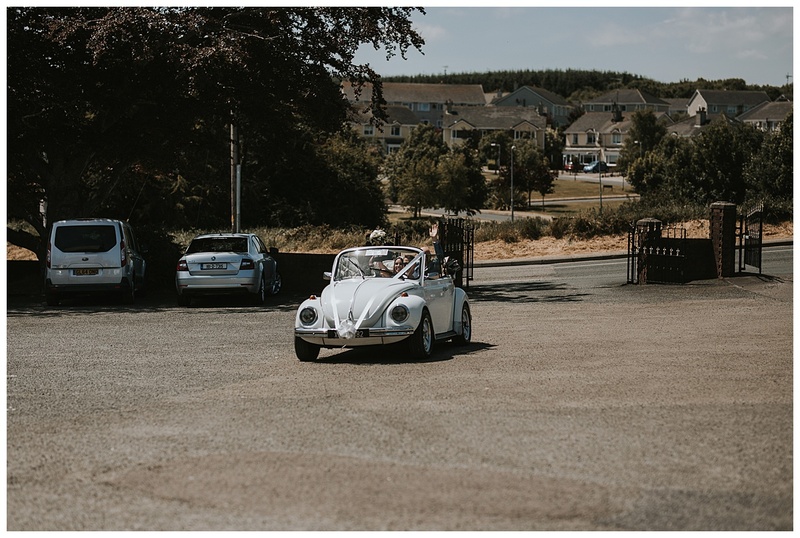 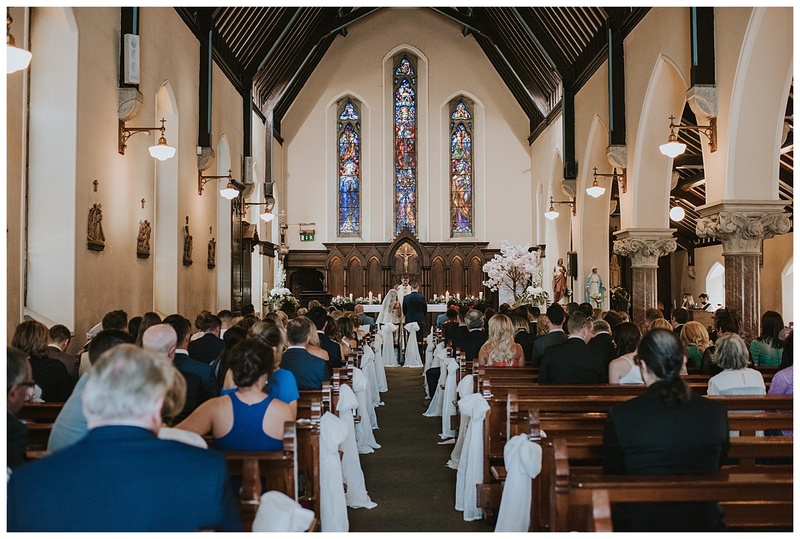 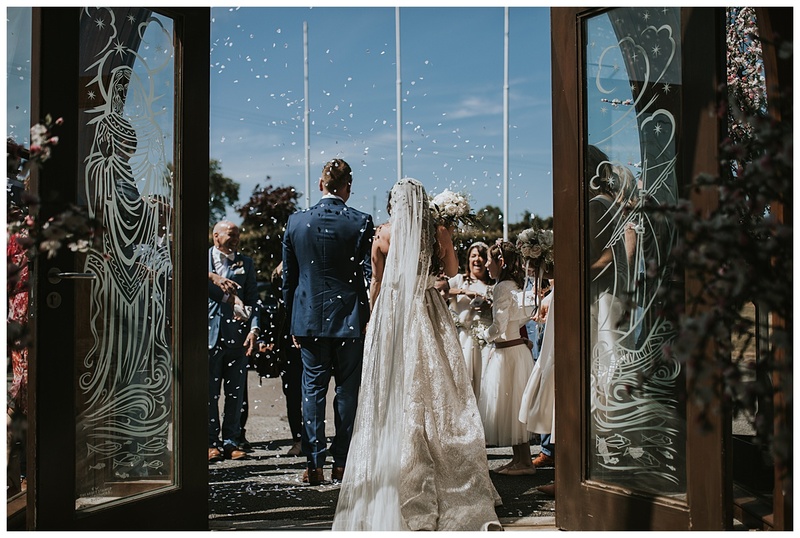 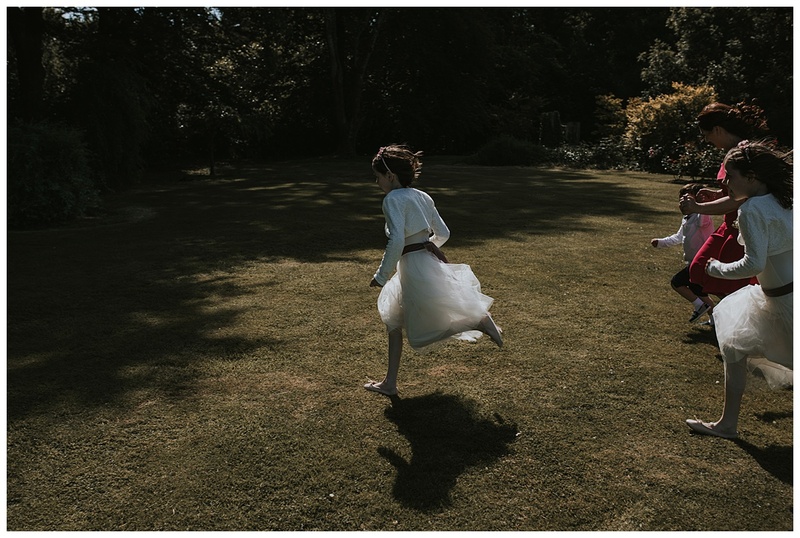 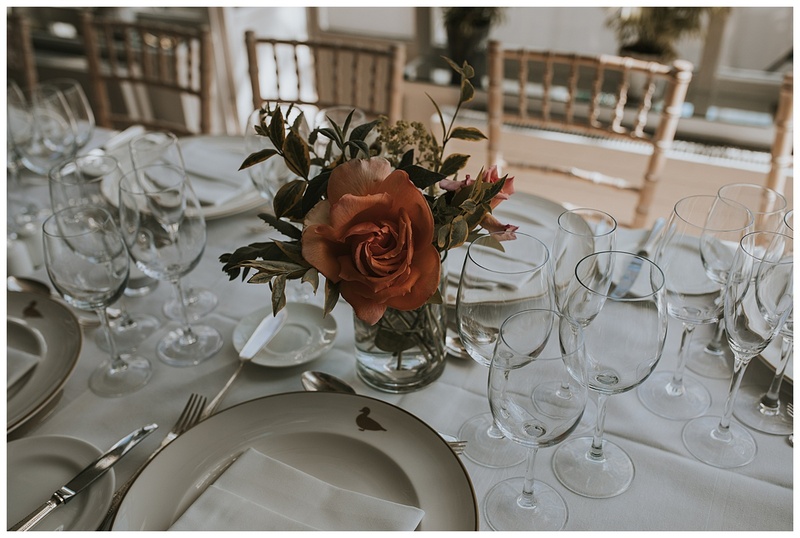 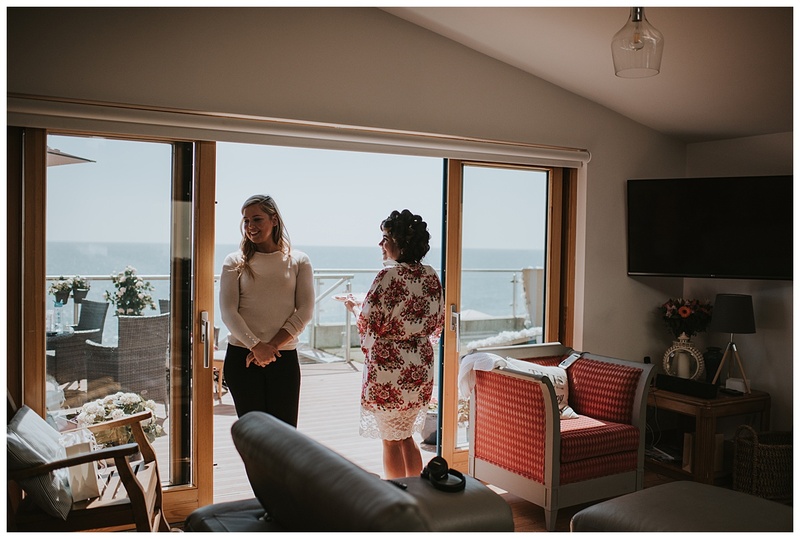 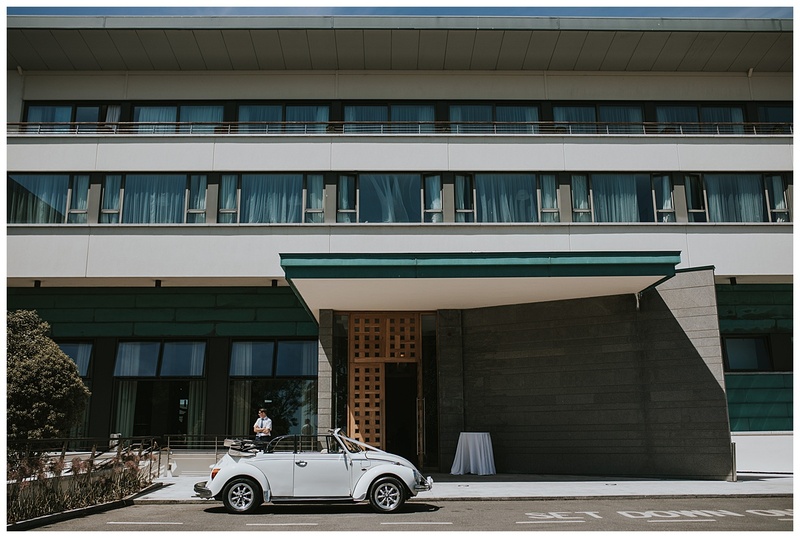 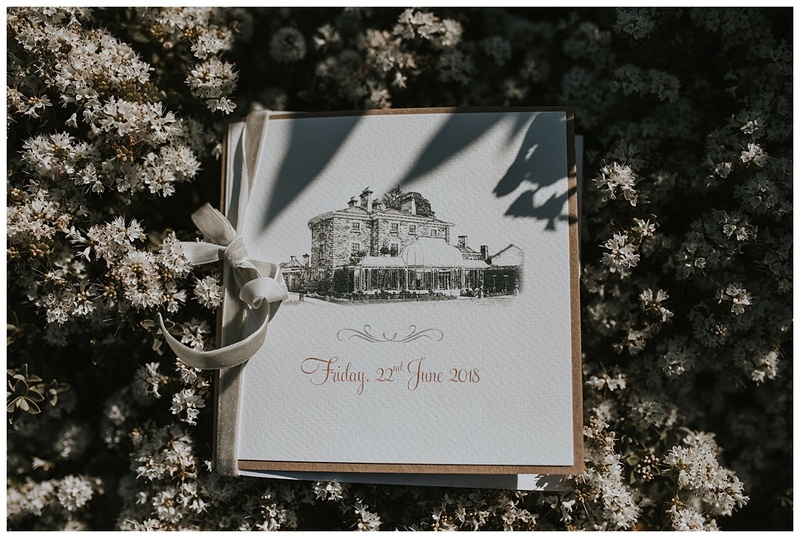 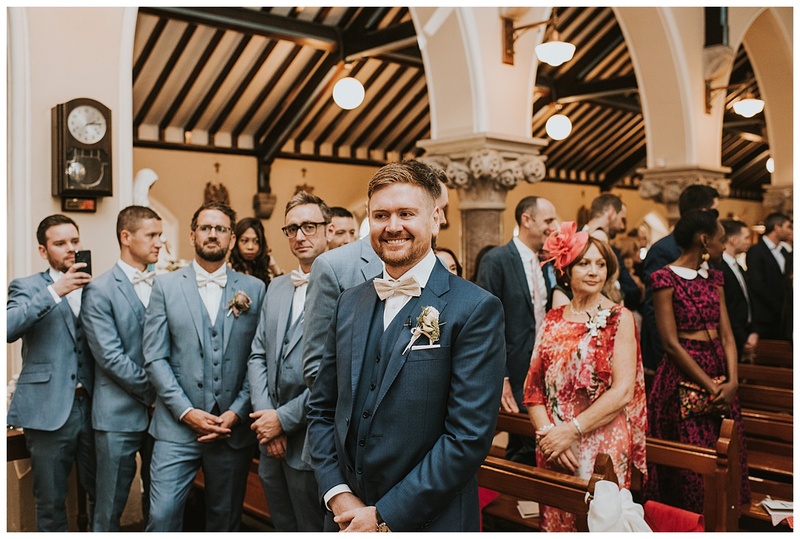 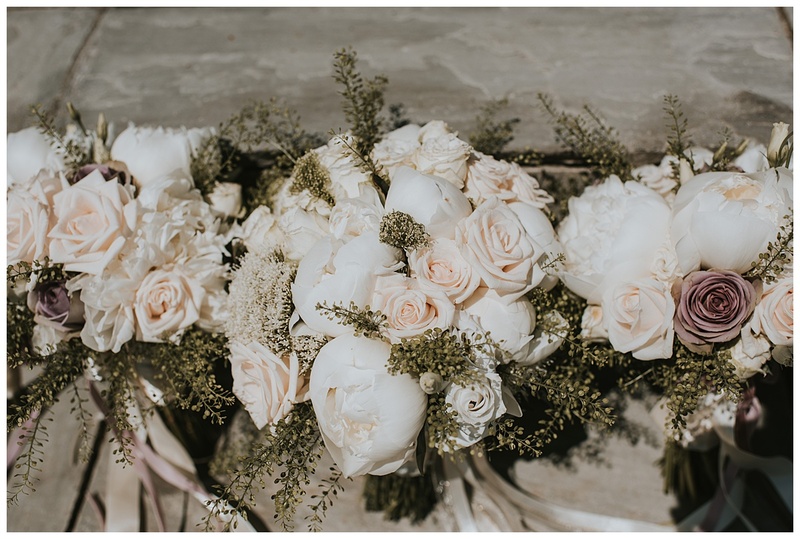 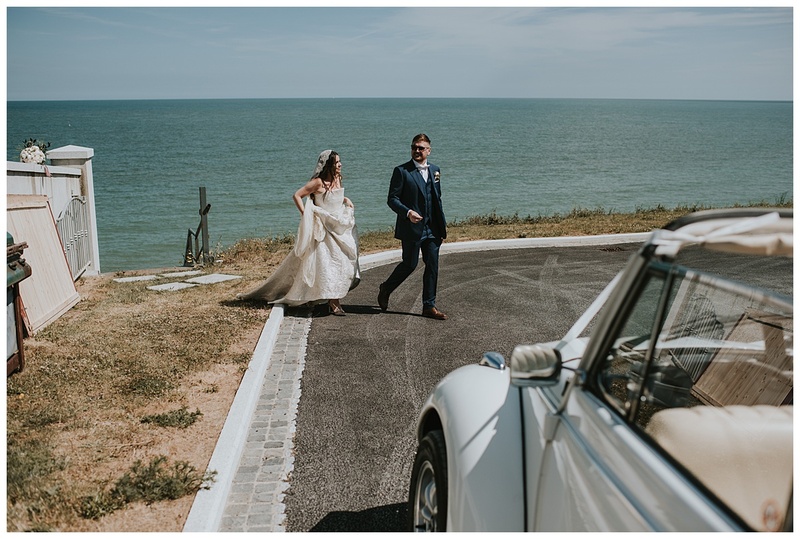 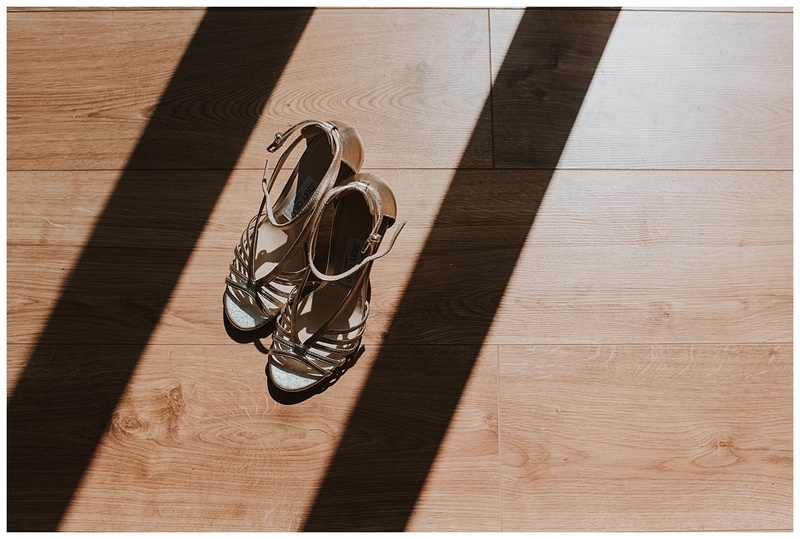 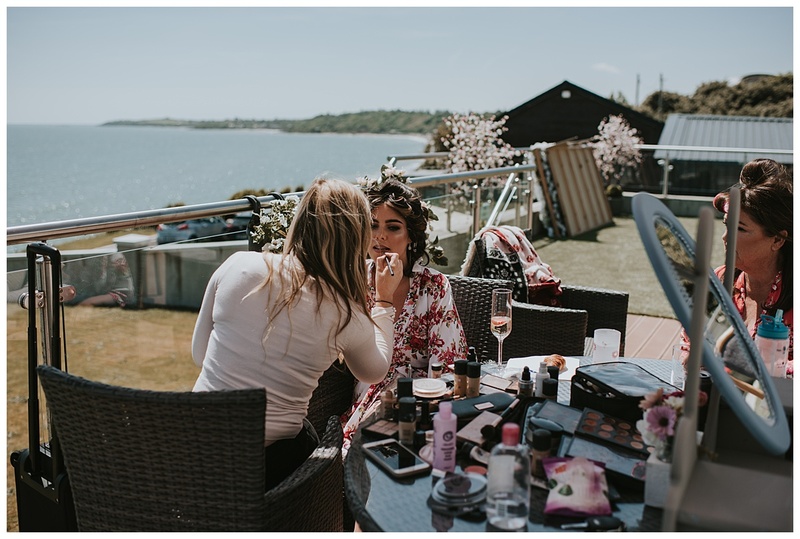 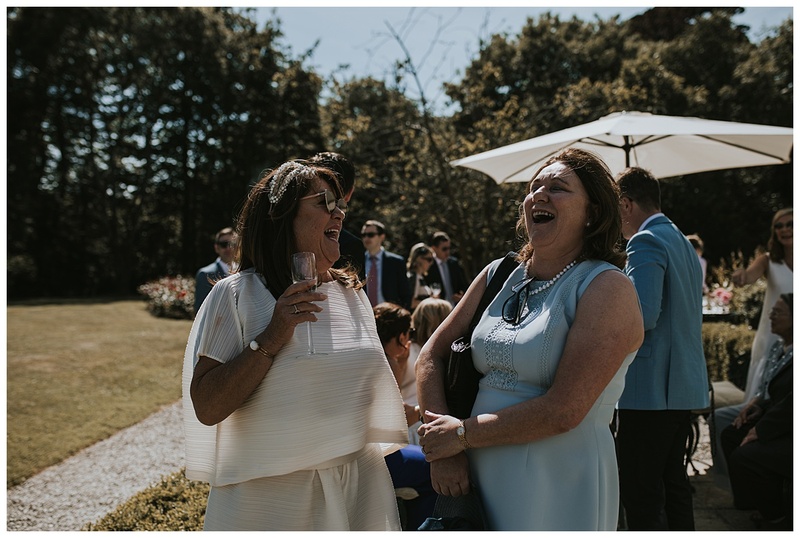 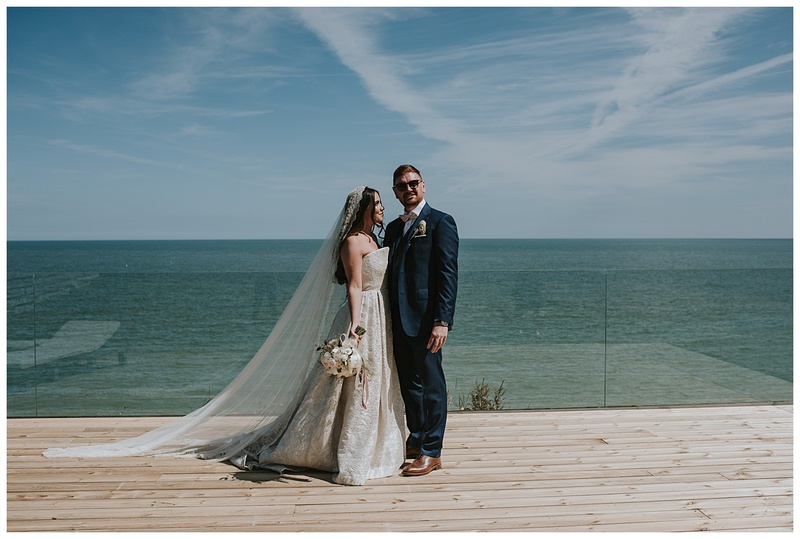 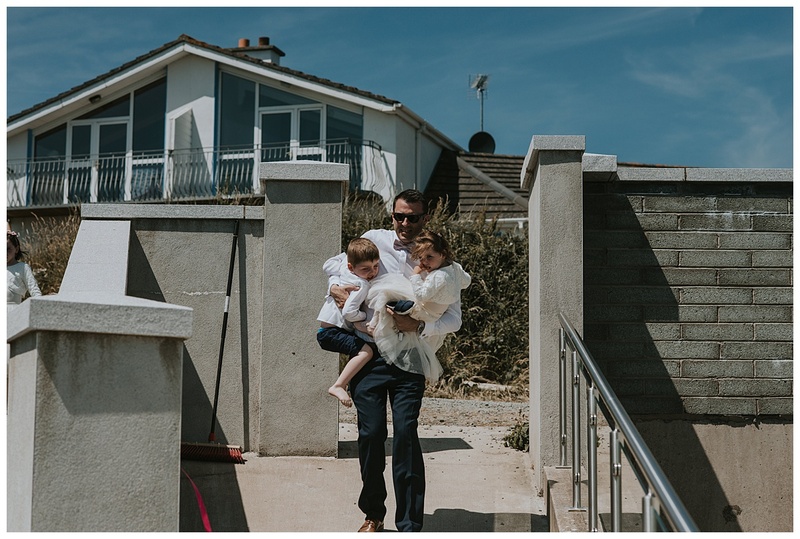 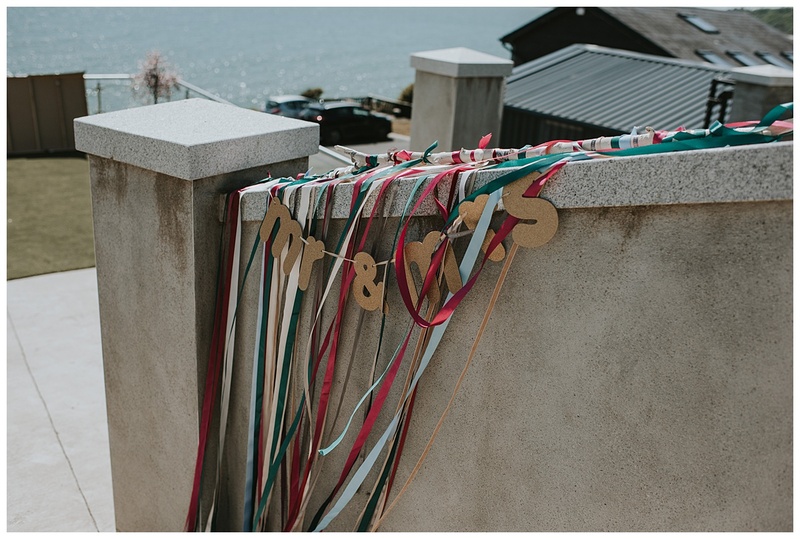 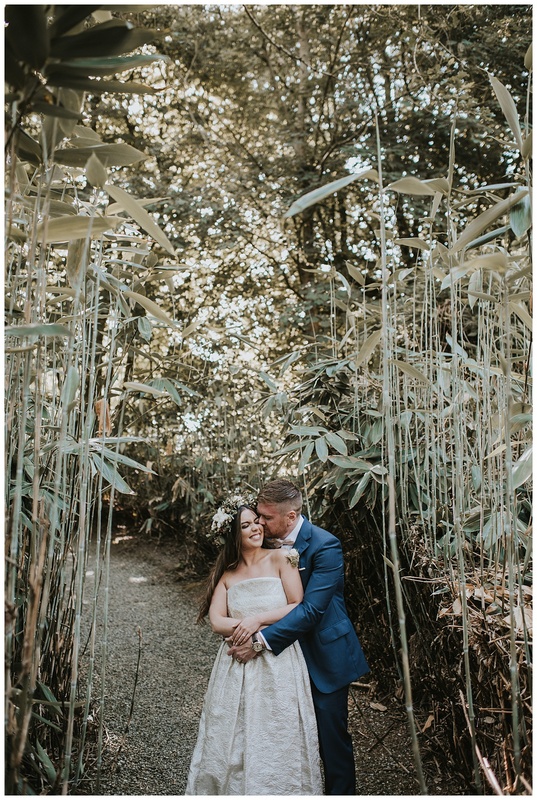 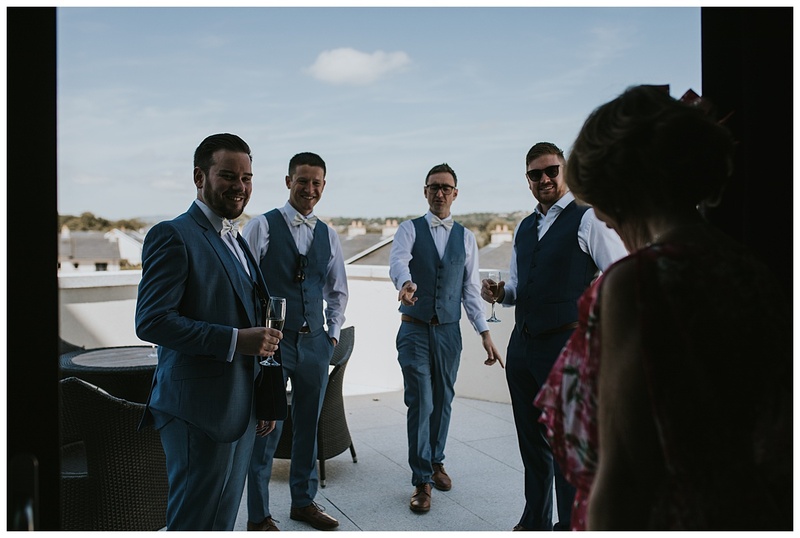 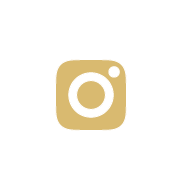 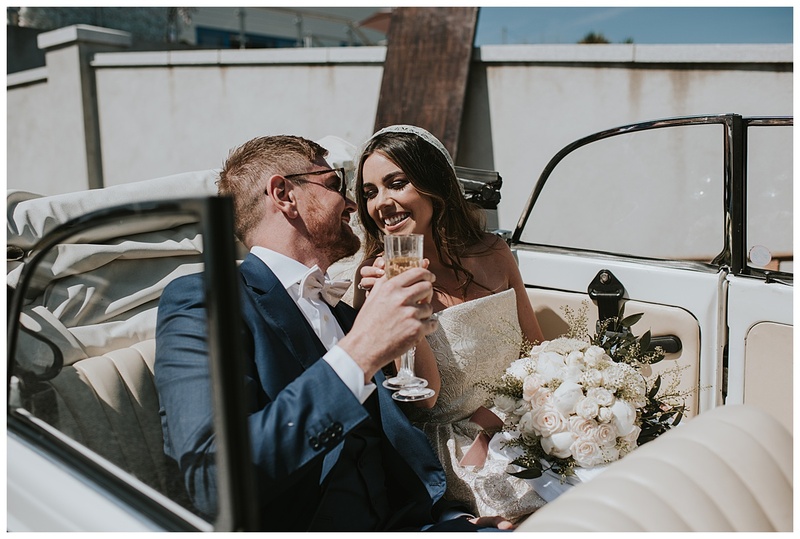 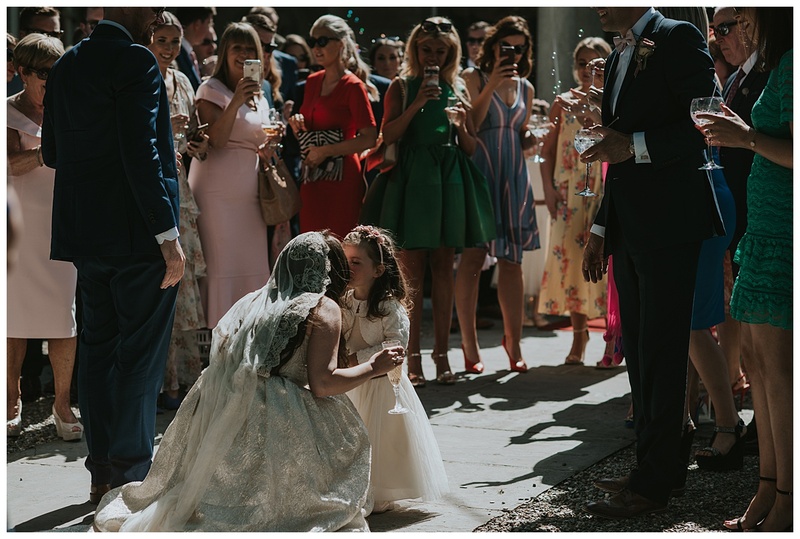 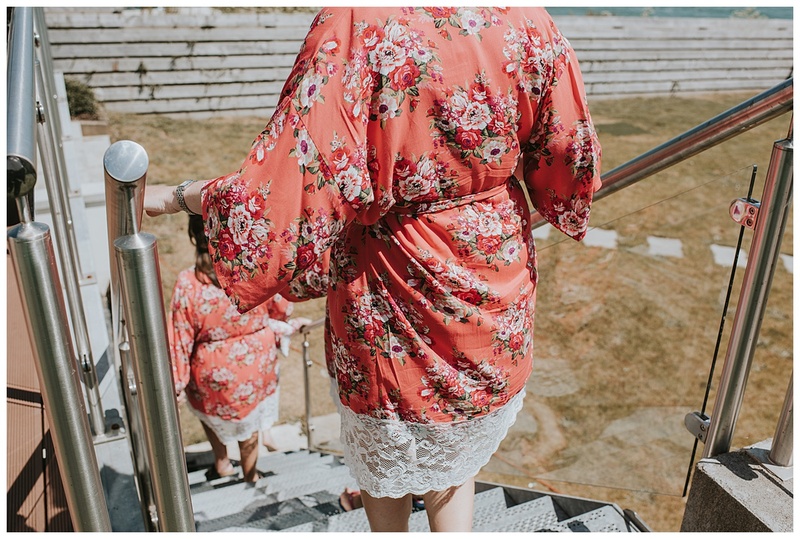 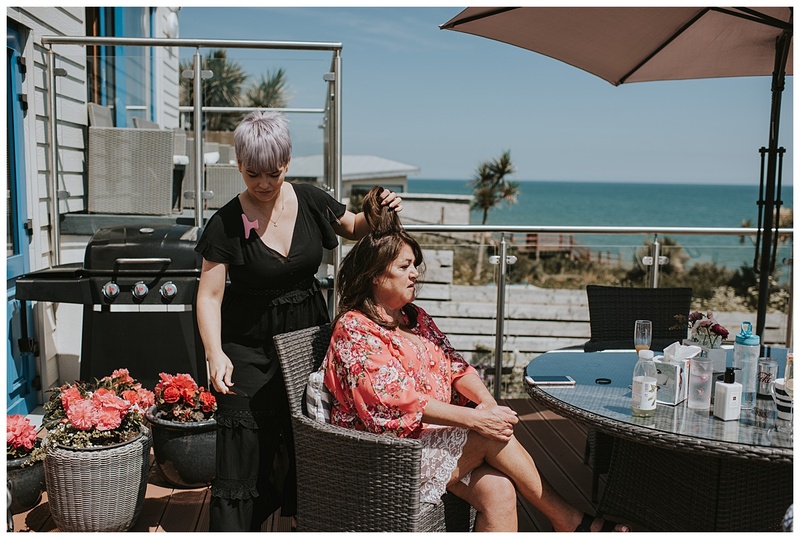 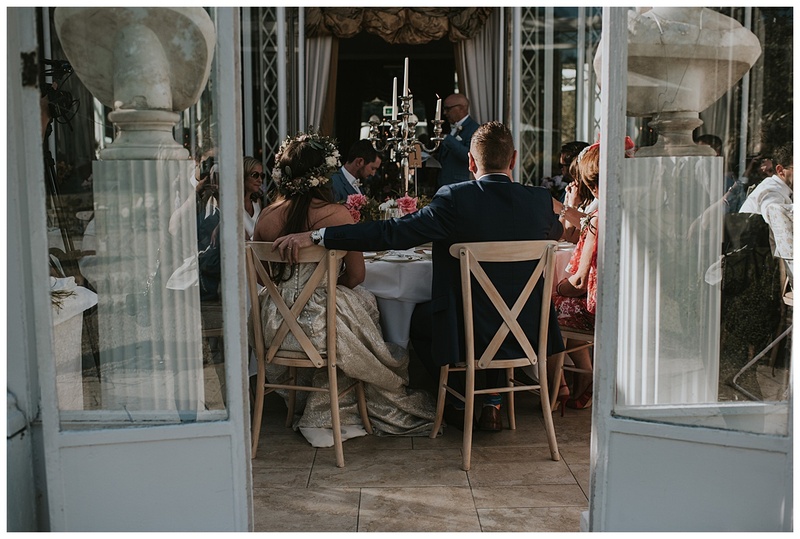 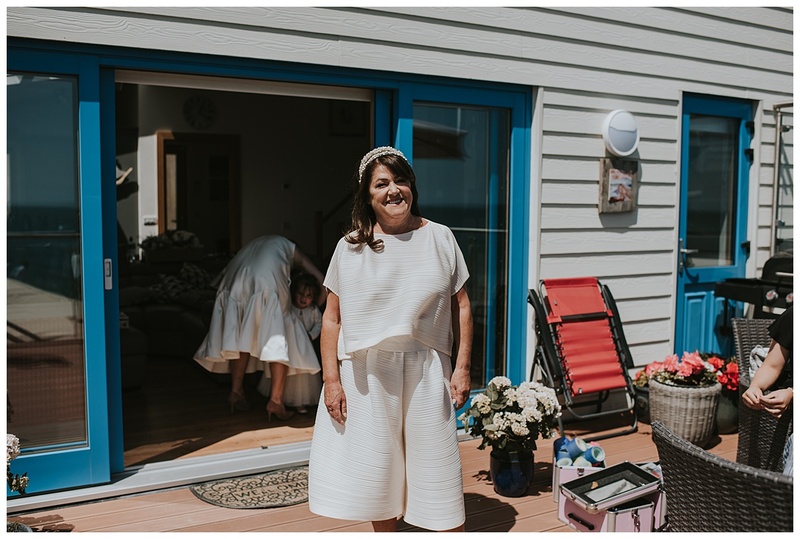 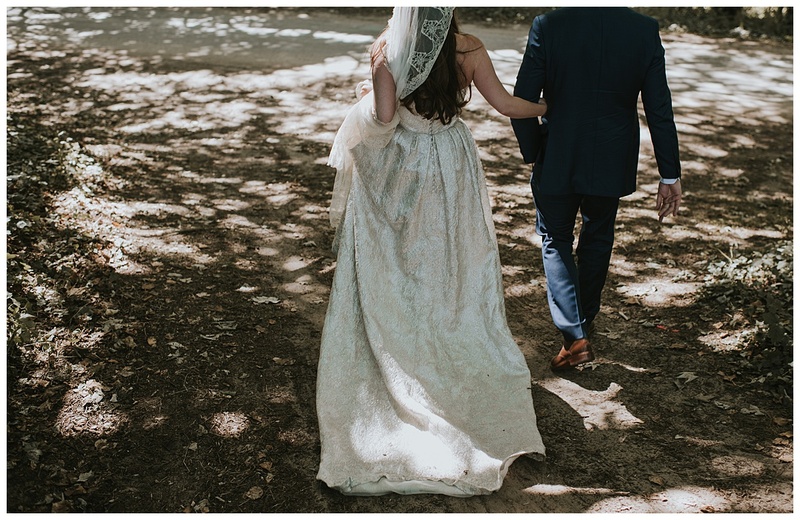 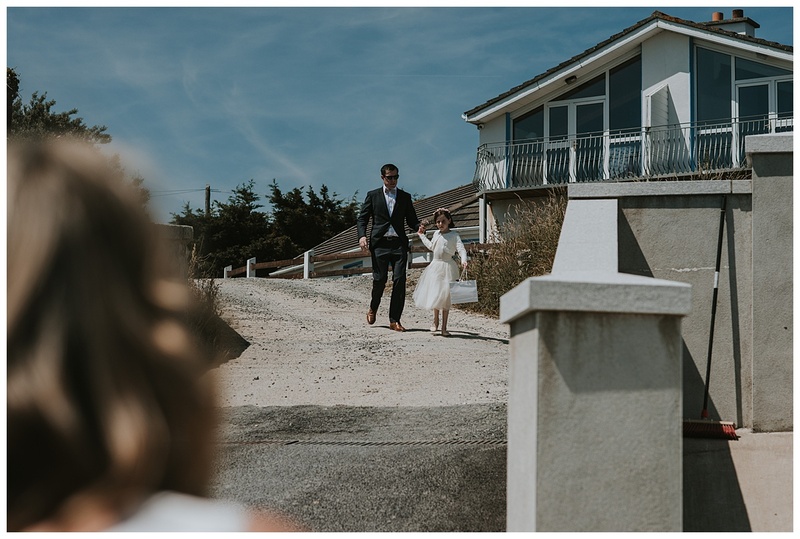 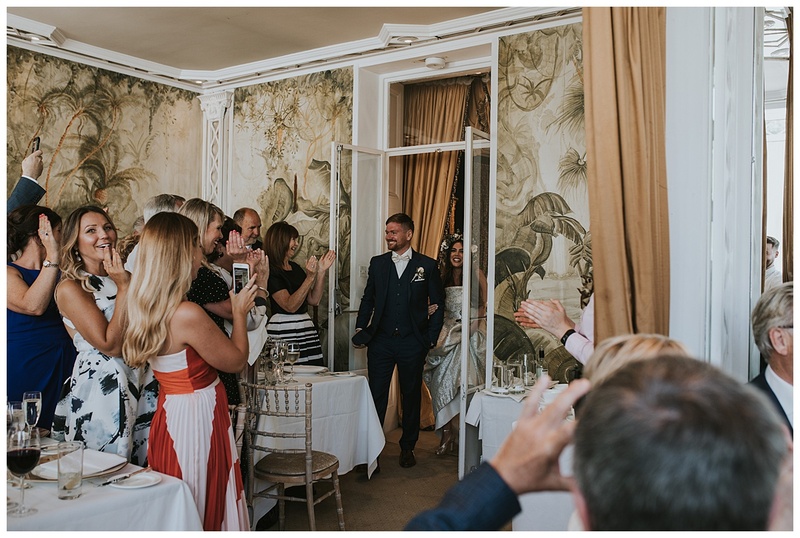 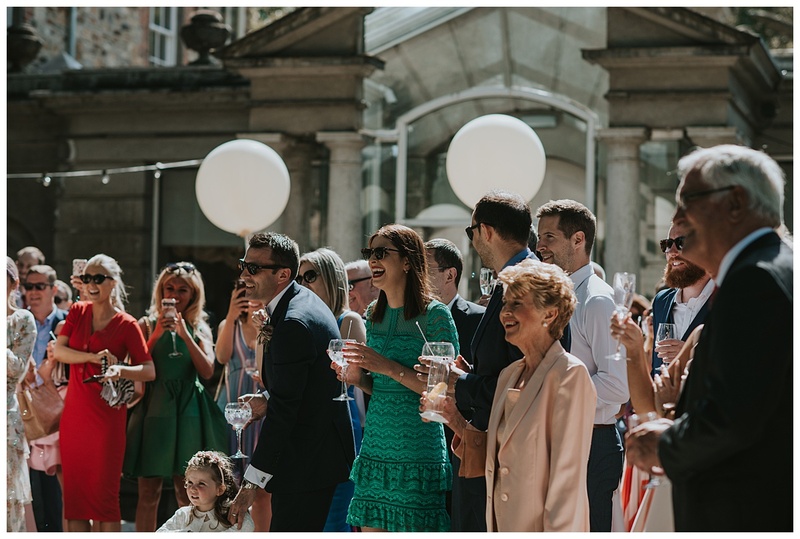 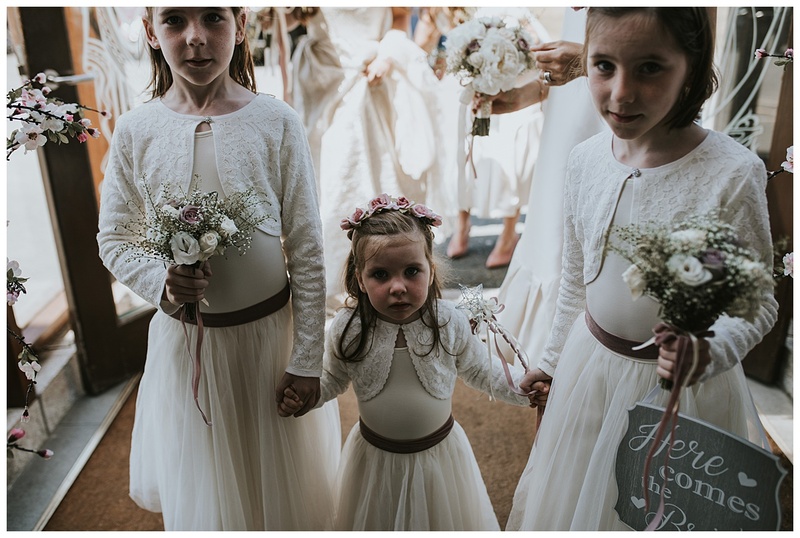 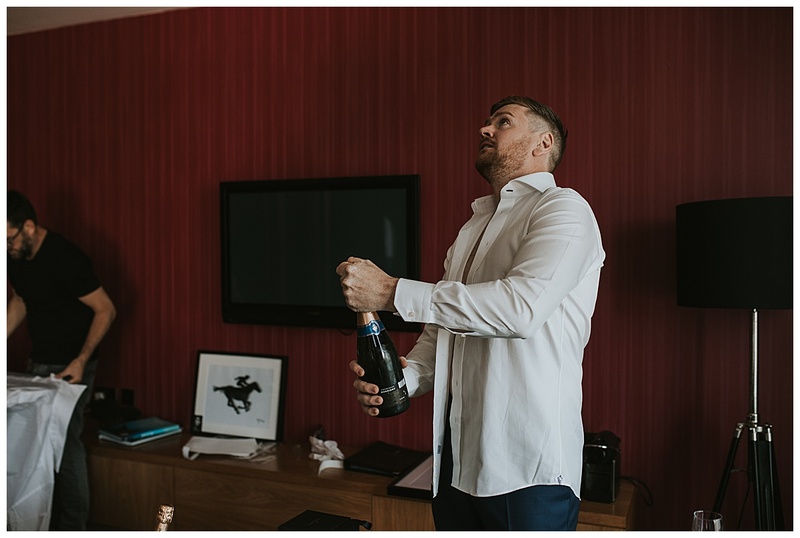 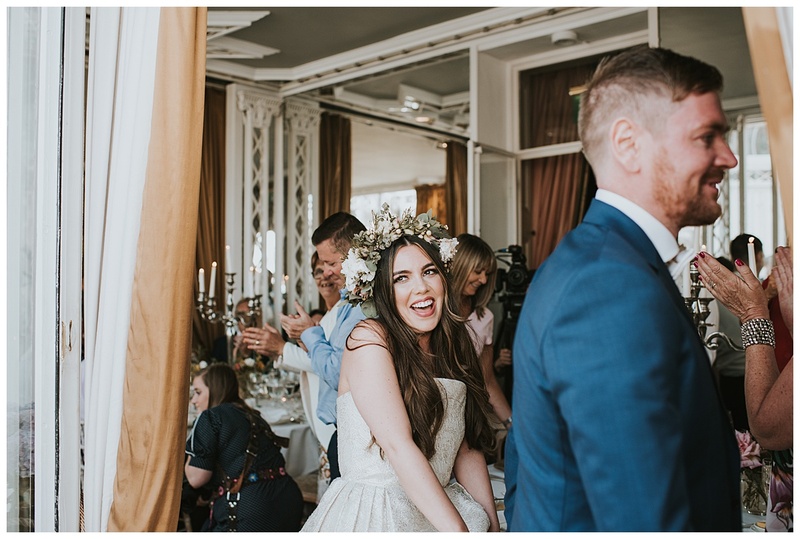 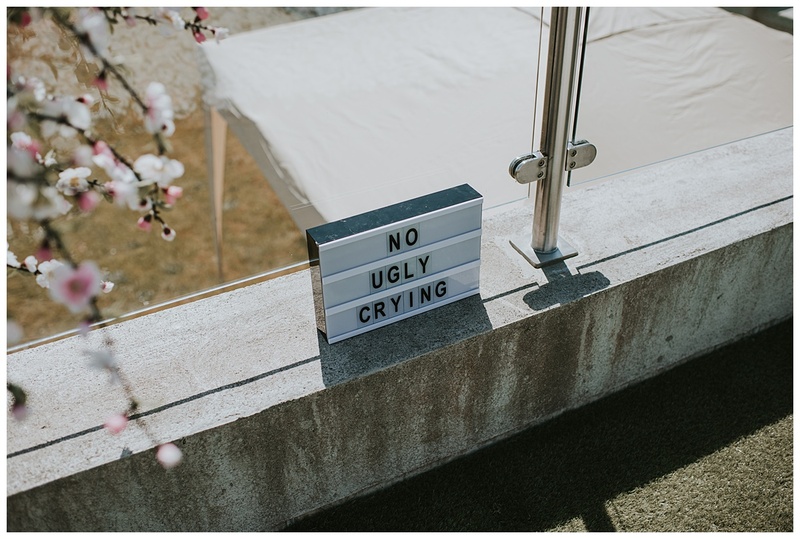 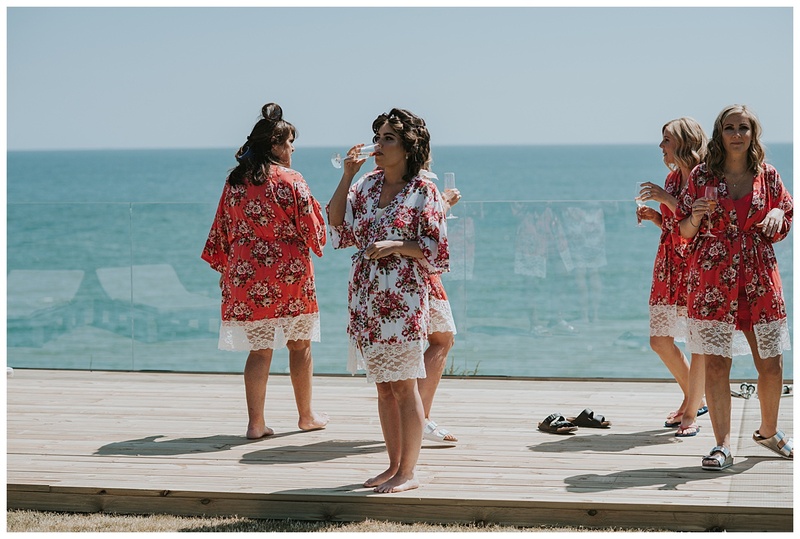 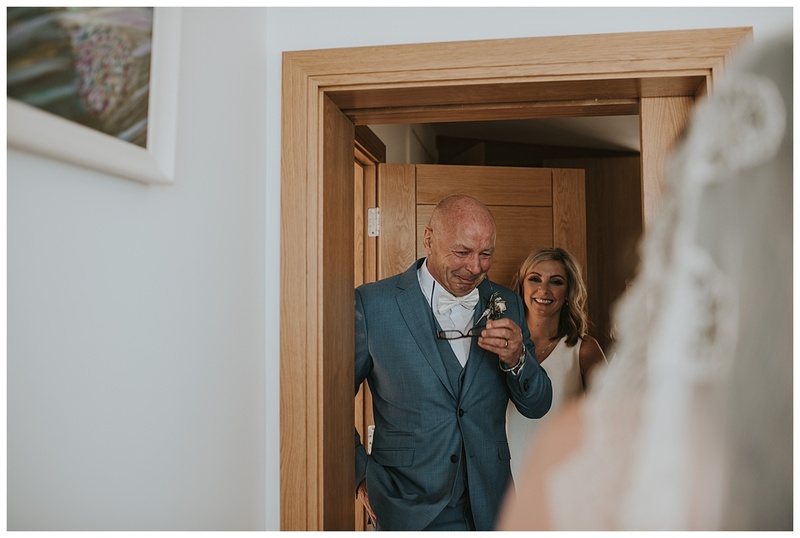 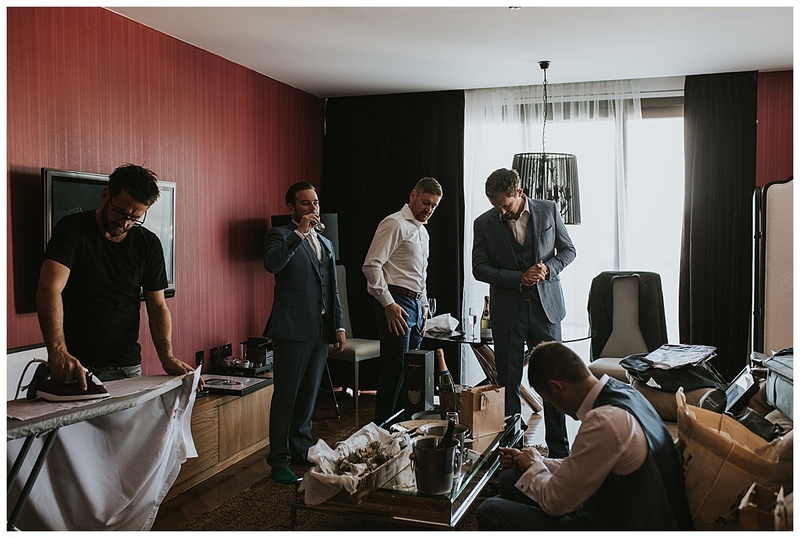 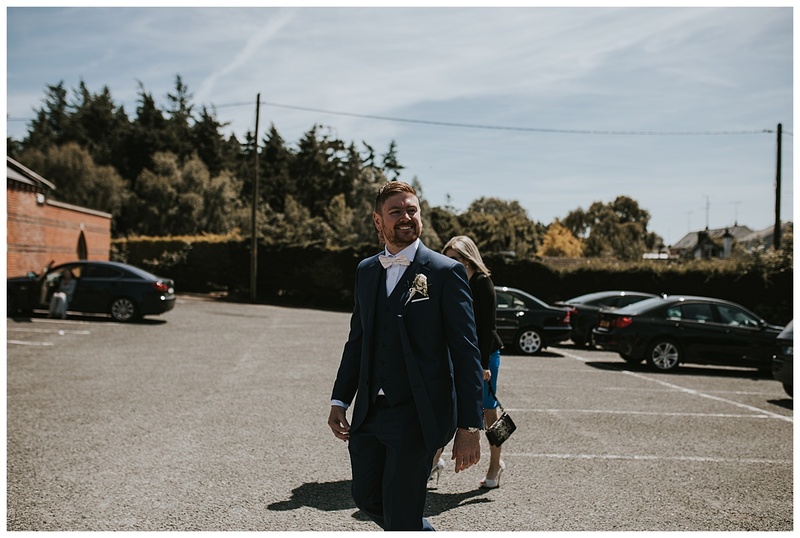 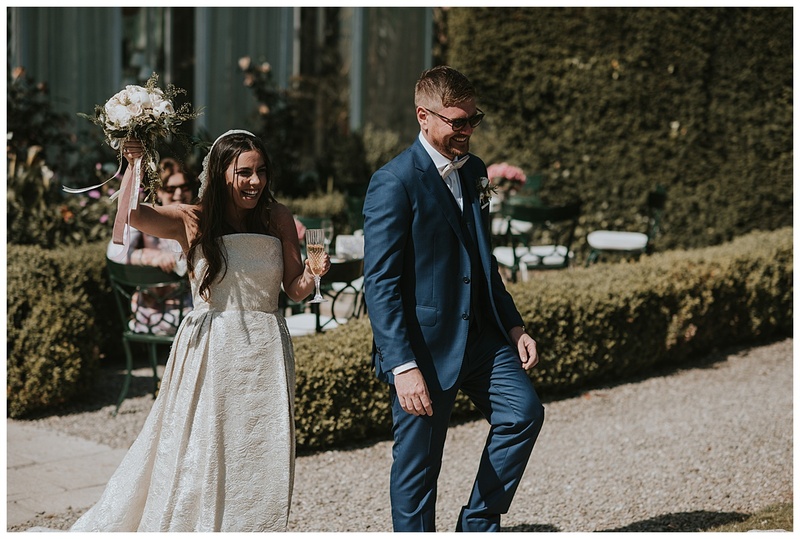 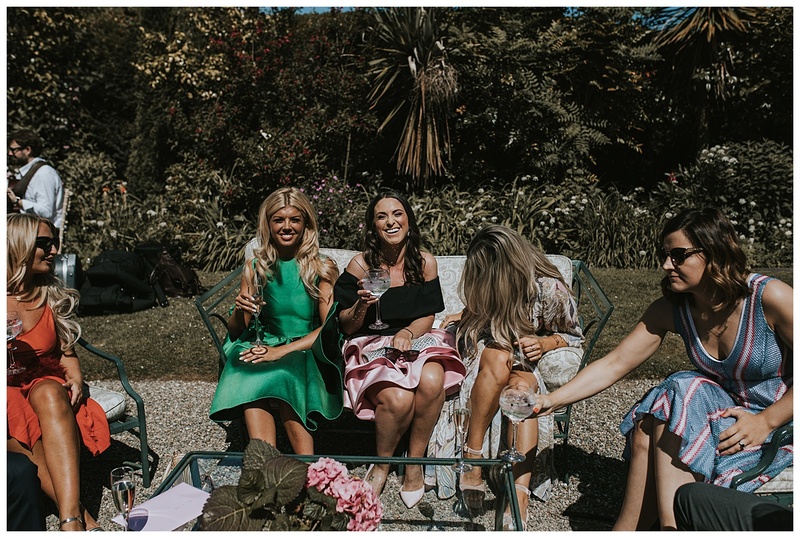 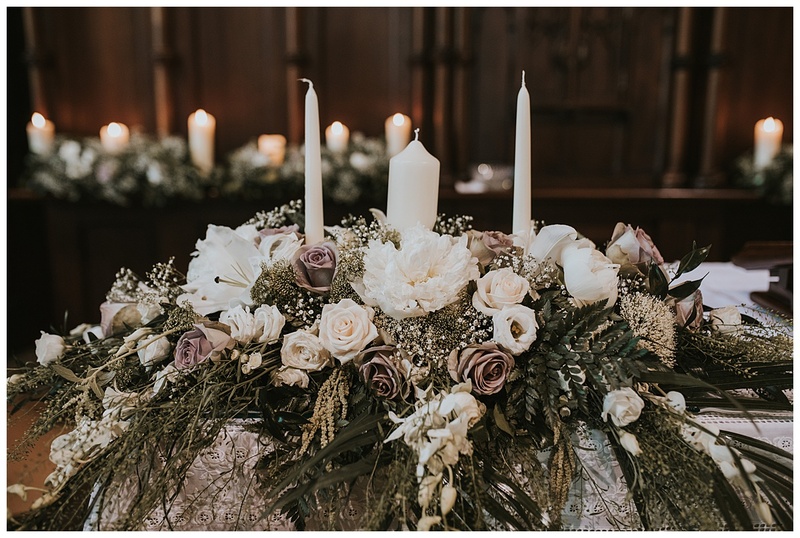 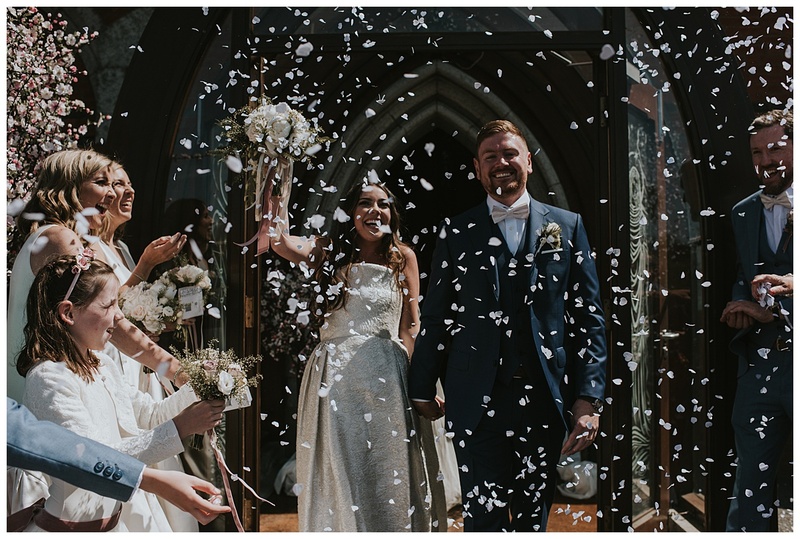 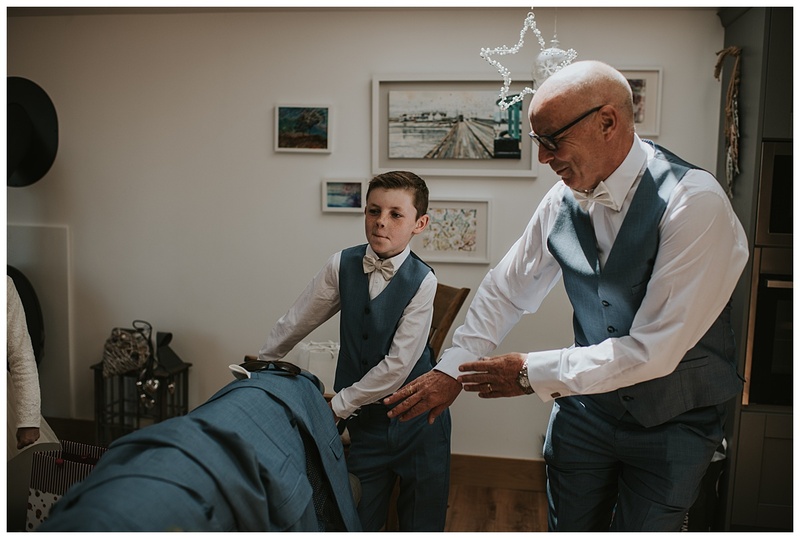 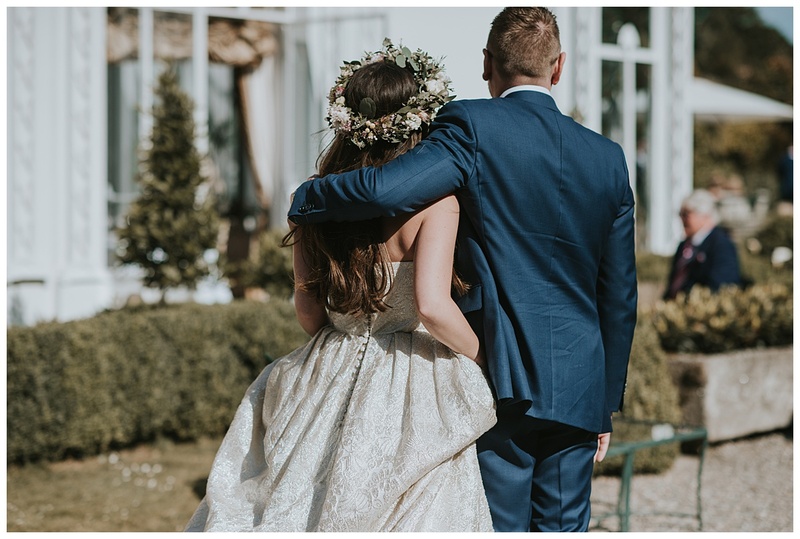 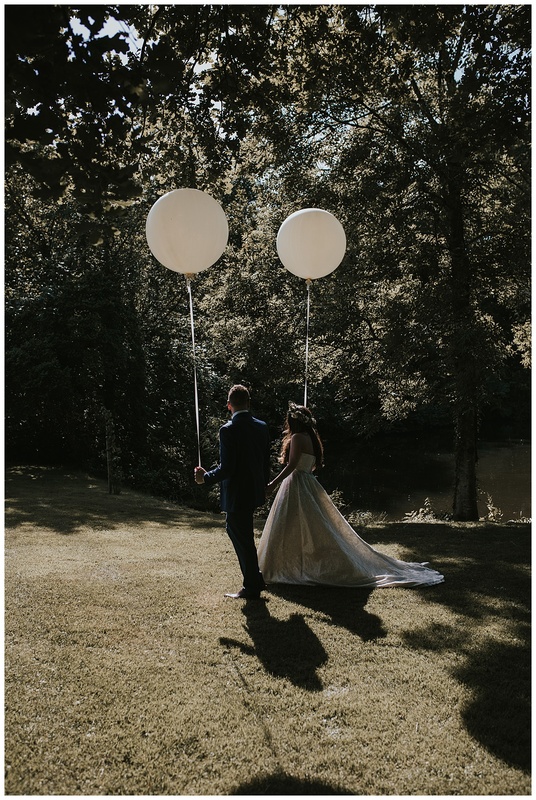 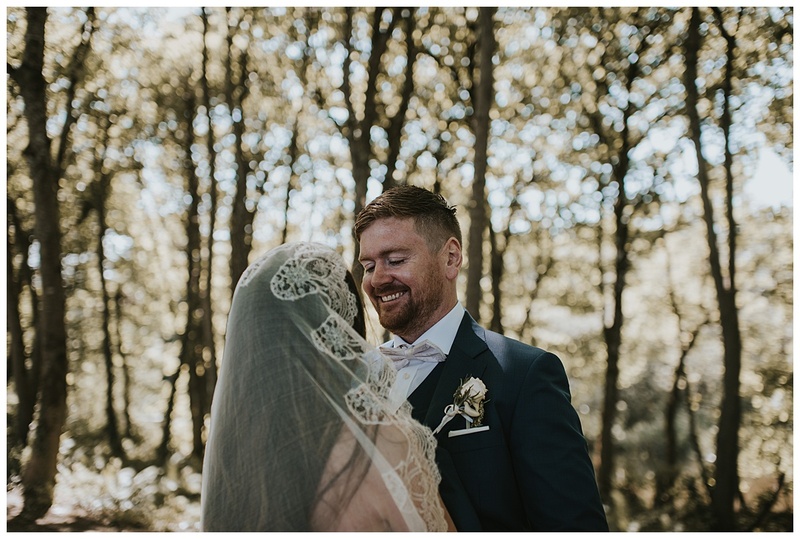 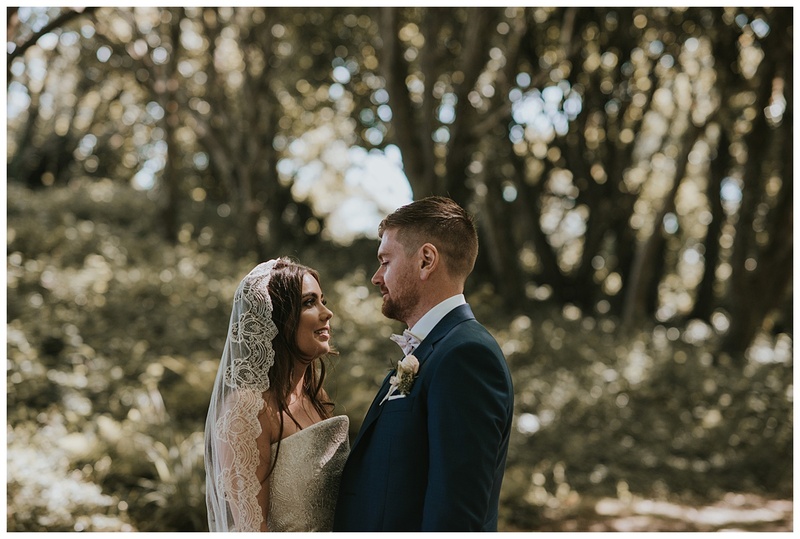 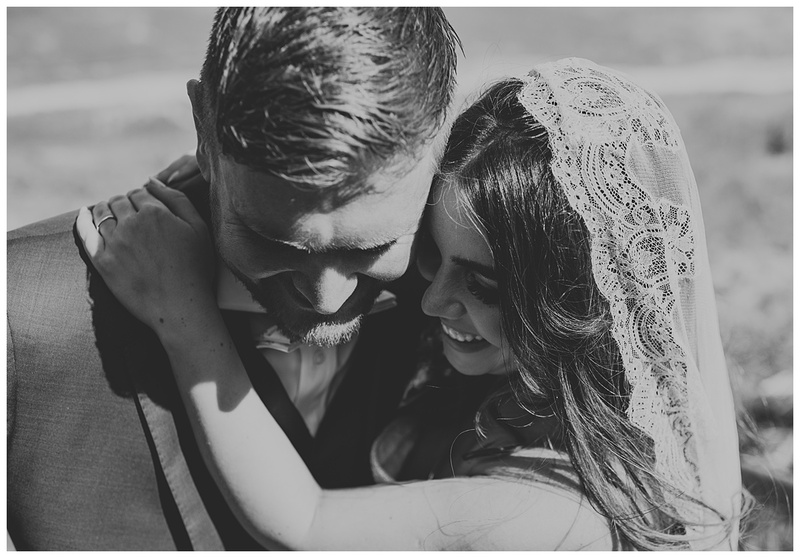 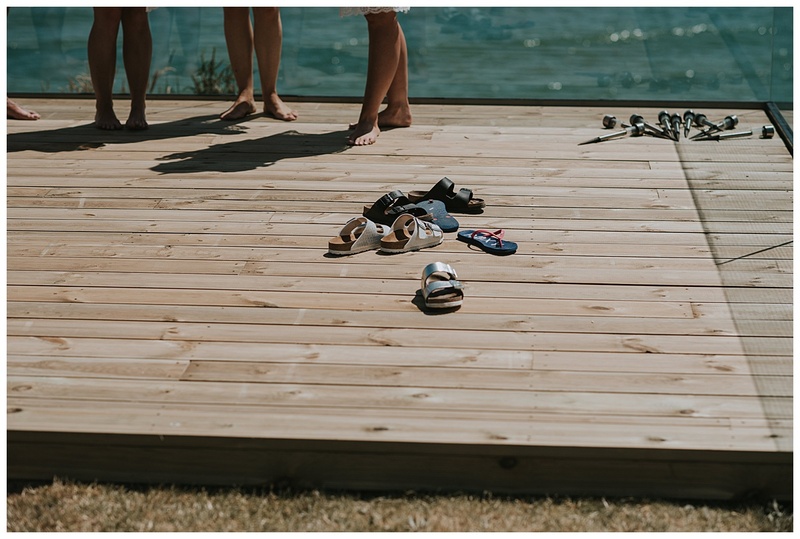 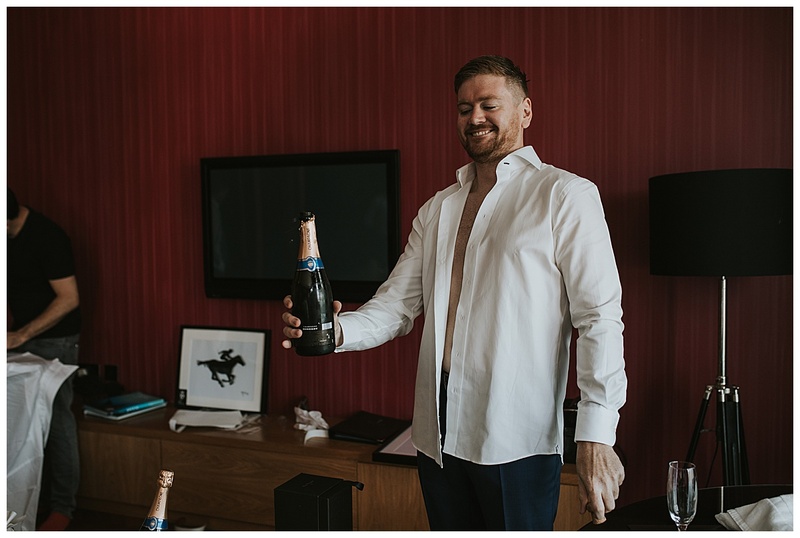 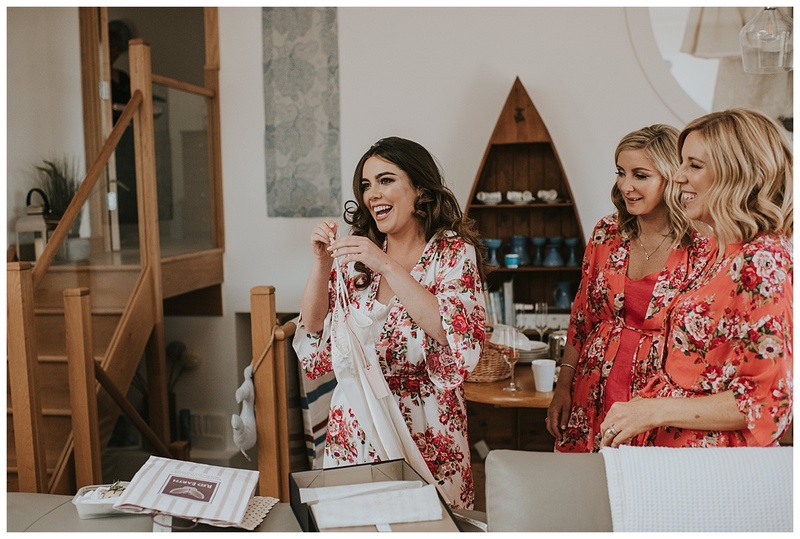 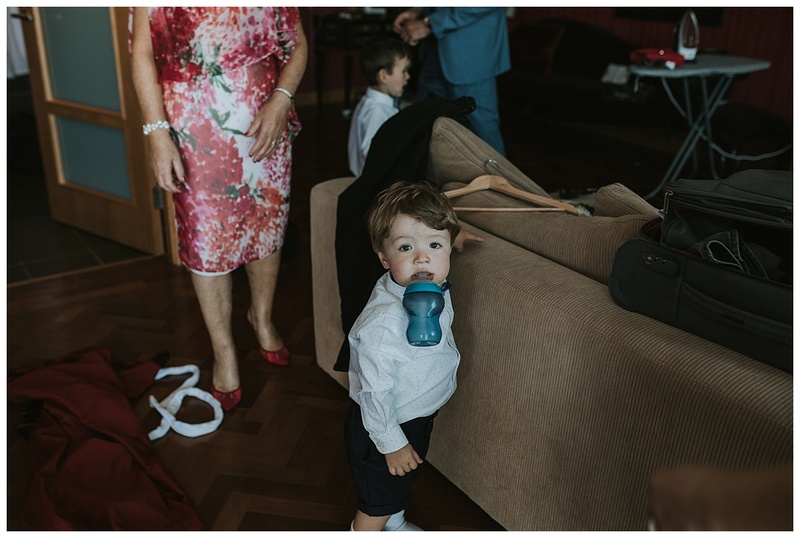 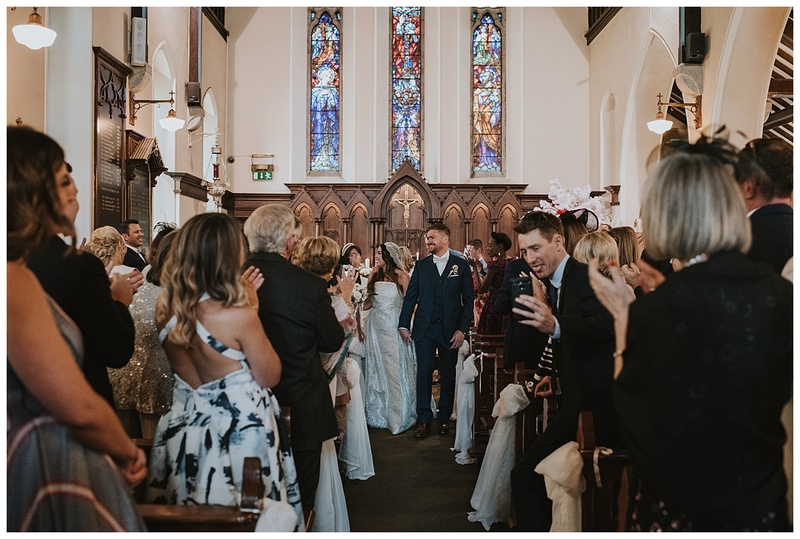 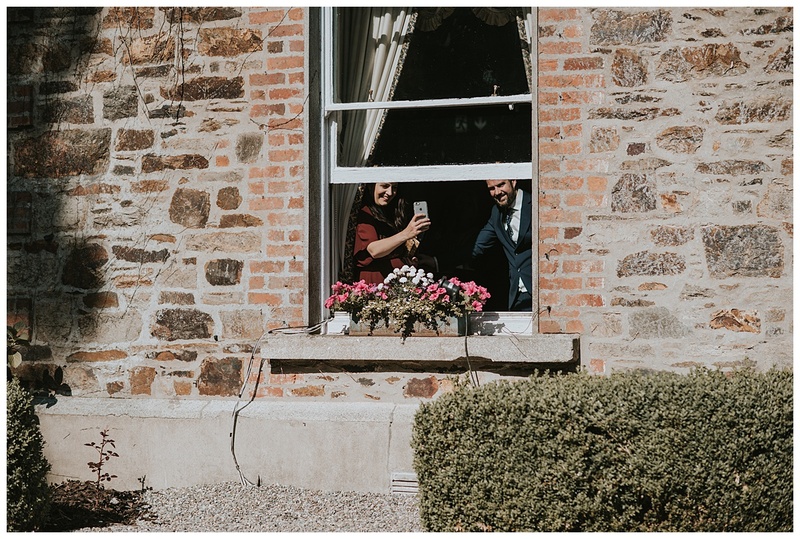 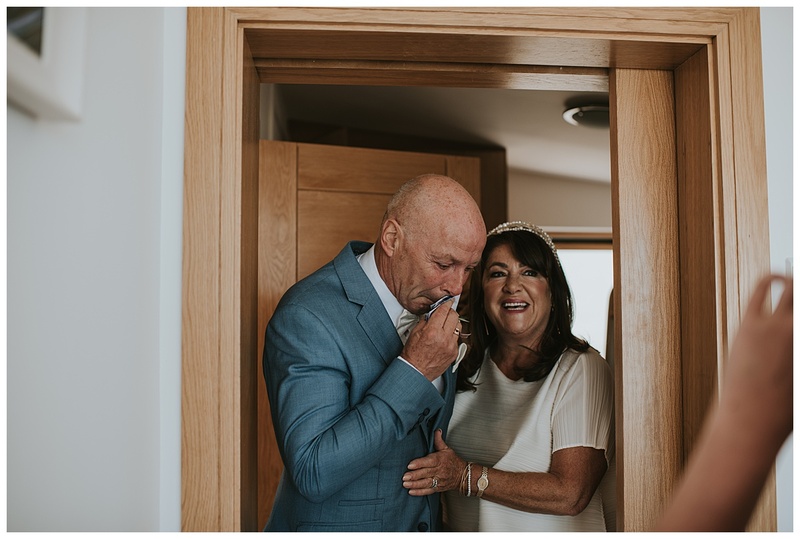 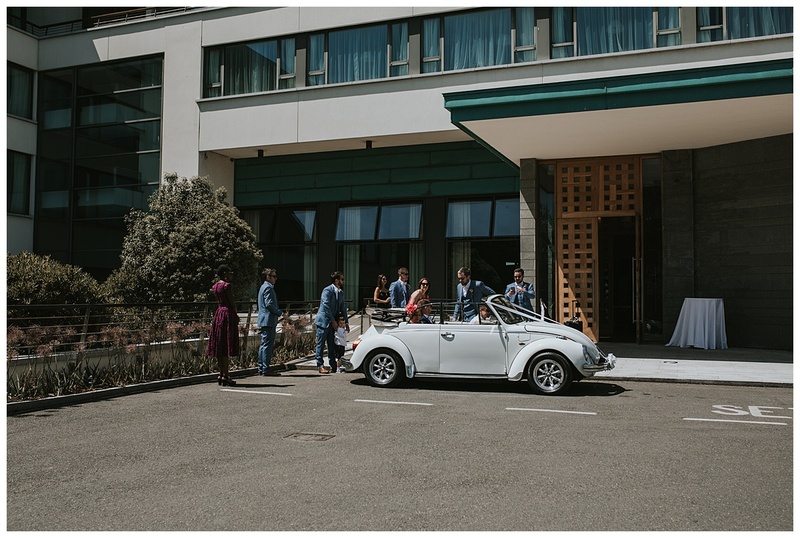 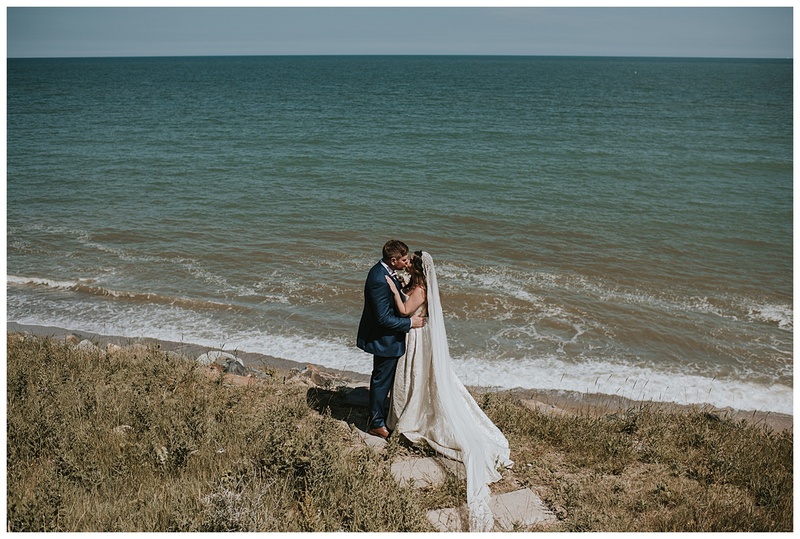 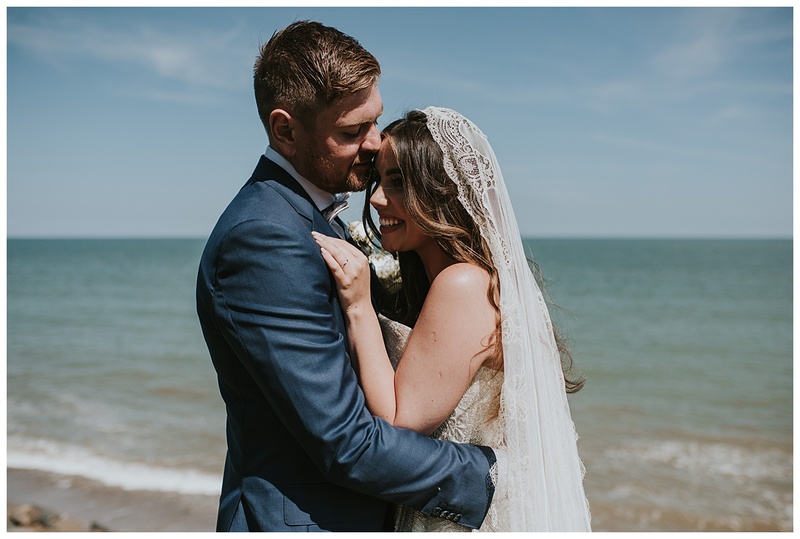 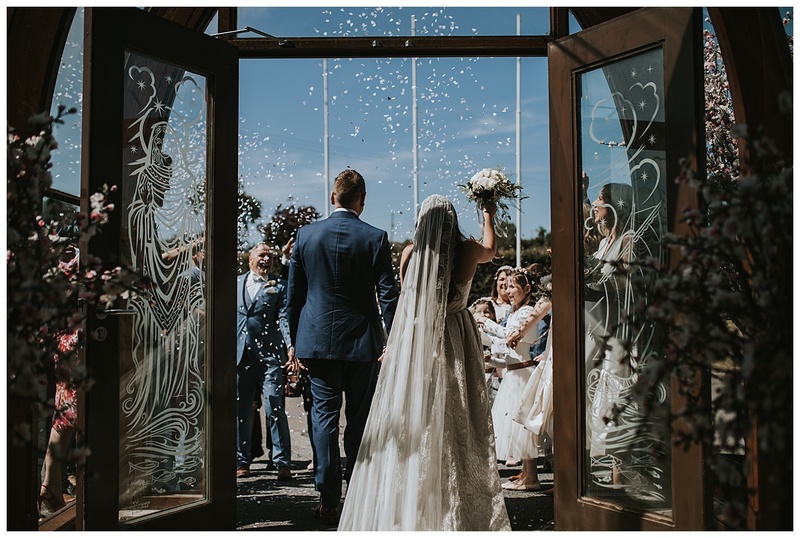 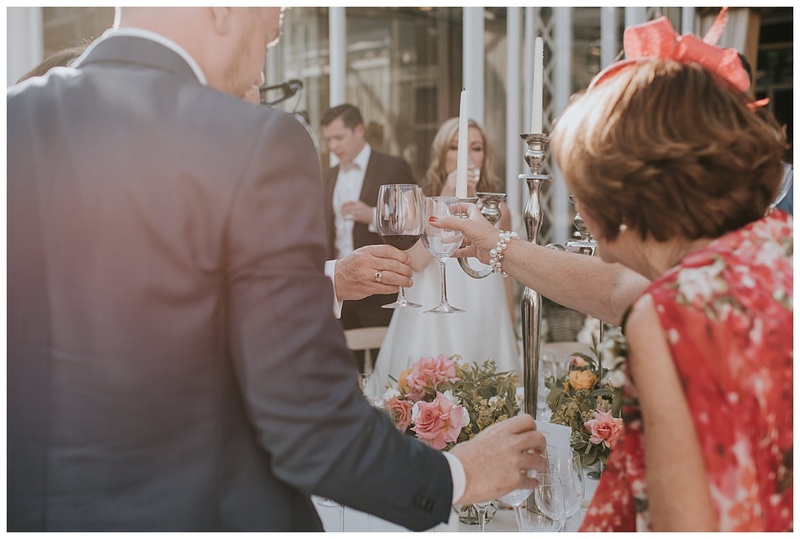 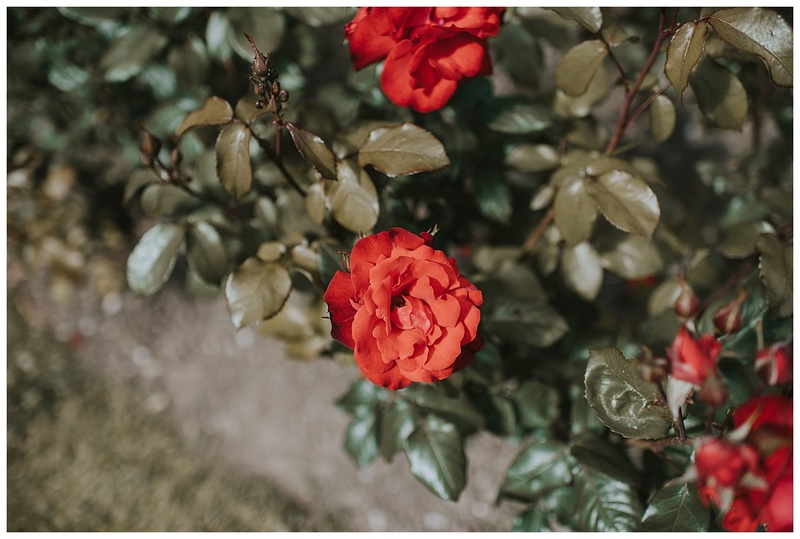 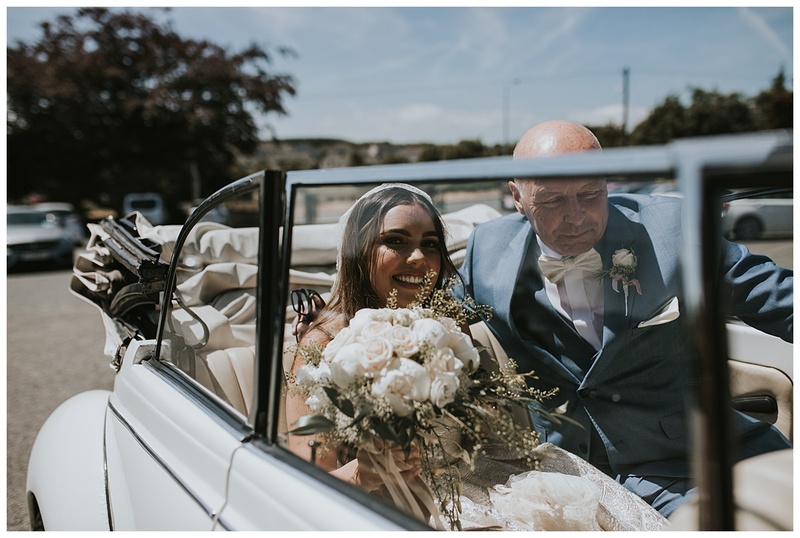 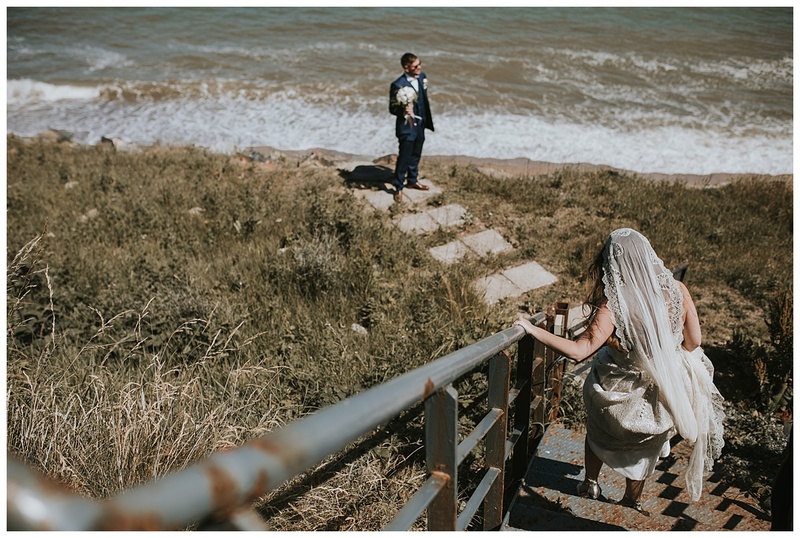 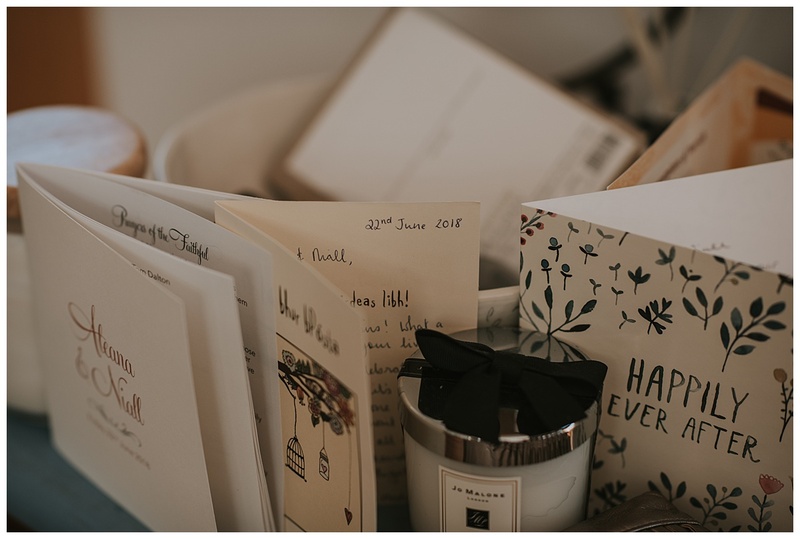 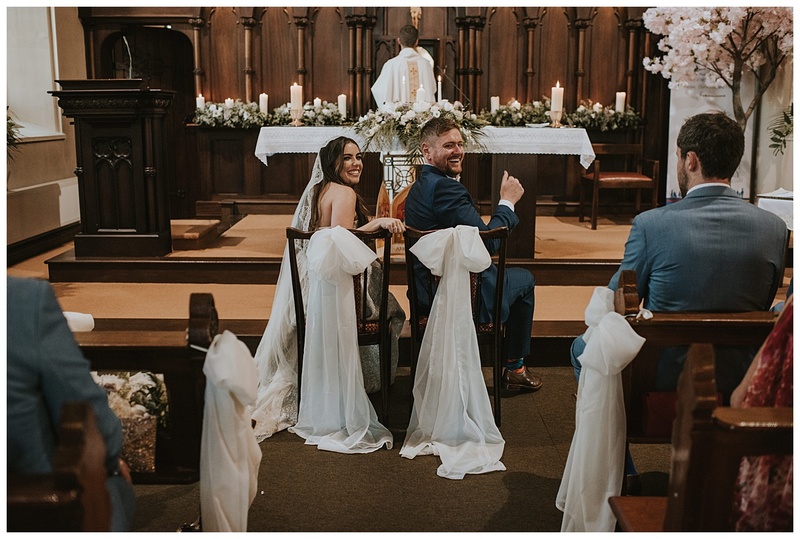 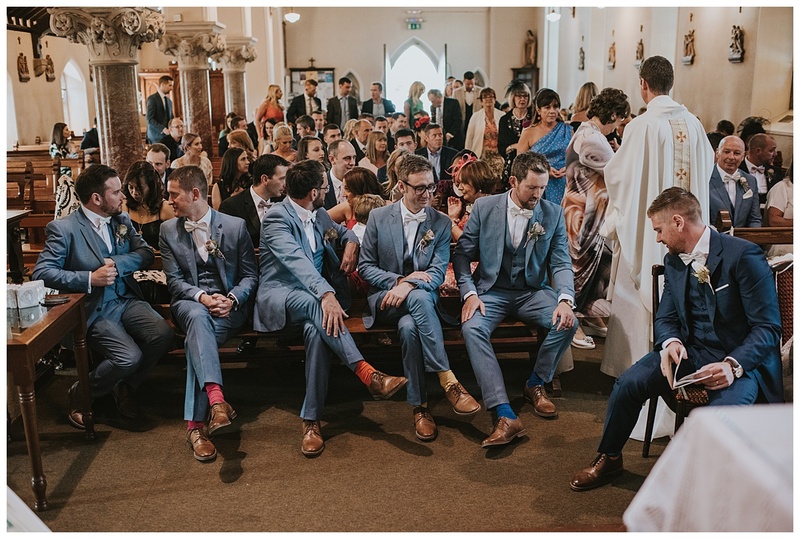 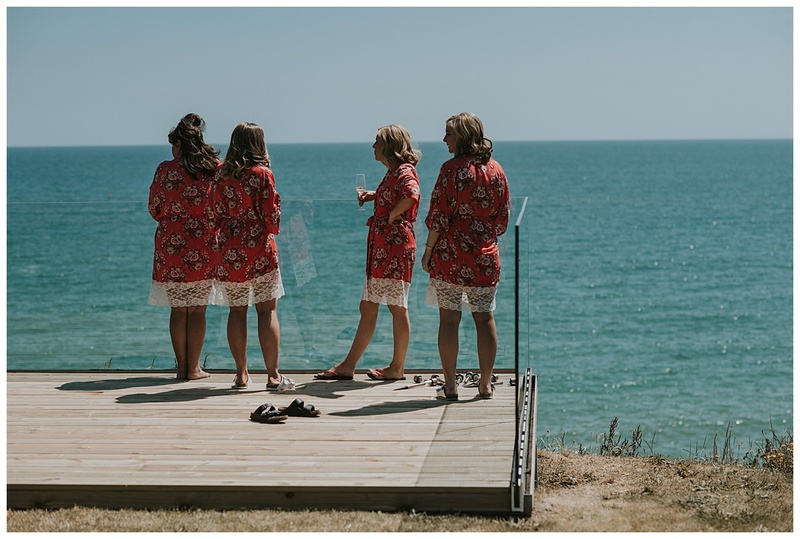 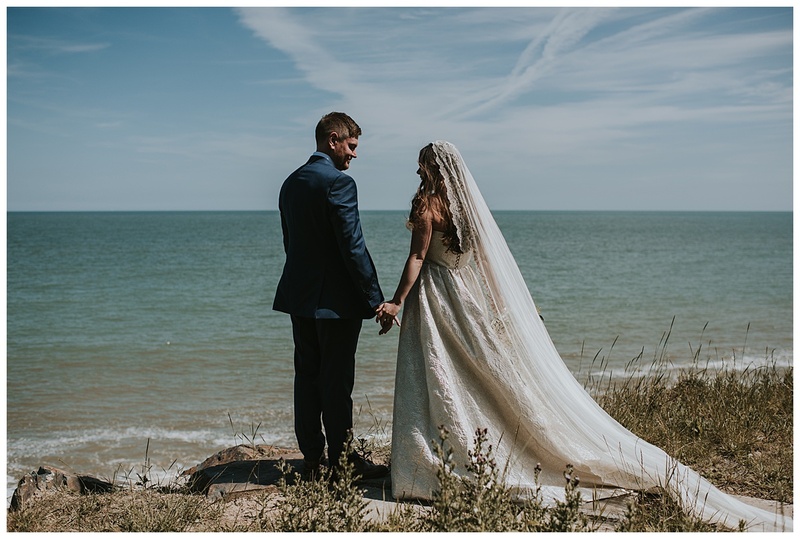 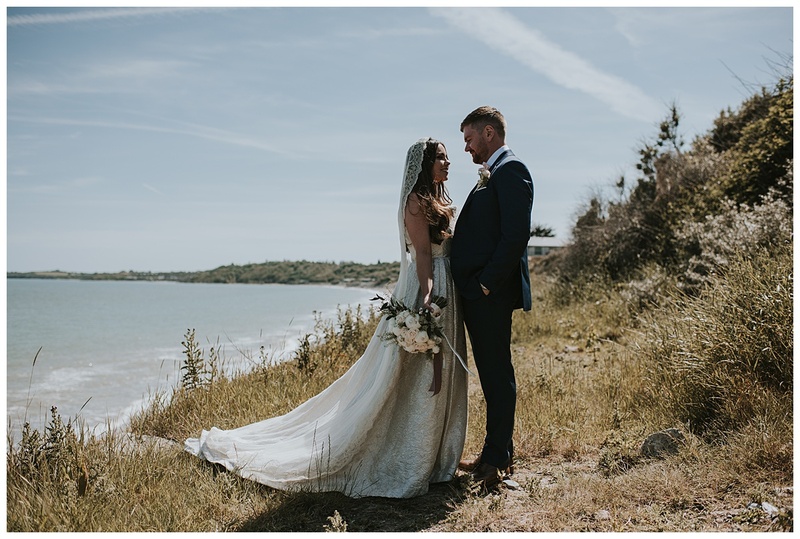 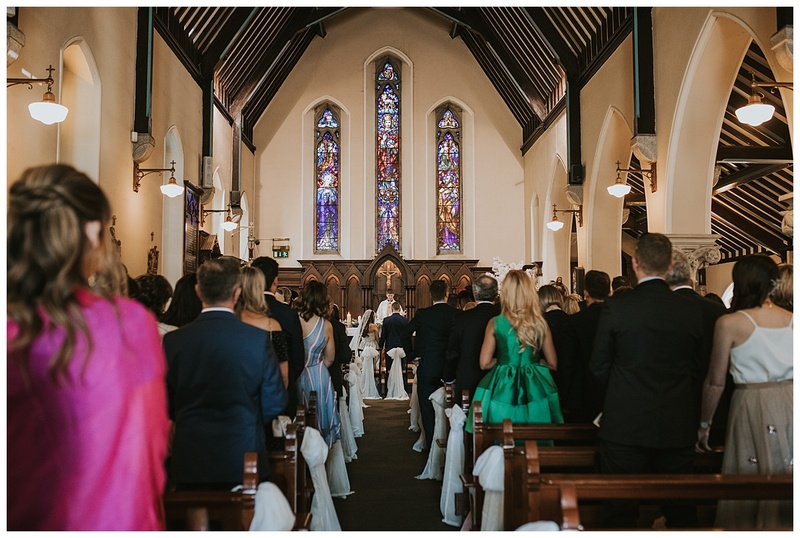 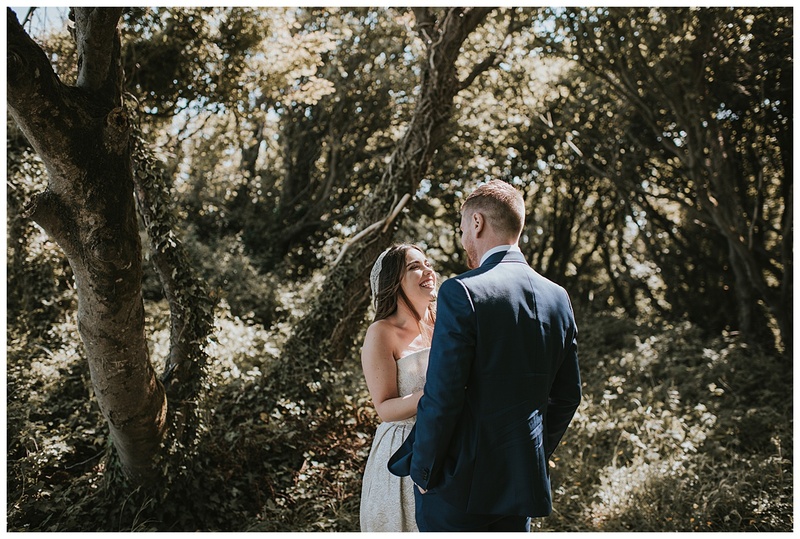 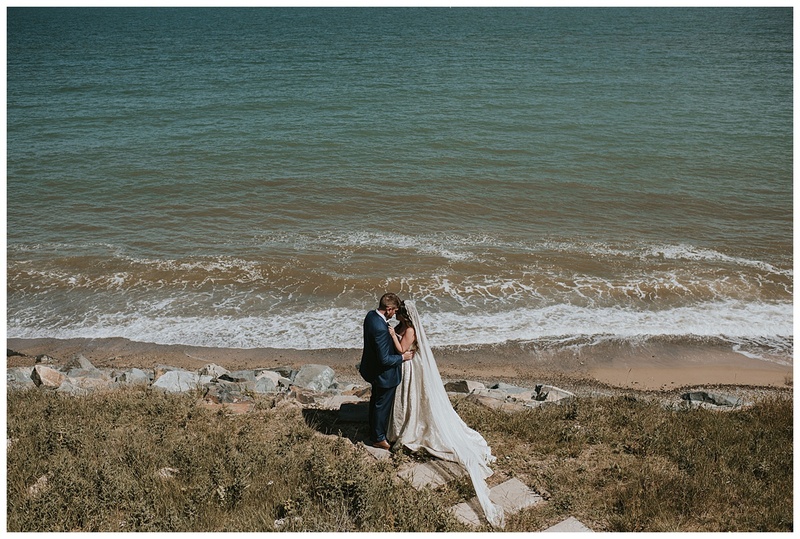 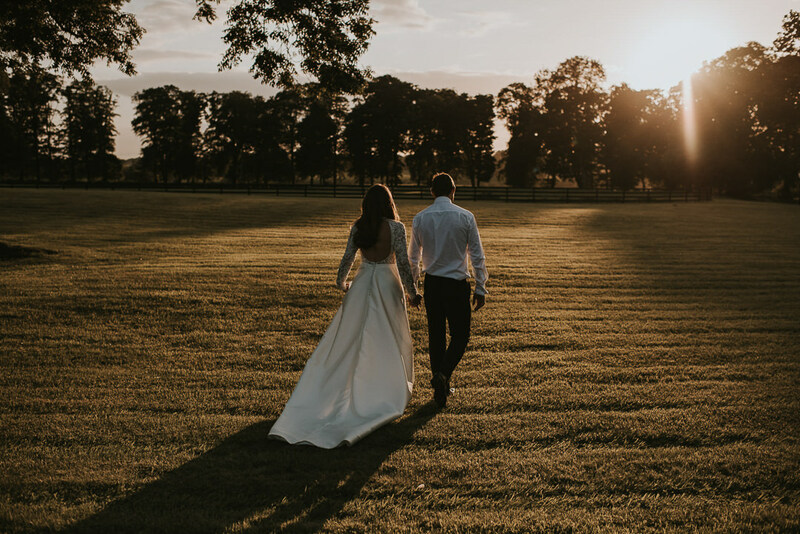 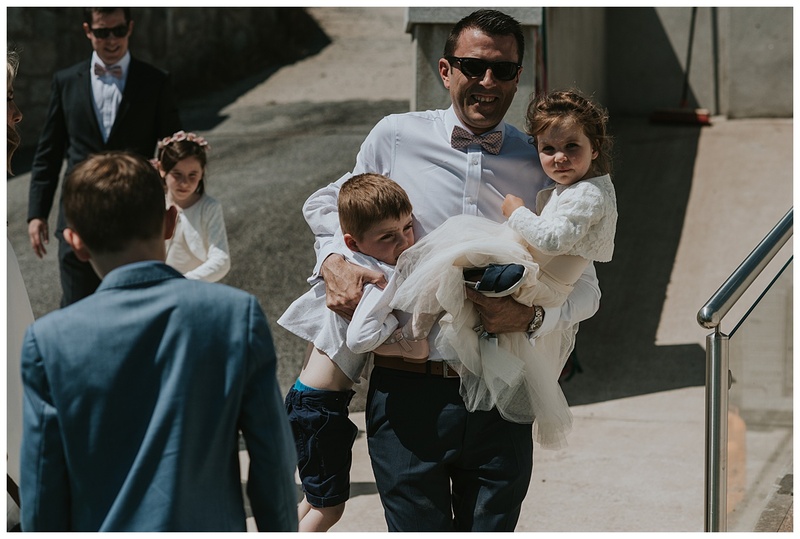 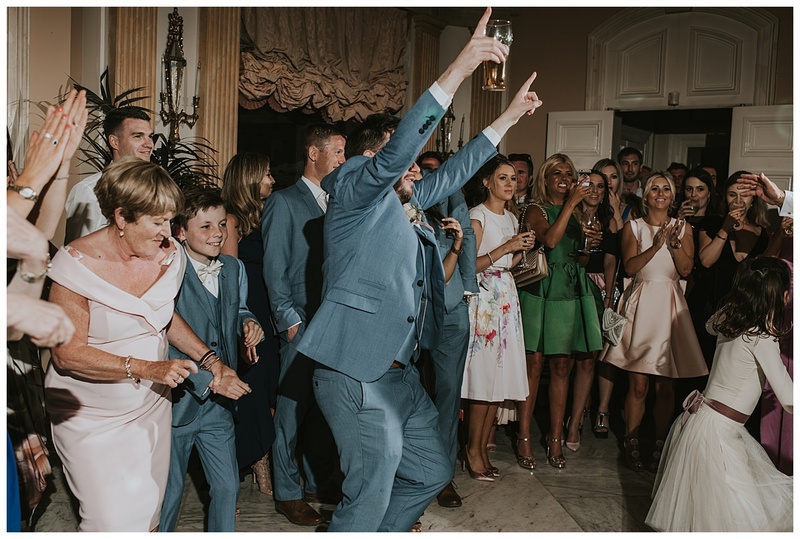 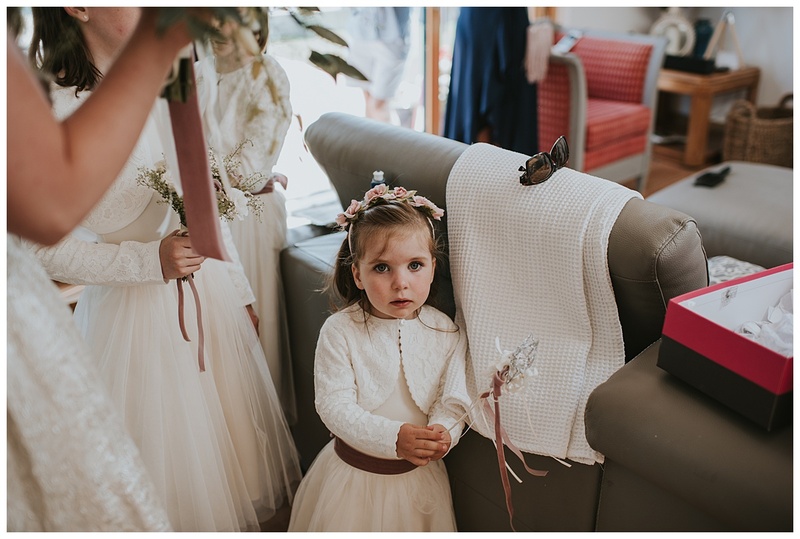 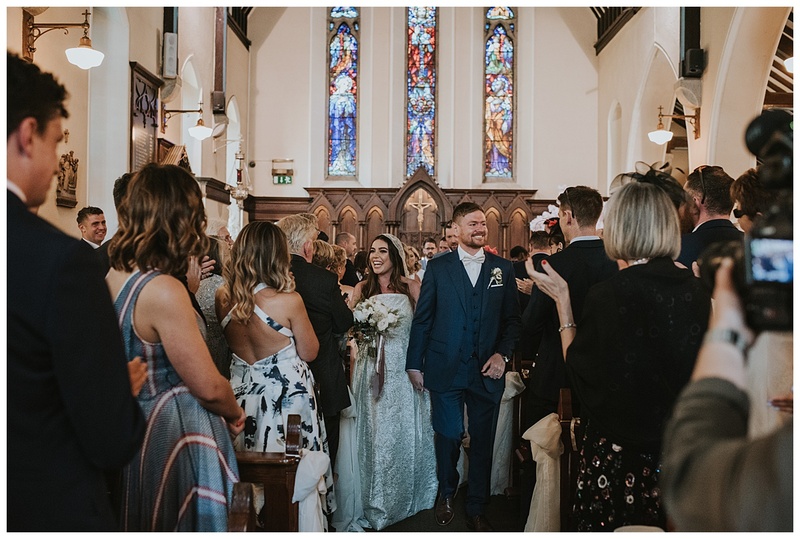 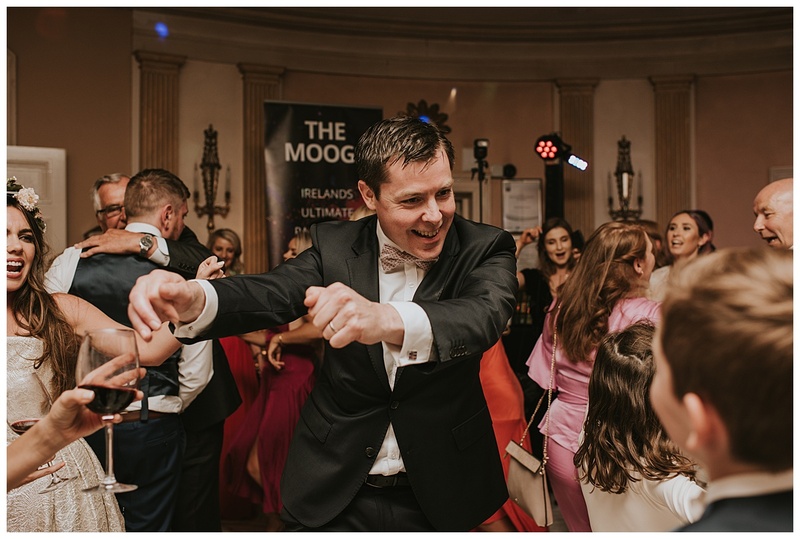 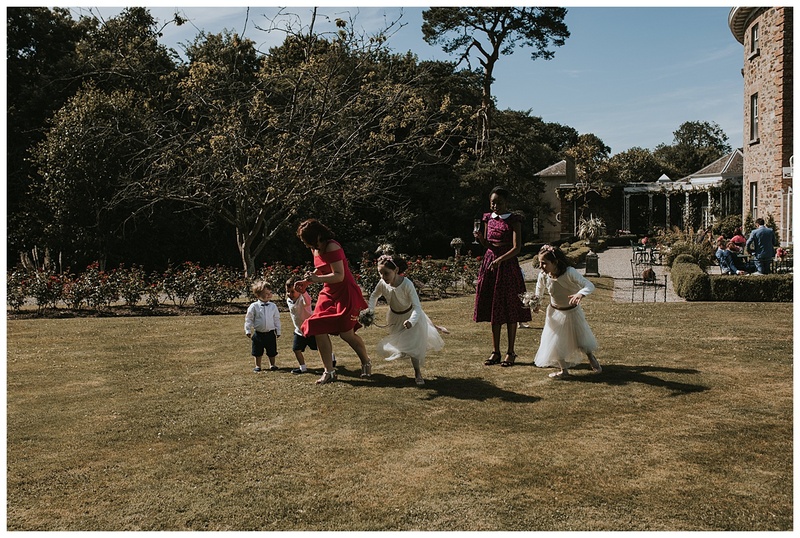 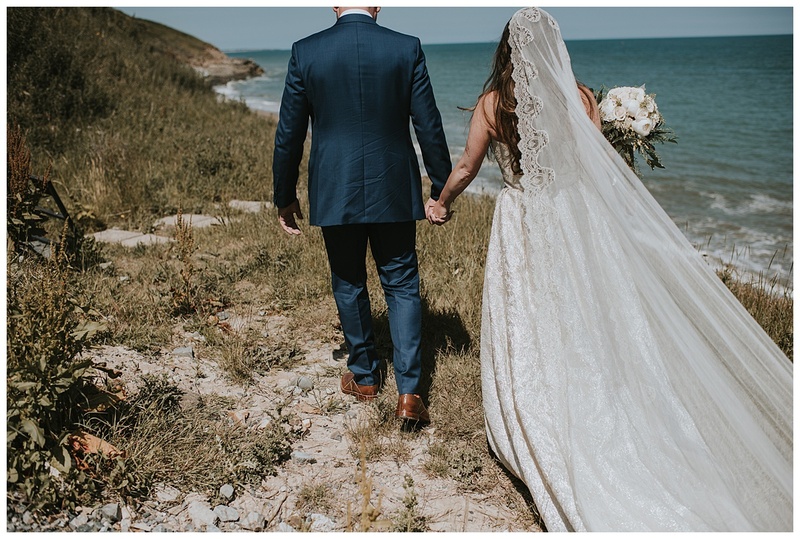 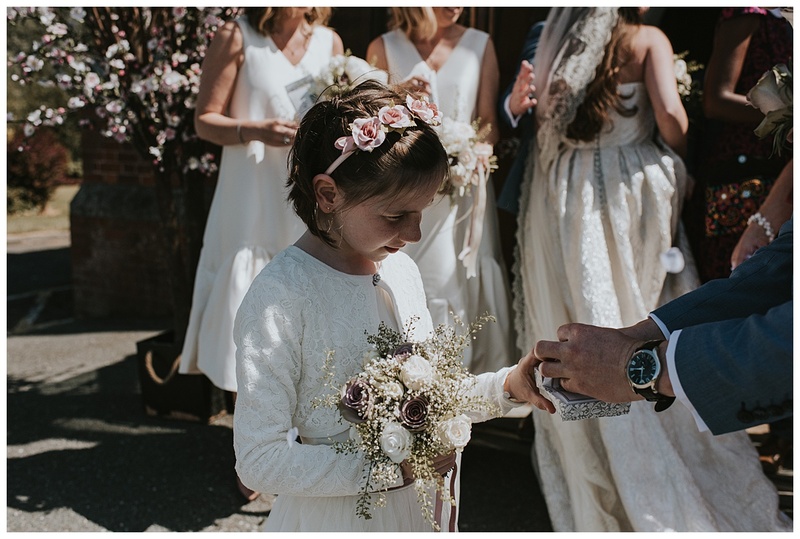 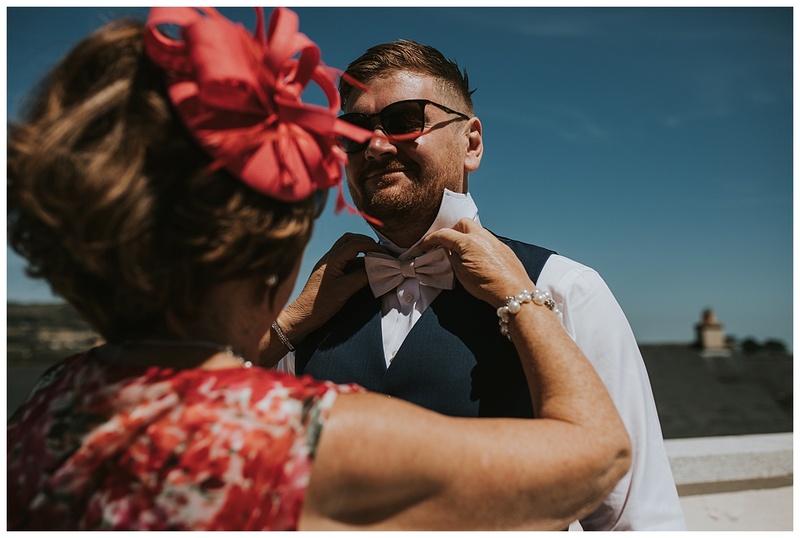 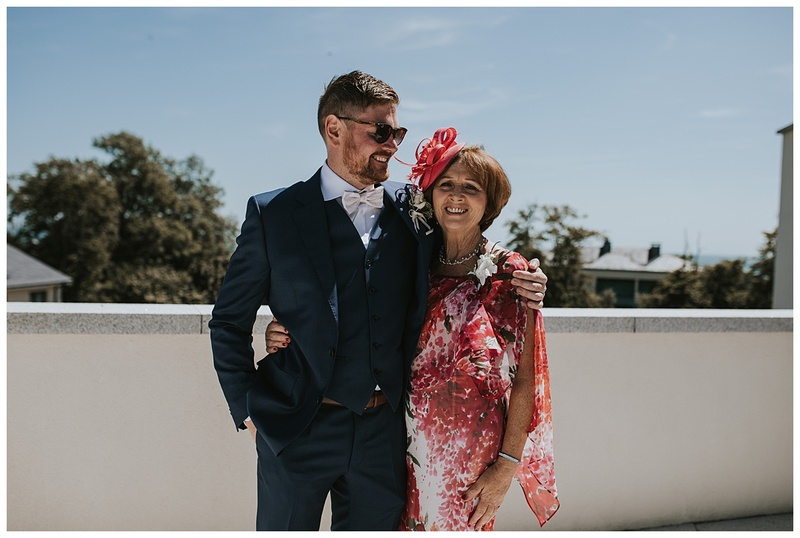 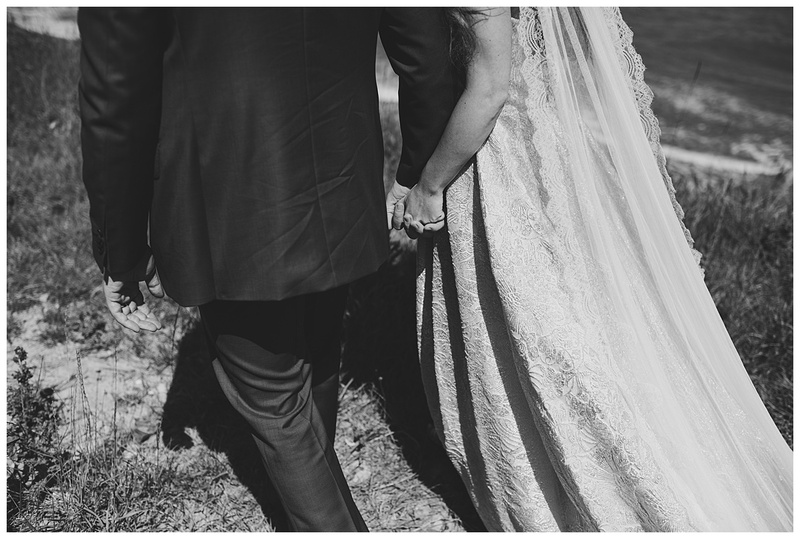 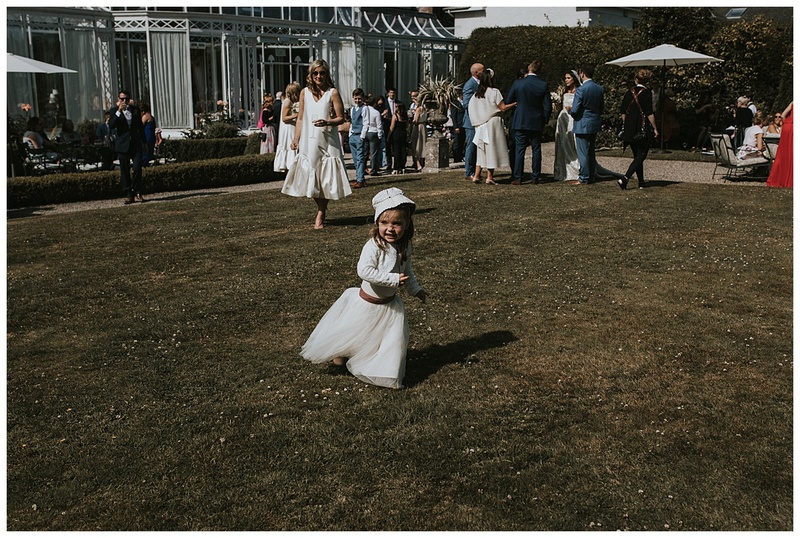 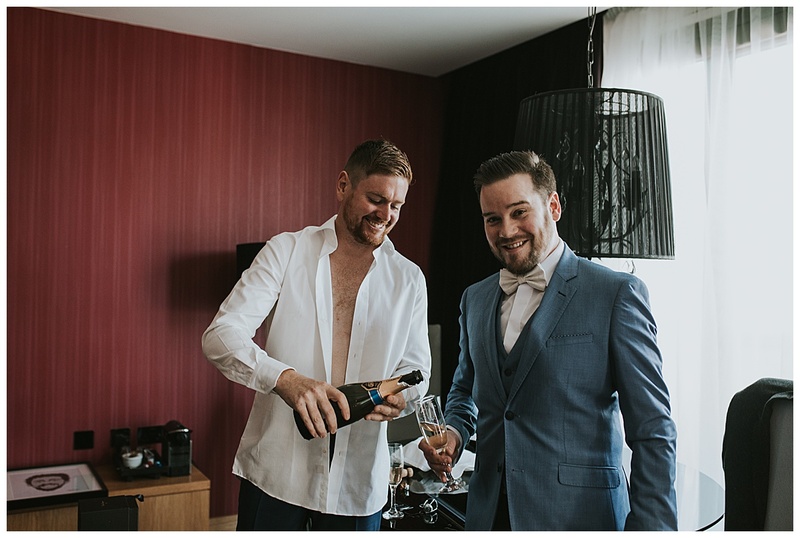 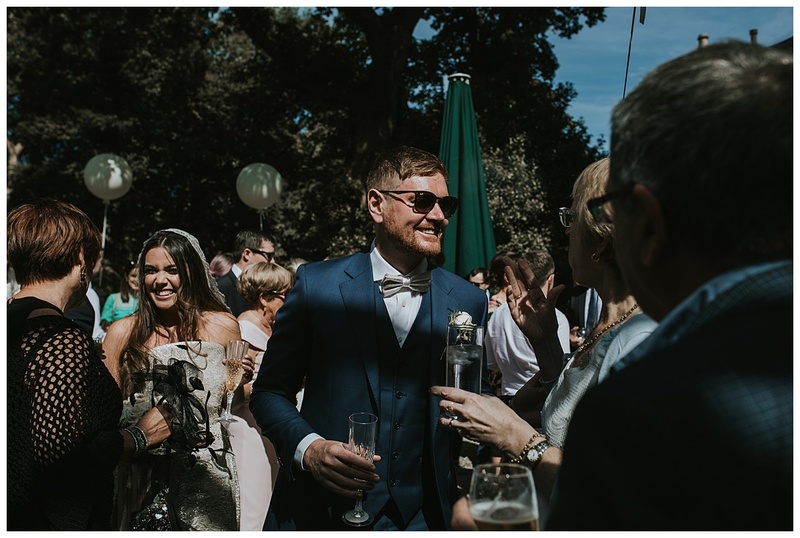 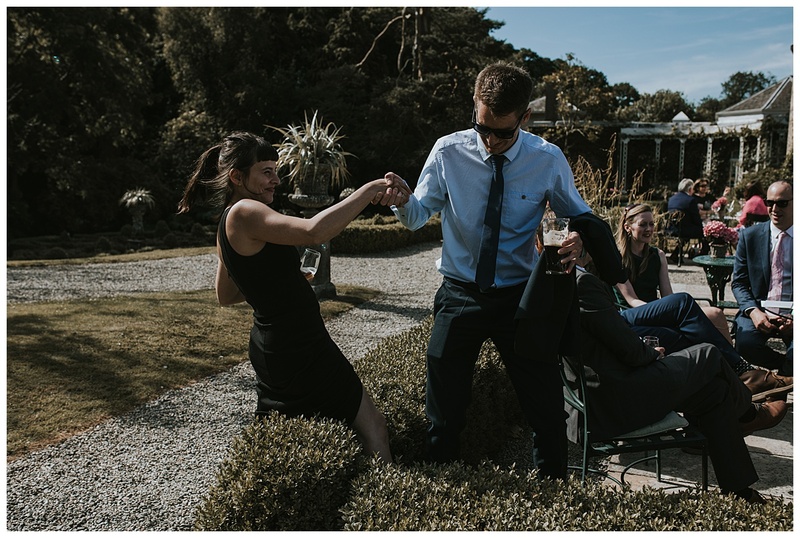 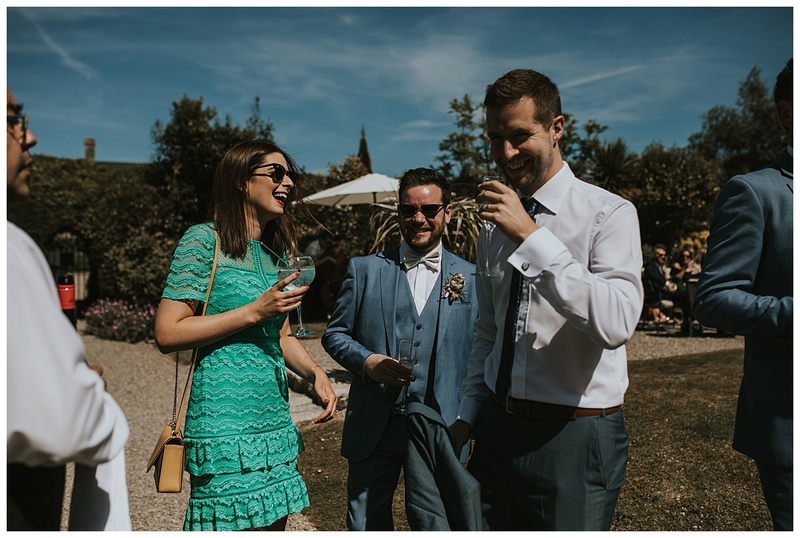 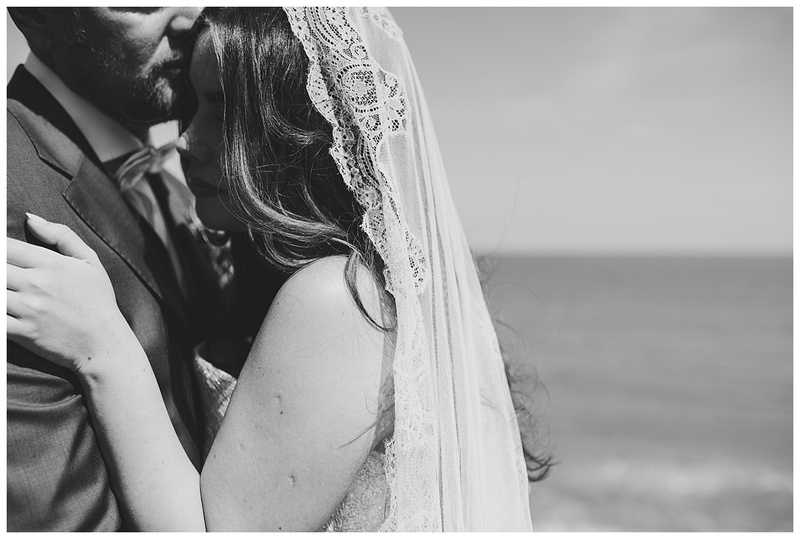 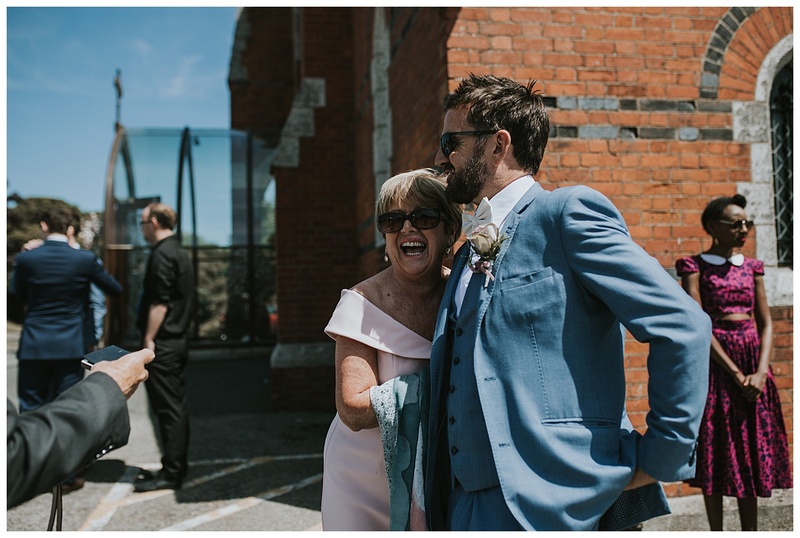 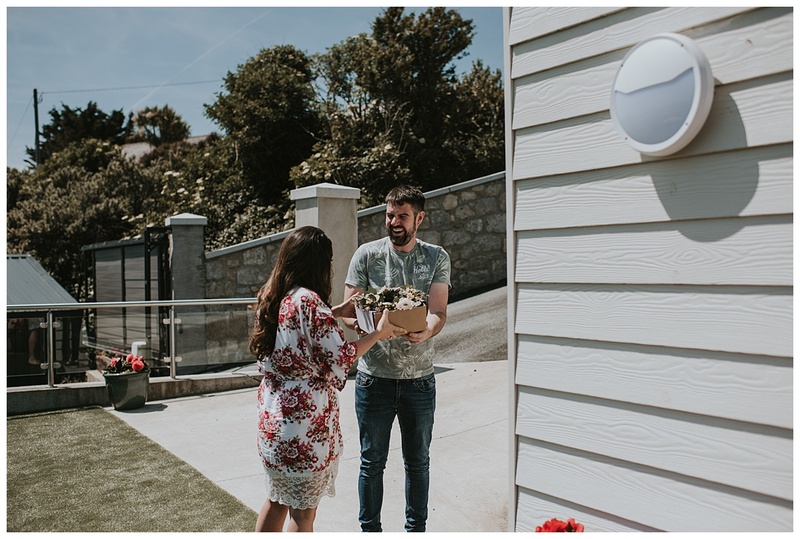 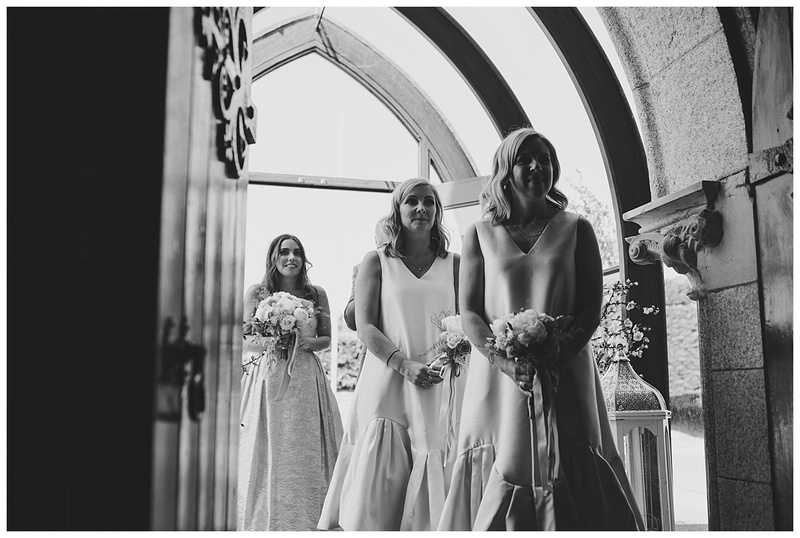 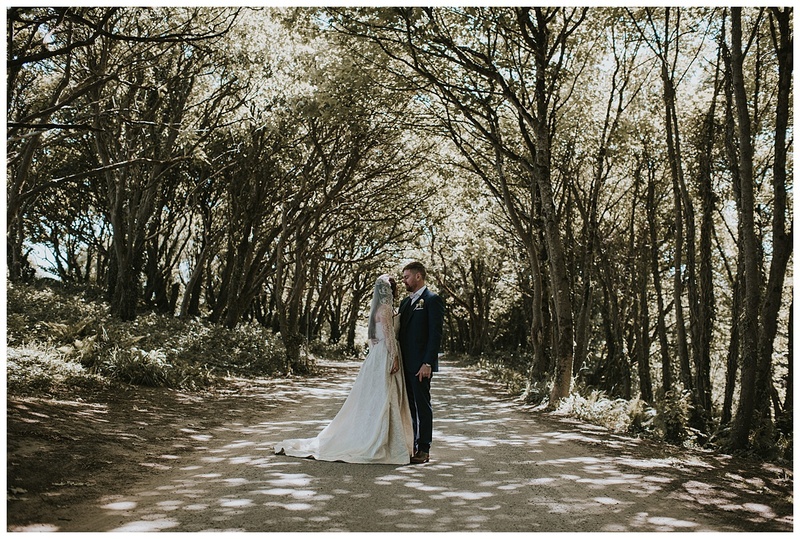 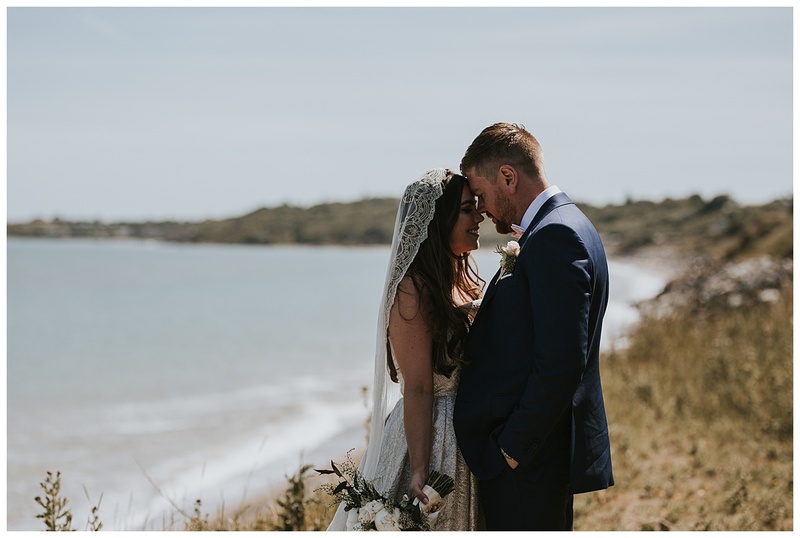 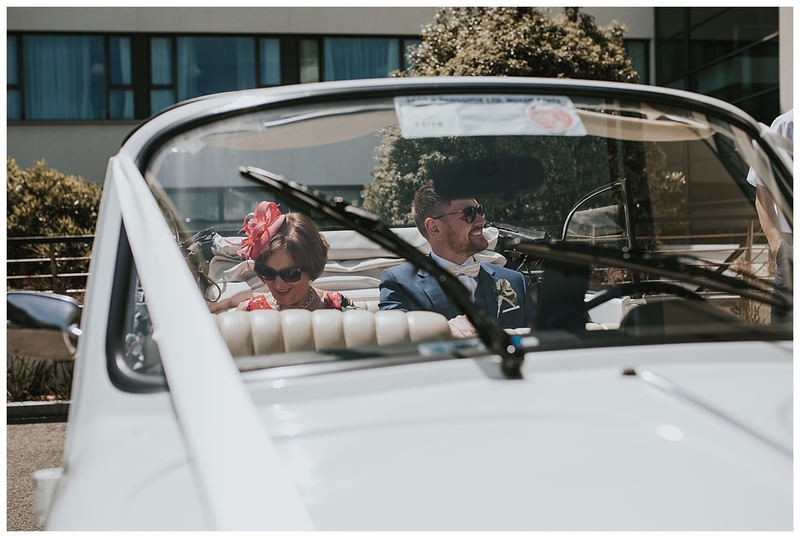 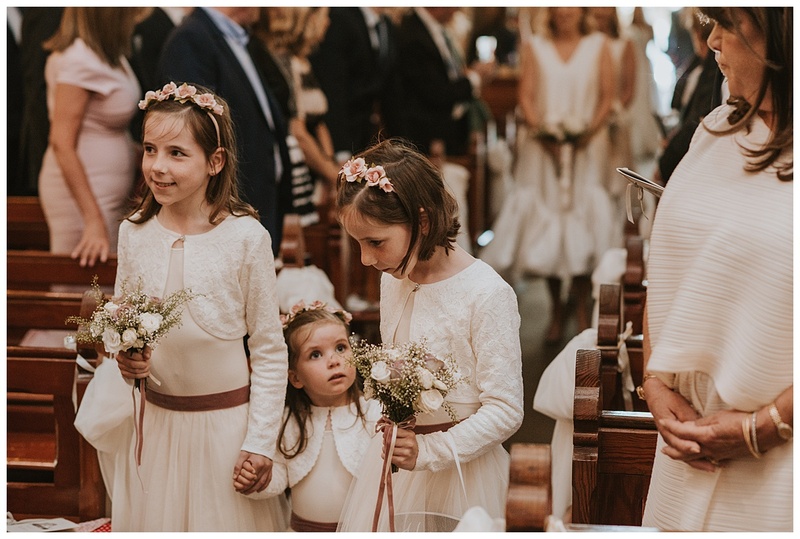 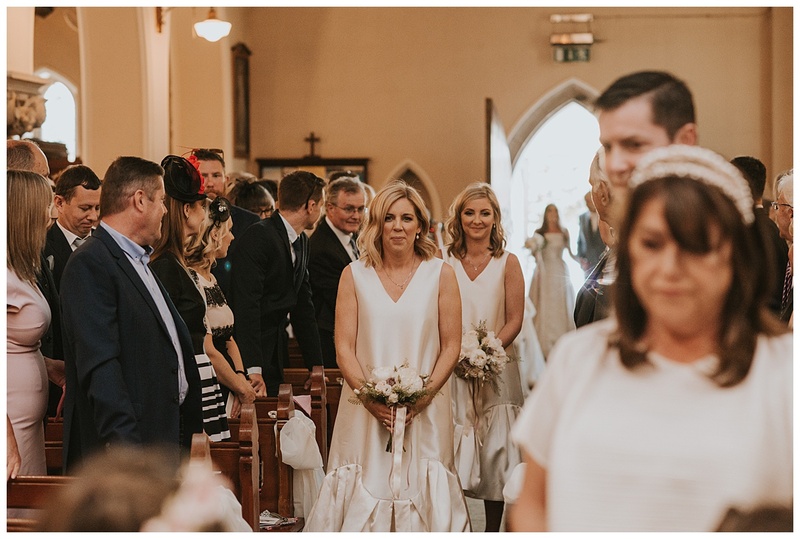 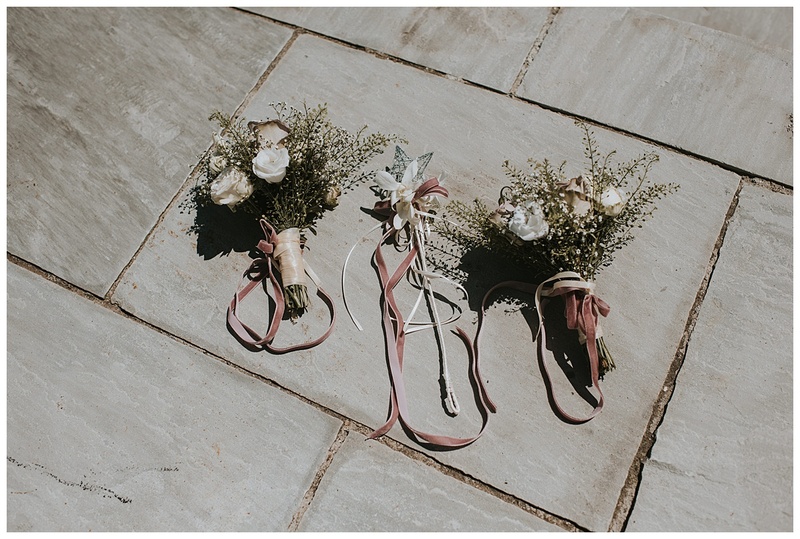 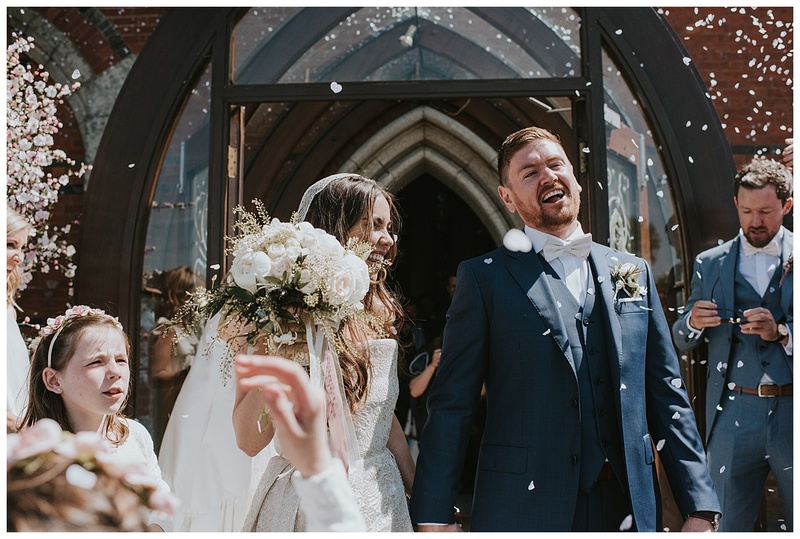 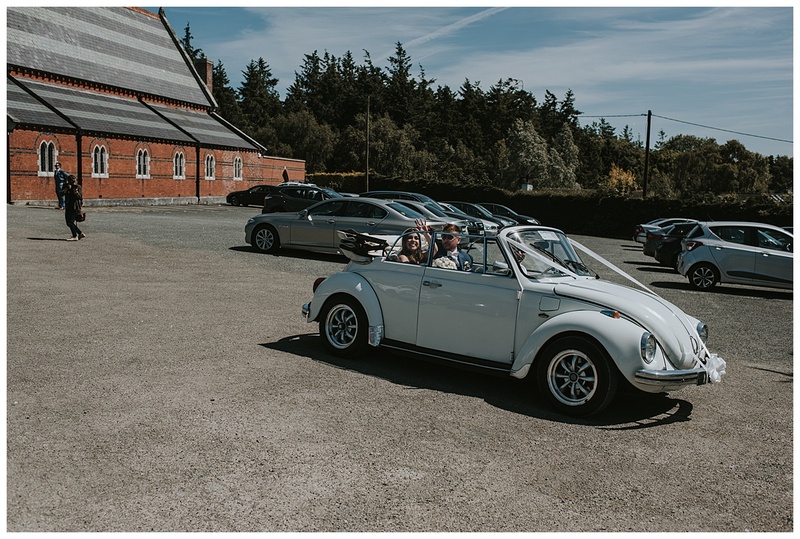 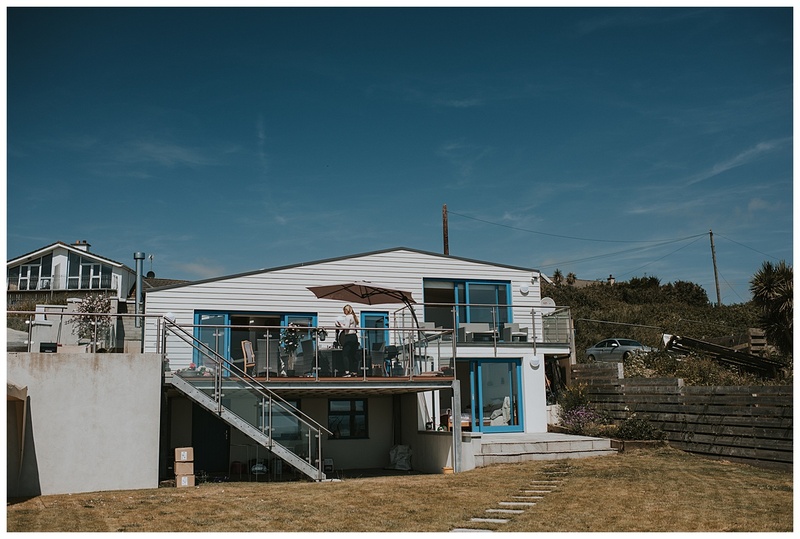 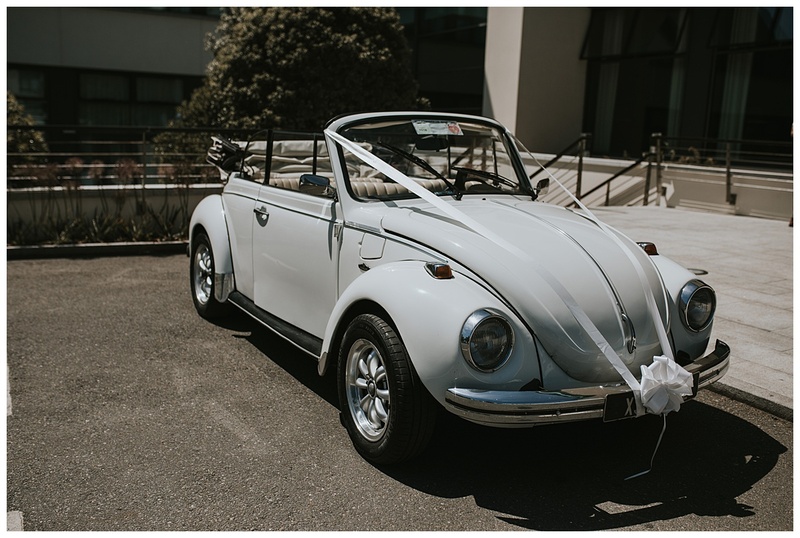 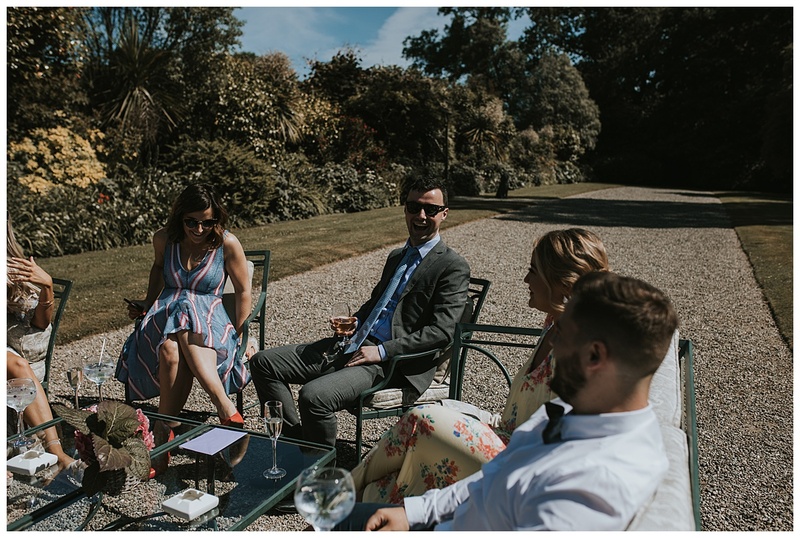 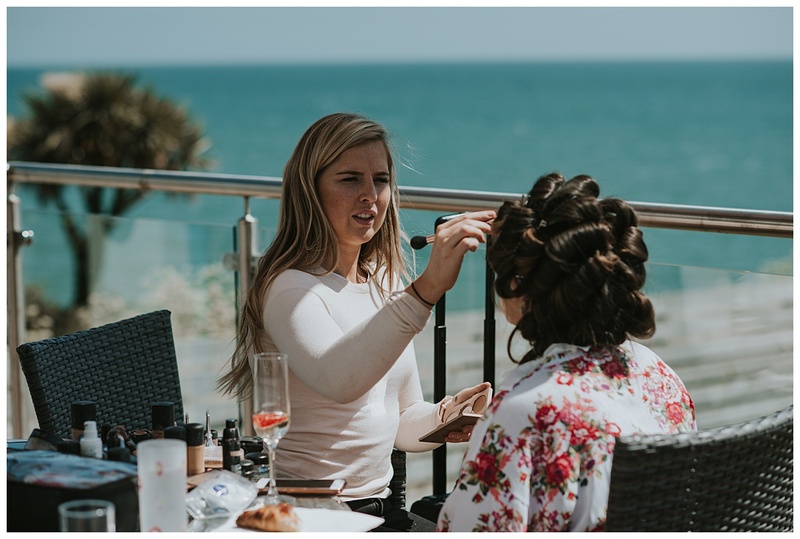 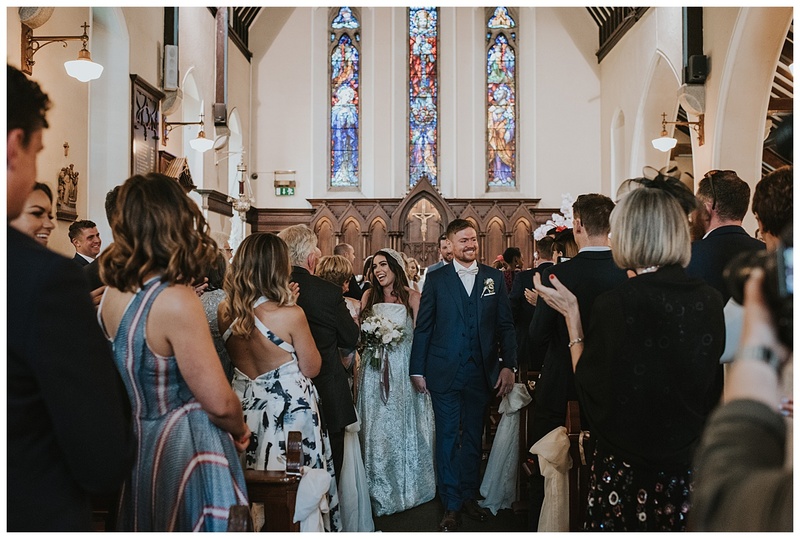 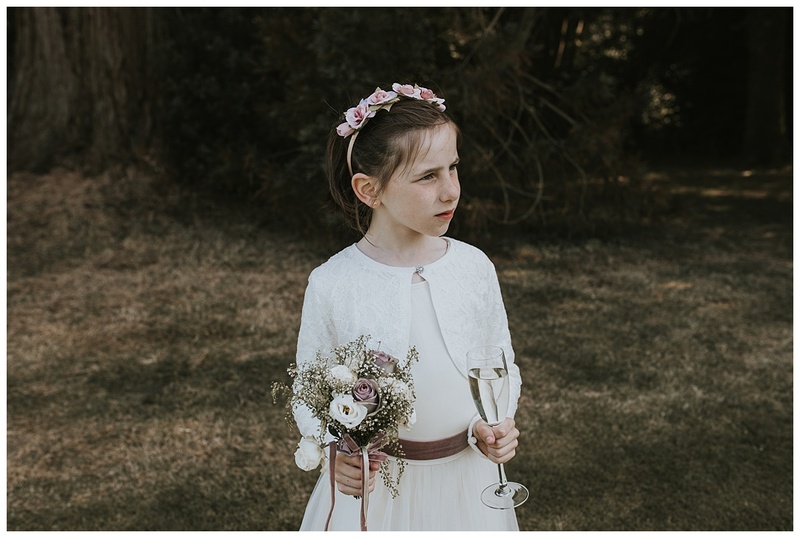 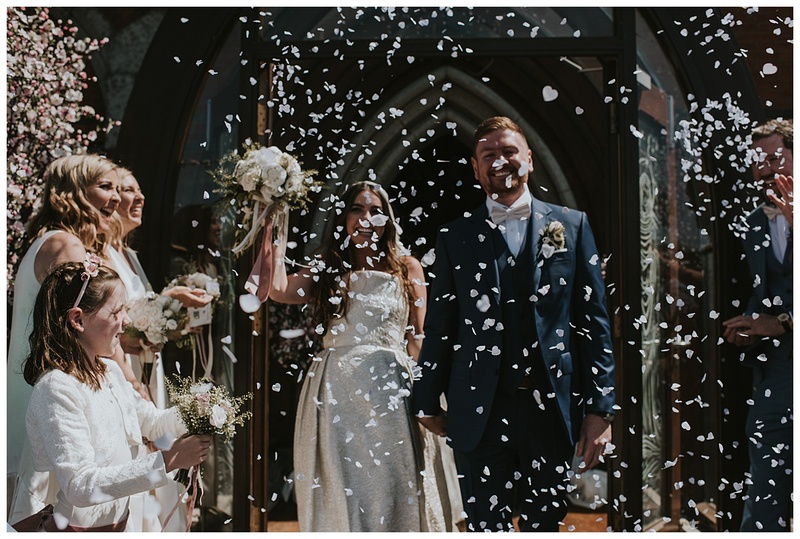 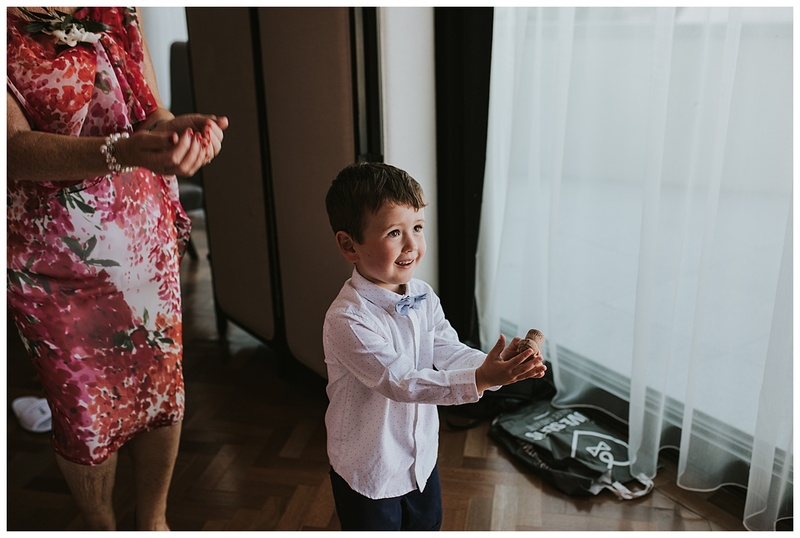 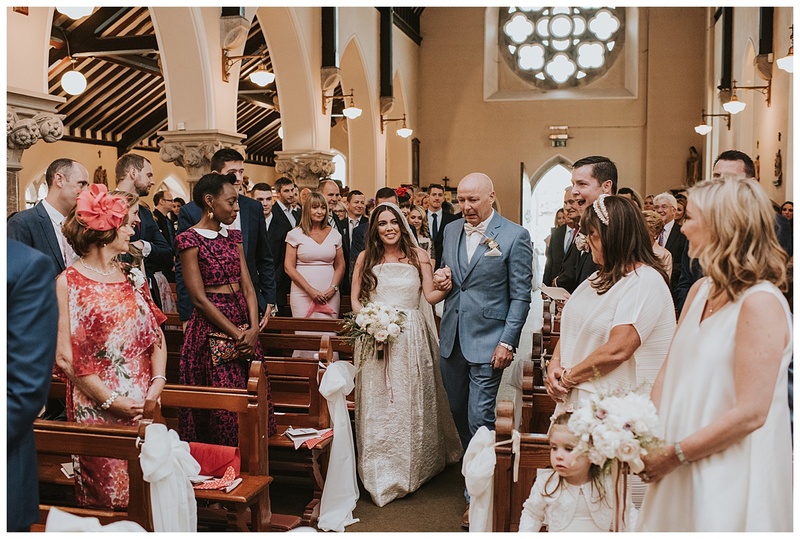 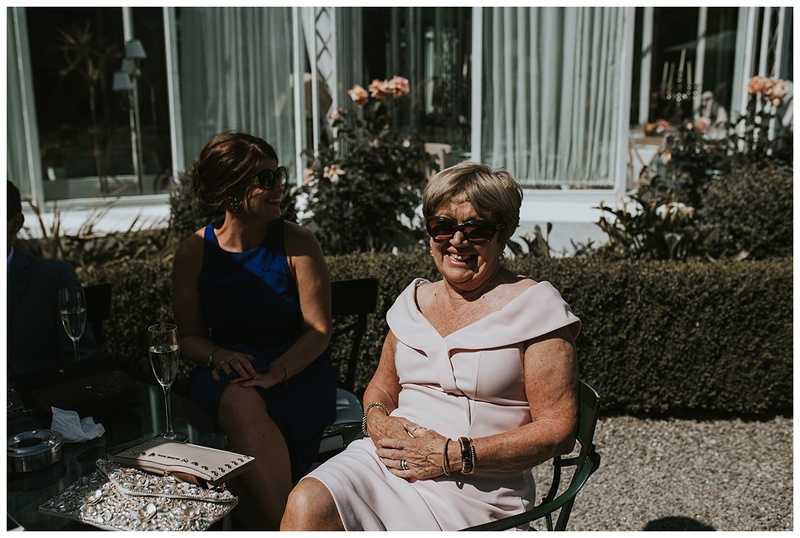 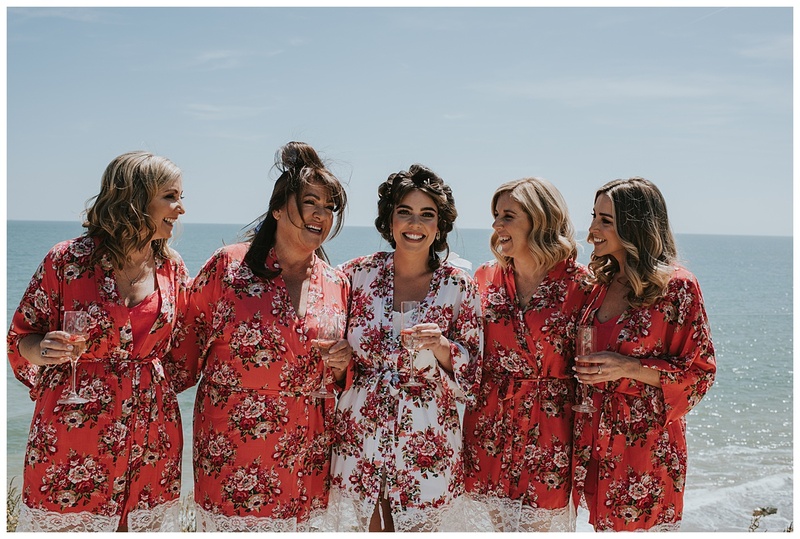 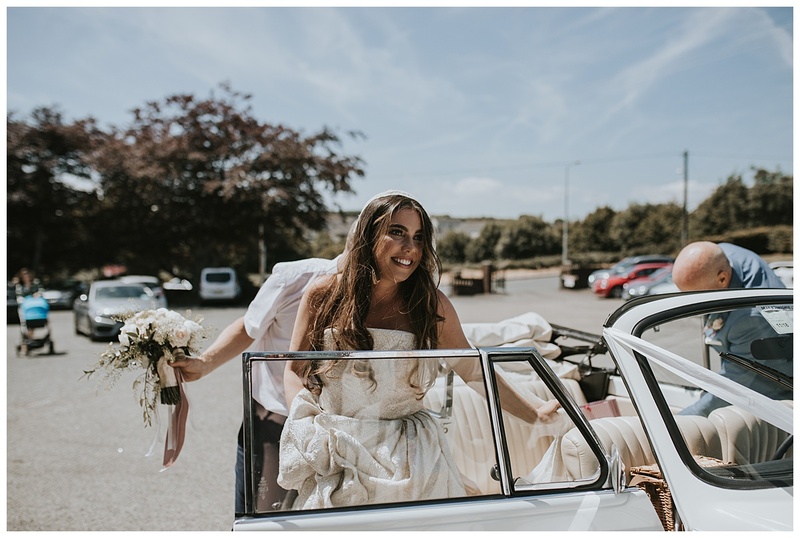 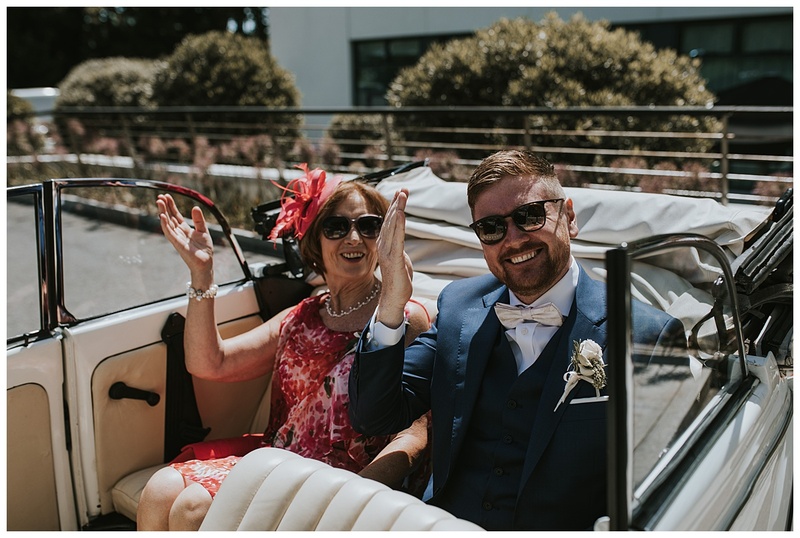 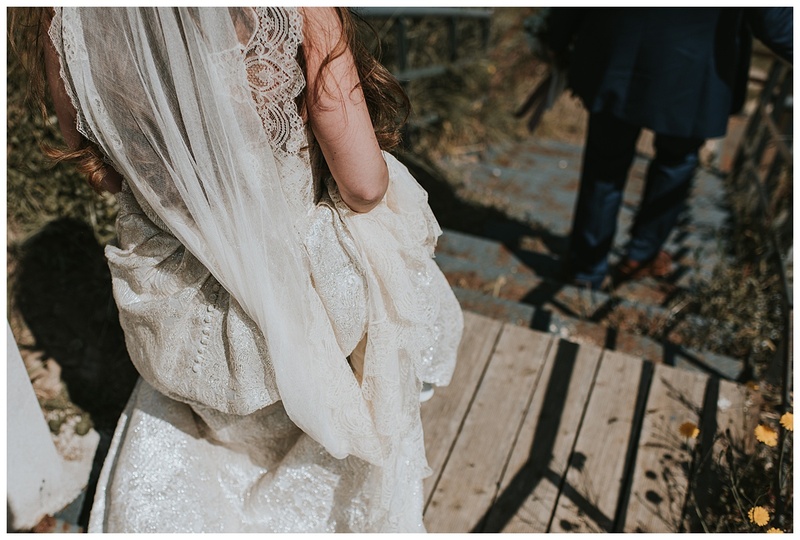 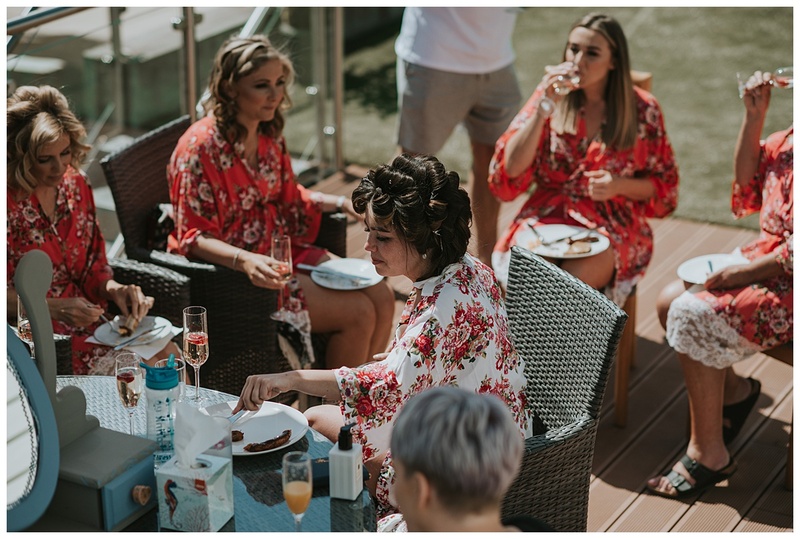 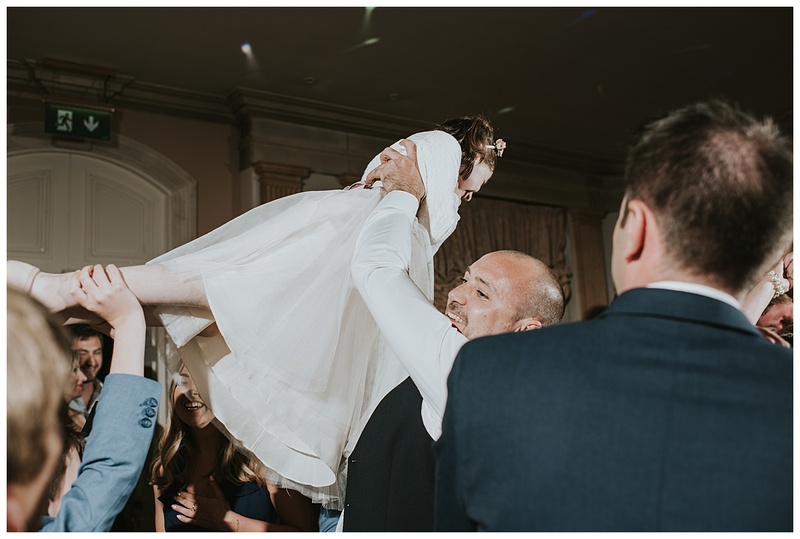 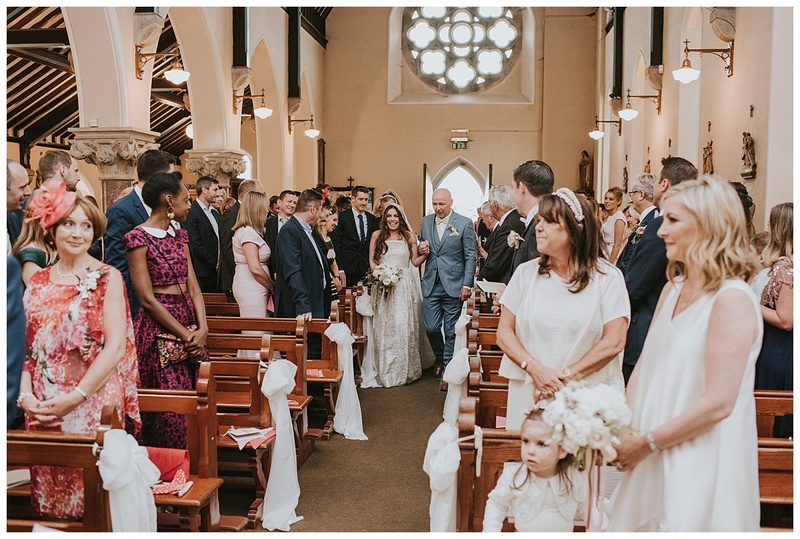 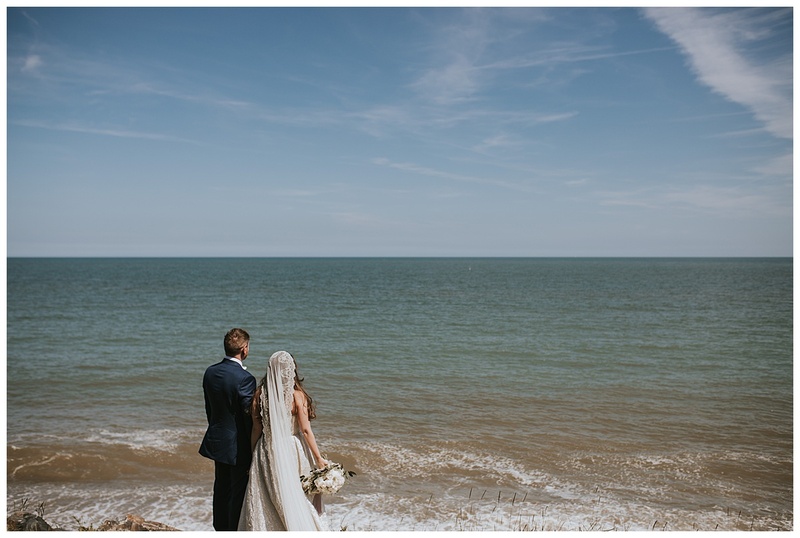 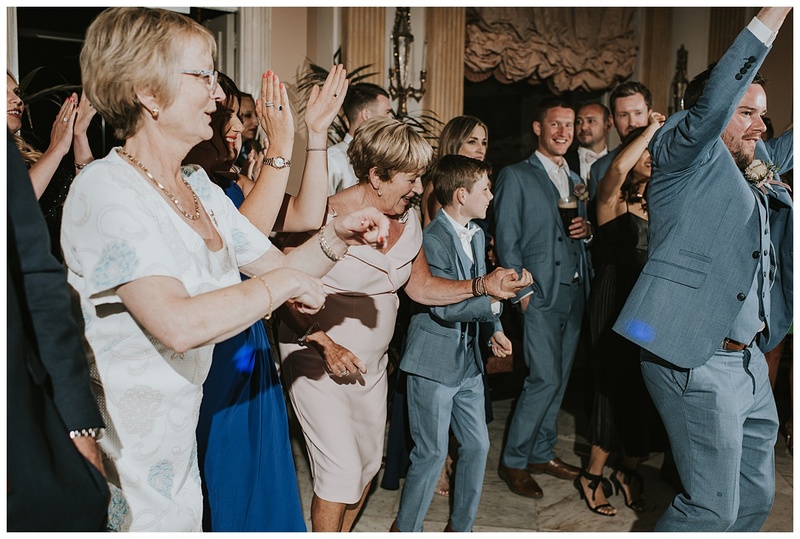 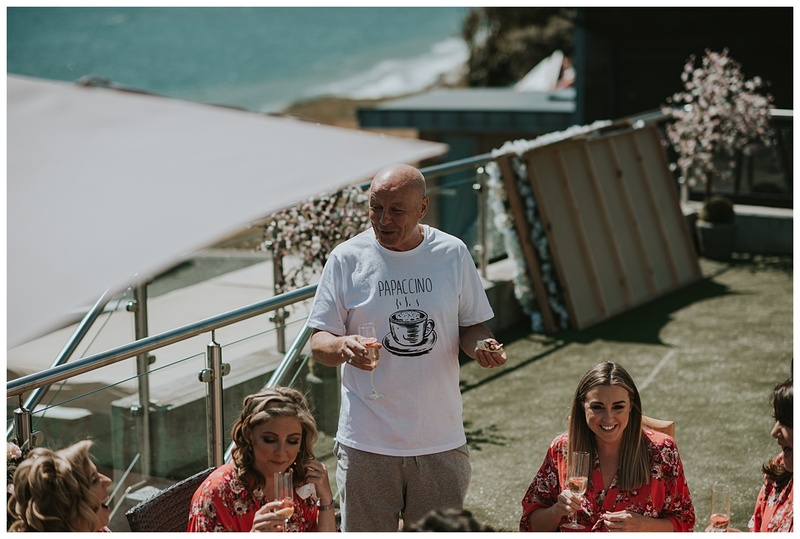 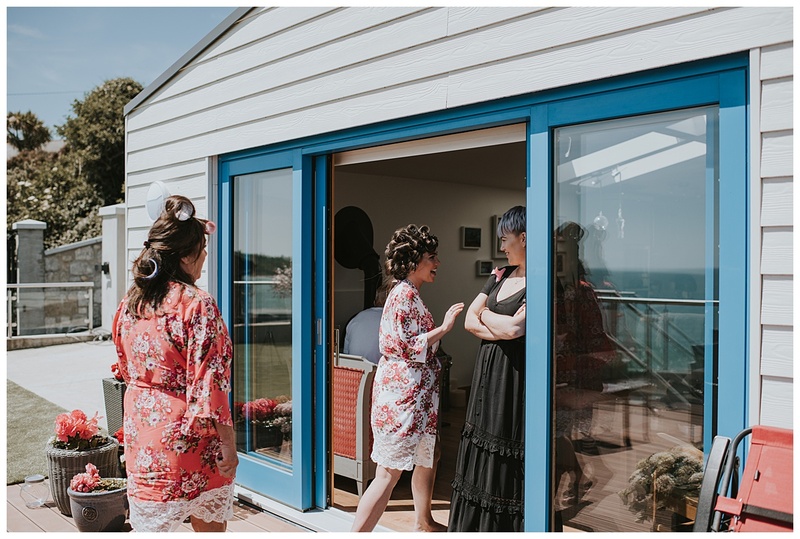 The day was so much fun and relaxed from beginning to end, and both Aleana and Niall were beaming with happiness as well as all their family and friends soaking up the sunshine. 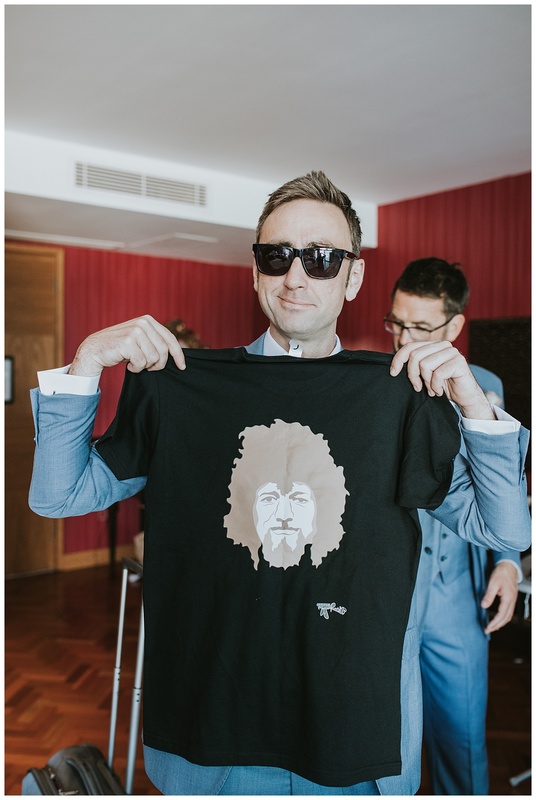 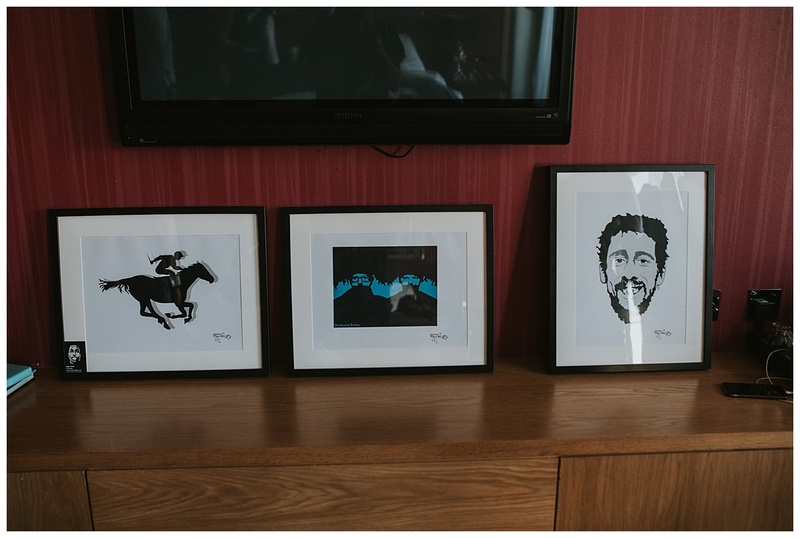 I also have to mention the style! 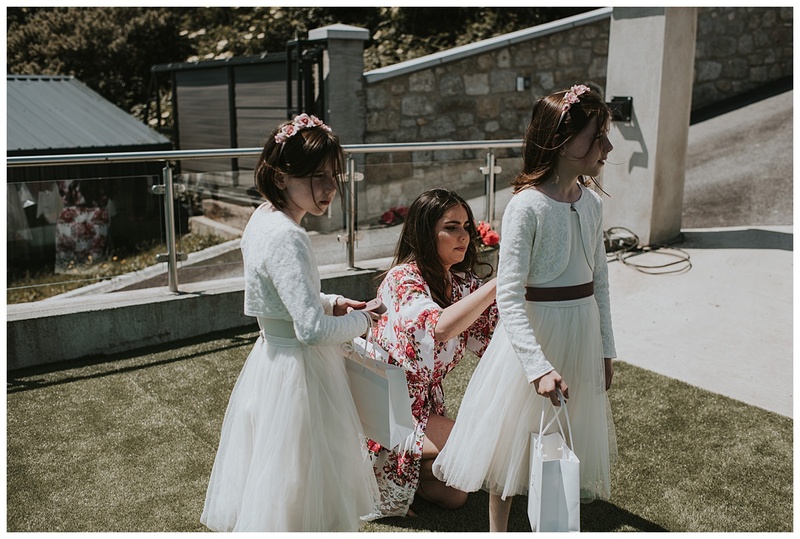 Aleana herself is a designer and the owner of Covet in Powercourt. 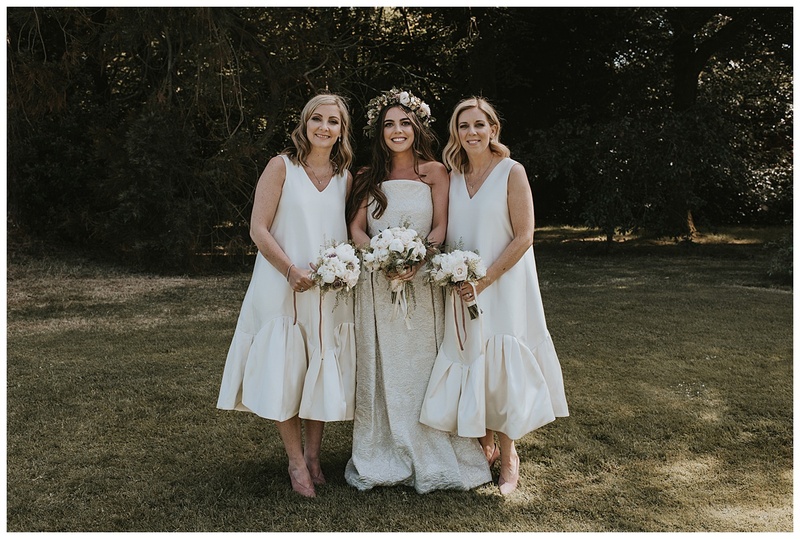 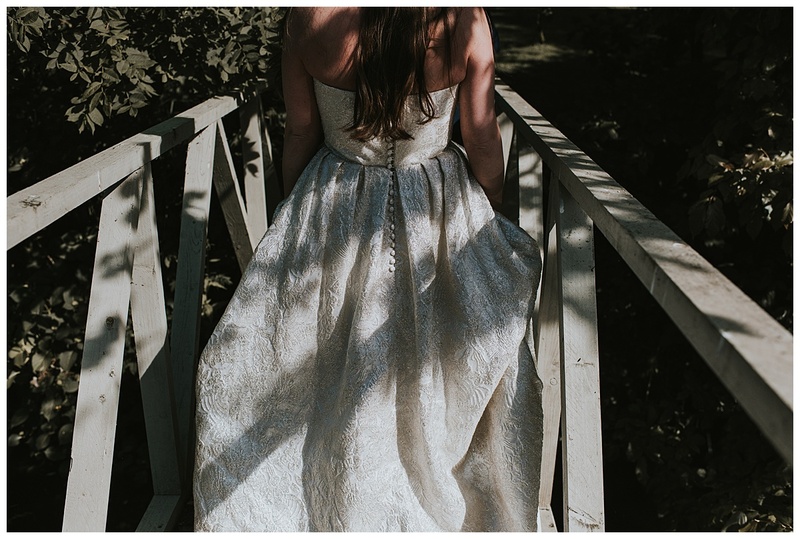 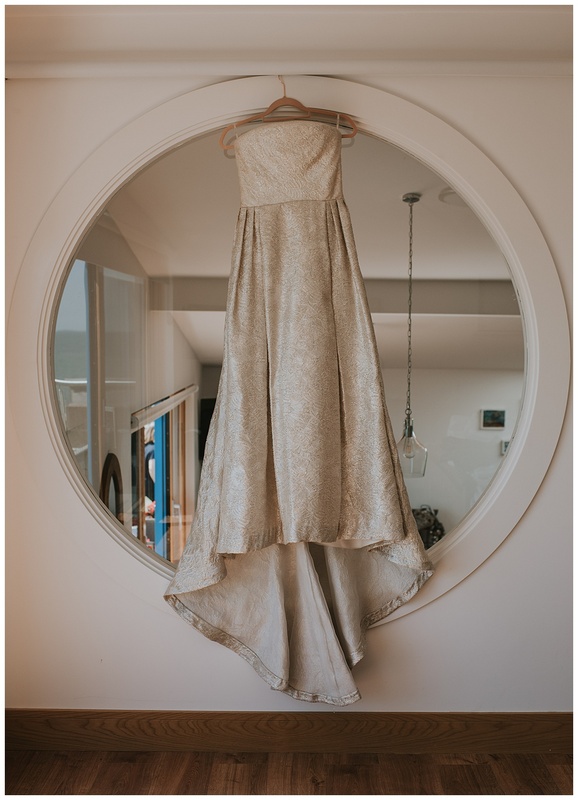 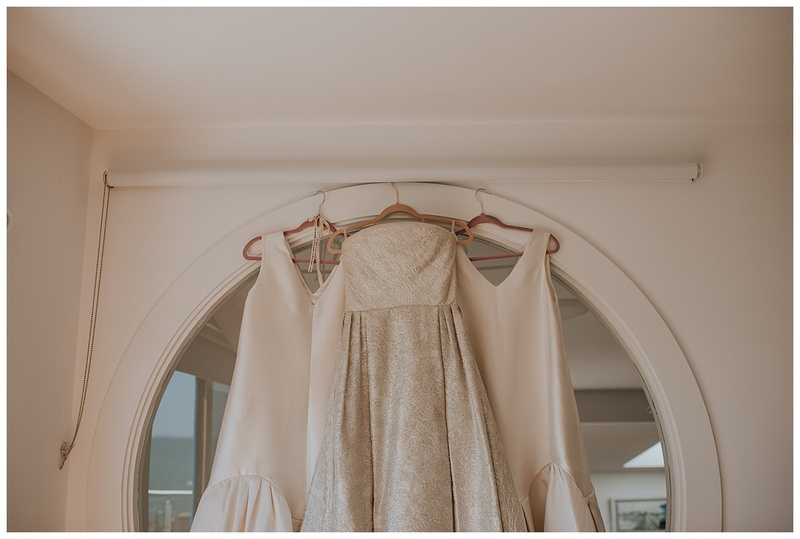 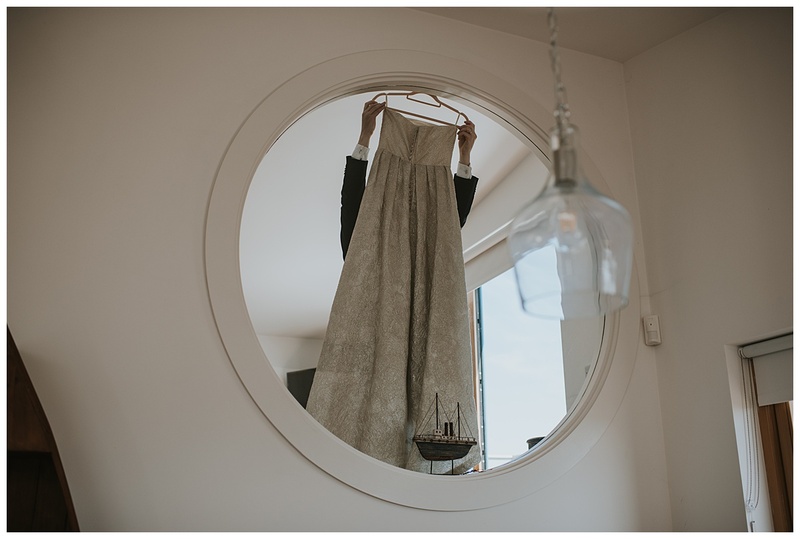 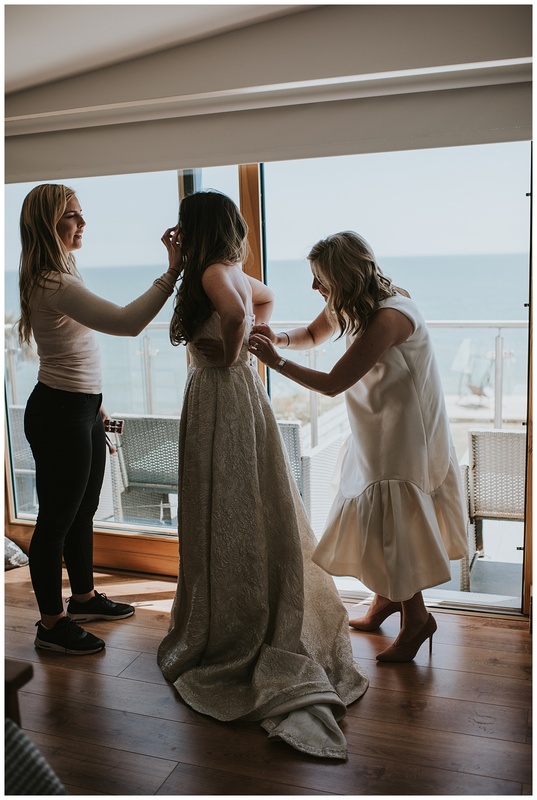 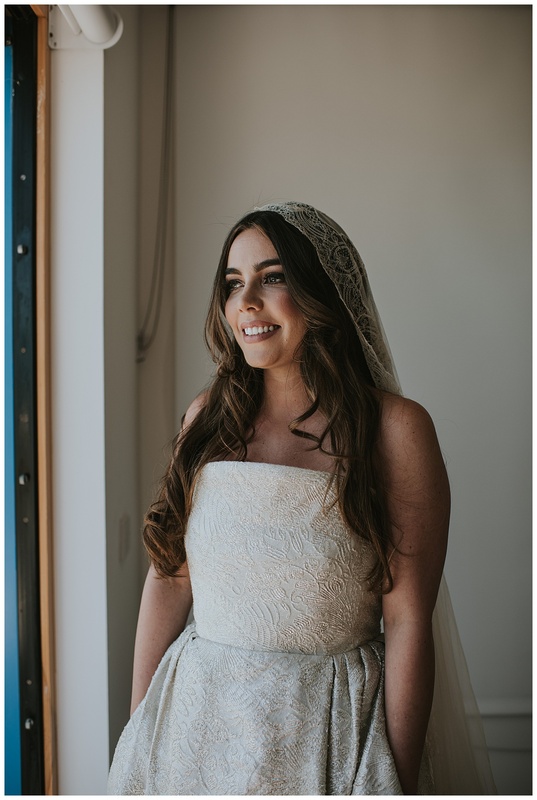 She sourced her own dress and altered it to what she wanted as well as designing the bridesmaids dresses. 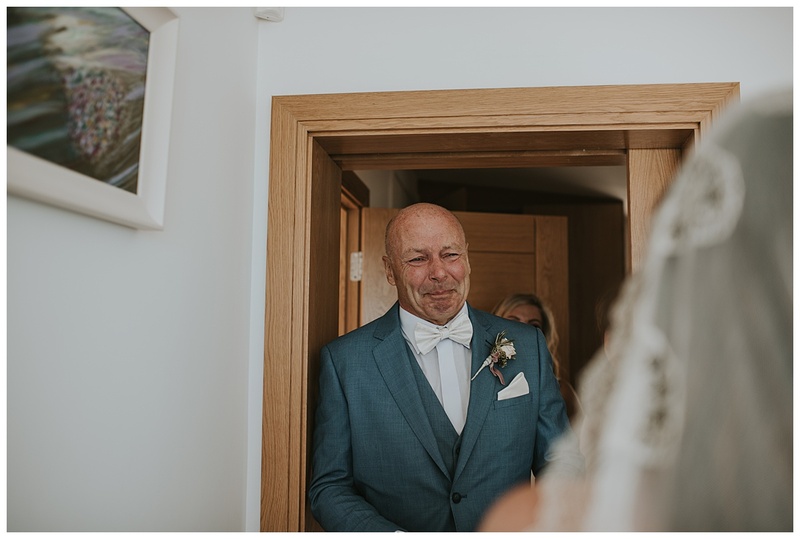 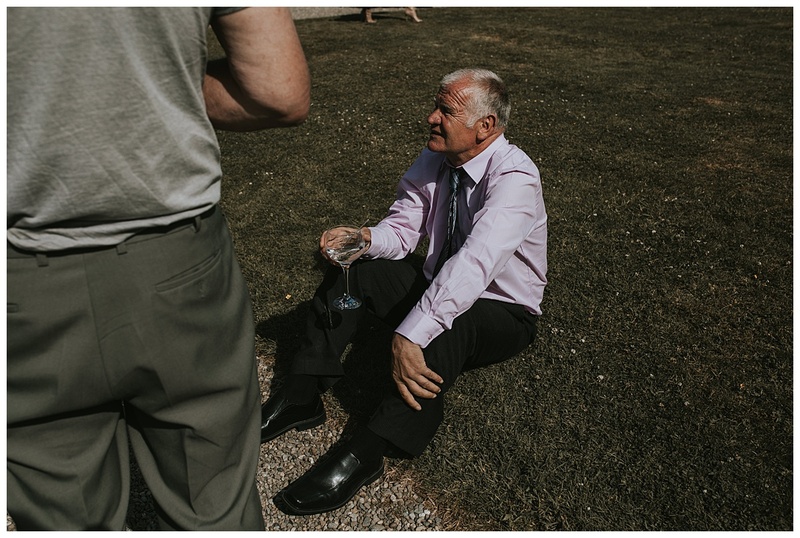 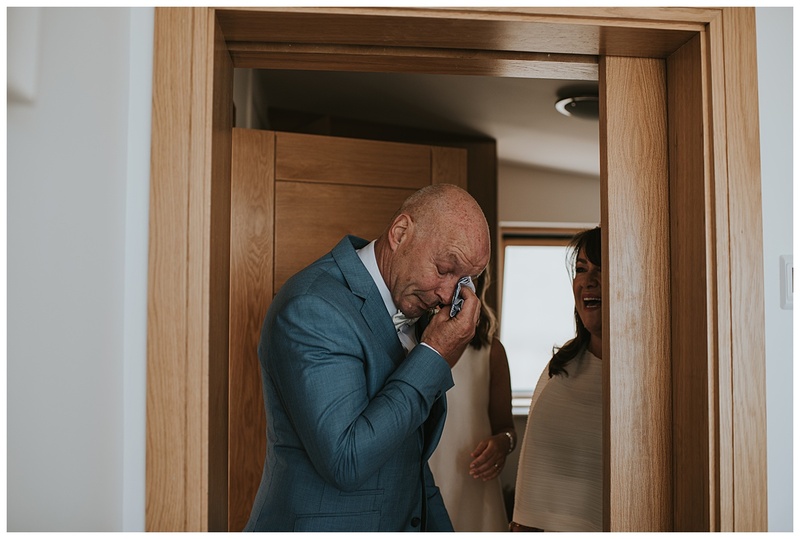 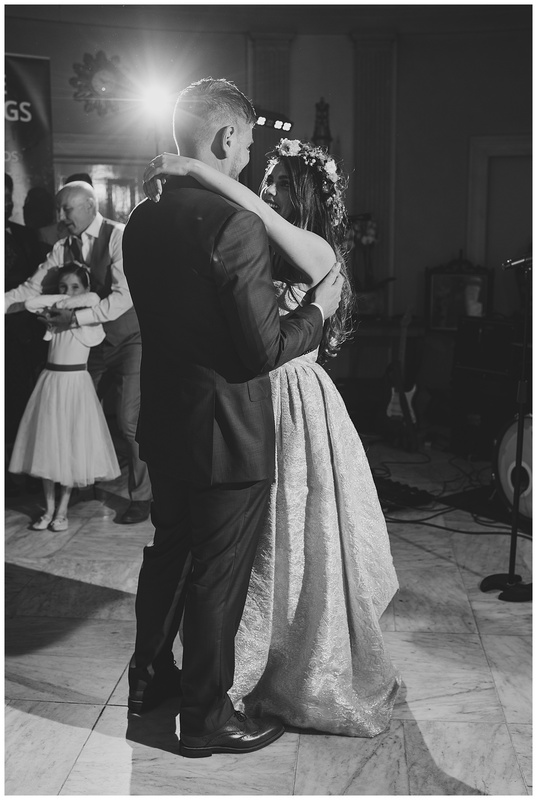 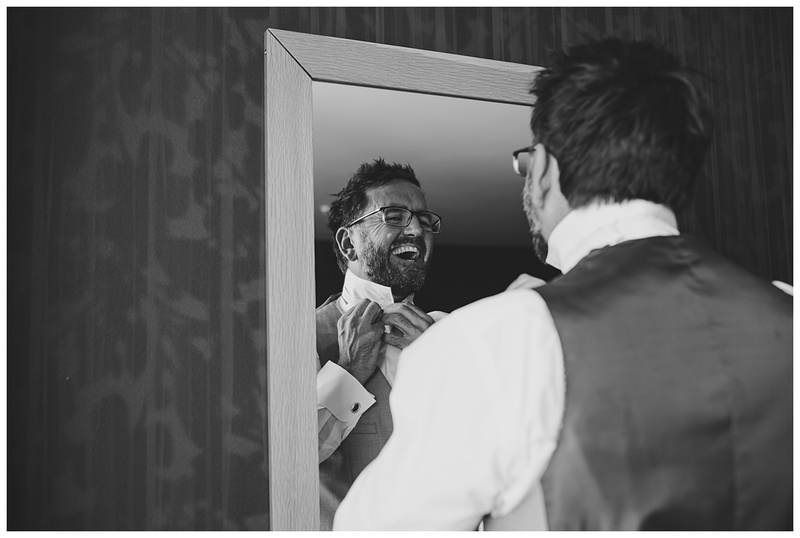 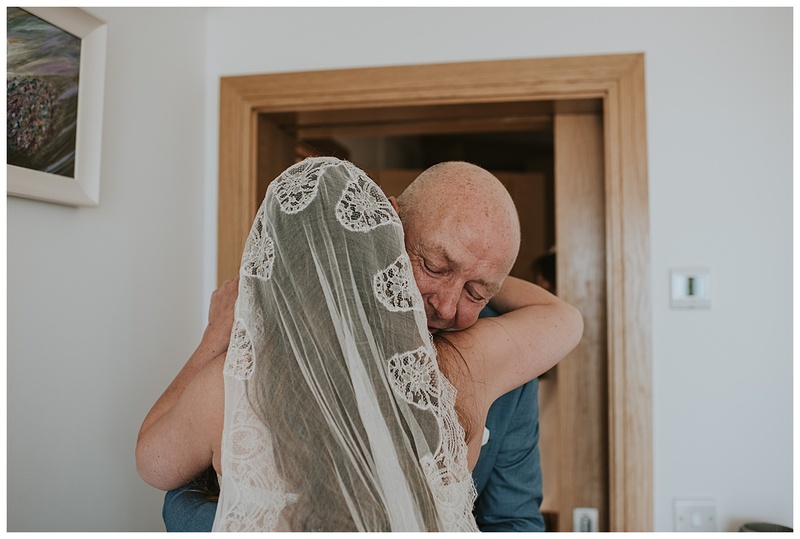 There was so many great moments at their wedding, from the emotional and witty speeches to the great first dance song choice (Mumford and Sons -There will be time) but I think one of the stand out moments for me from the day was when Aleana’s dad seen her for the first time in her dress, he just broke down in tears and it was such a special moment to be able to capture! 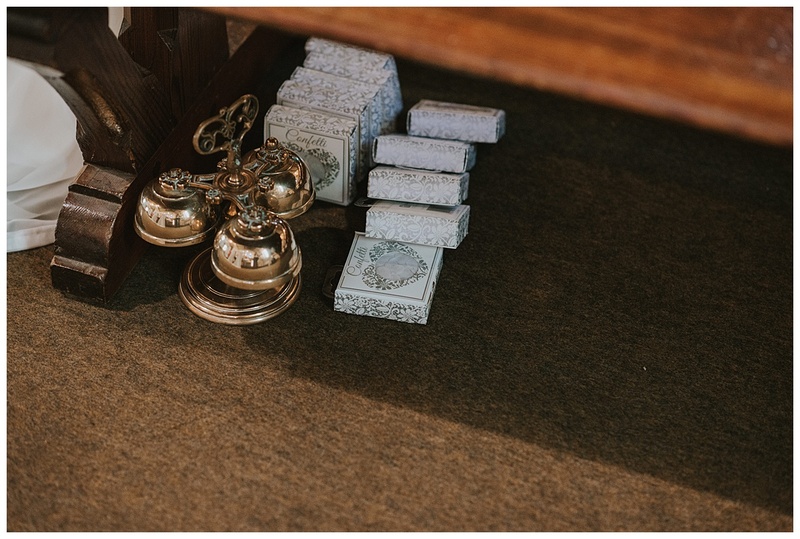 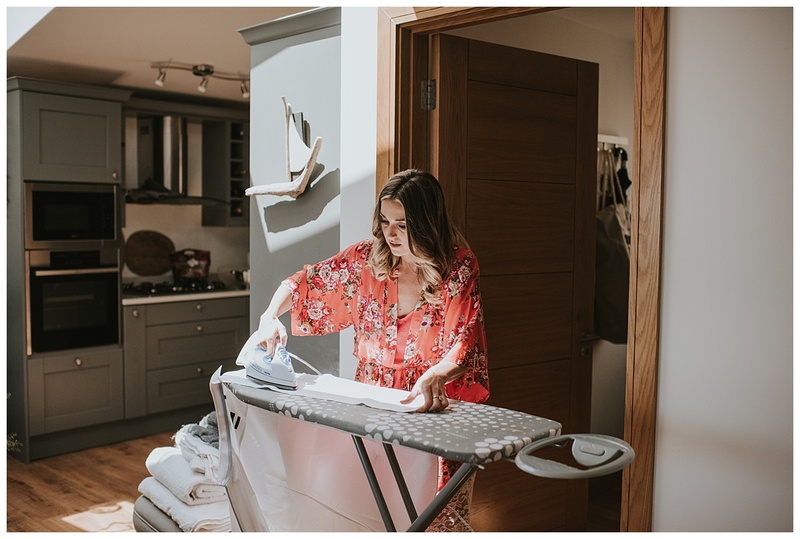 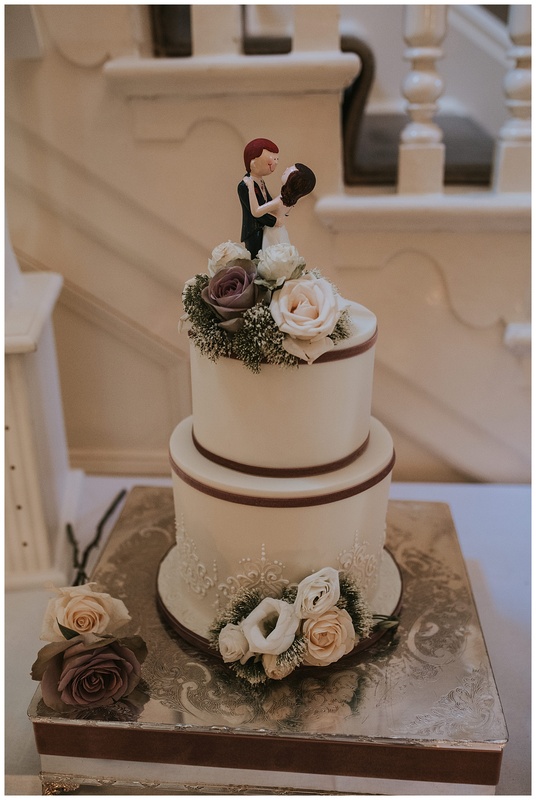 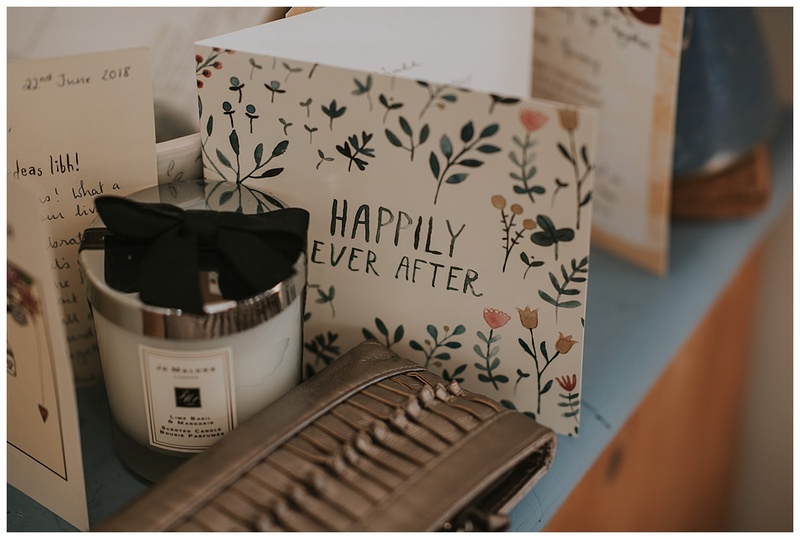 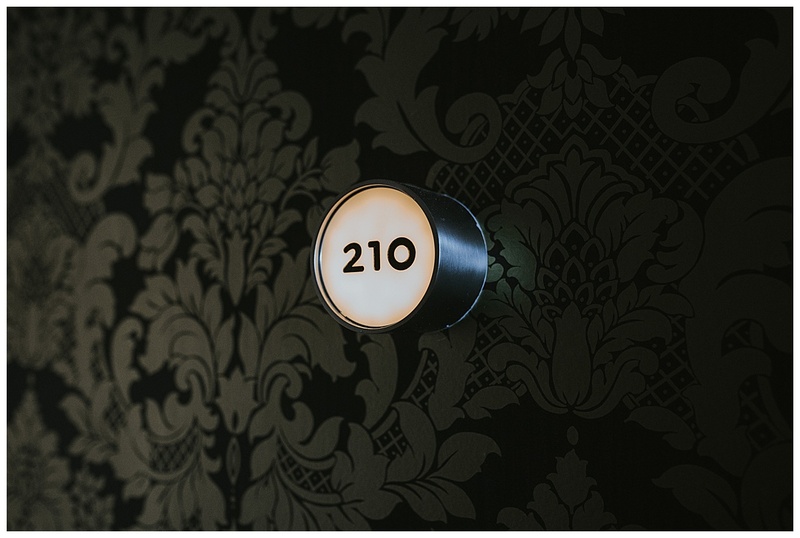 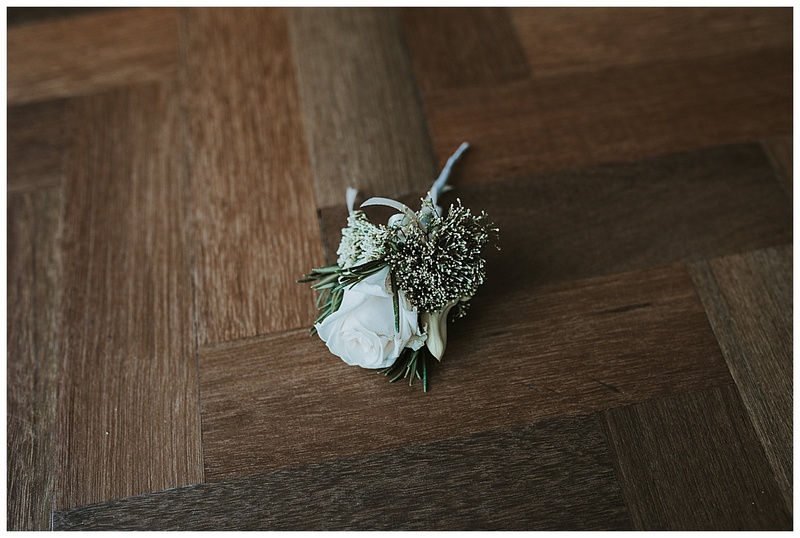 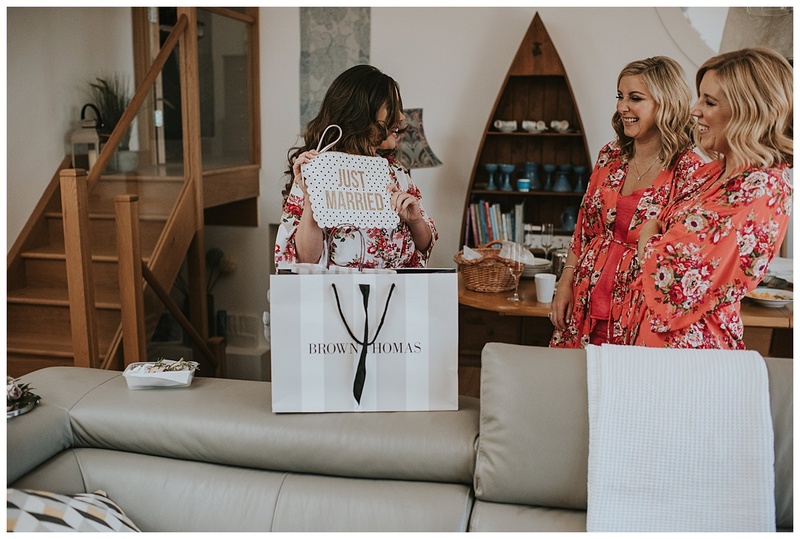 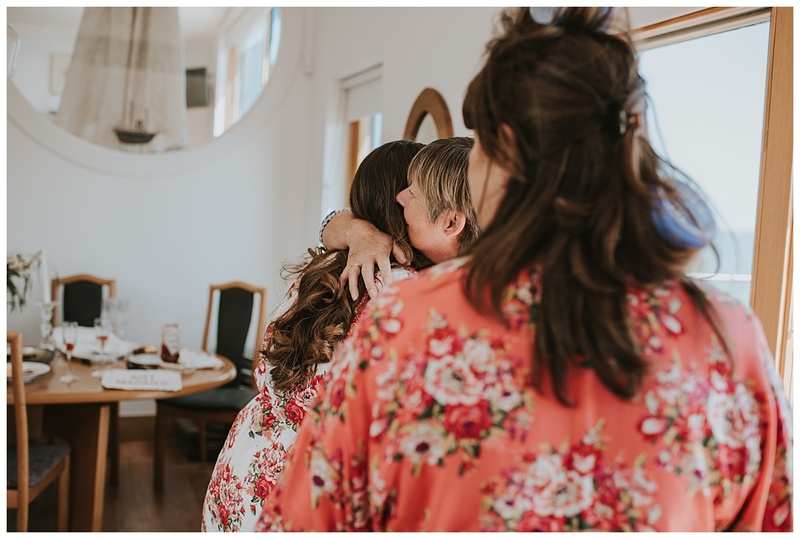 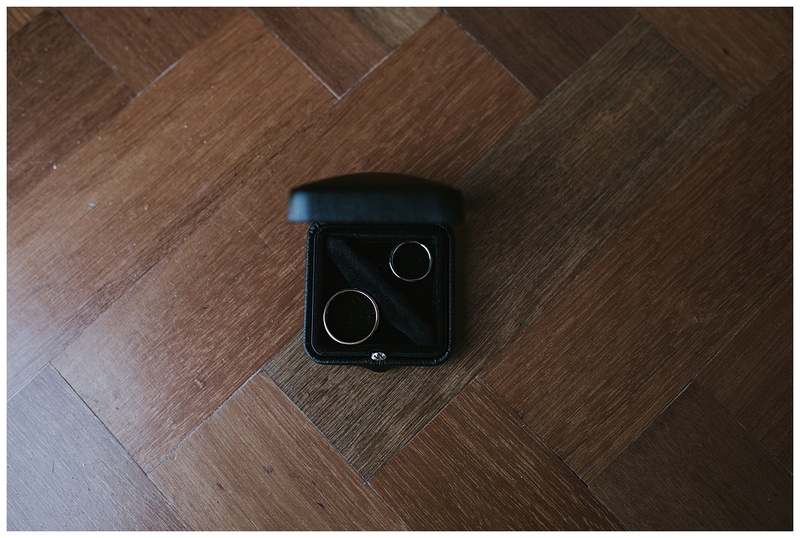 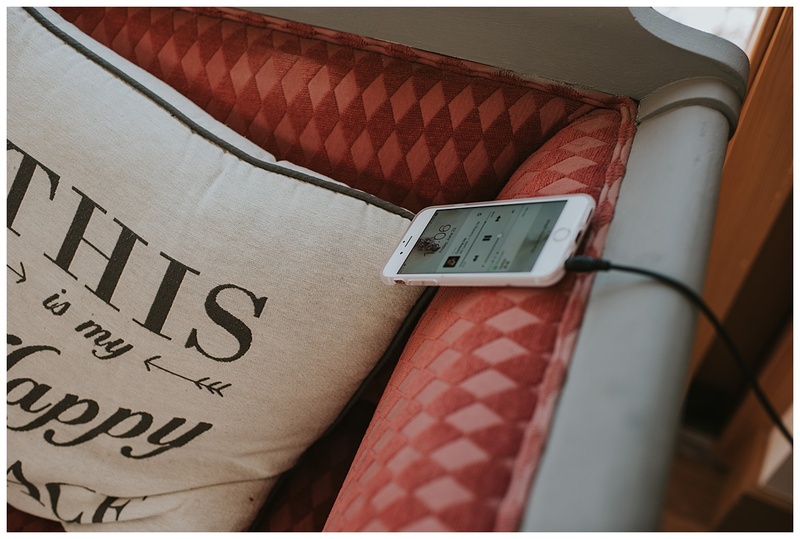 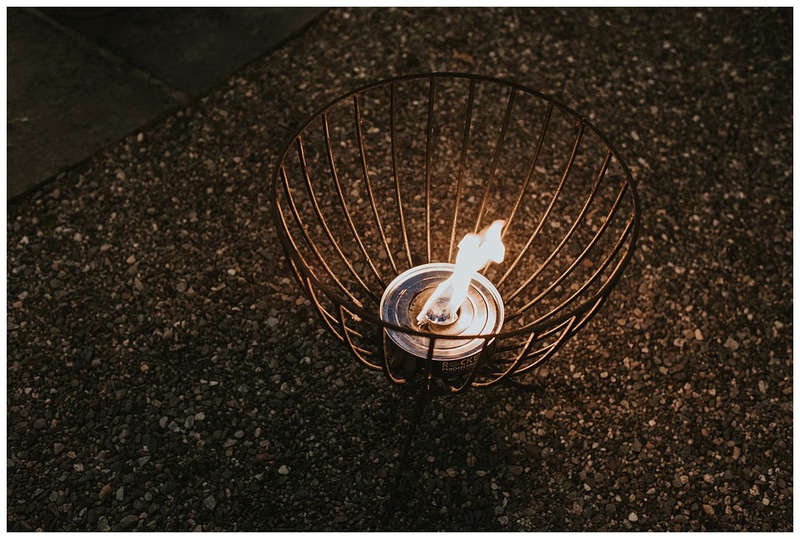 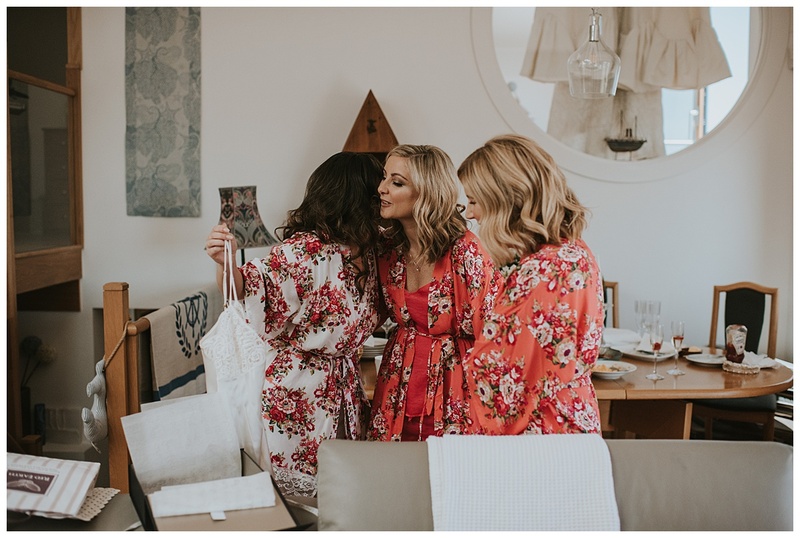 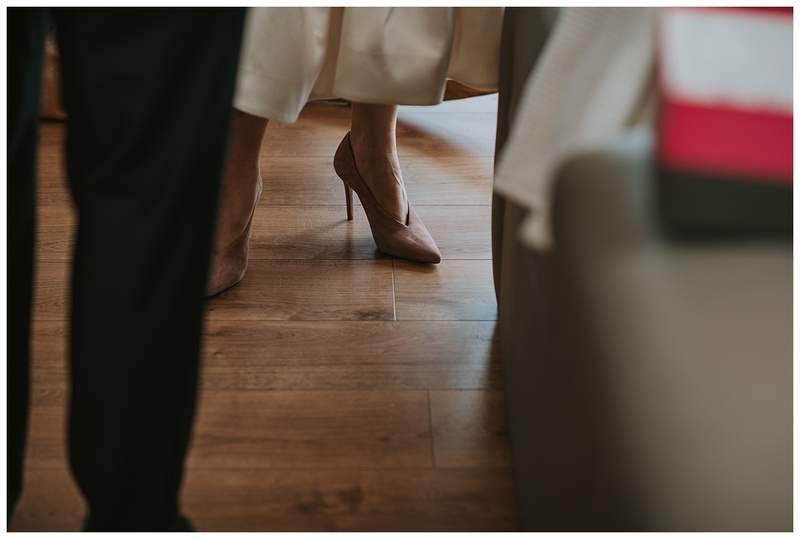 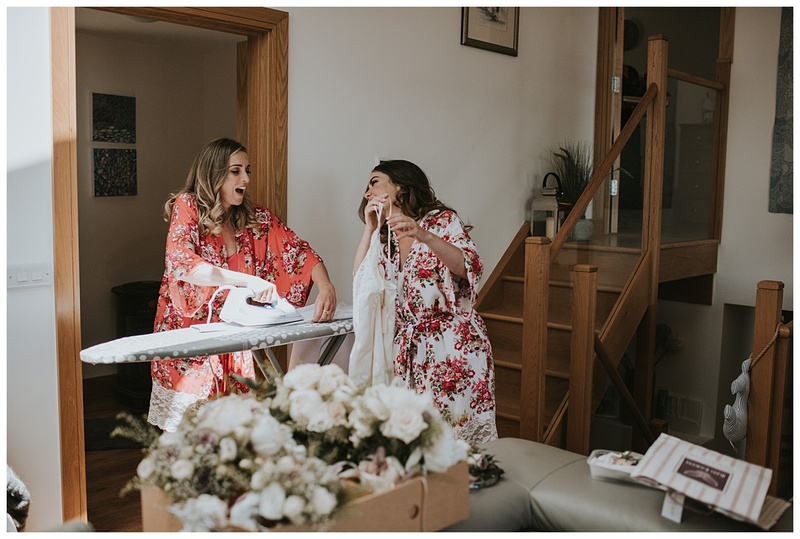 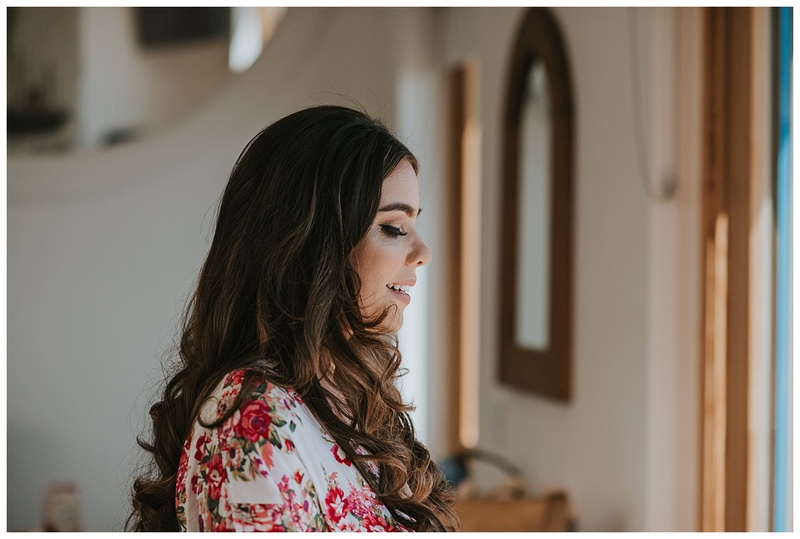 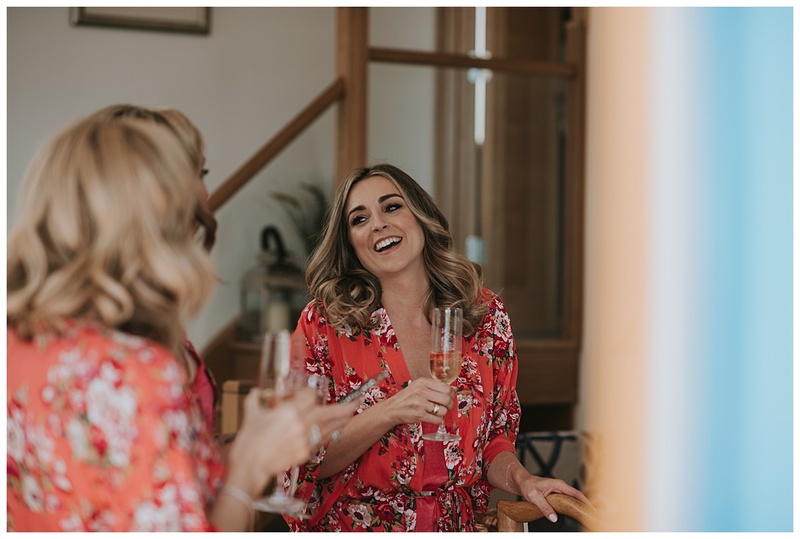 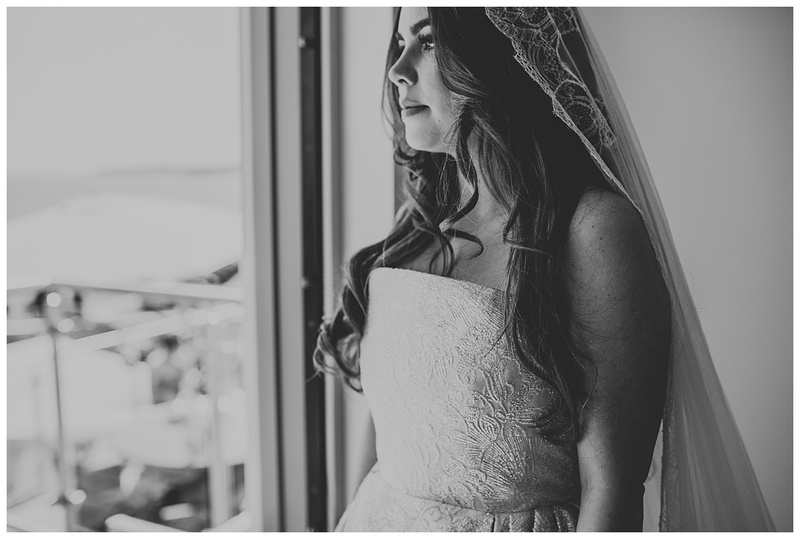 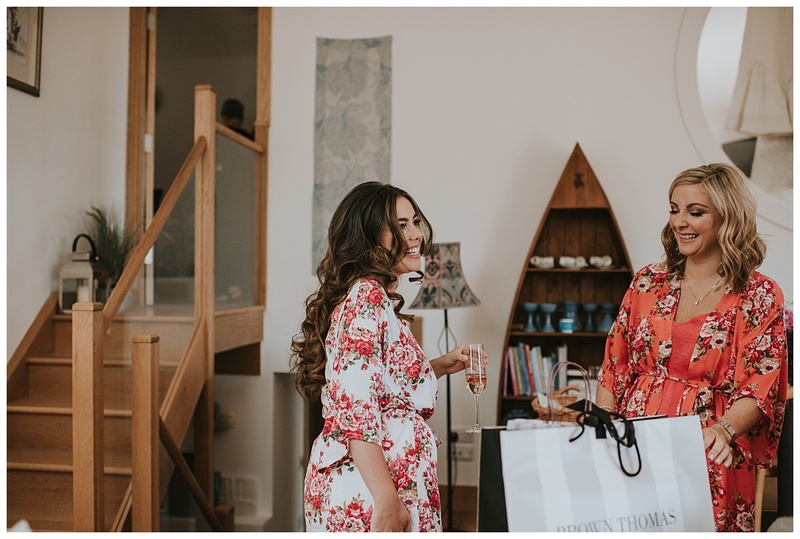 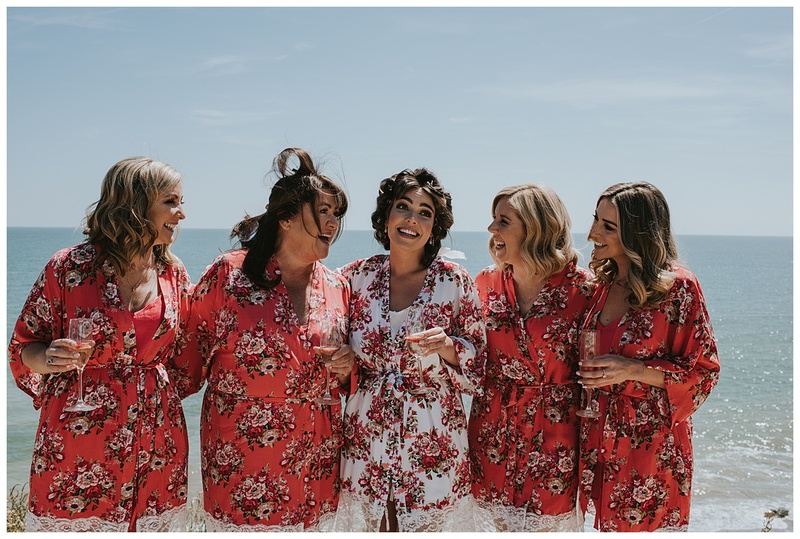 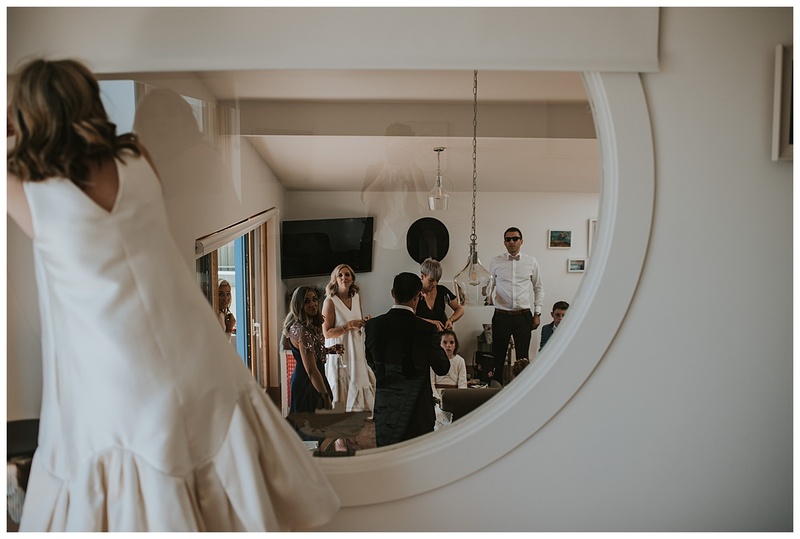 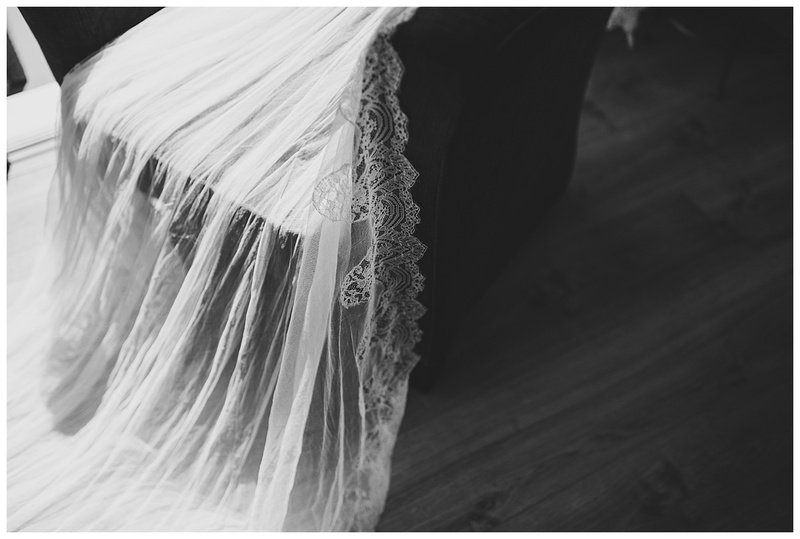 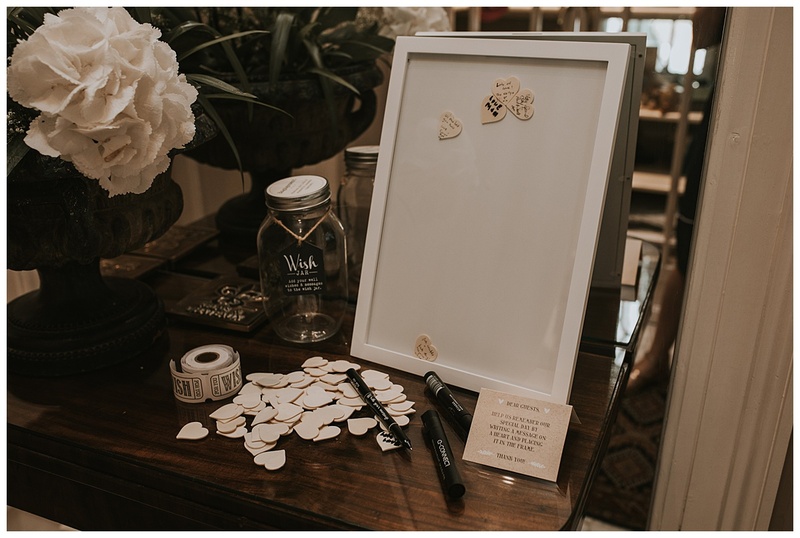 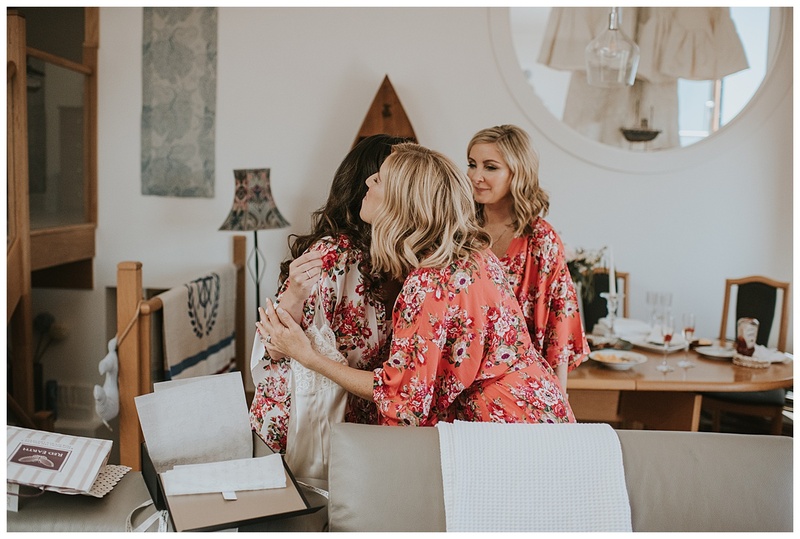 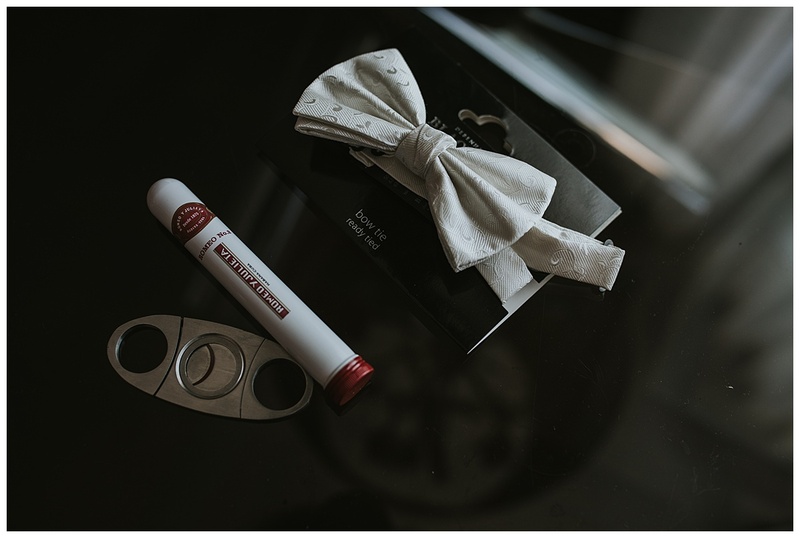 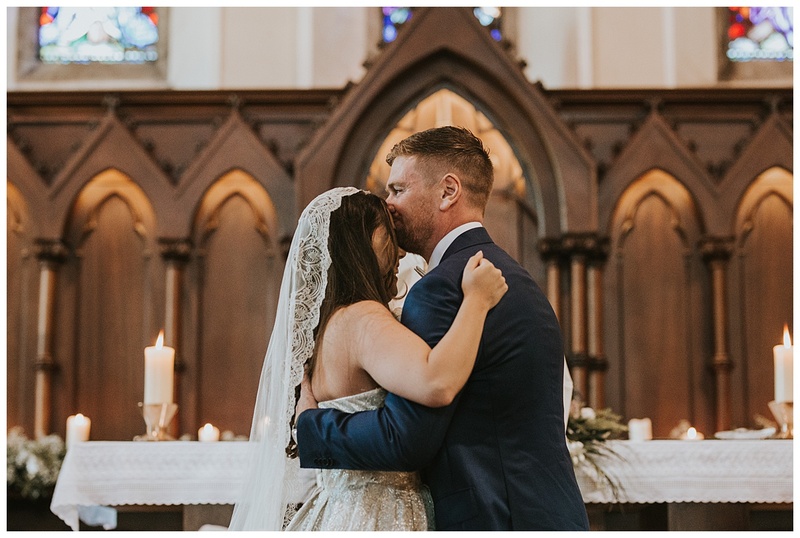 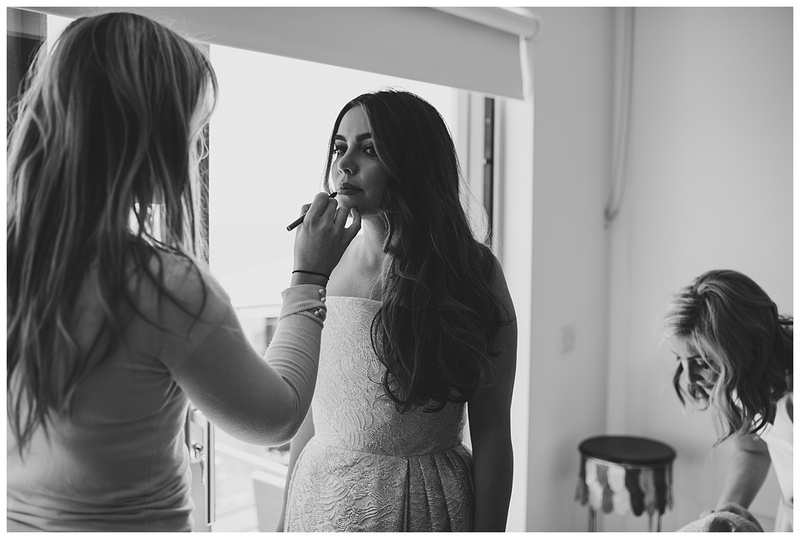 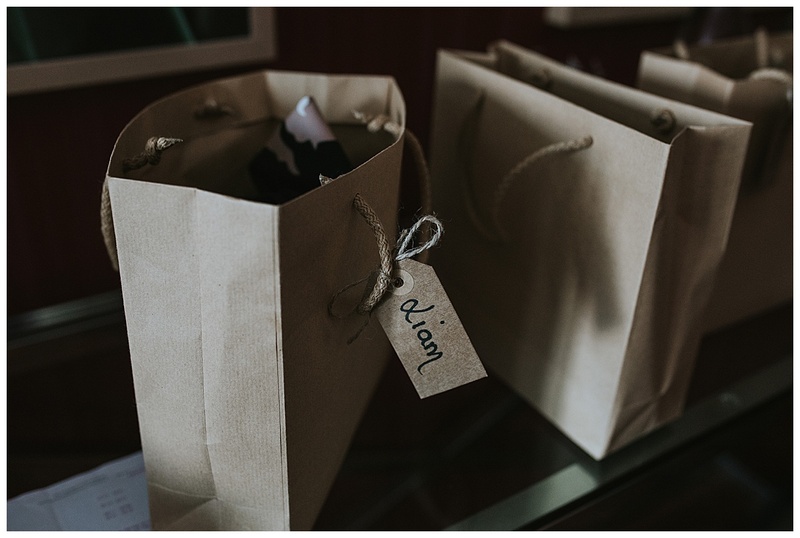 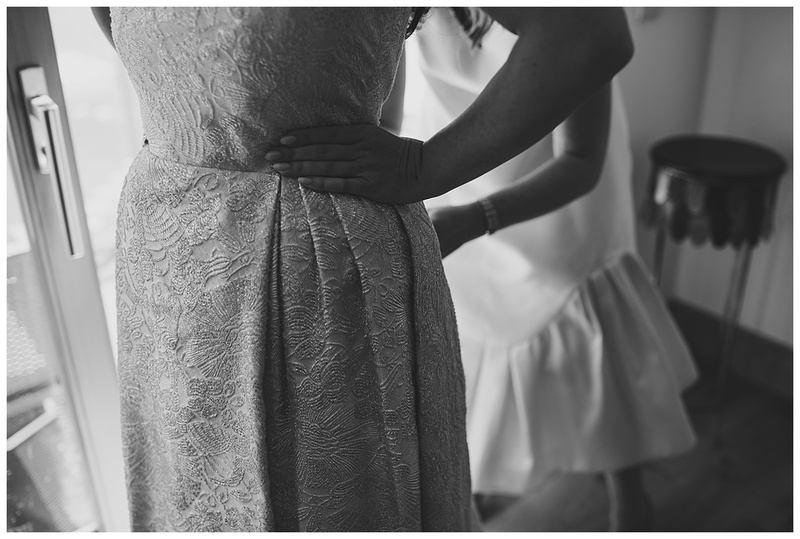 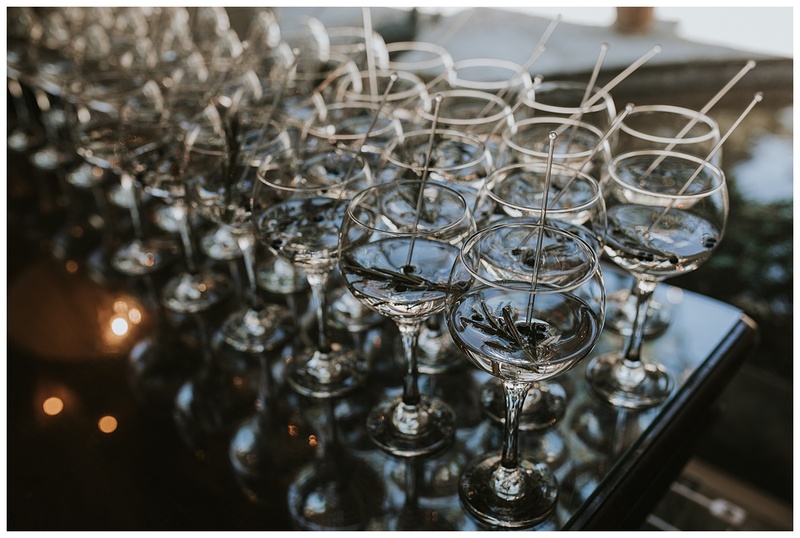 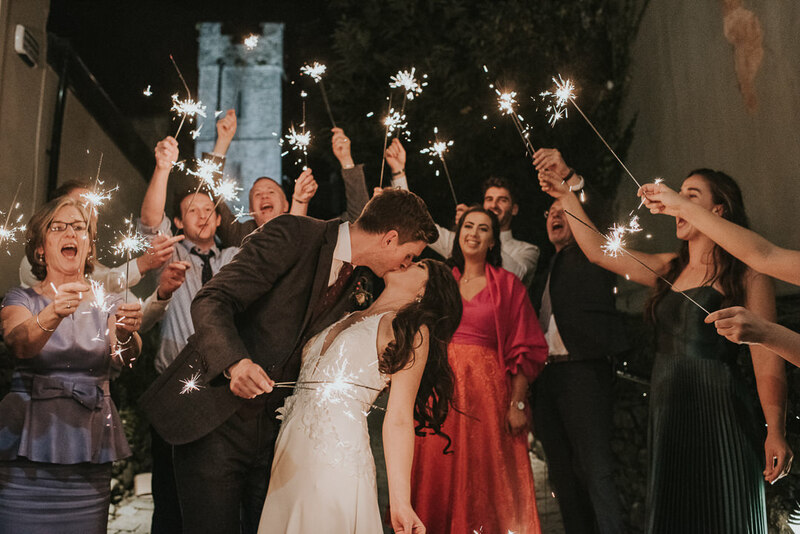 I loved every second of this fun and intimate house party wedding with these two! 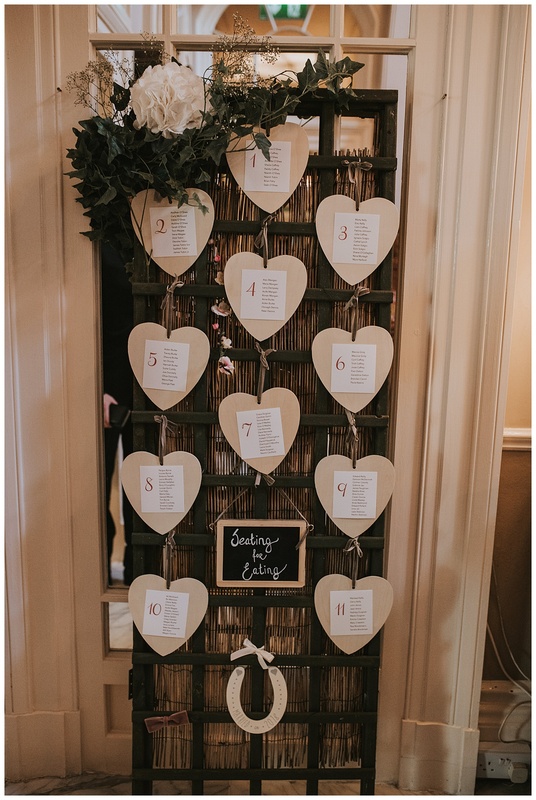 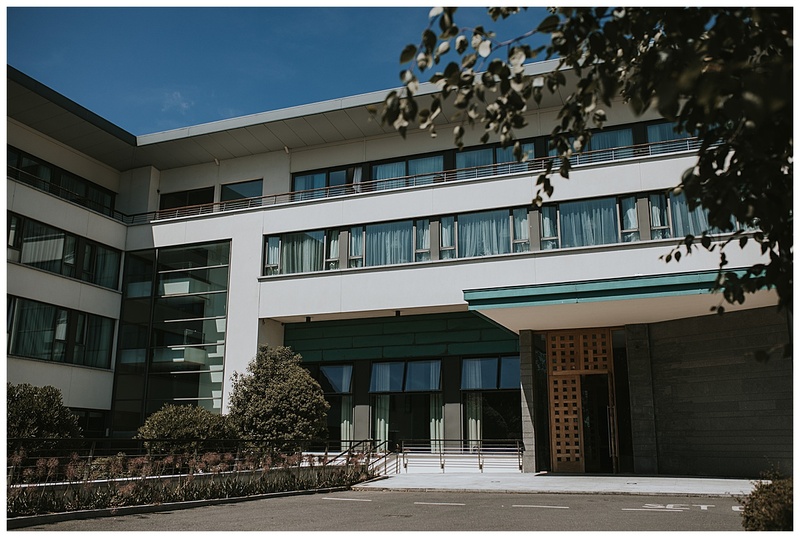 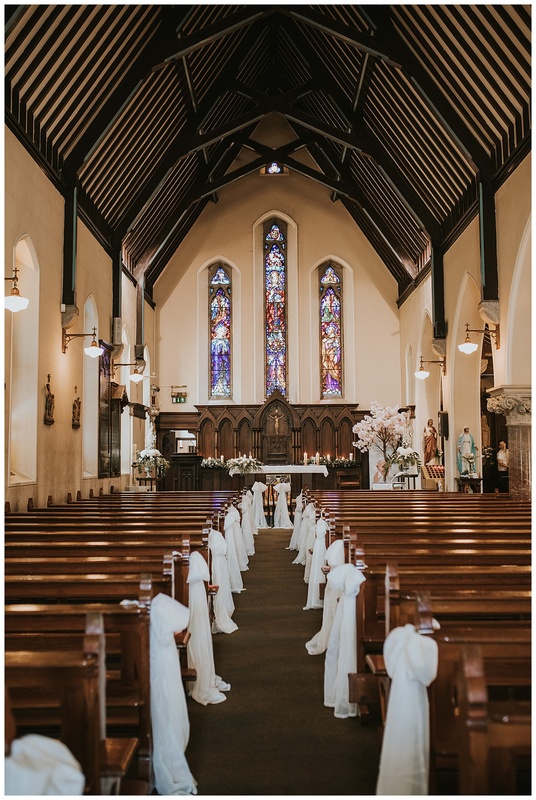 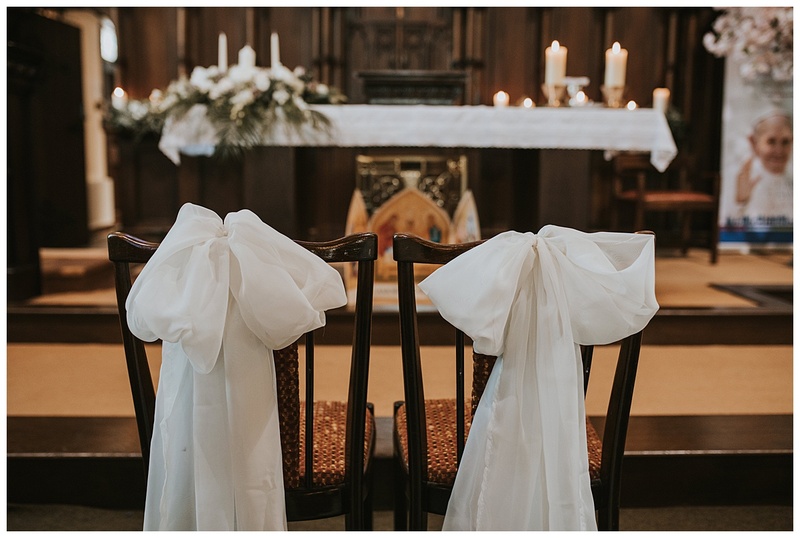 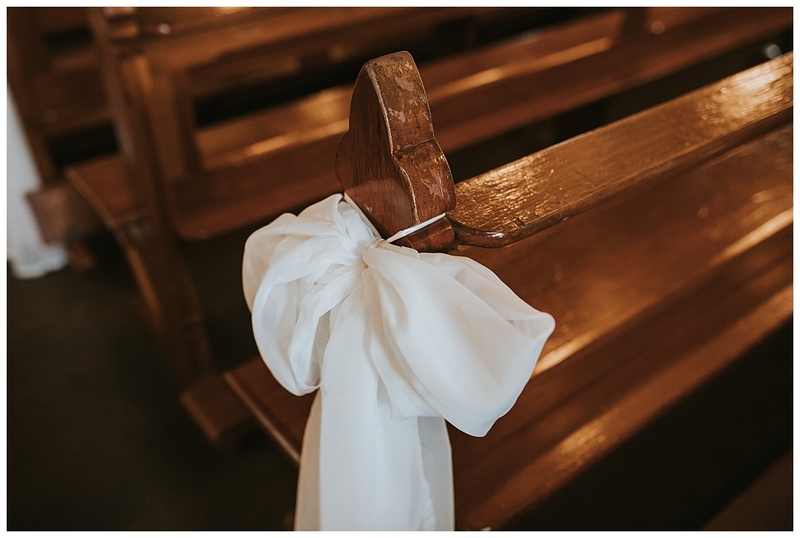 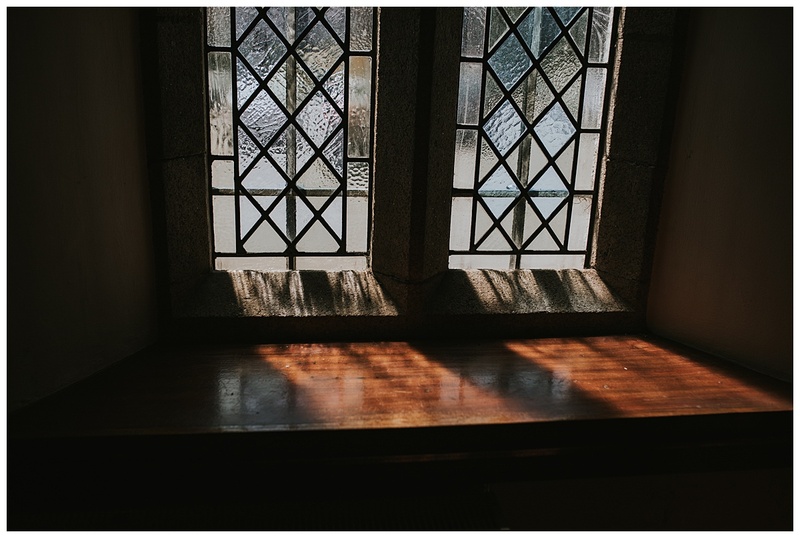 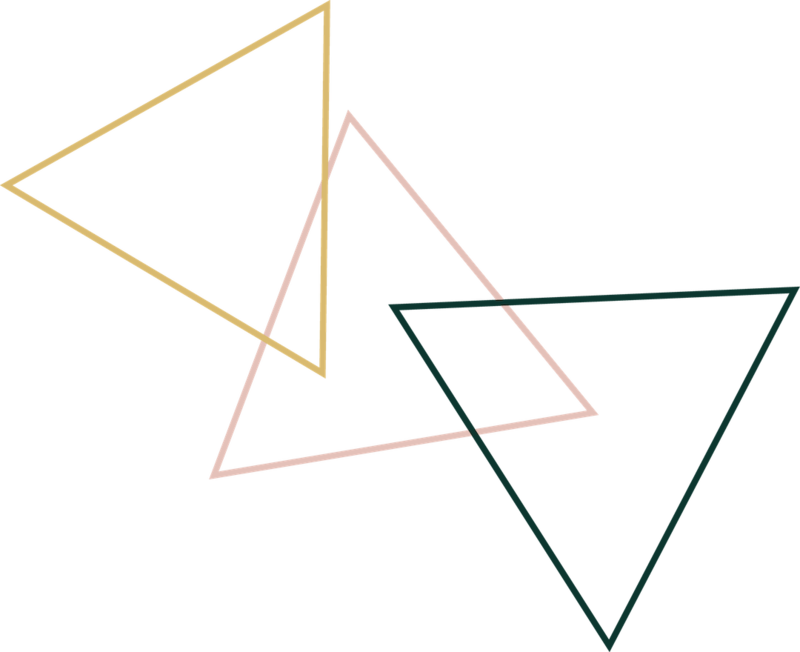 I’m getting married on Friday 16th August in Tinakilly House and was wondering if you have any availability that day.